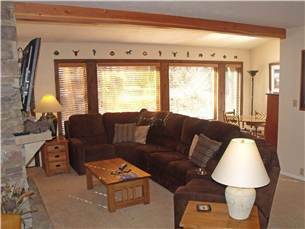 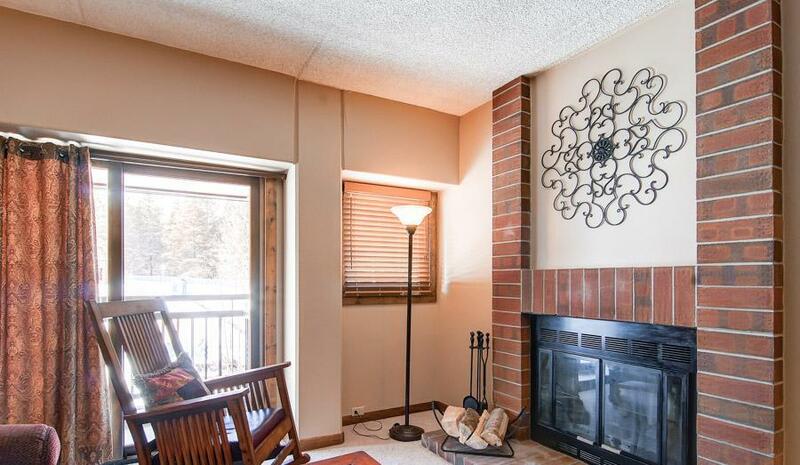 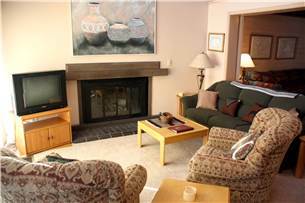 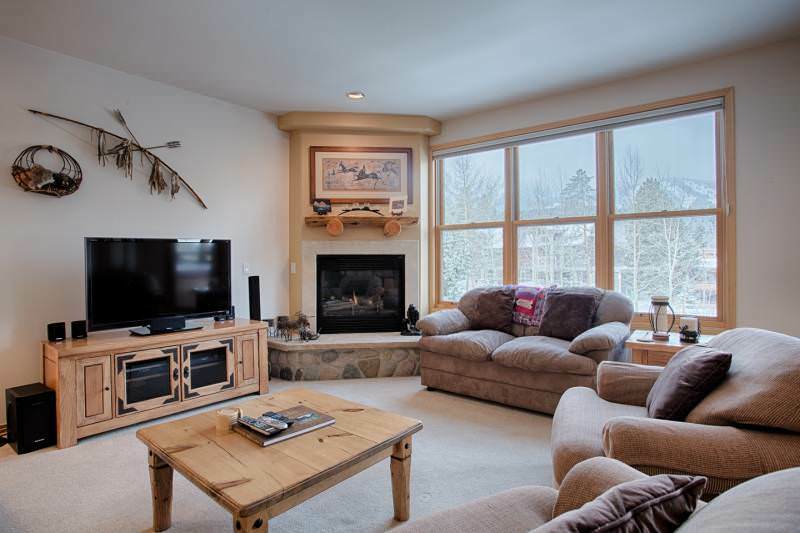 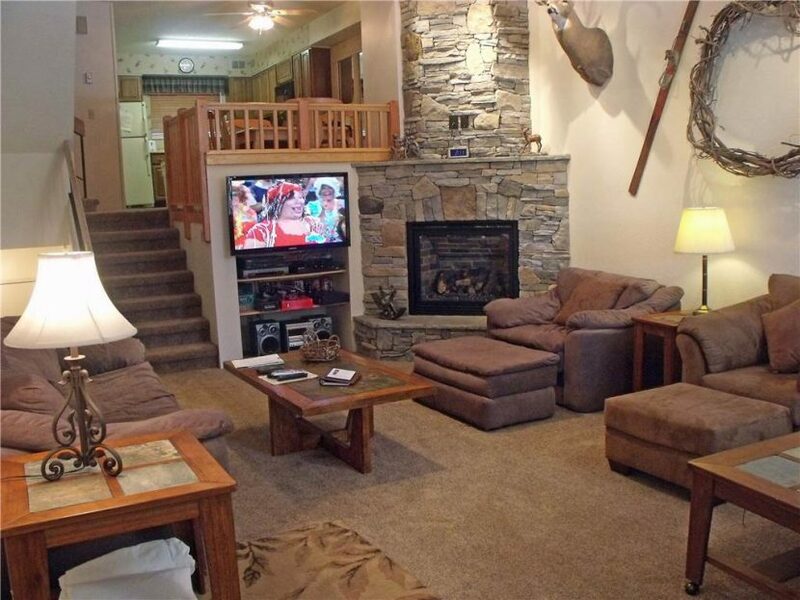 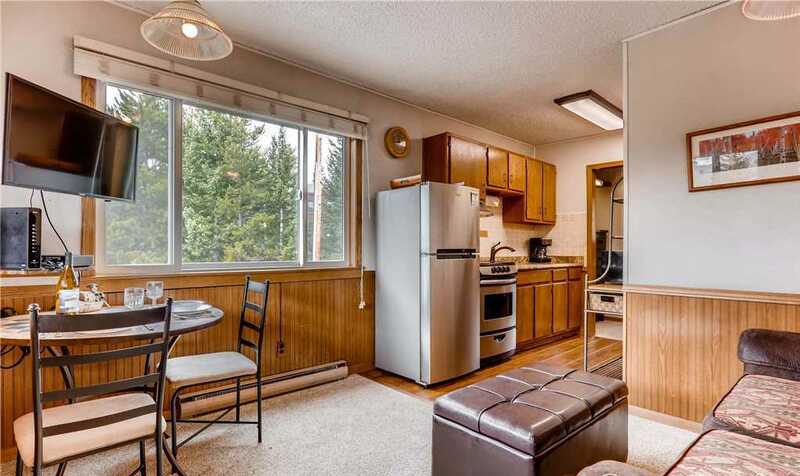 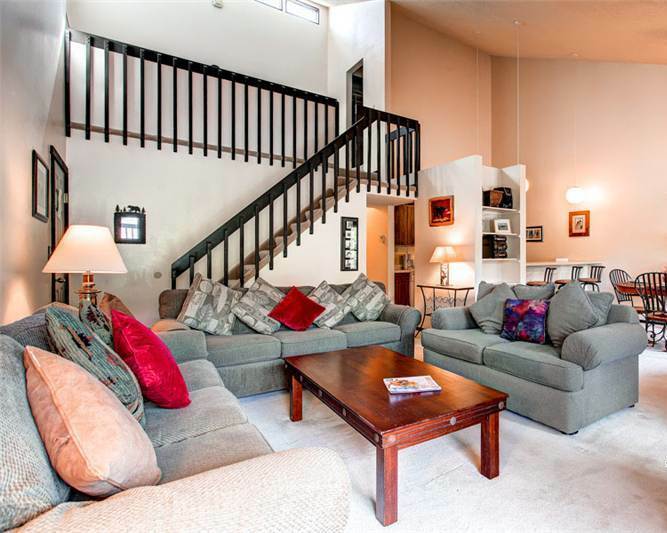 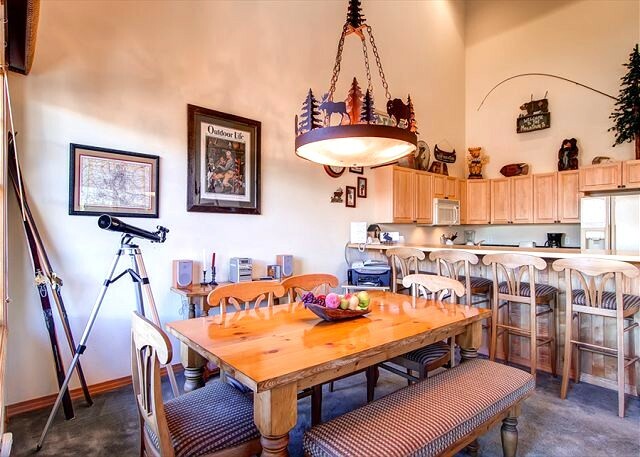 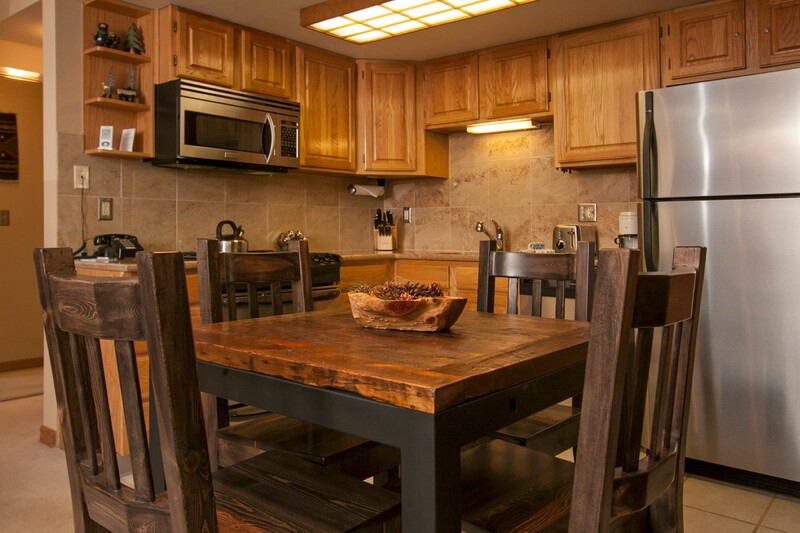 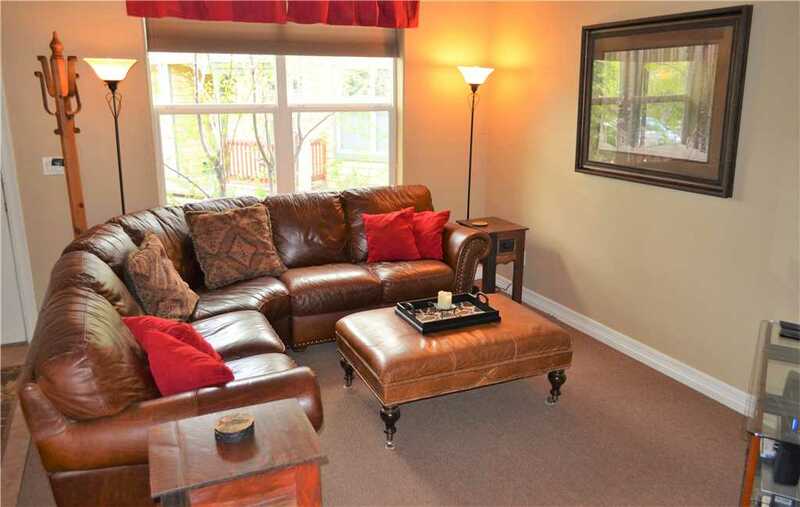 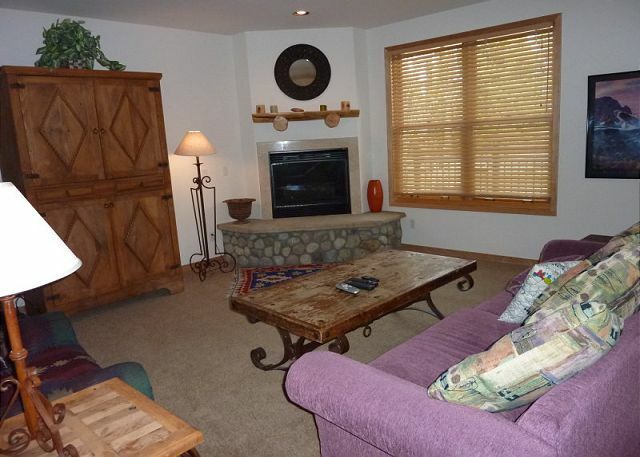 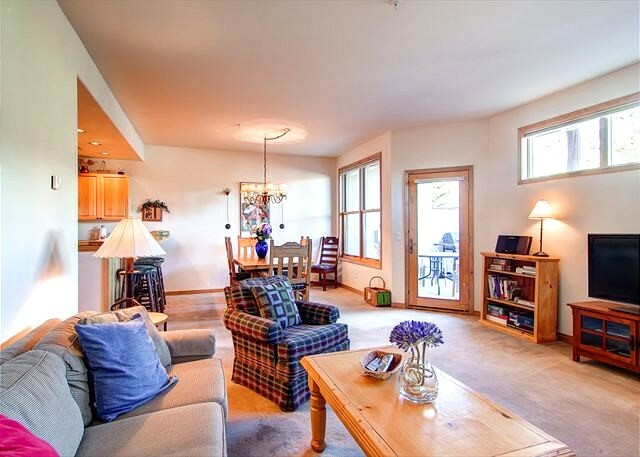 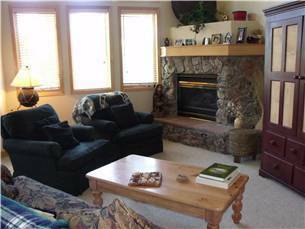 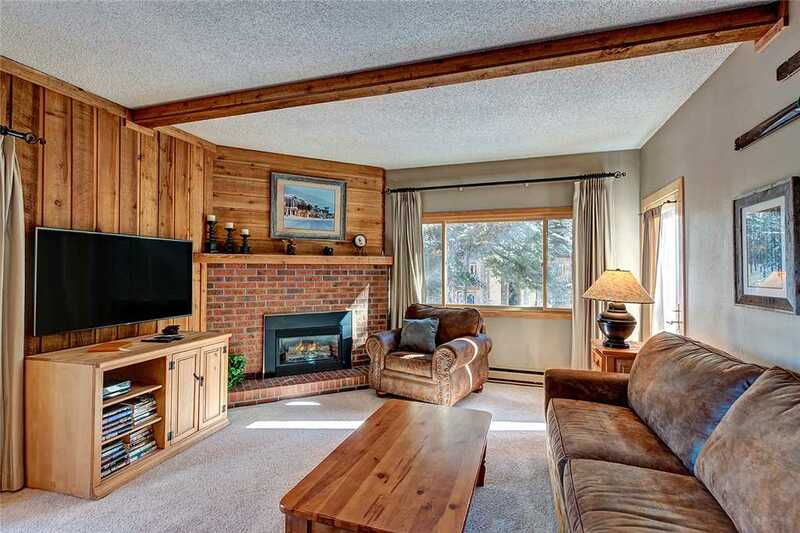 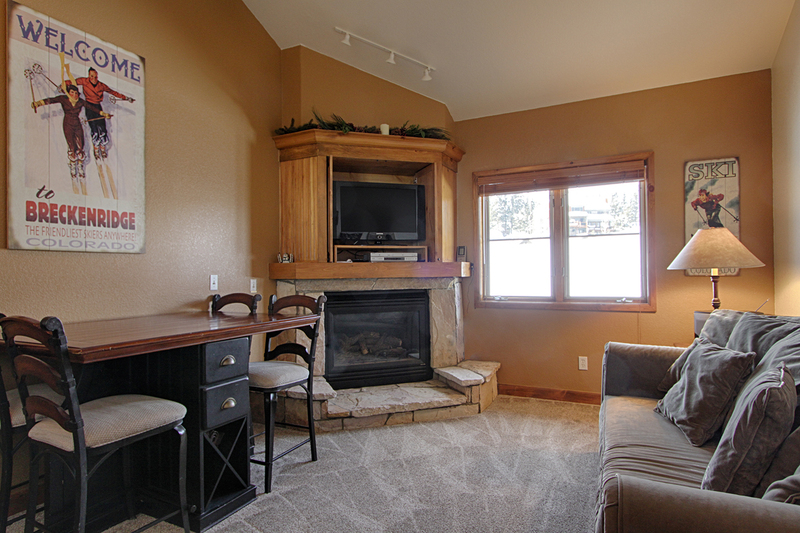 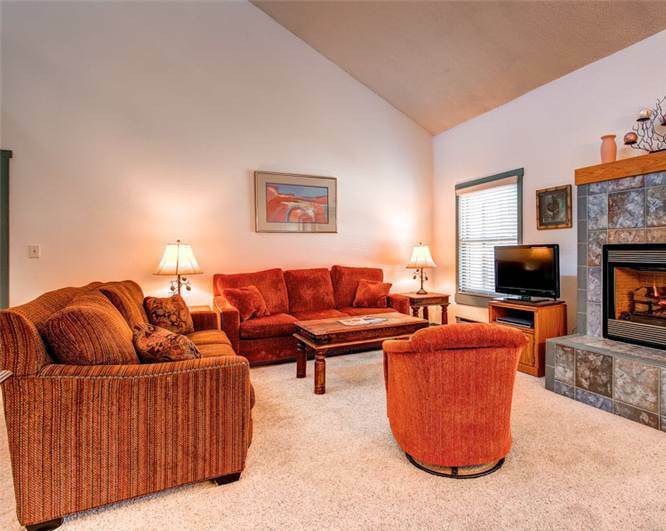 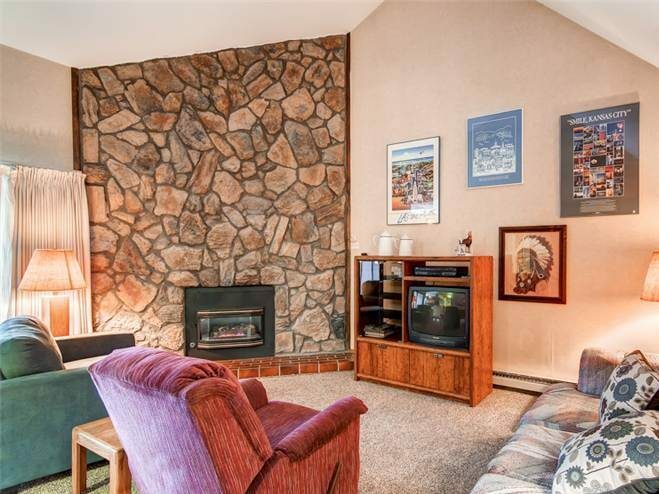 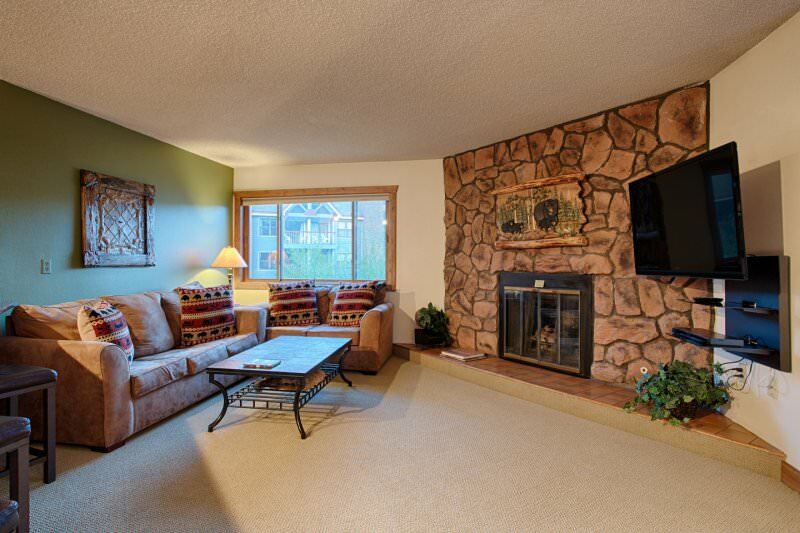 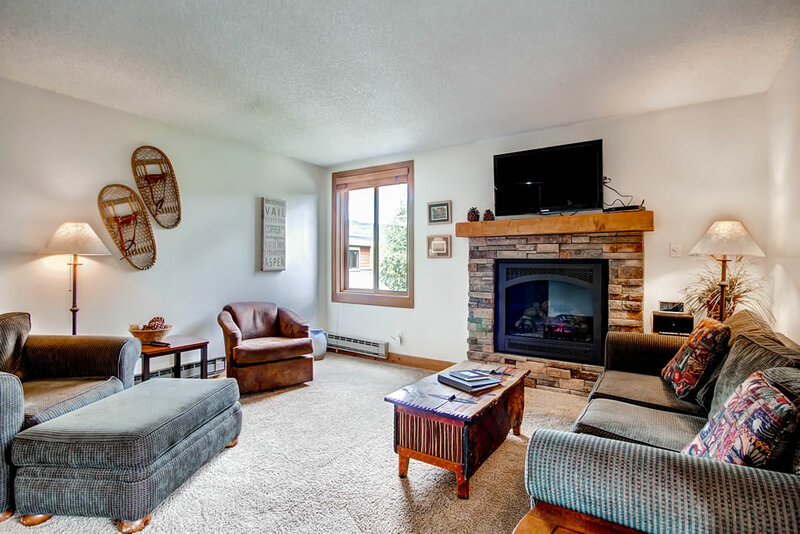 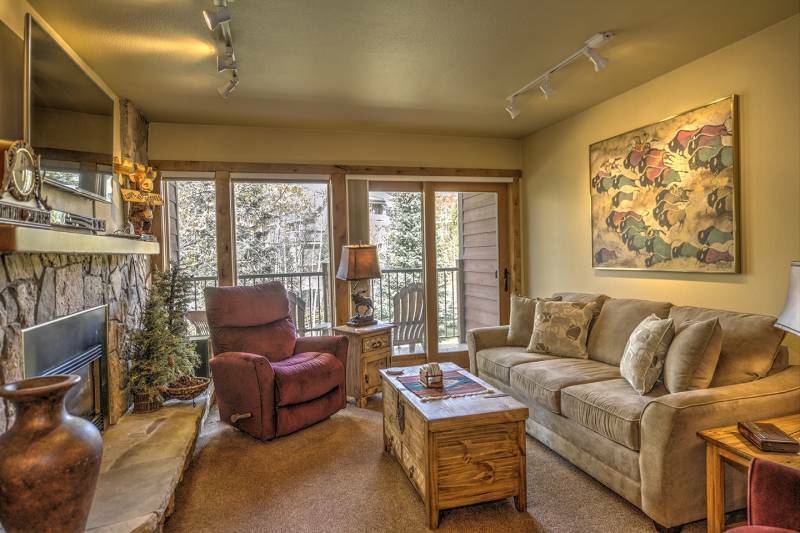 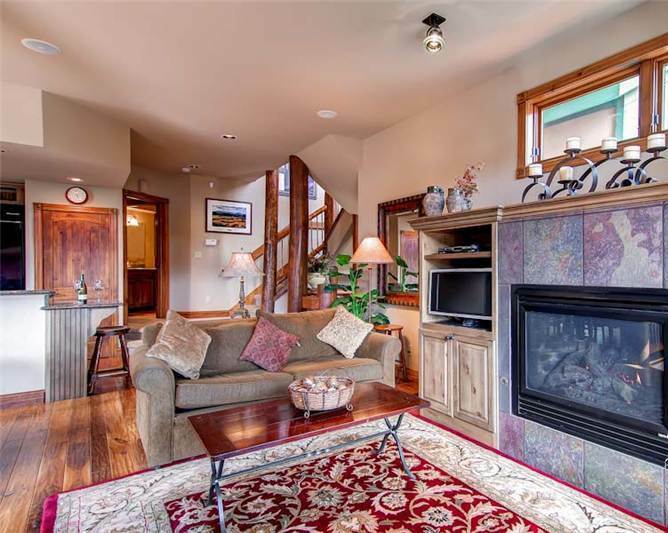 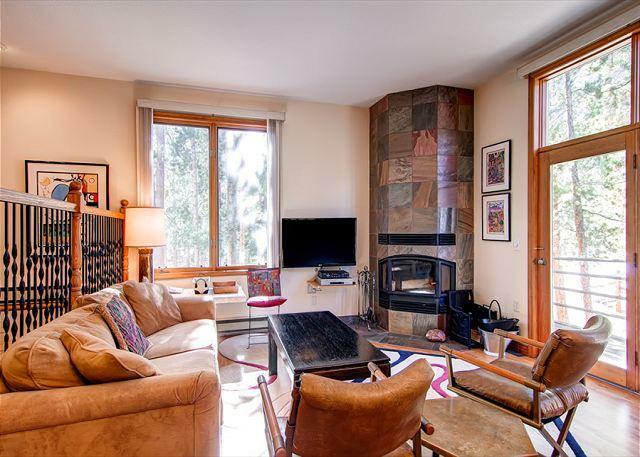 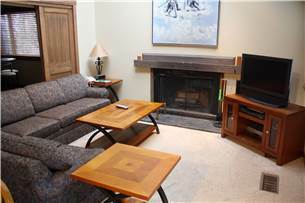 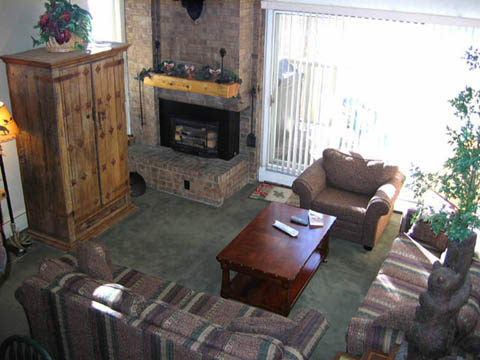 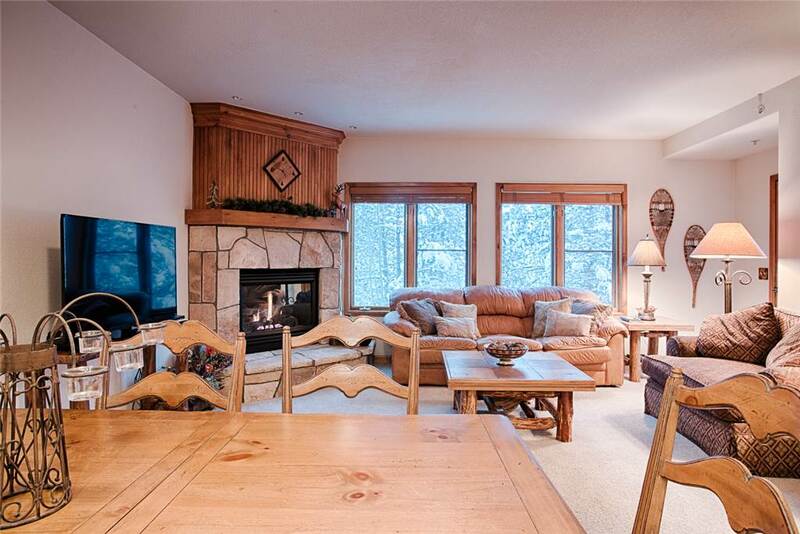 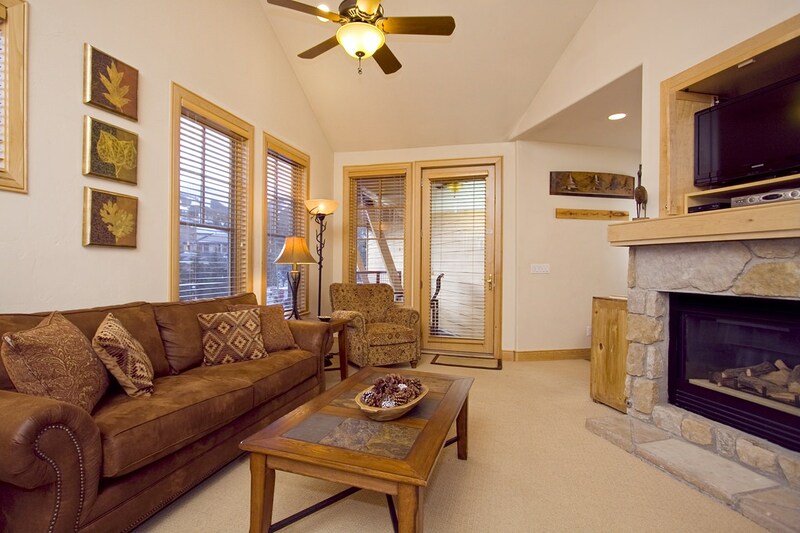 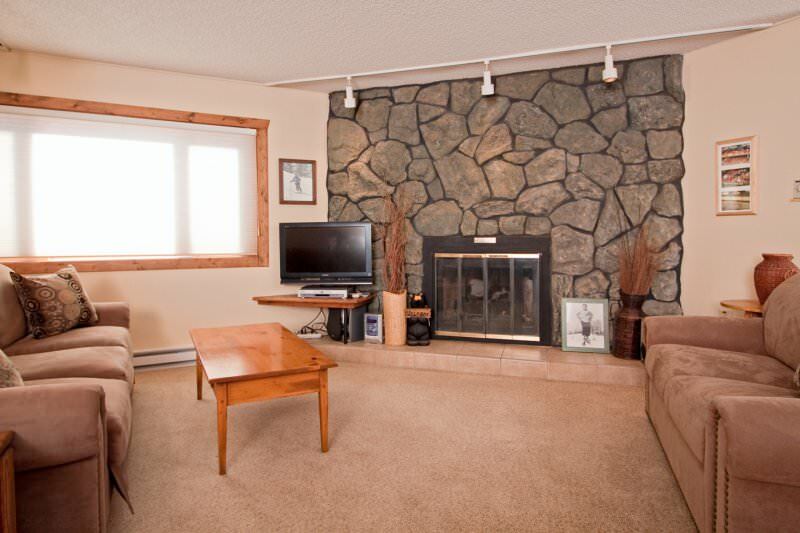 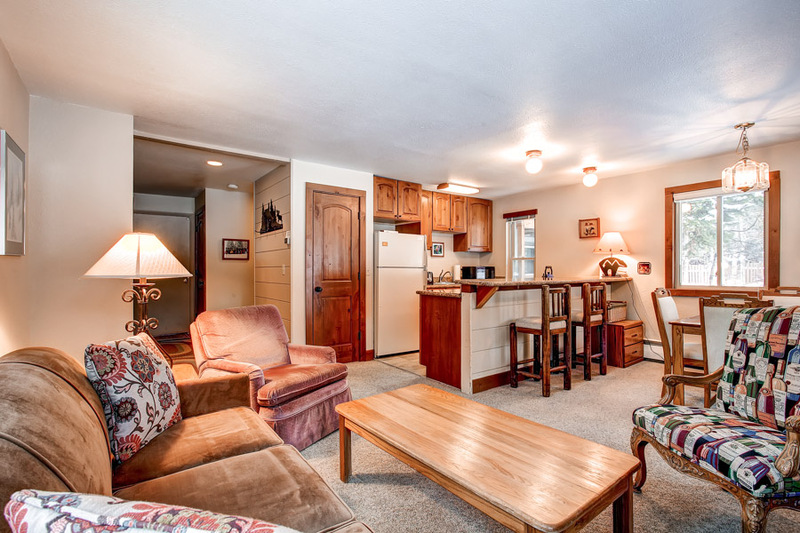 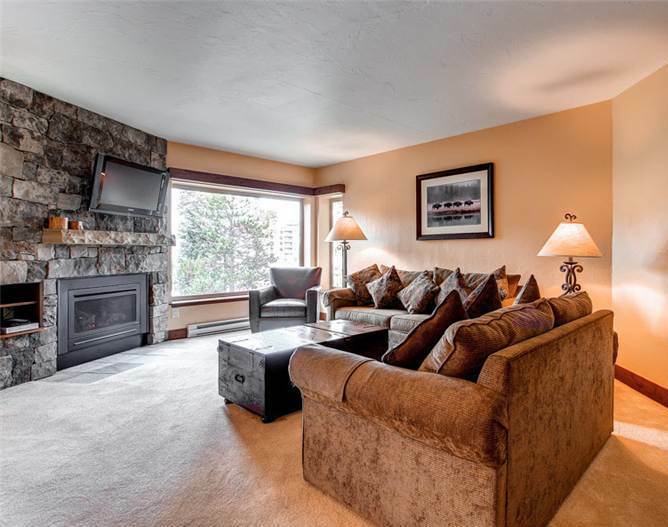 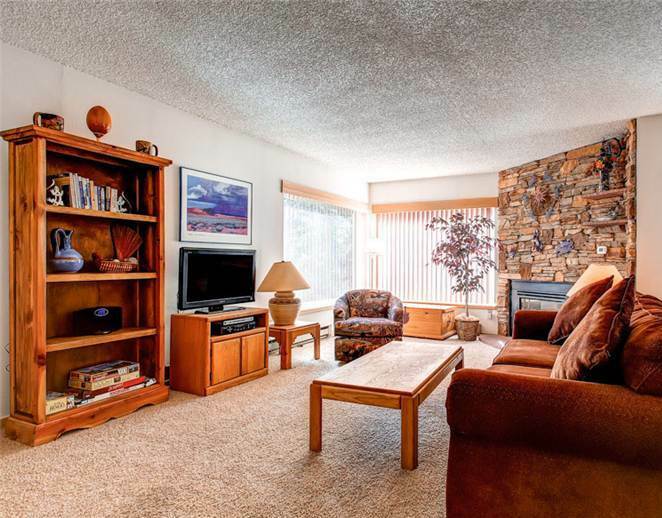 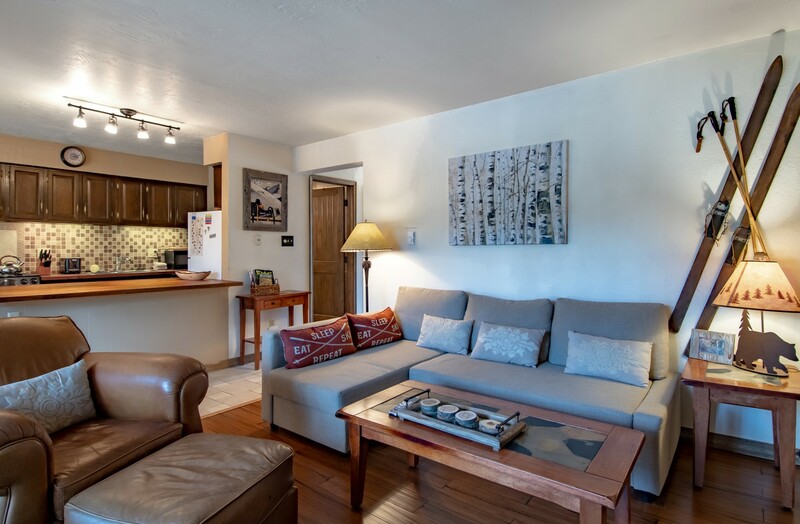 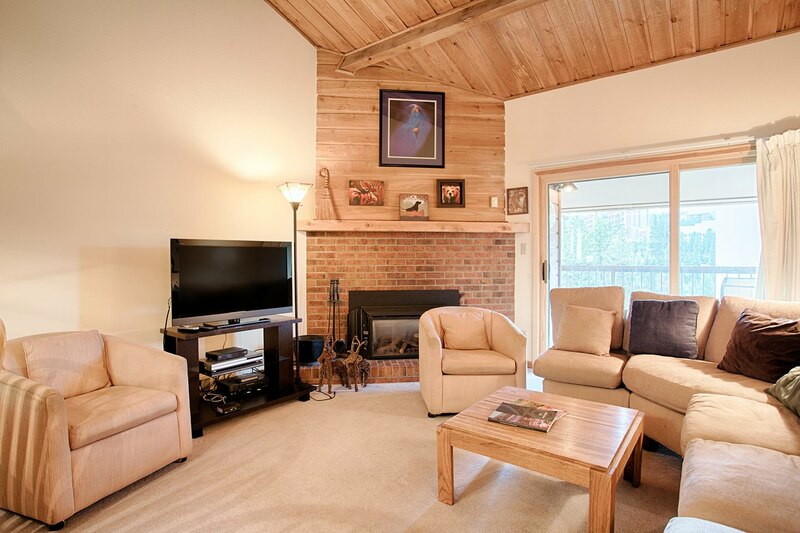 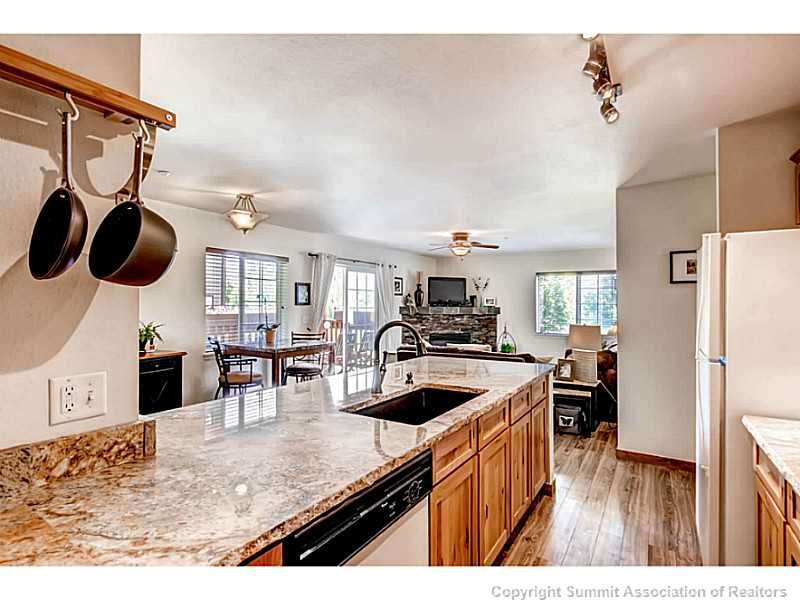 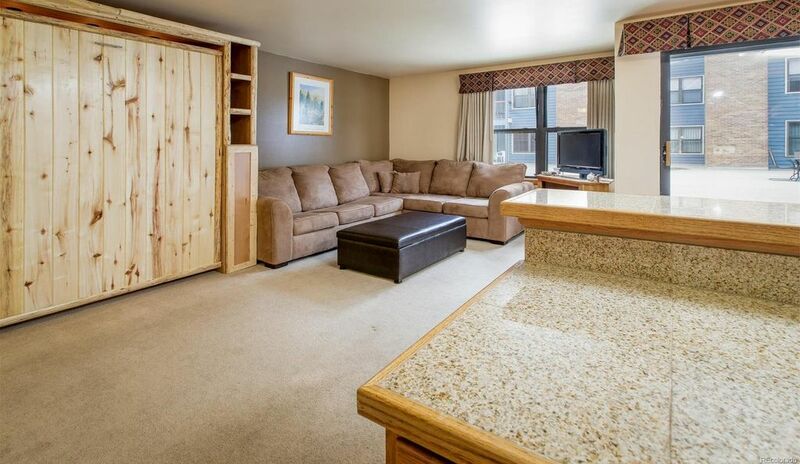 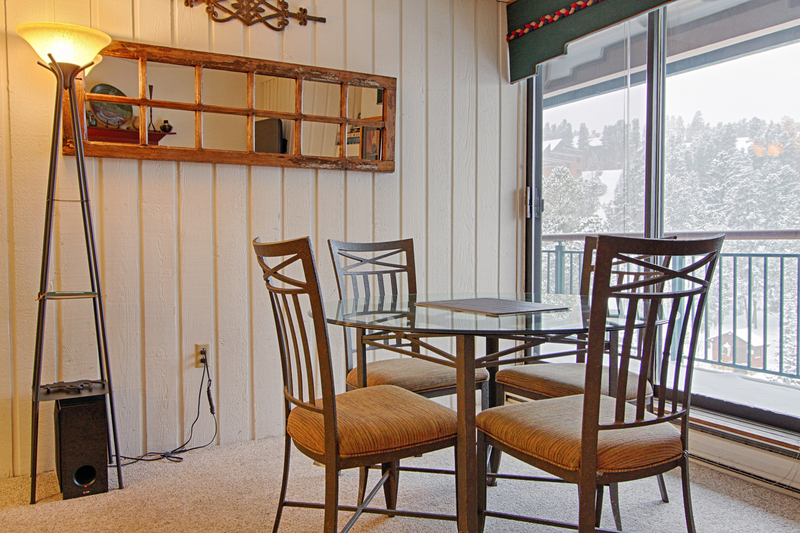 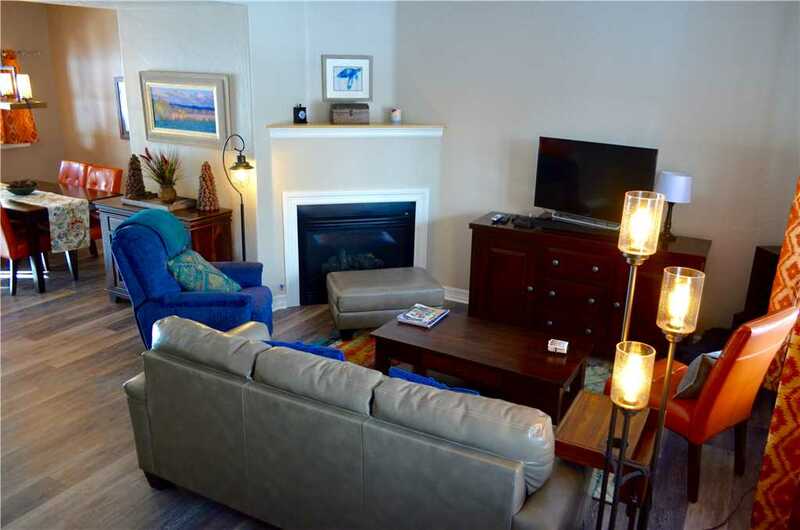 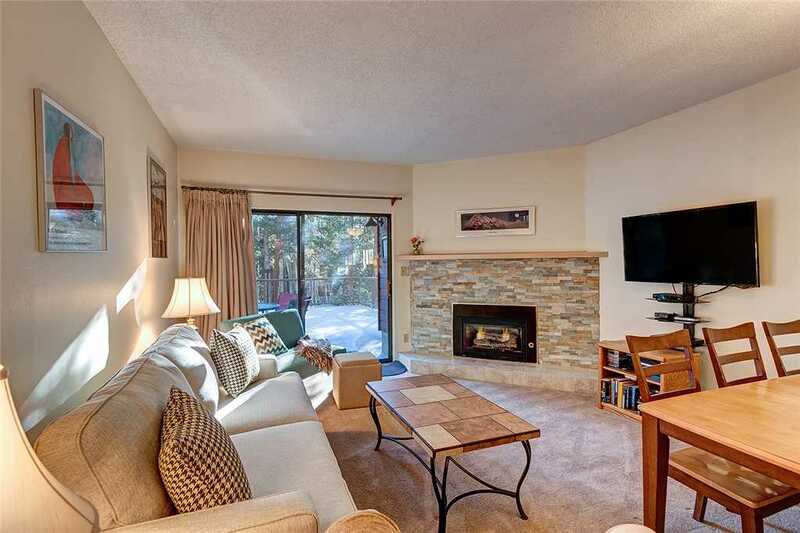 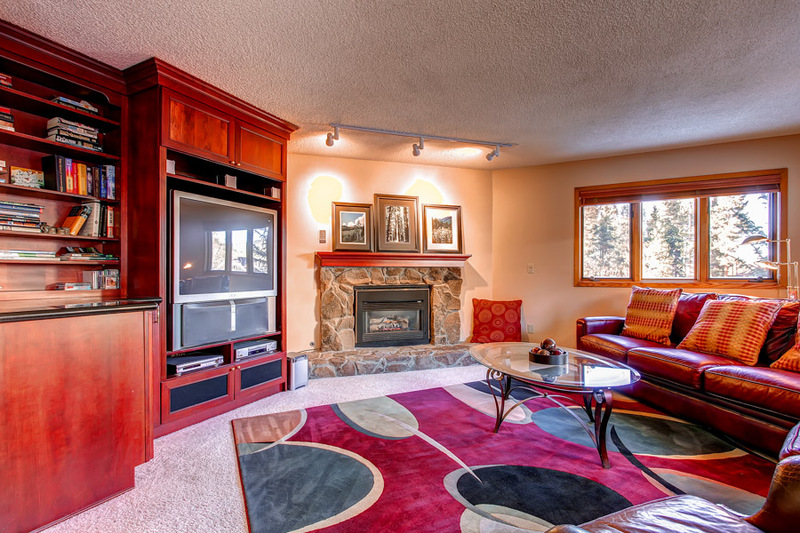 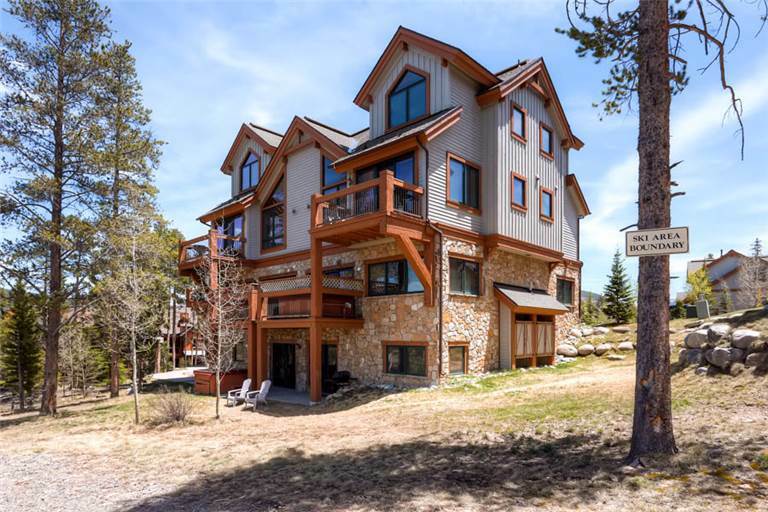 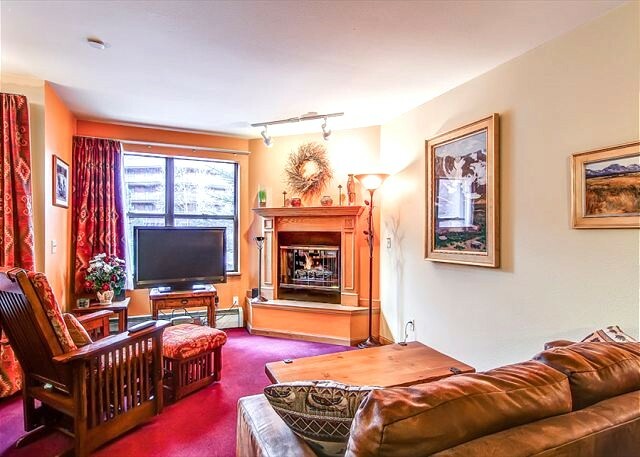 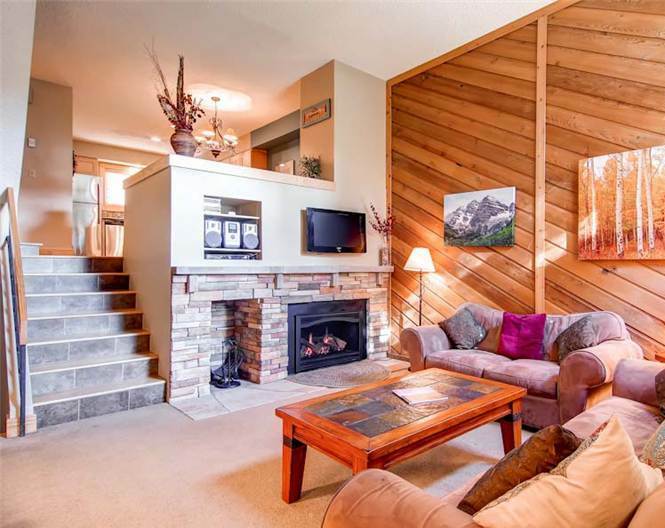 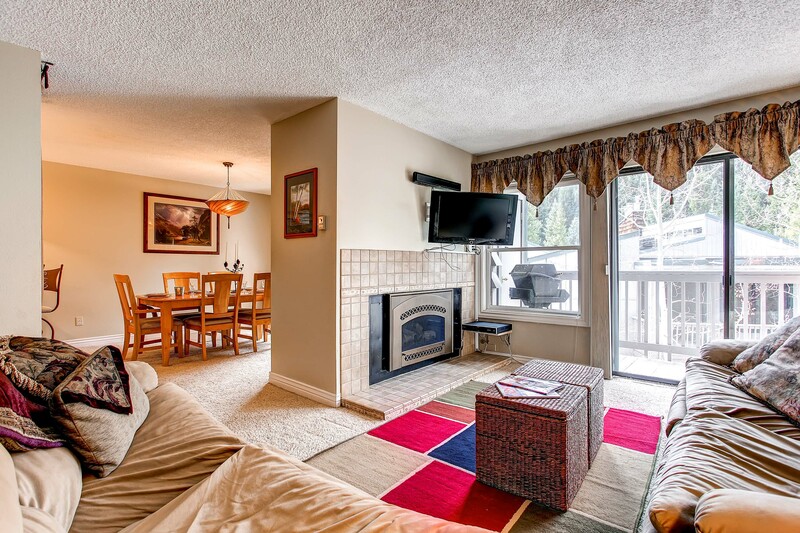 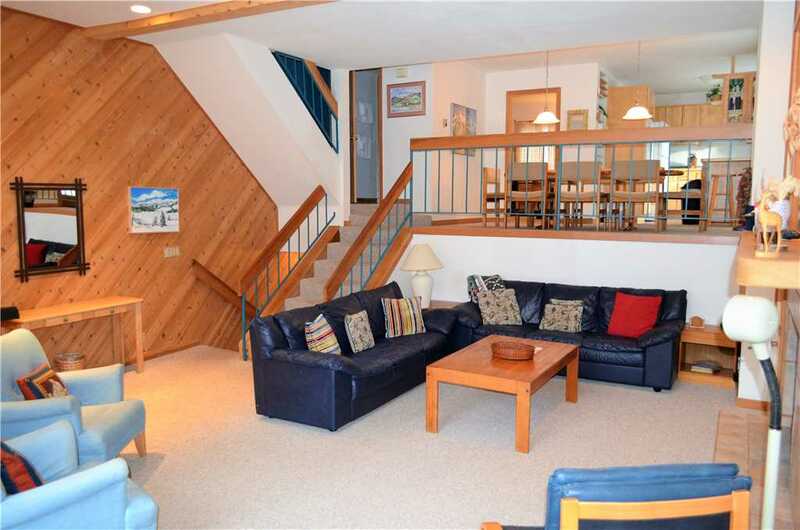 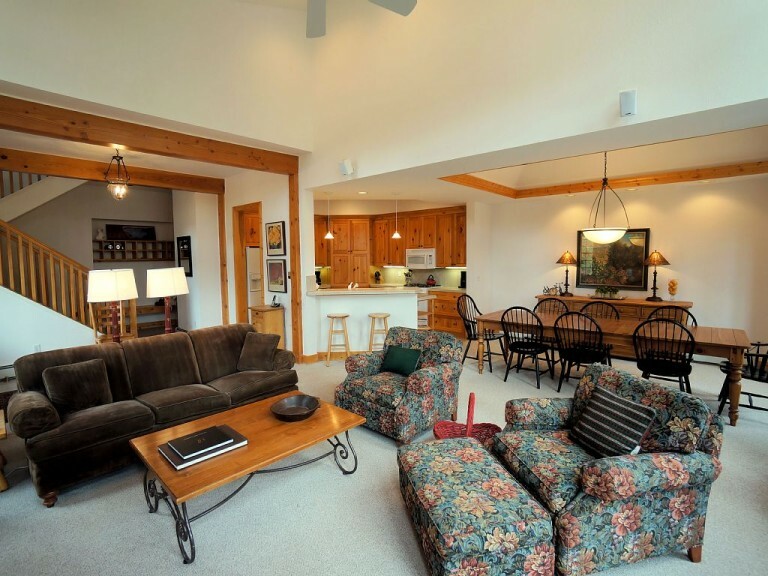 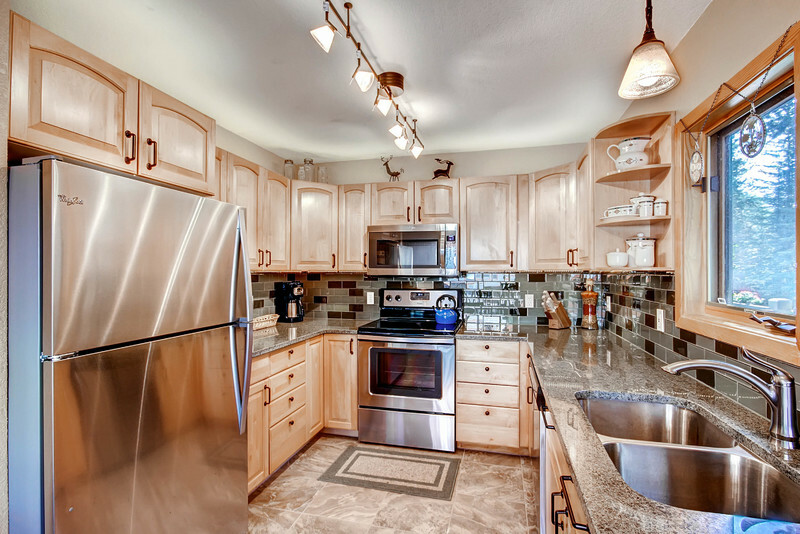 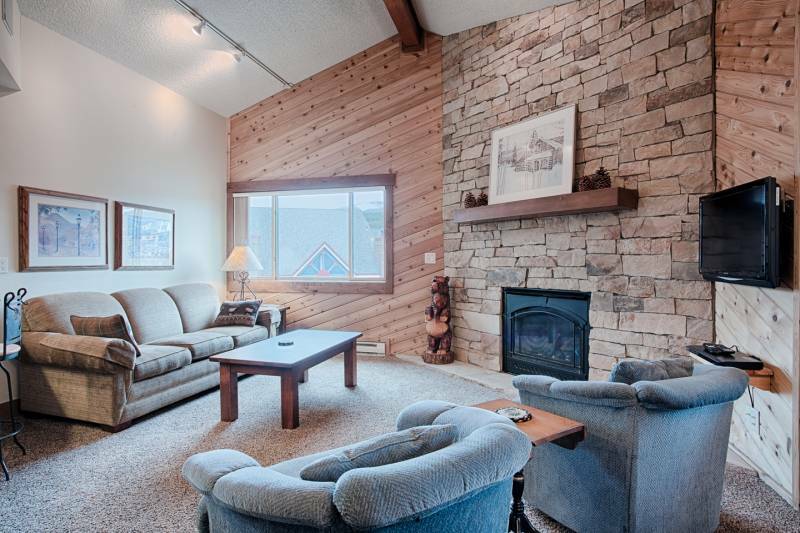 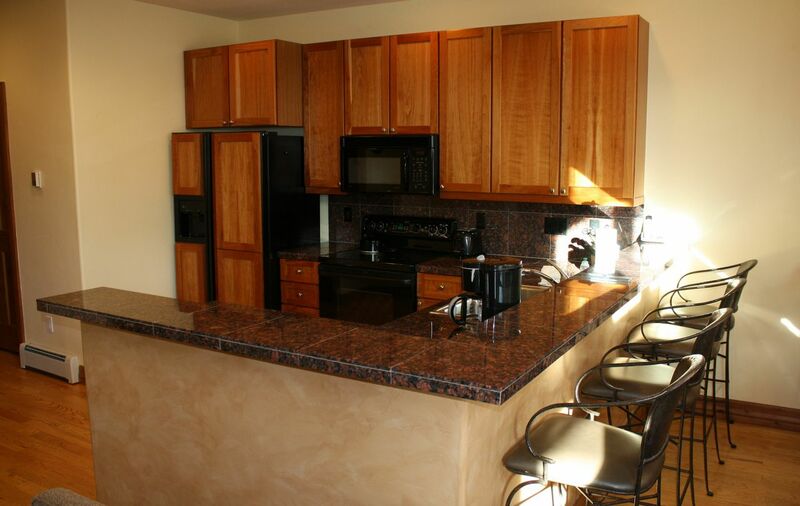 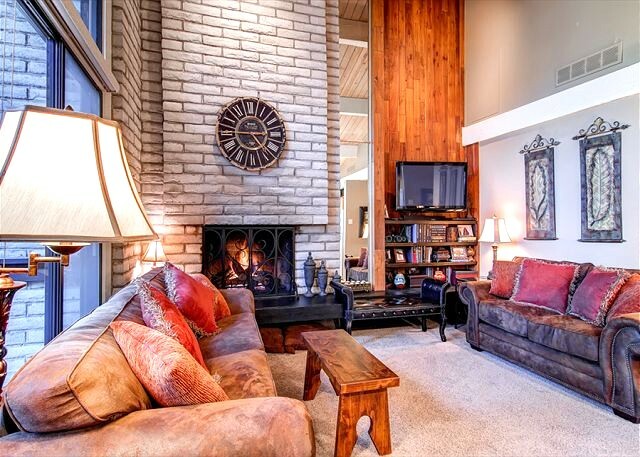 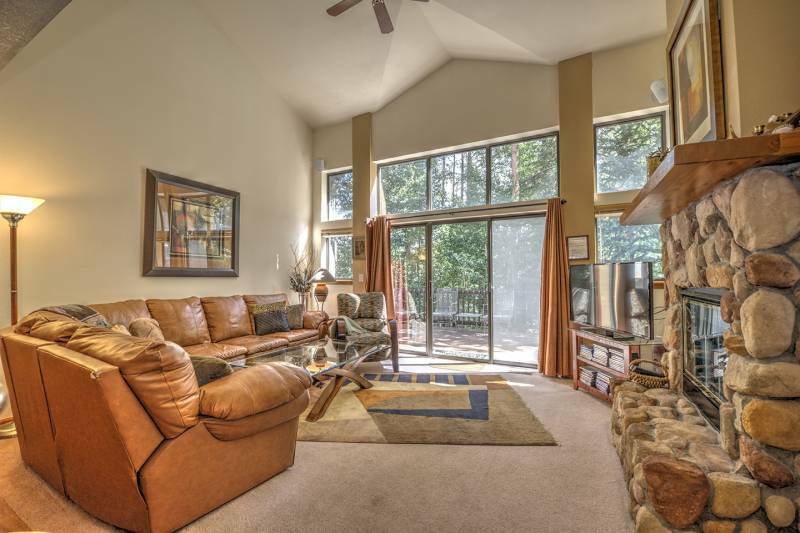 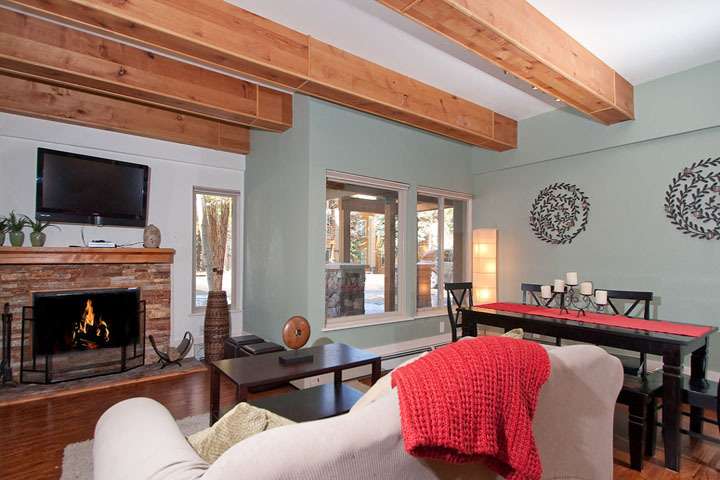 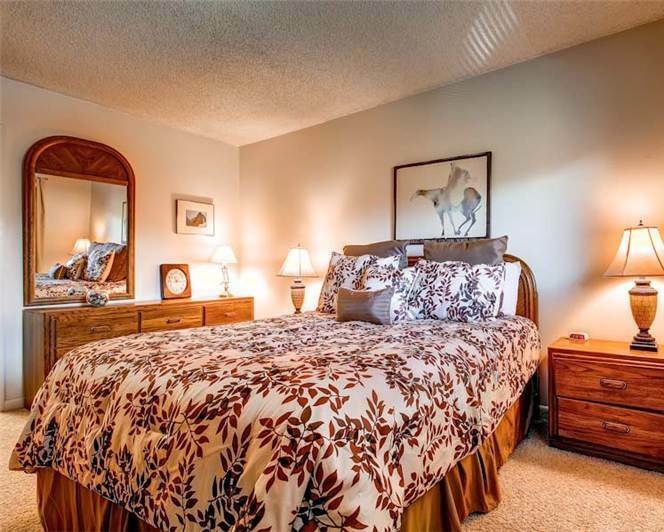 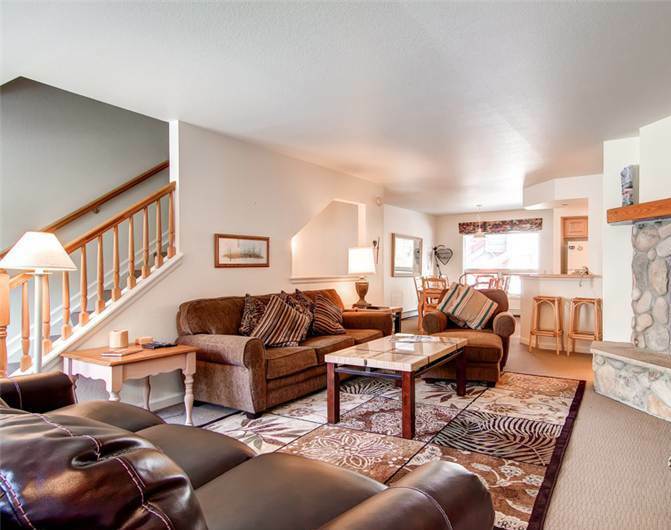 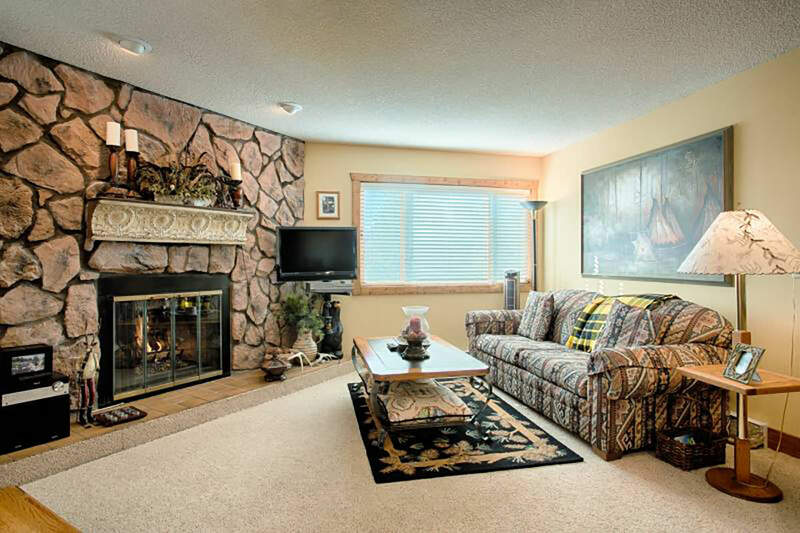 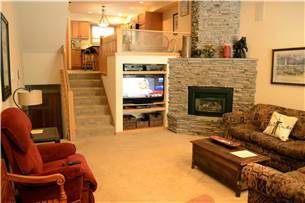 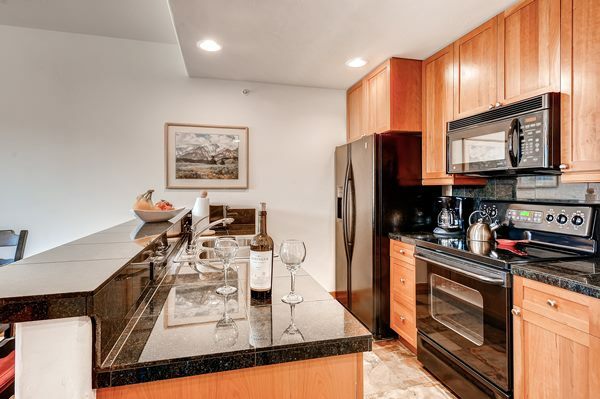 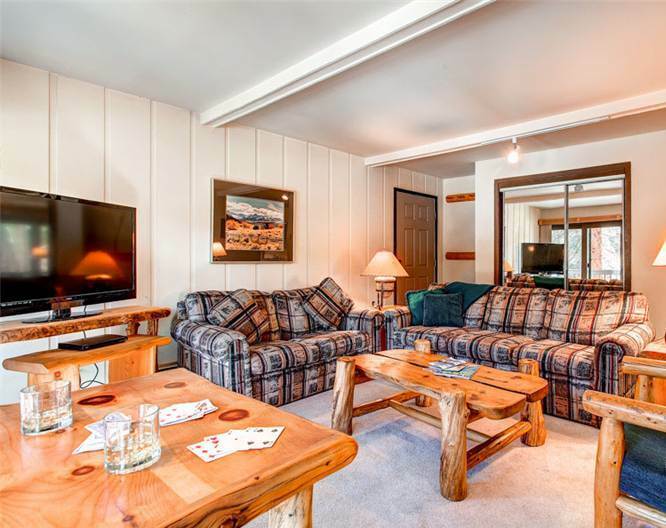 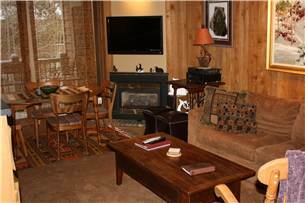 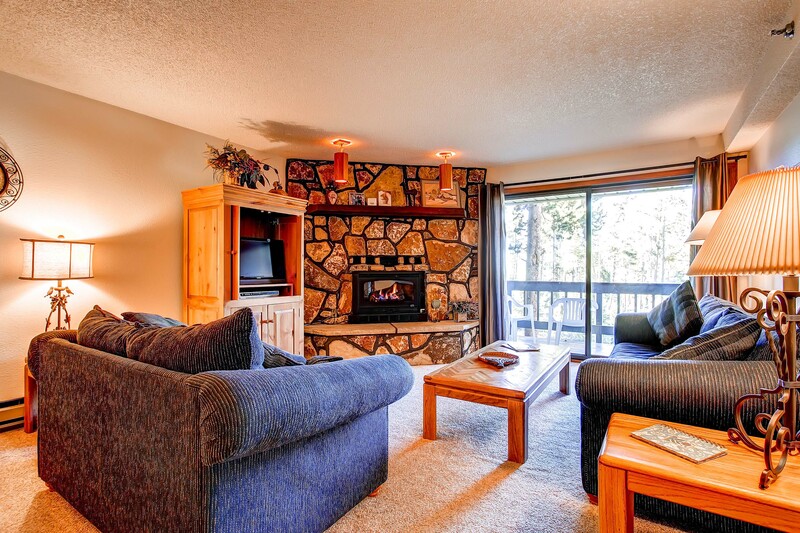 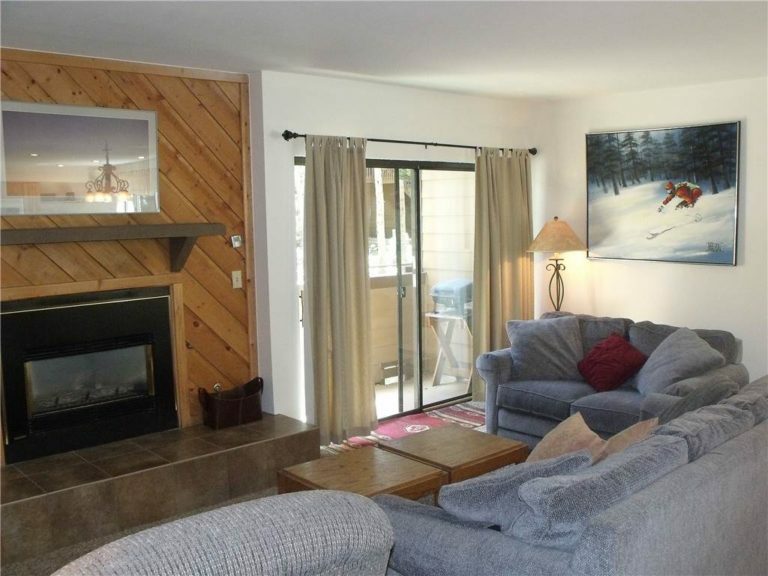 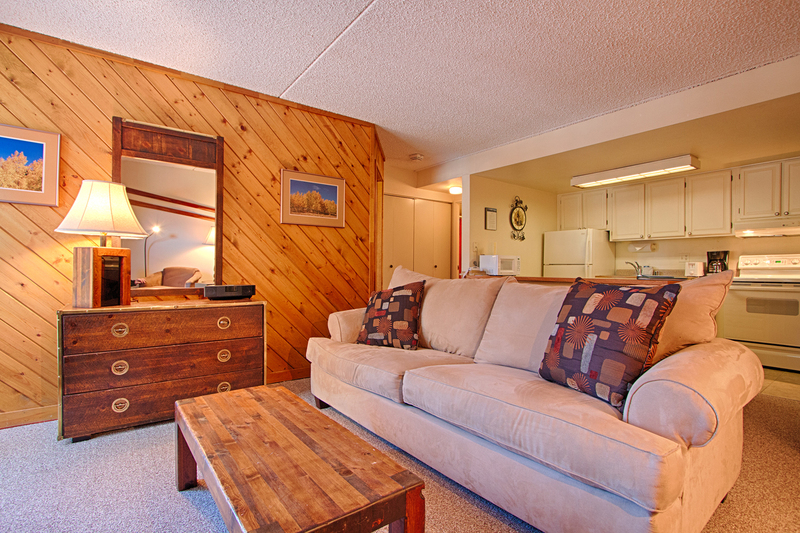 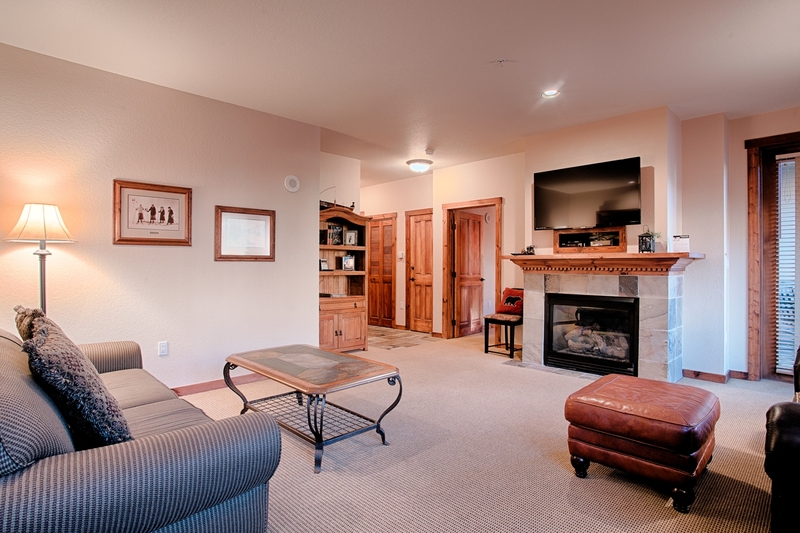 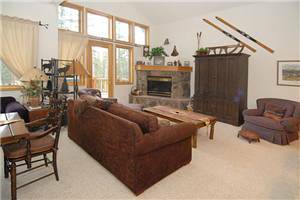 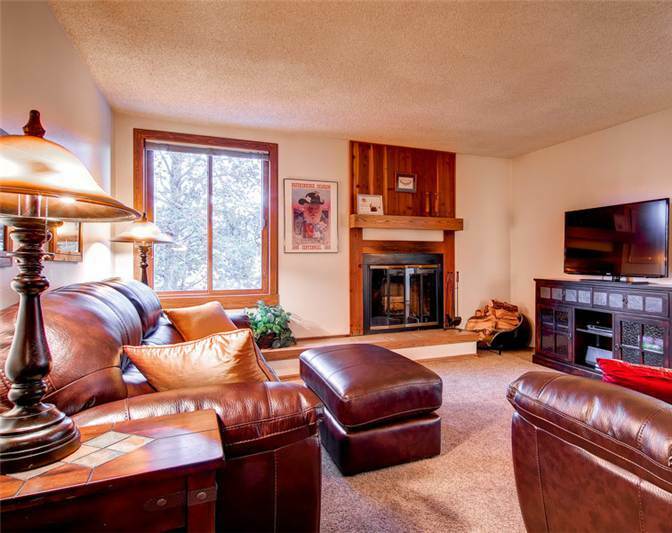 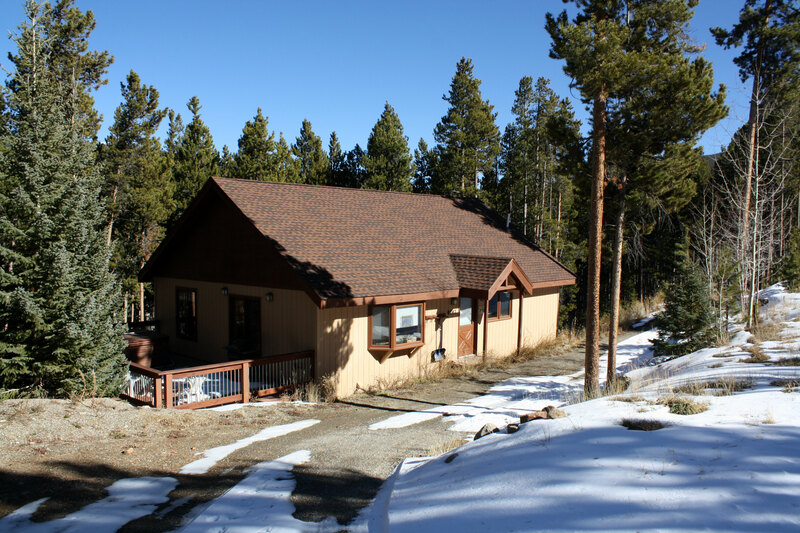 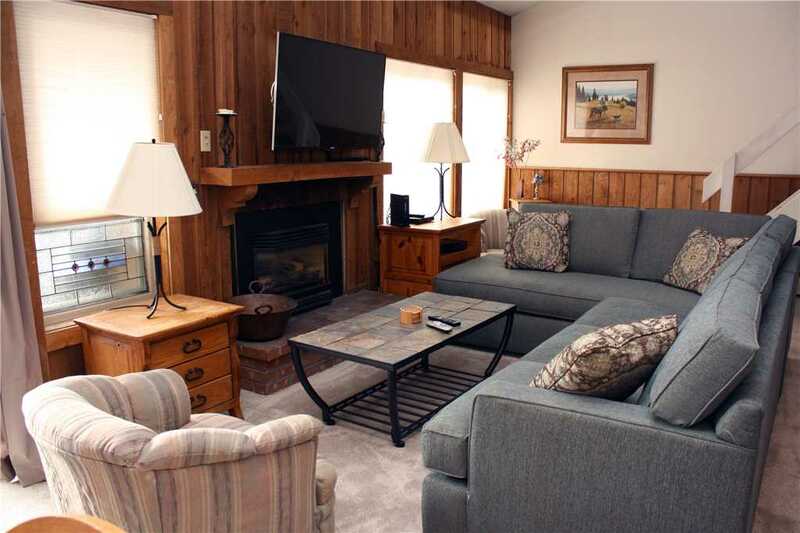 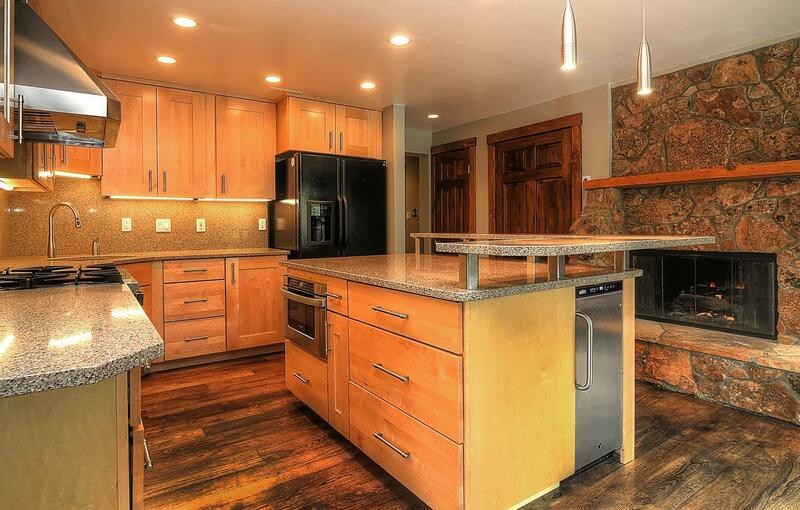 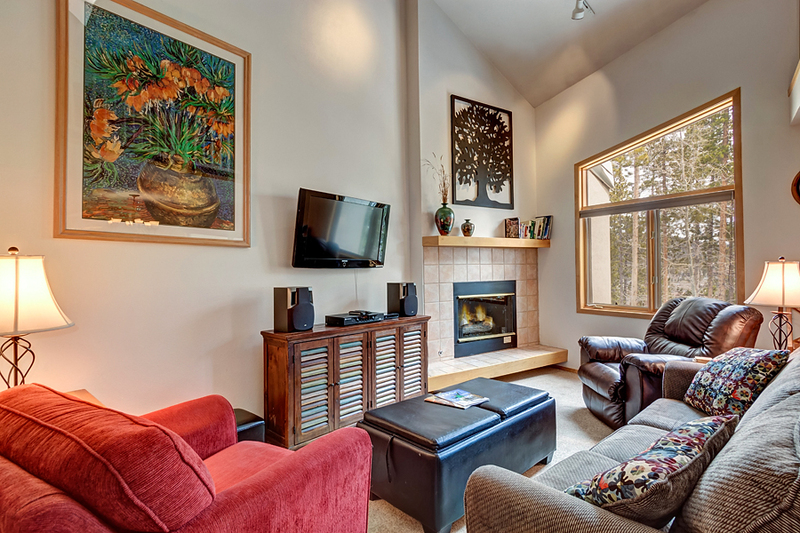 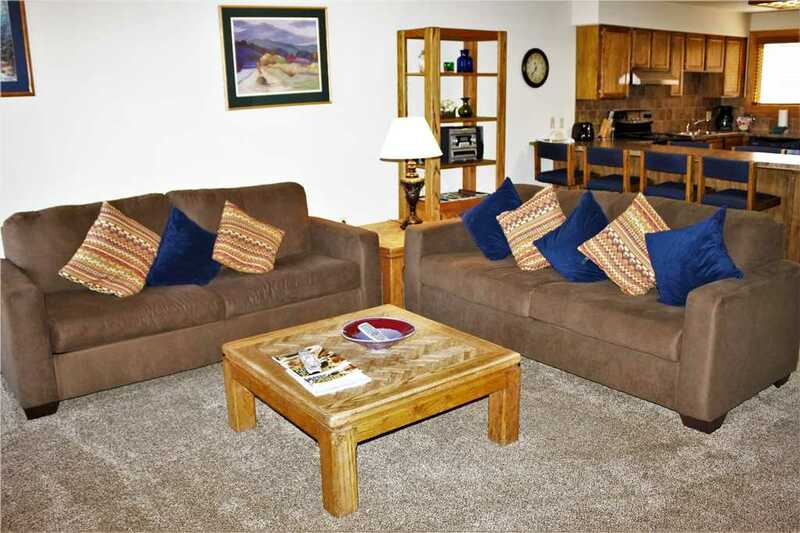 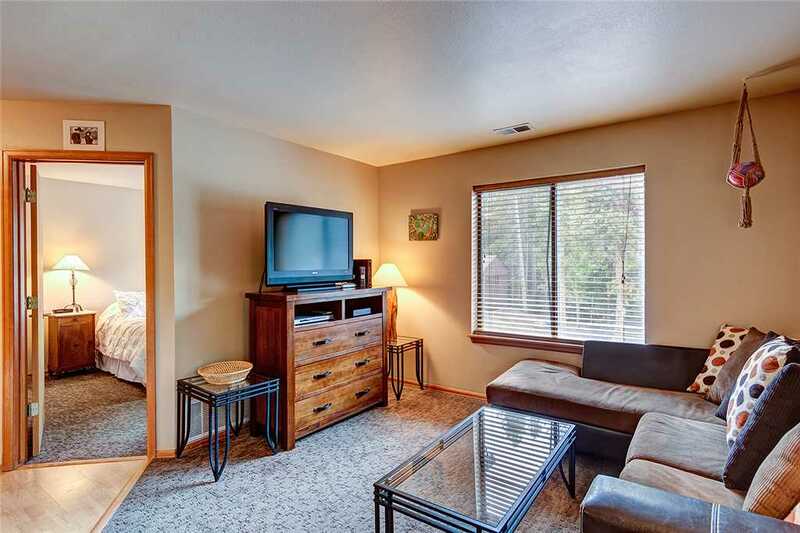 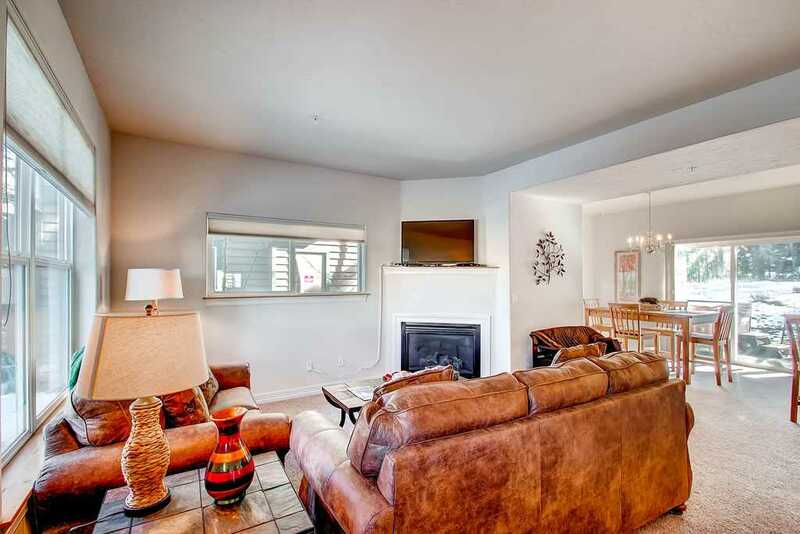 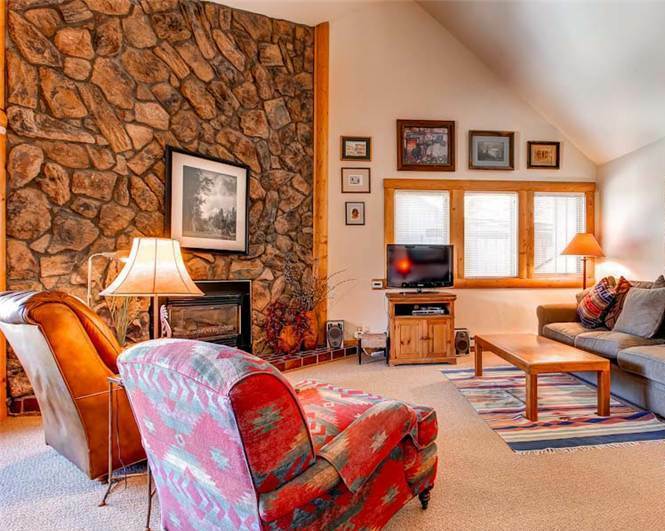 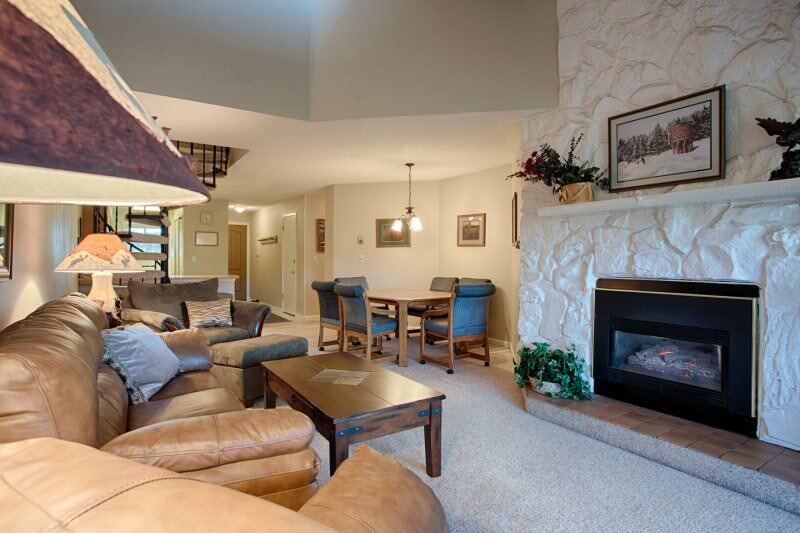 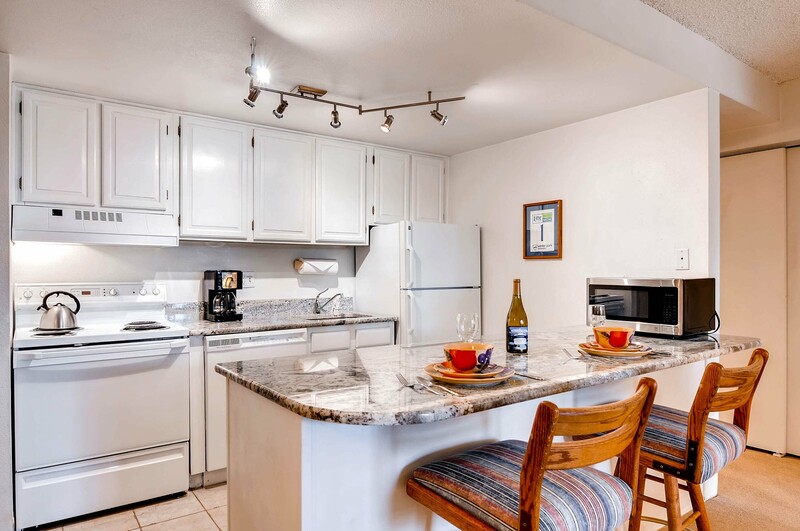 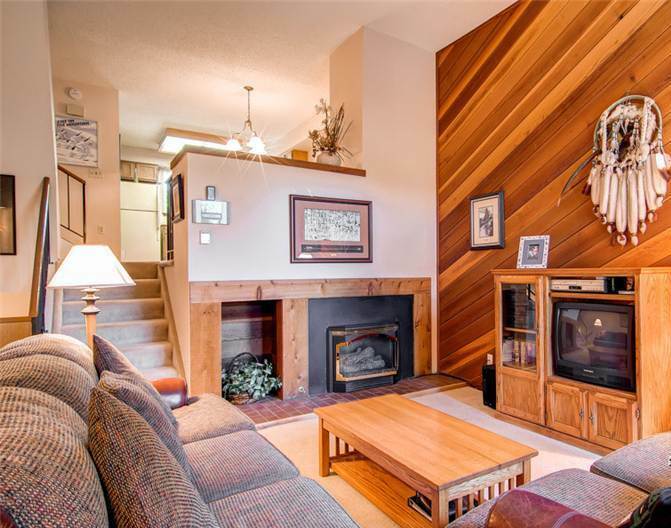 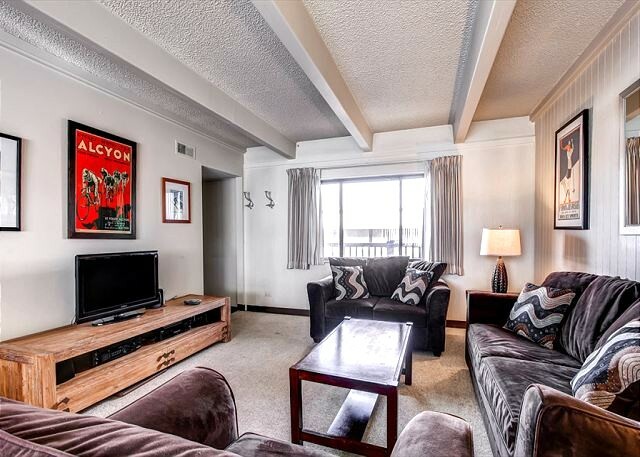 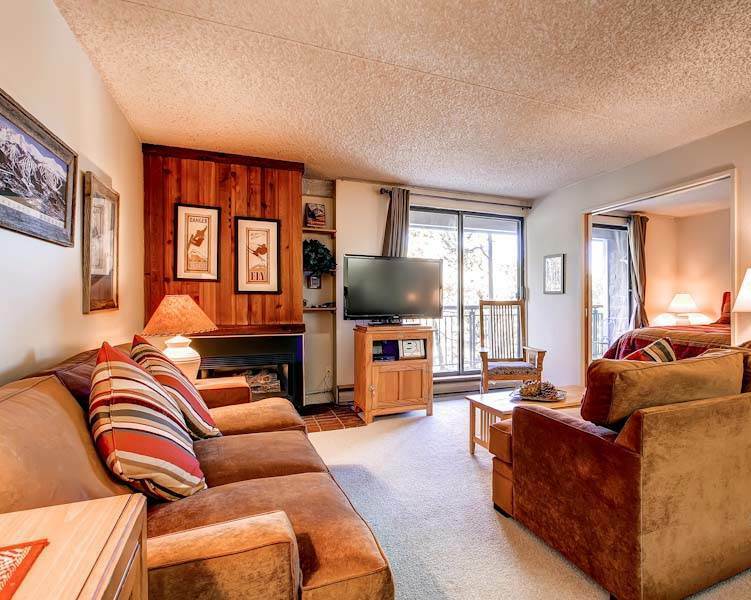 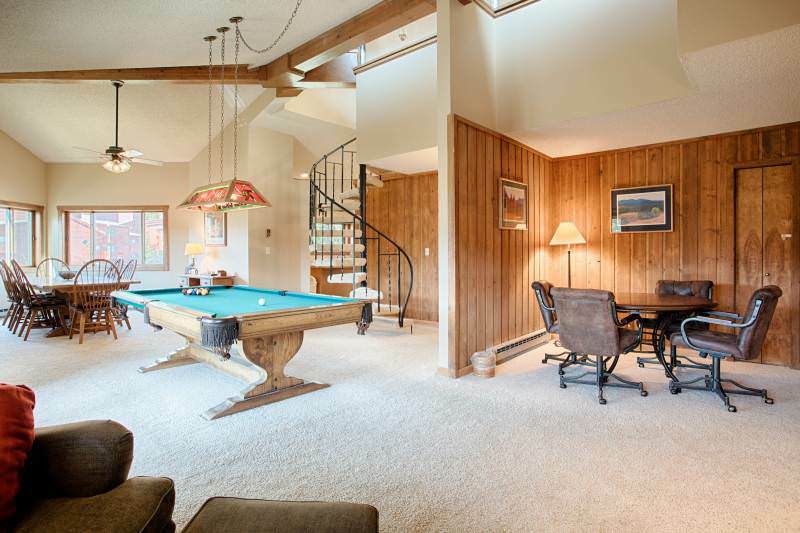 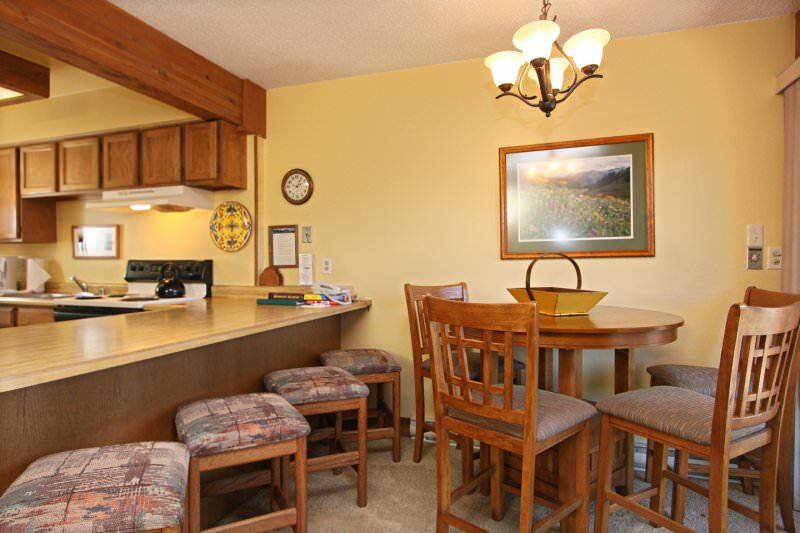 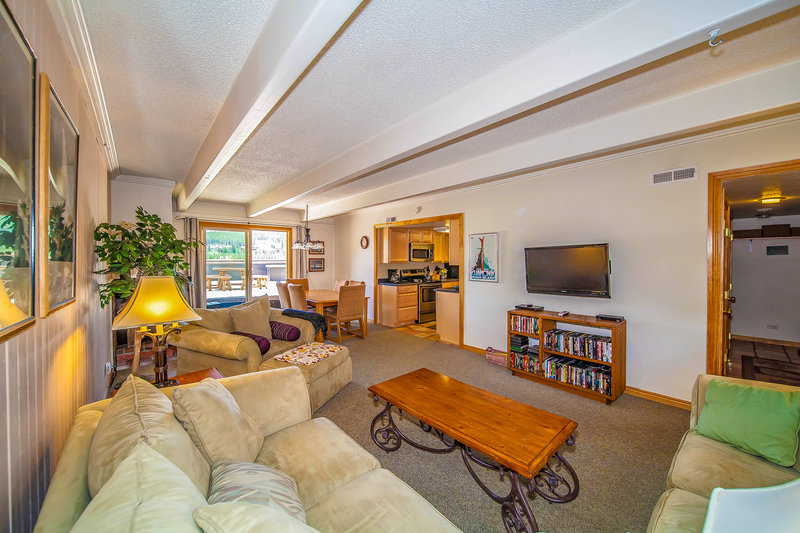 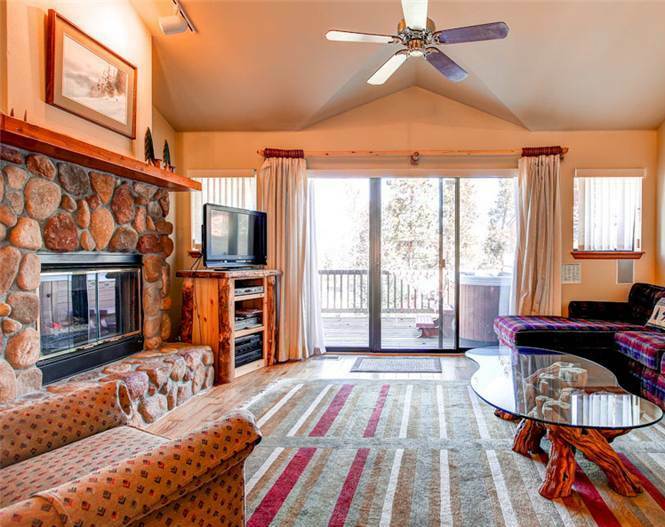 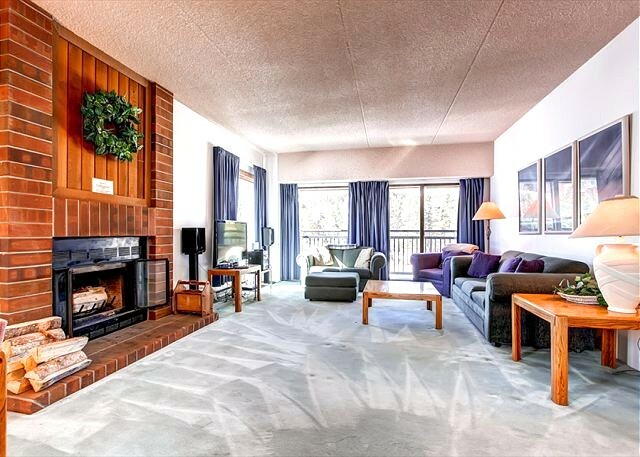 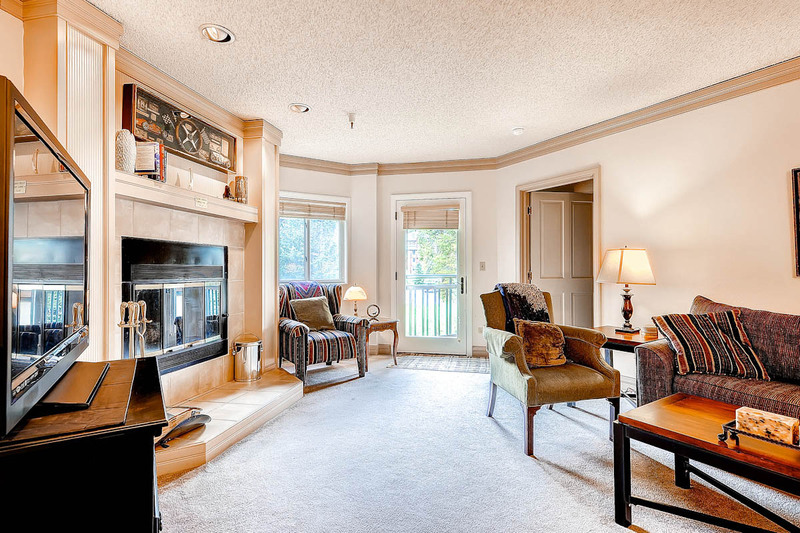 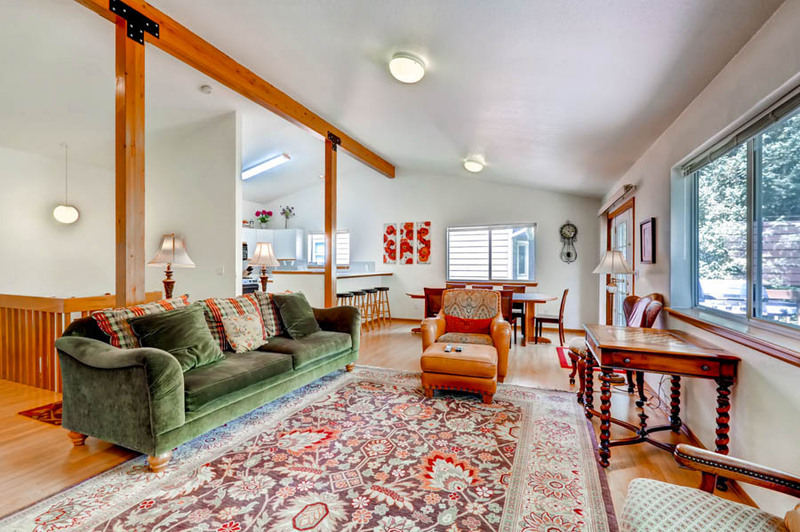 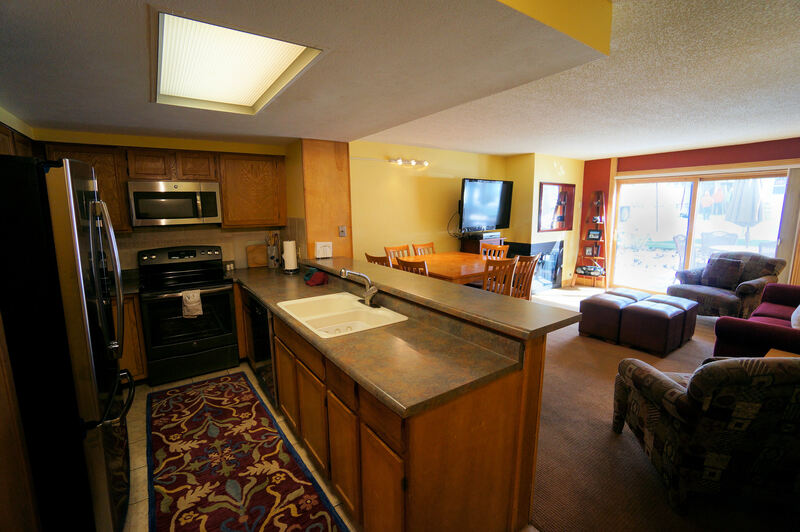 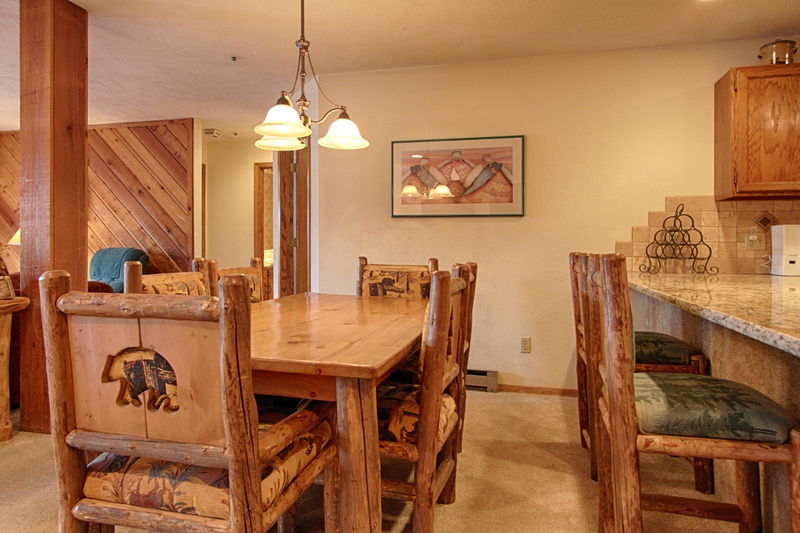 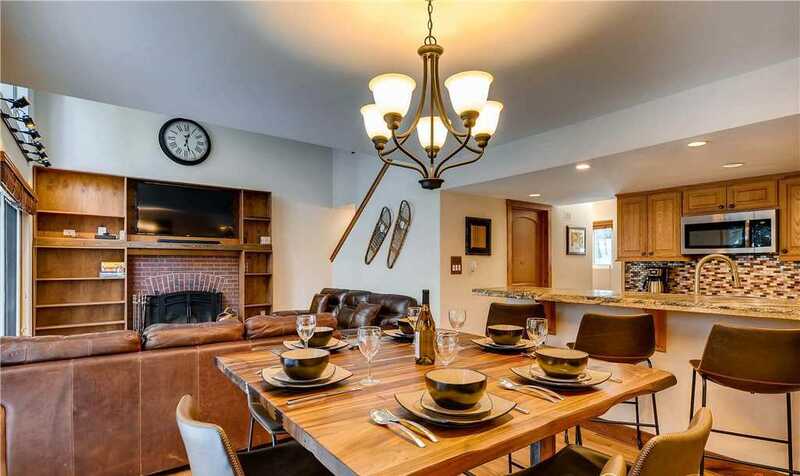 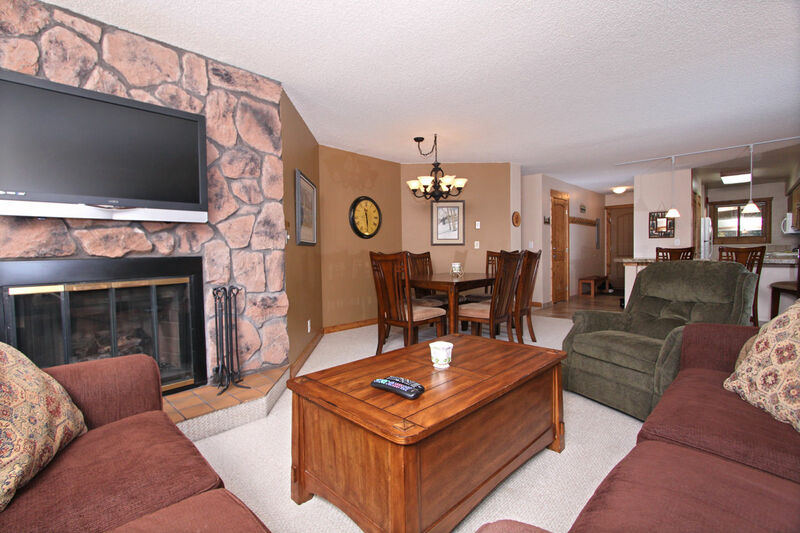 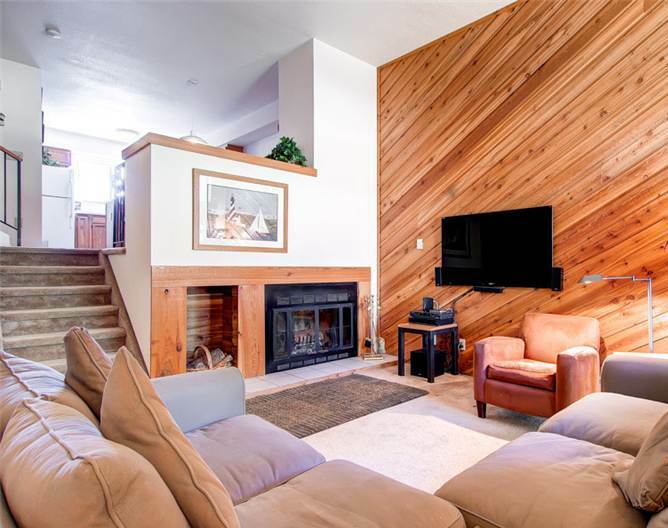 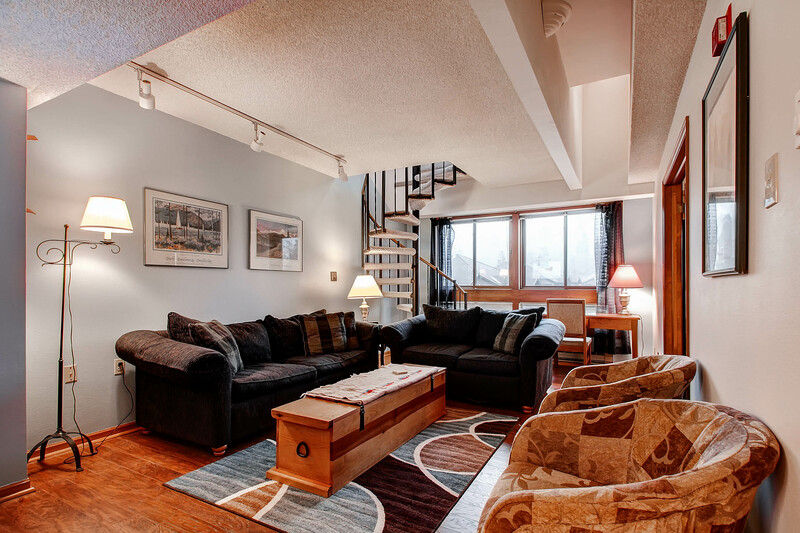 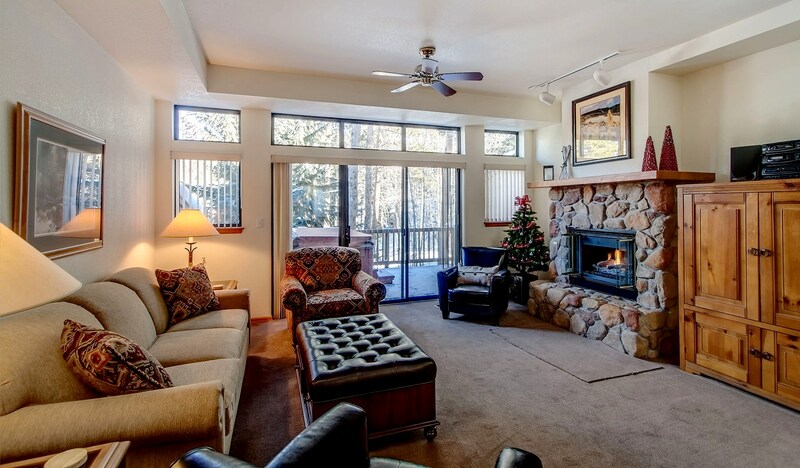 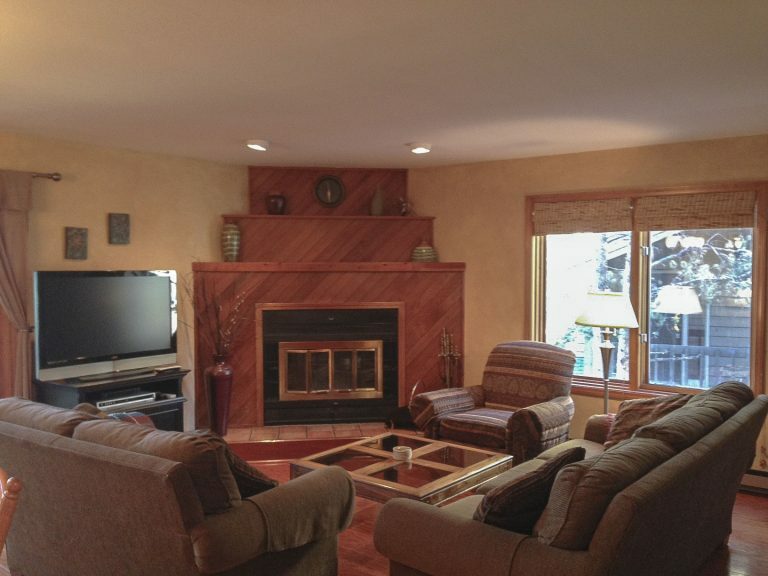 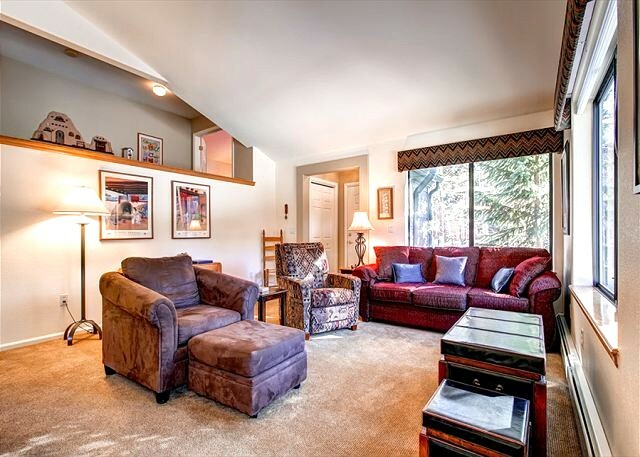 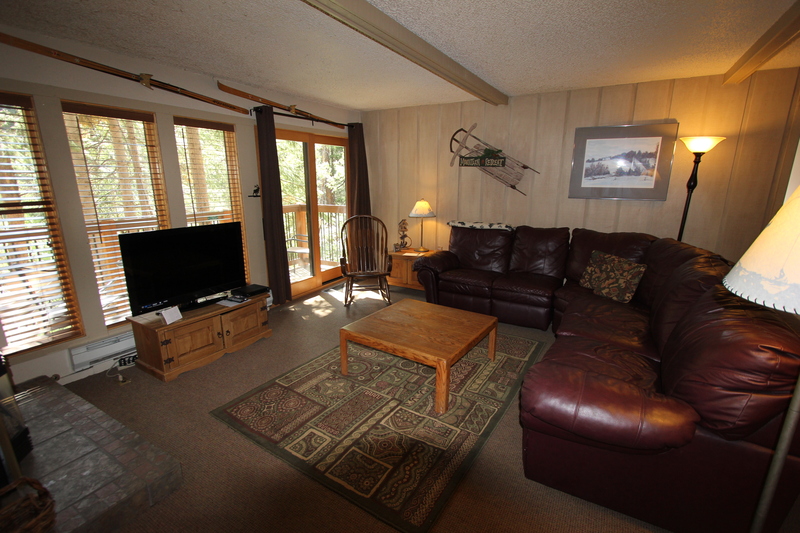 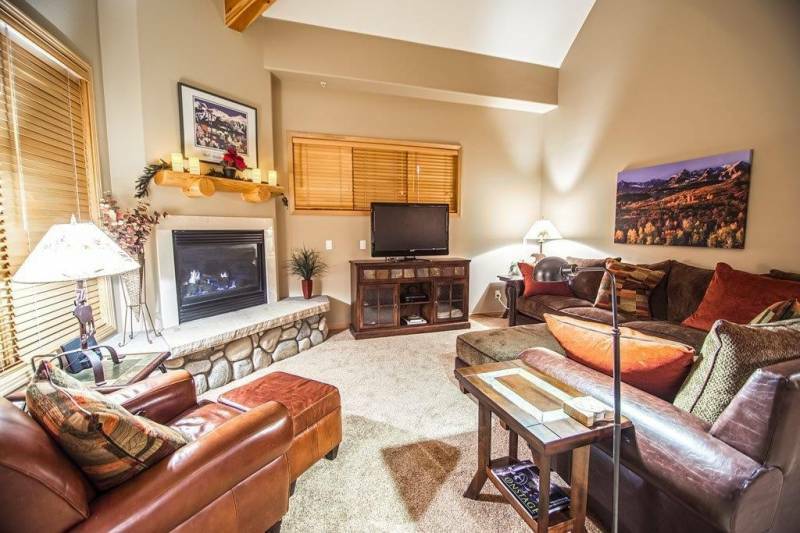 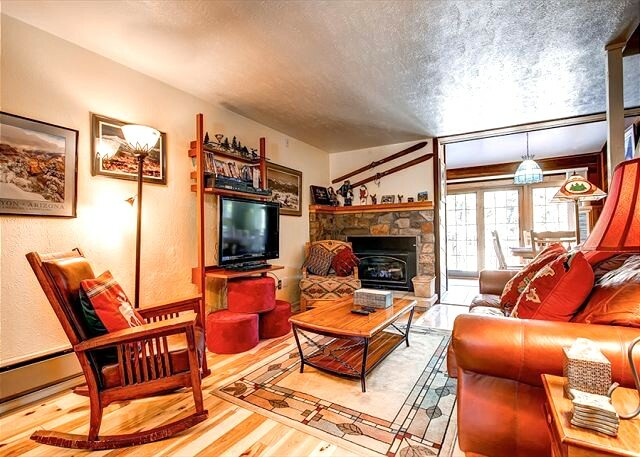 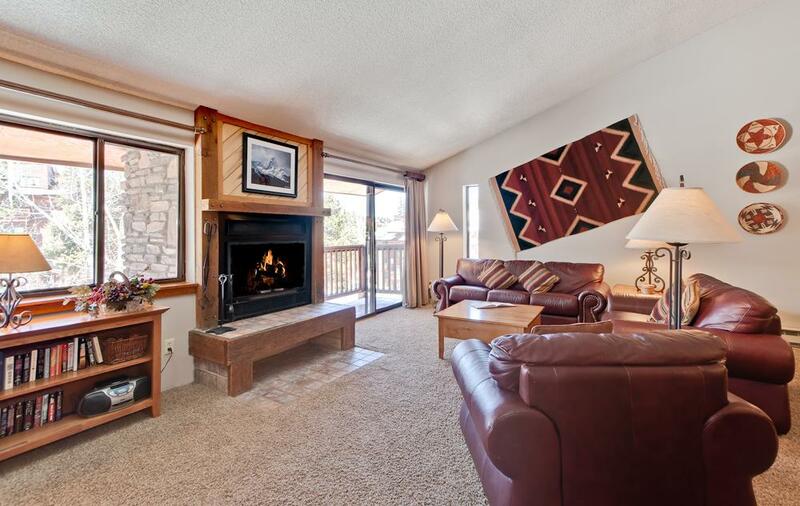 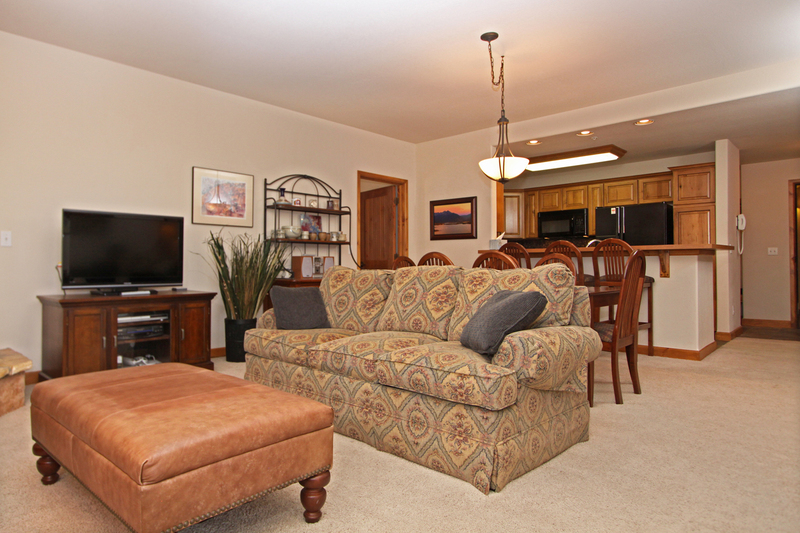 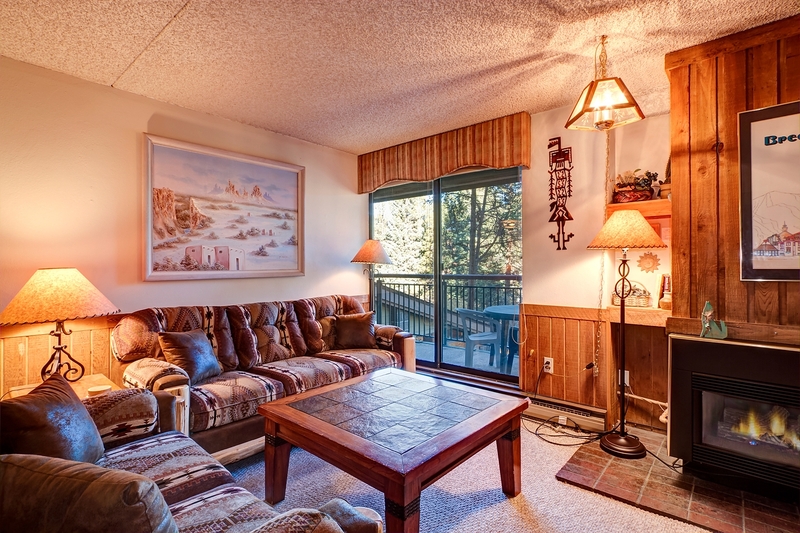 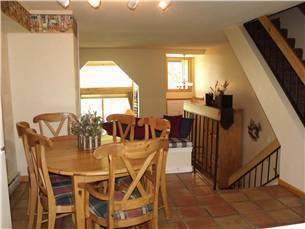 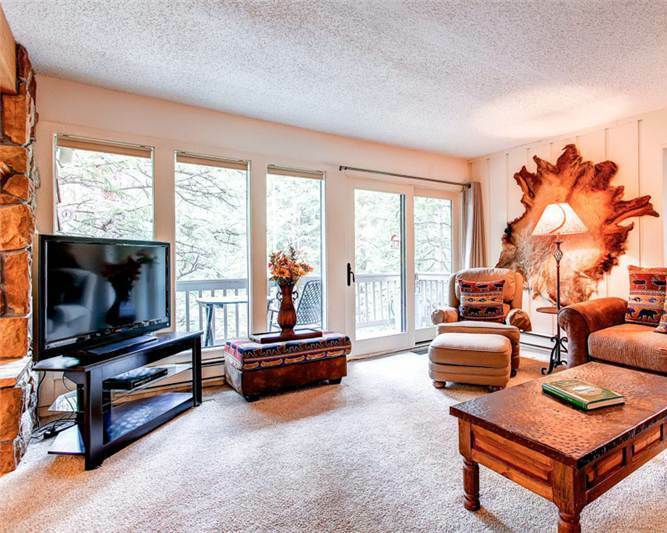 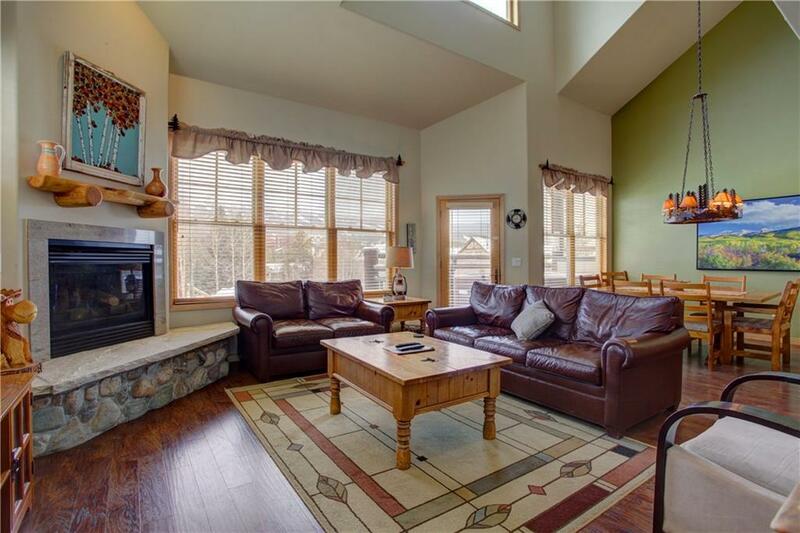 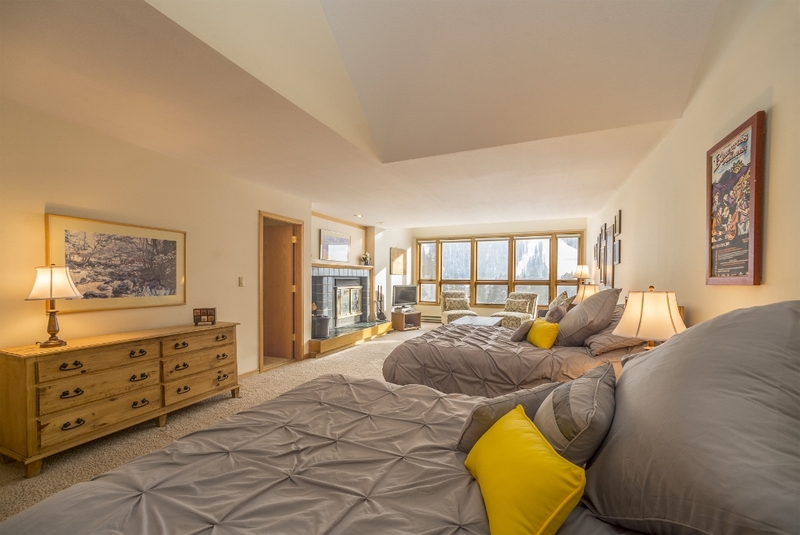 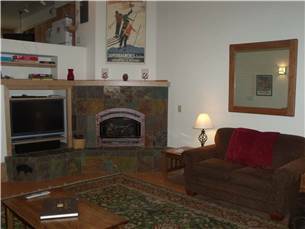 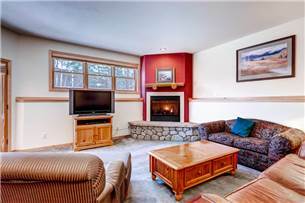 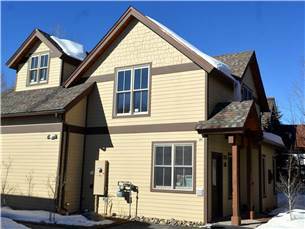 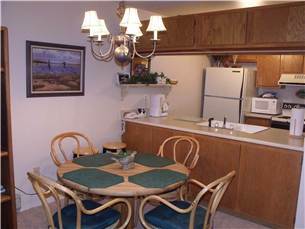 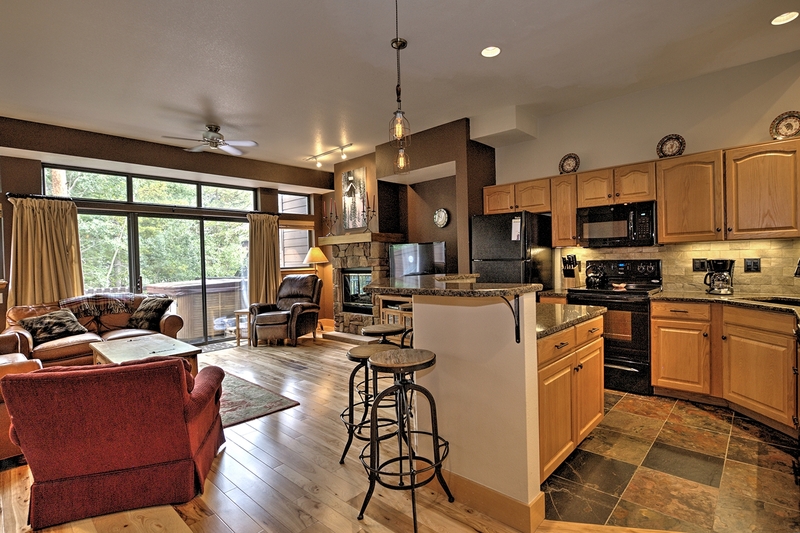 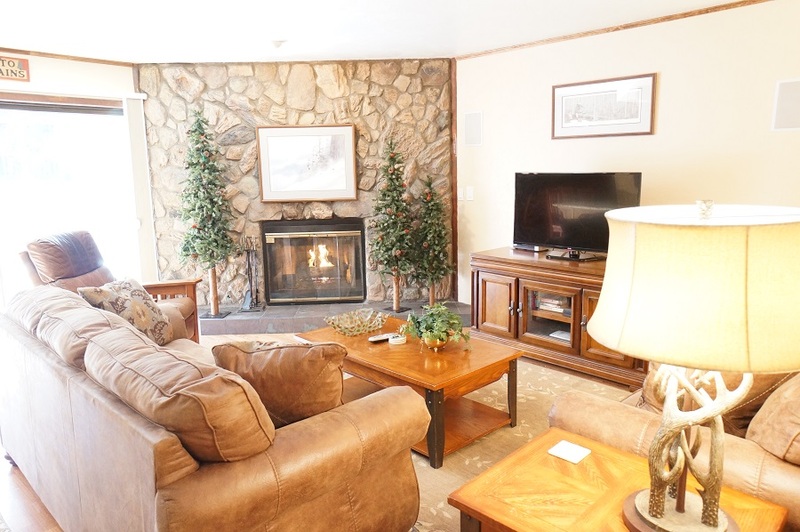 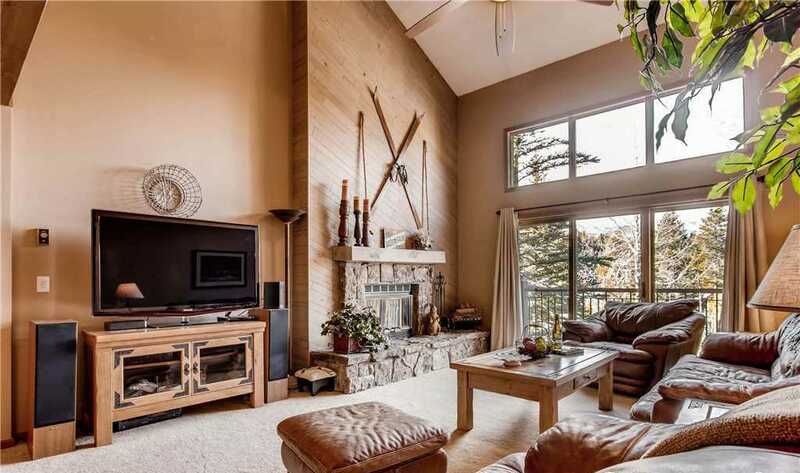 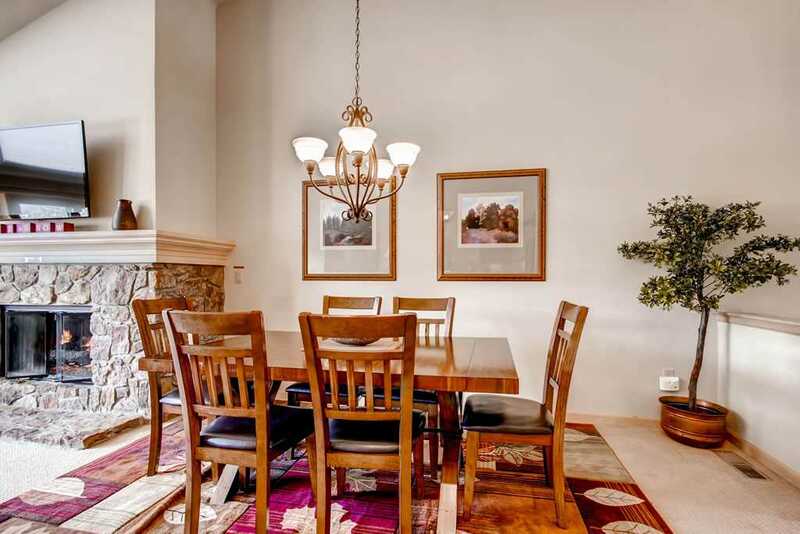 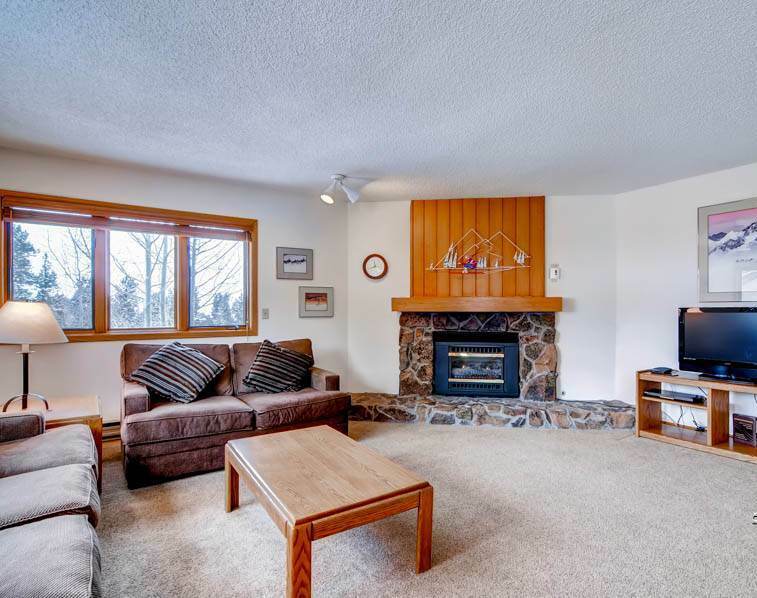 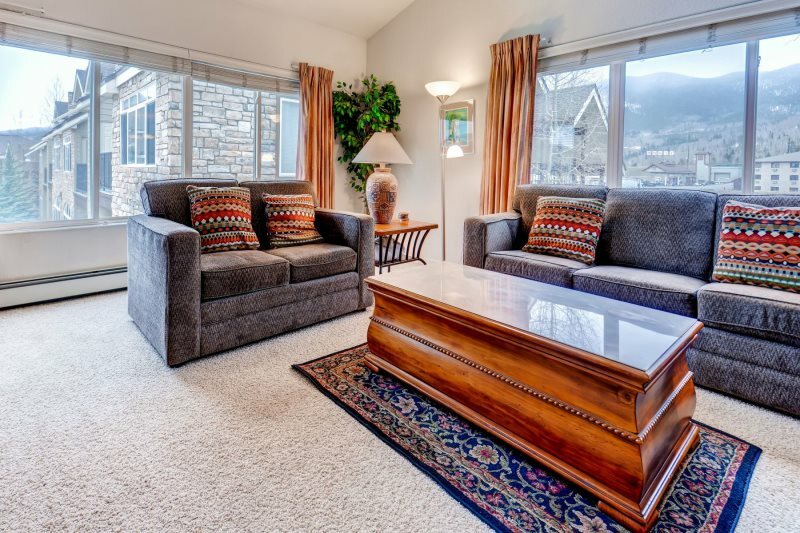 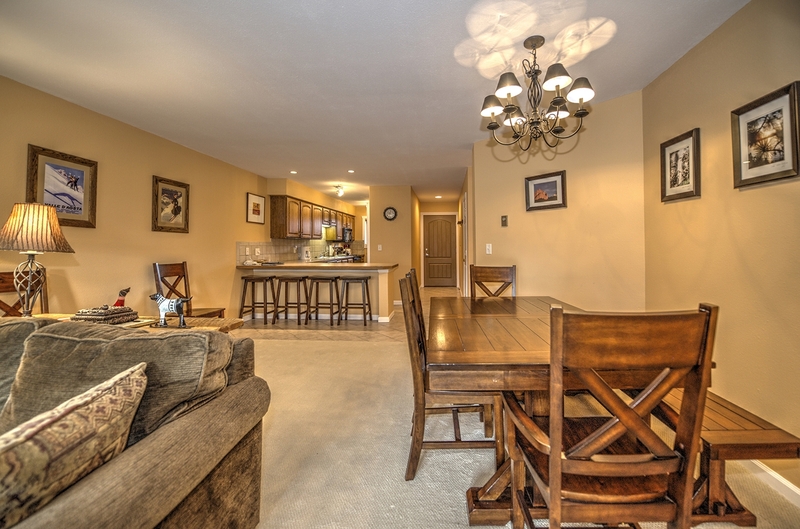 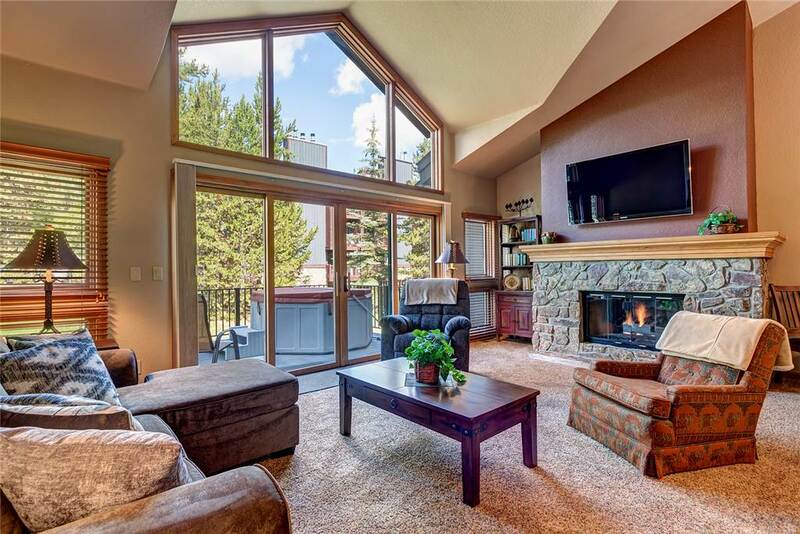 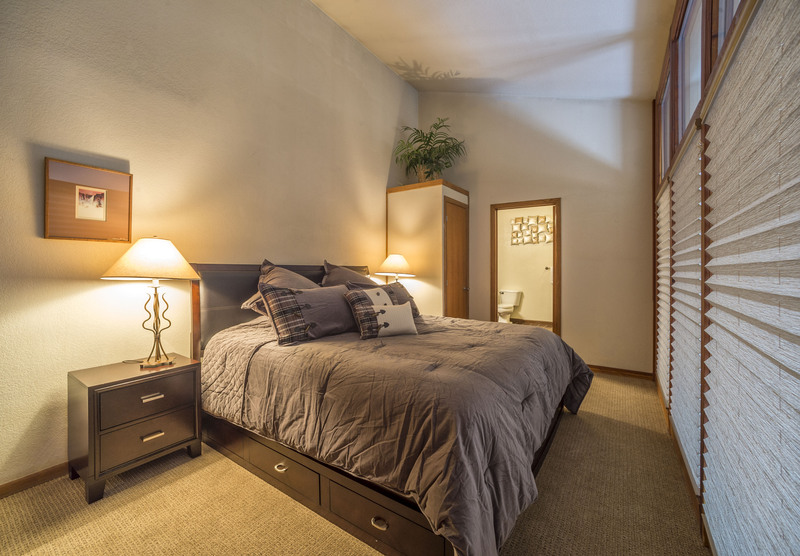 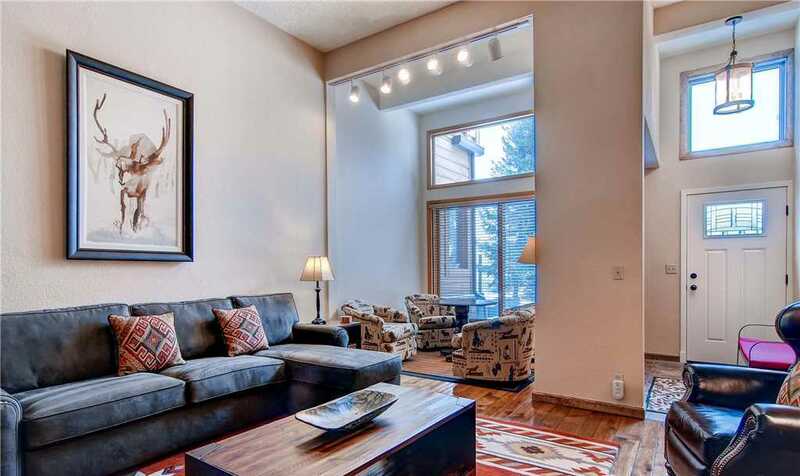 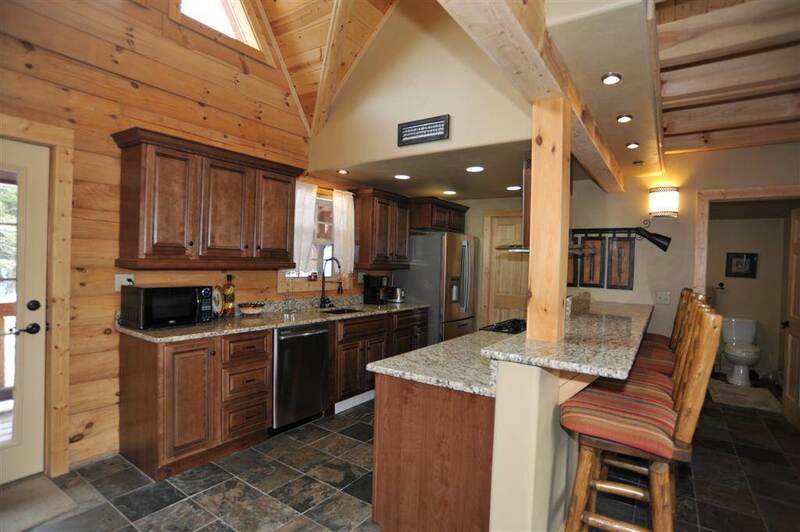 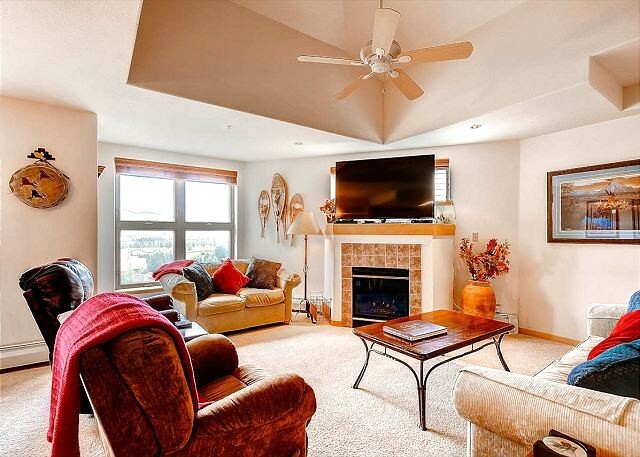 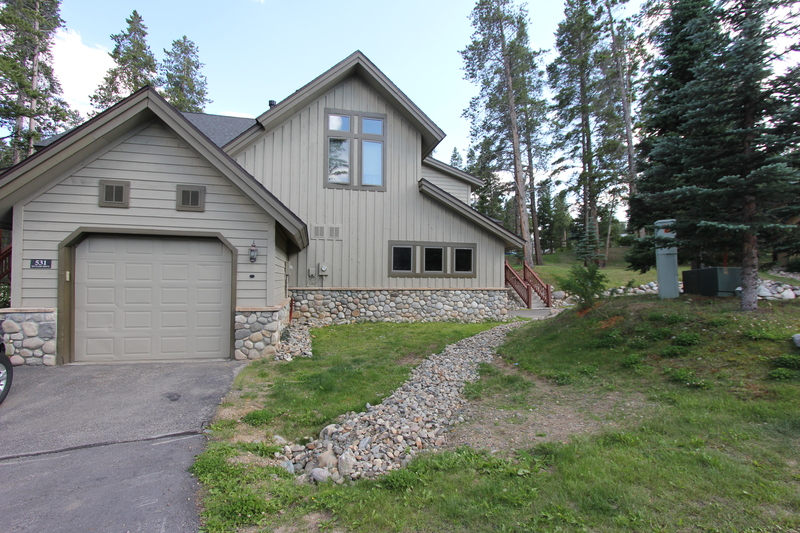 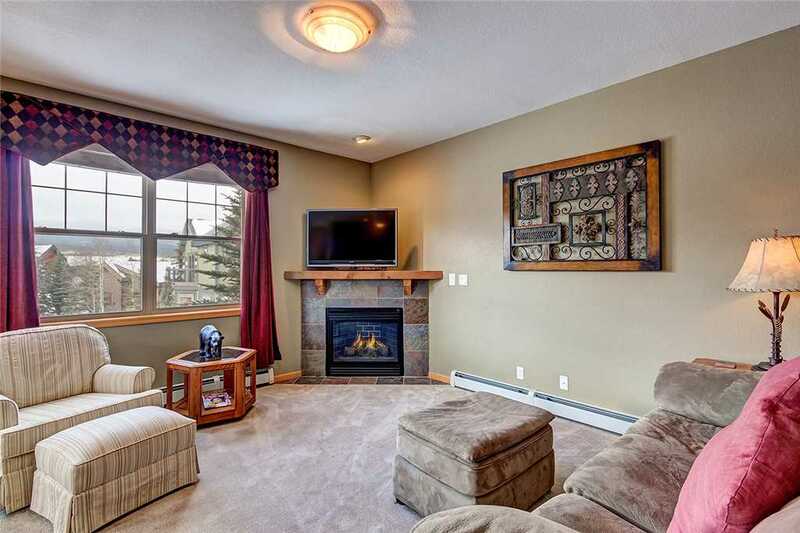 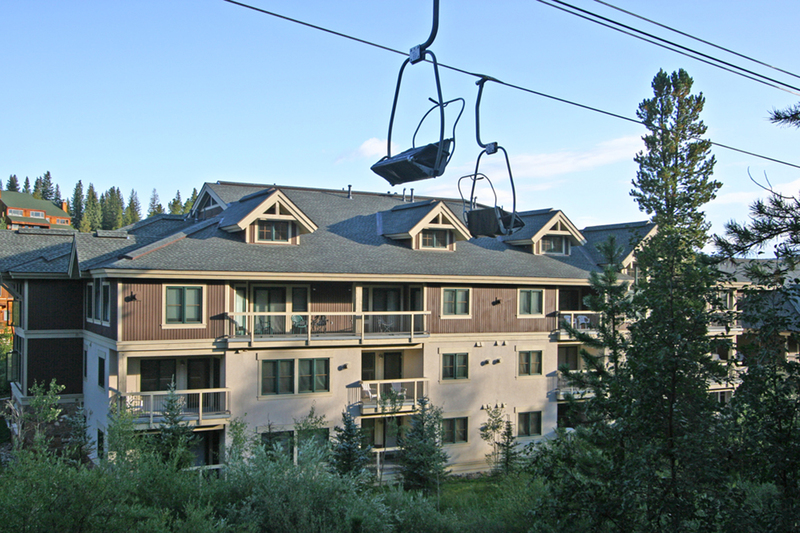 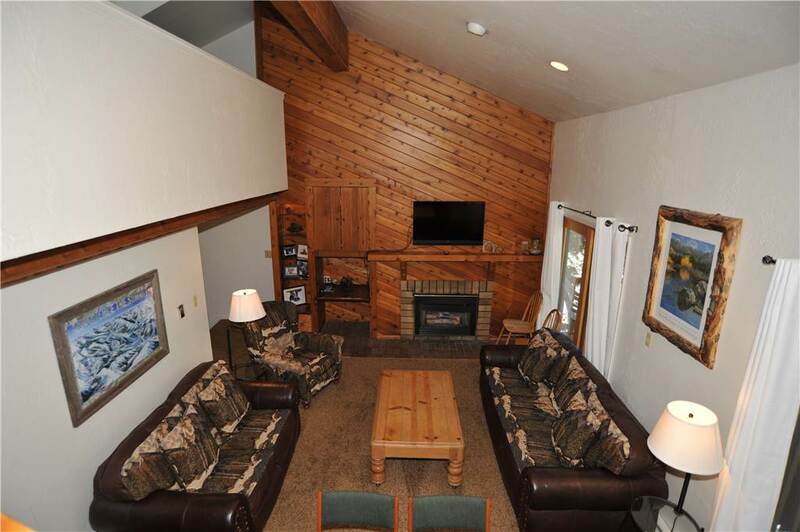 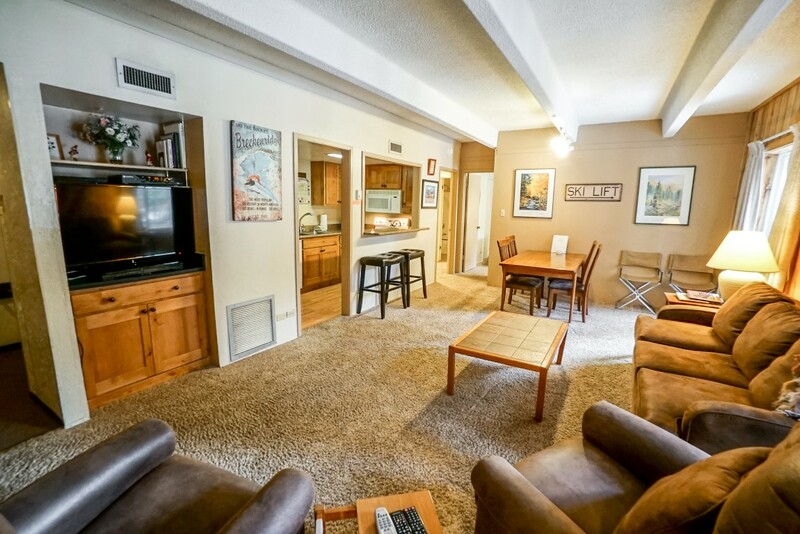 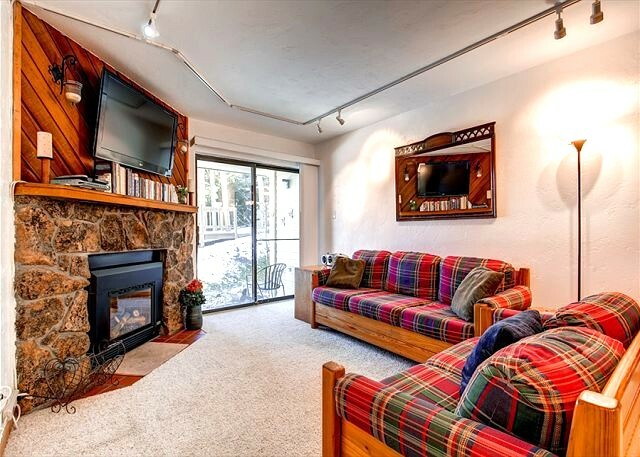 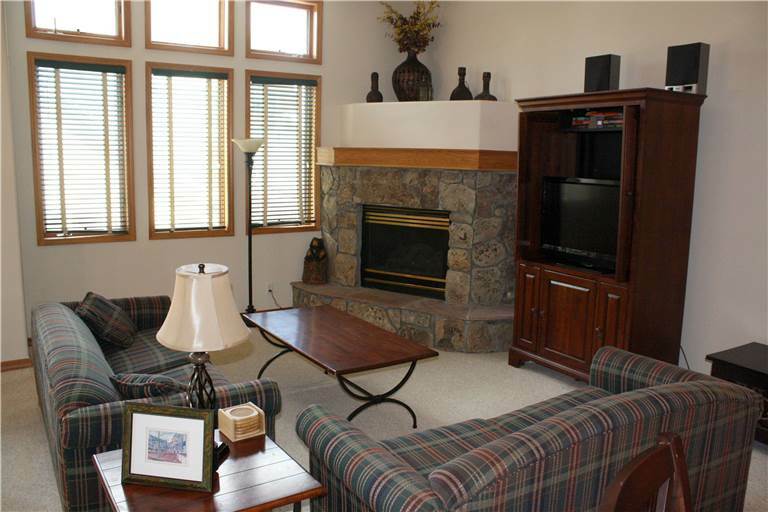 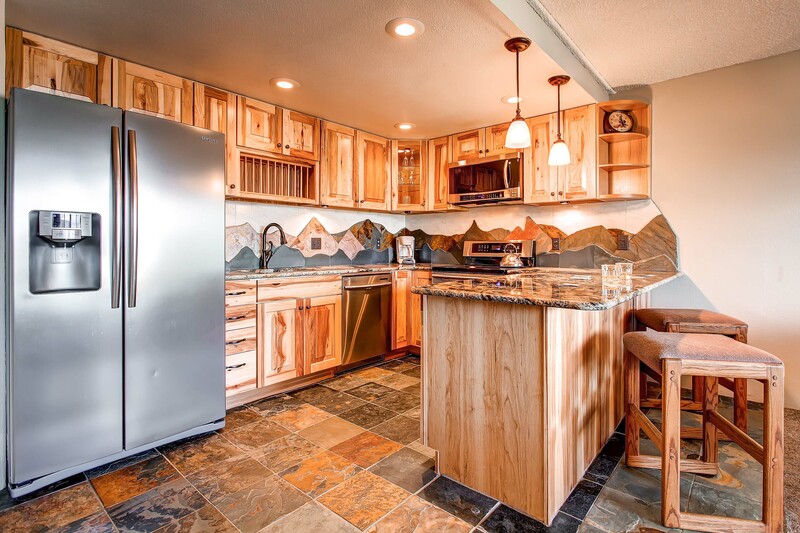 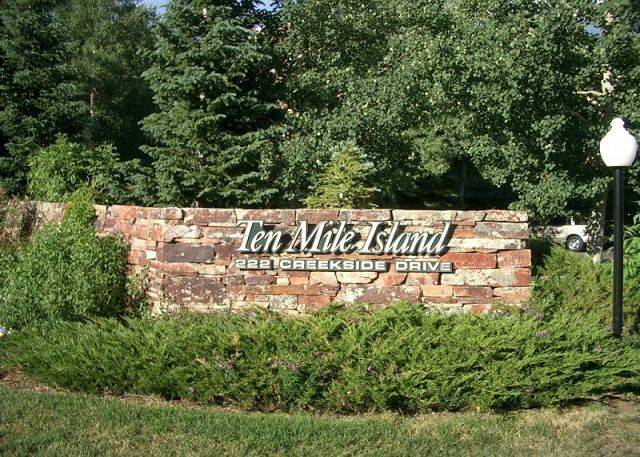 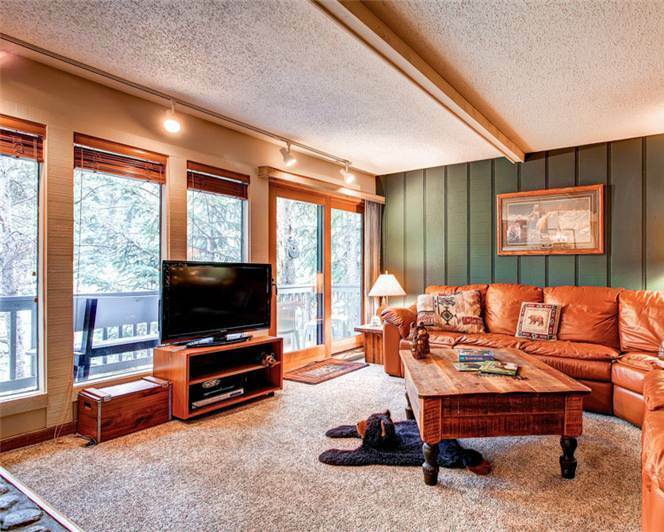 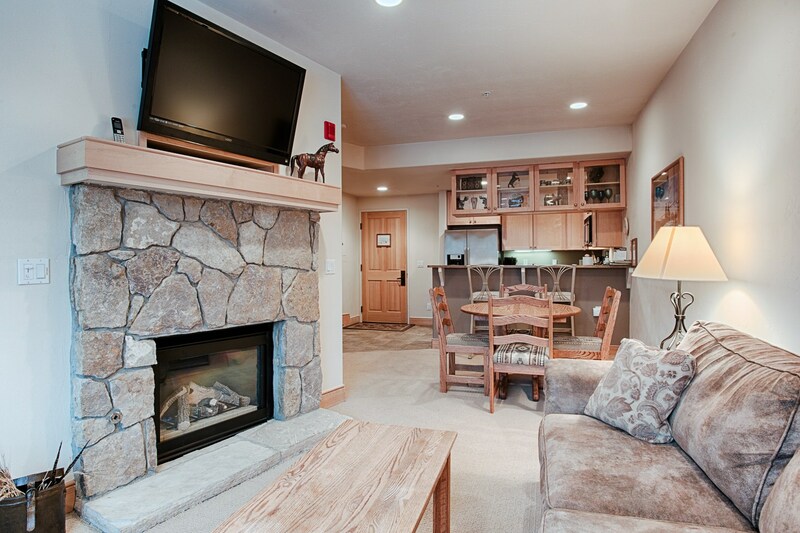 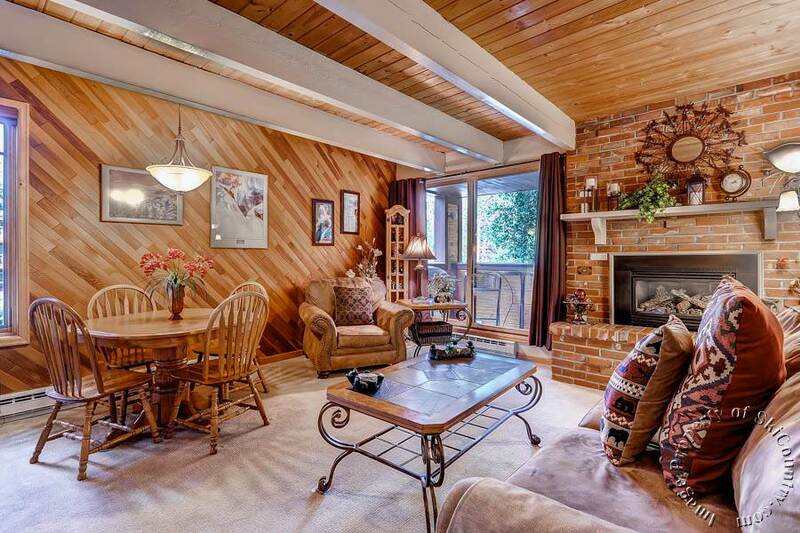 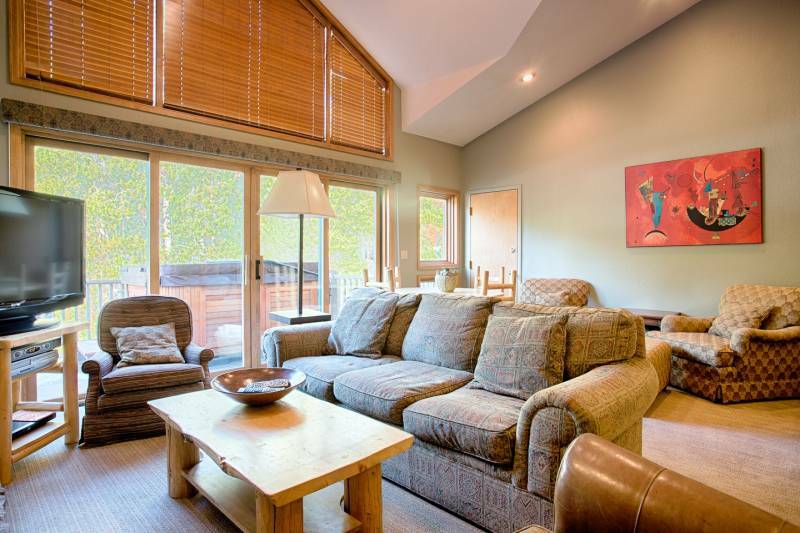 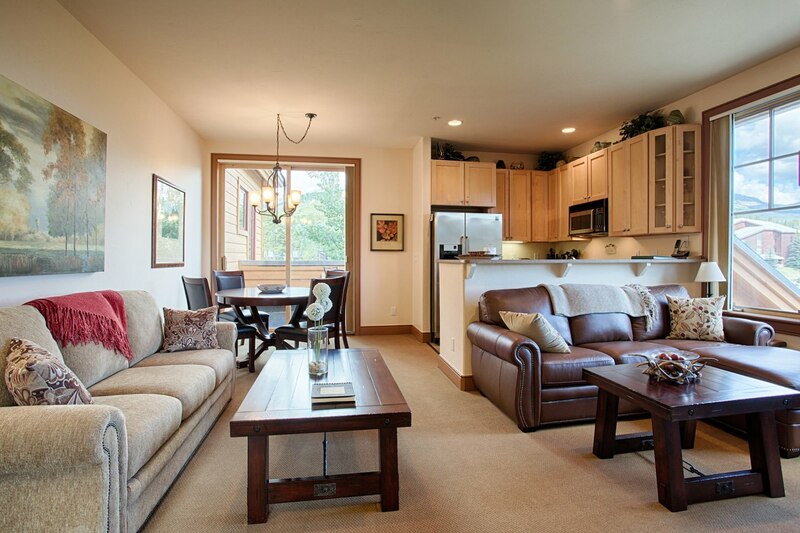 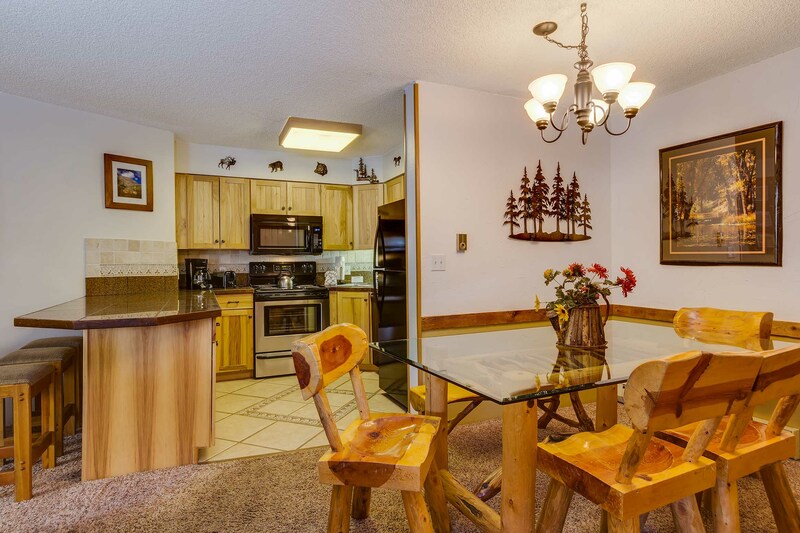 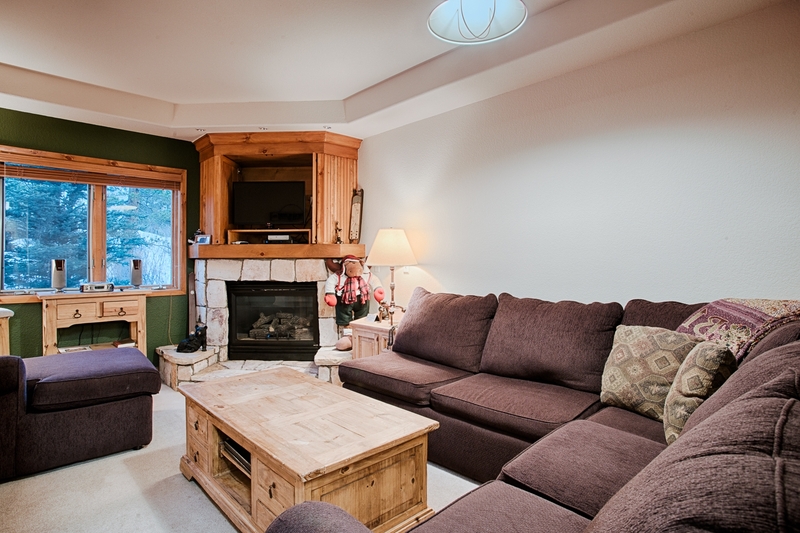 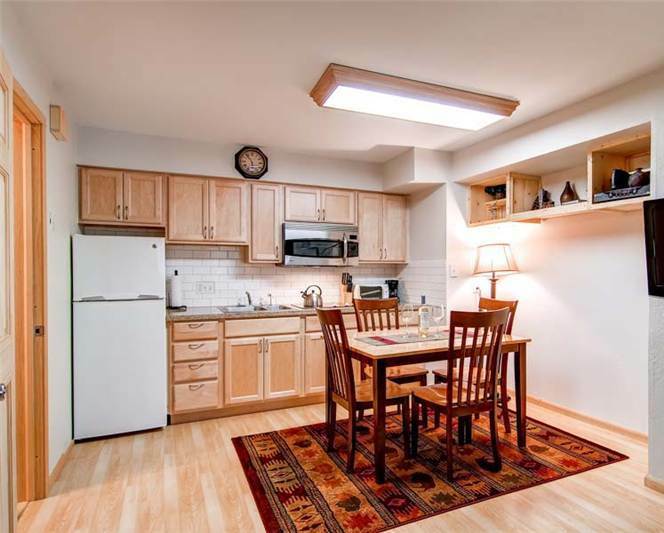 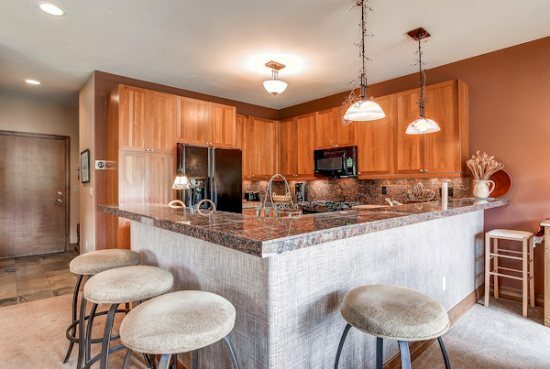 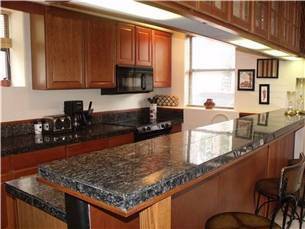 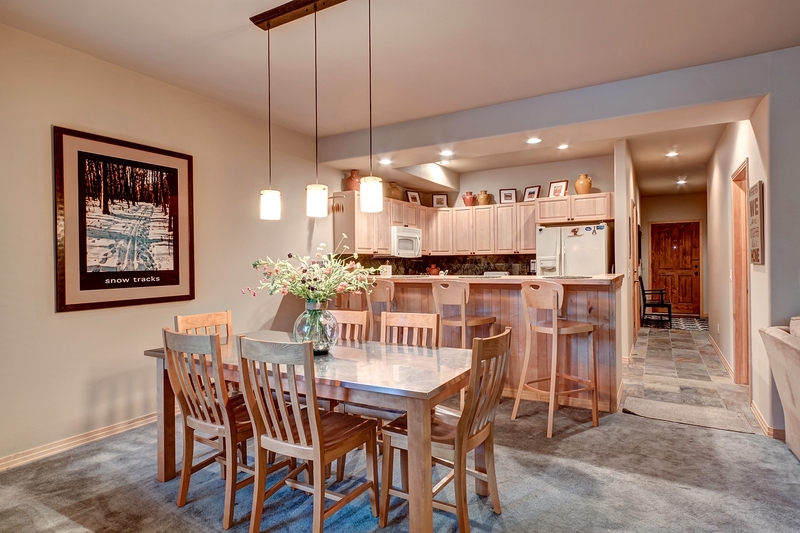 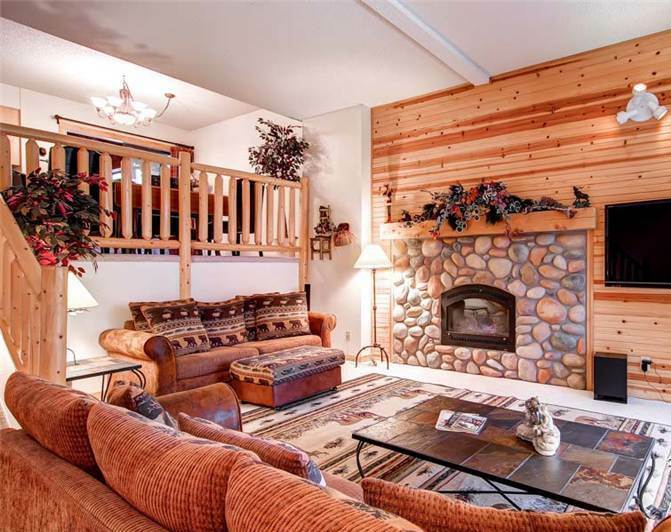 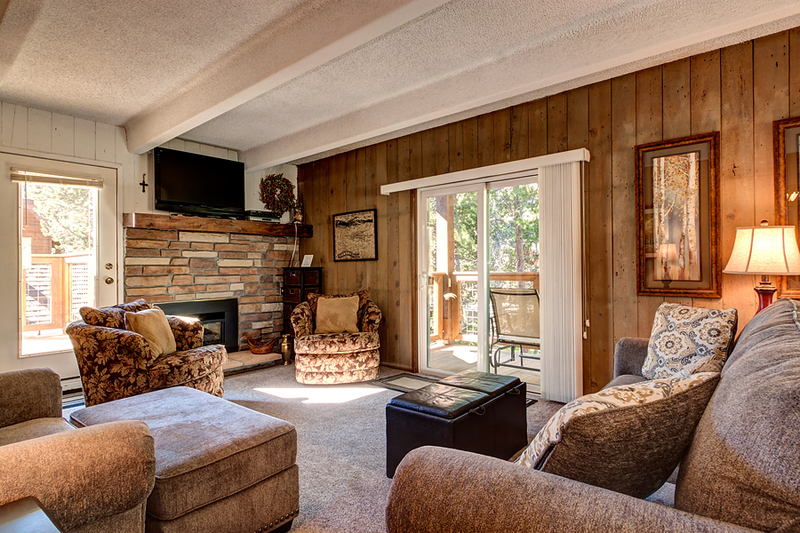 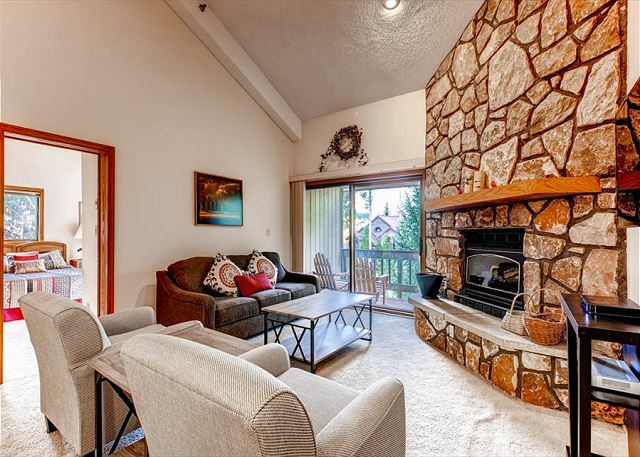 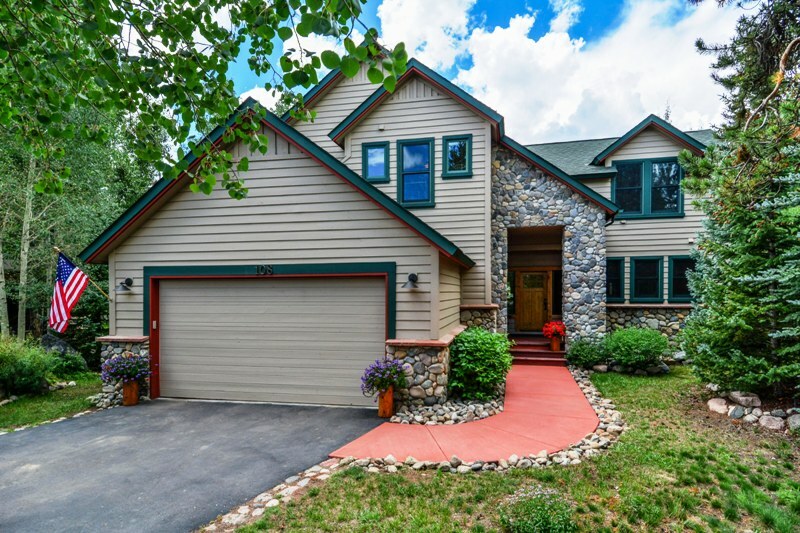 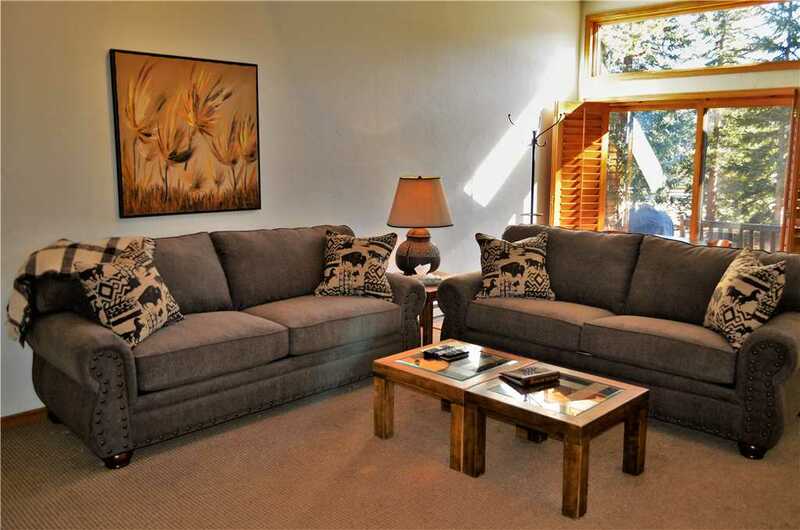 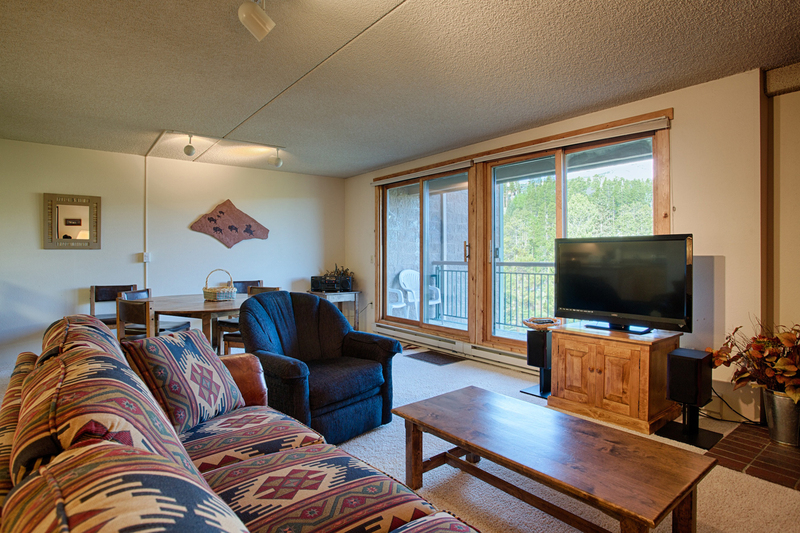 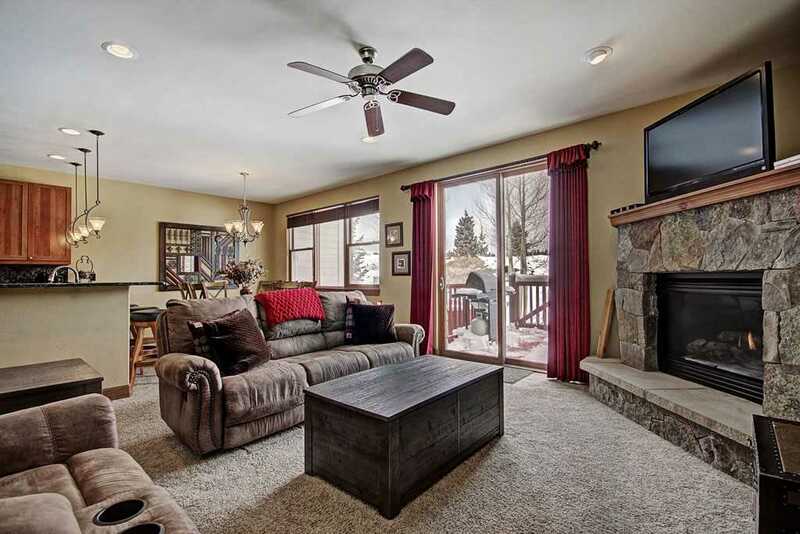 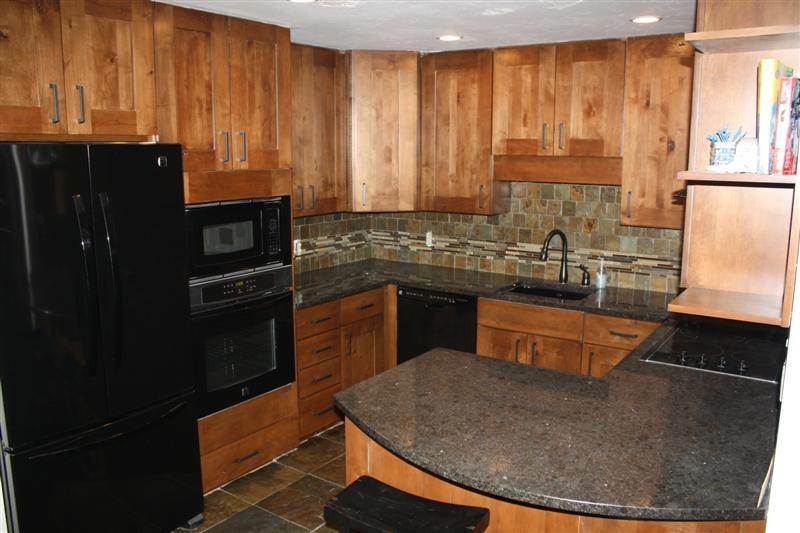 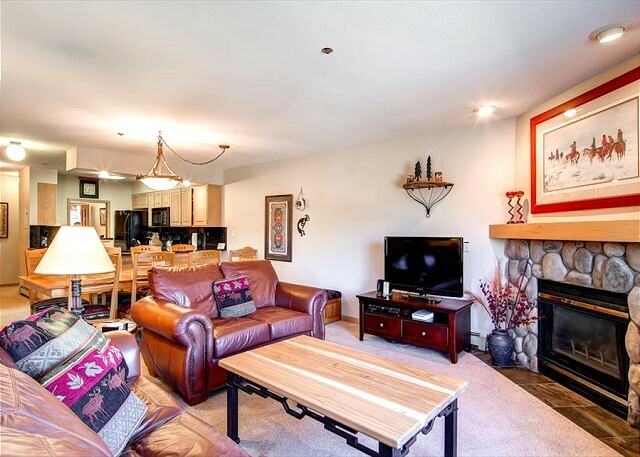 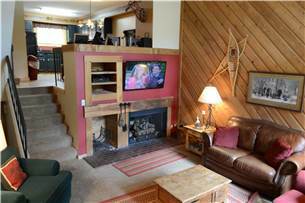 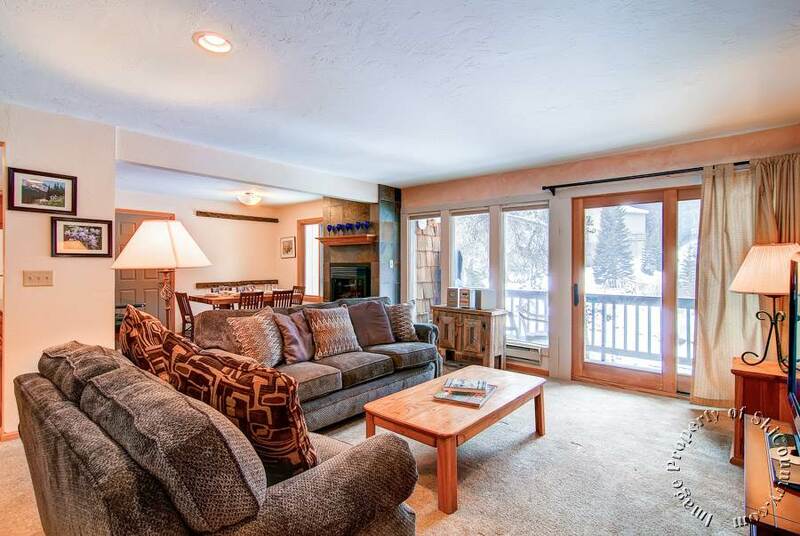 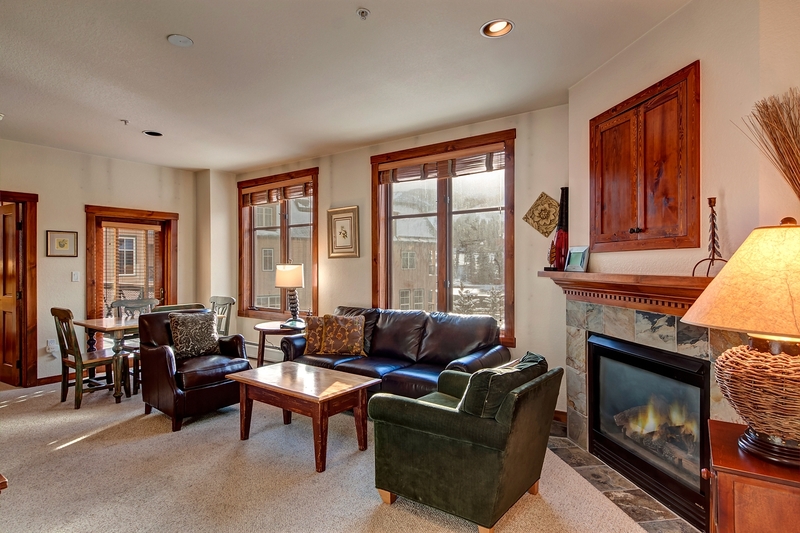 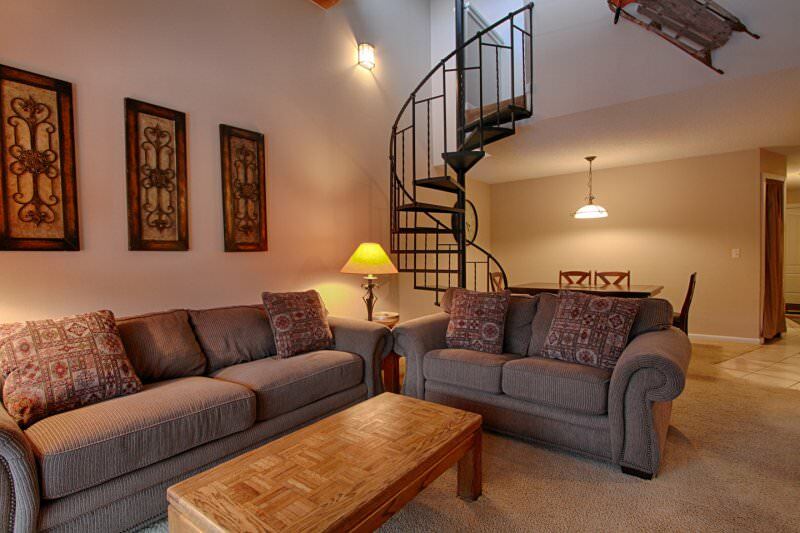 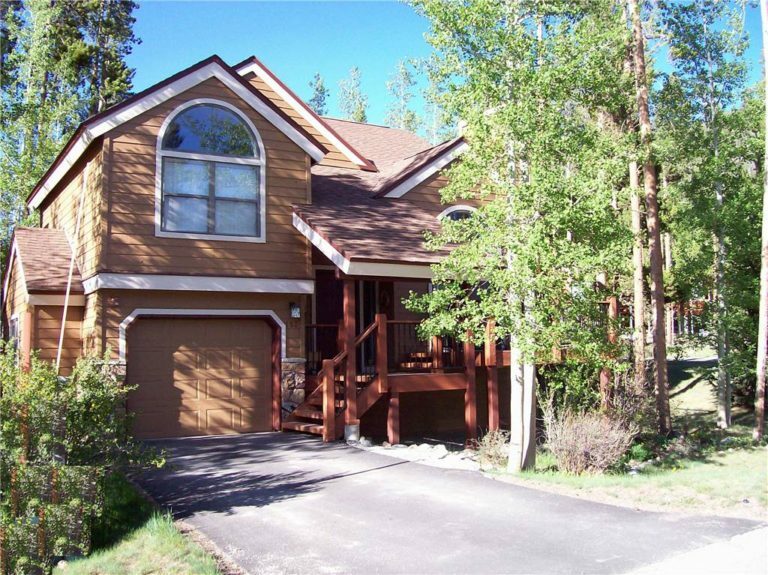 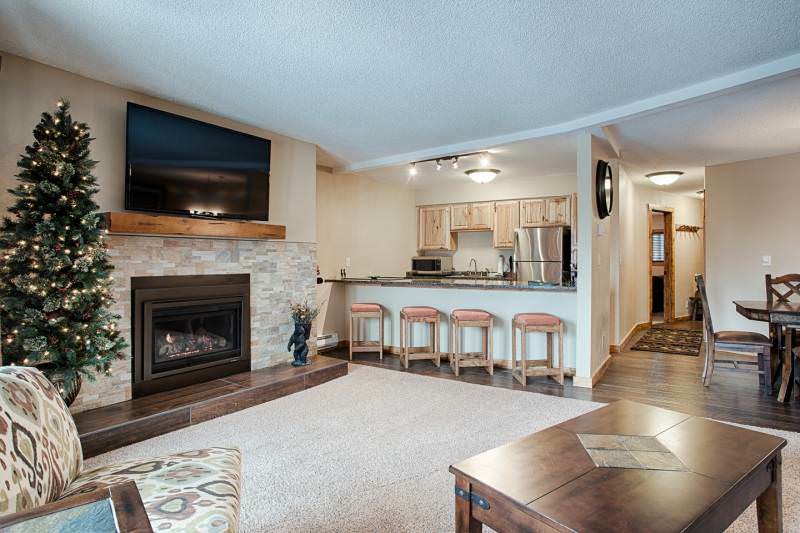 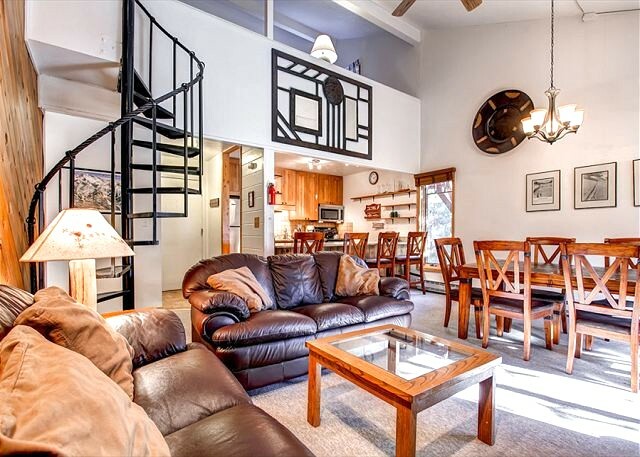 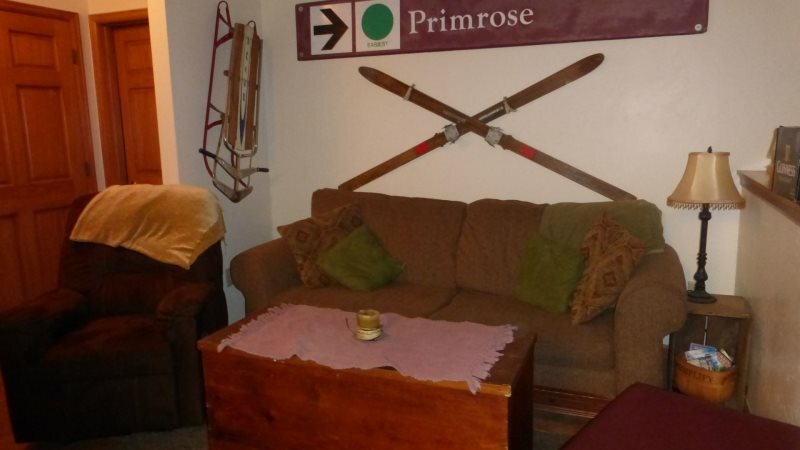 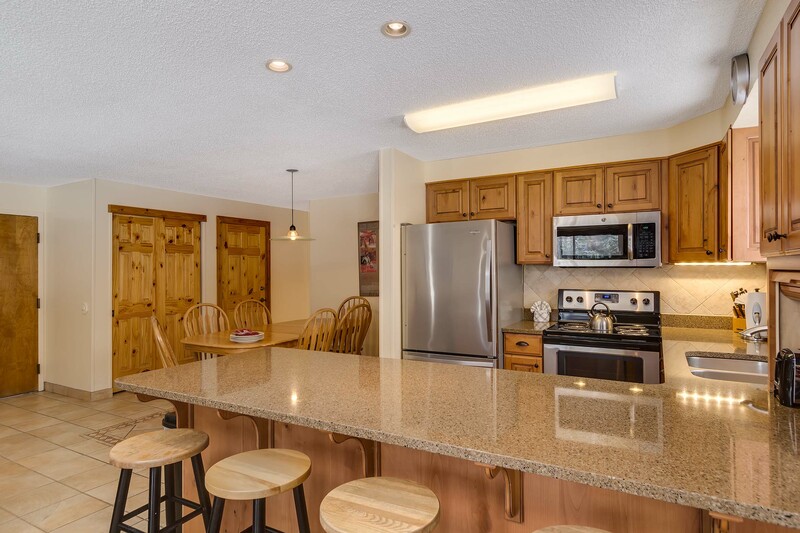 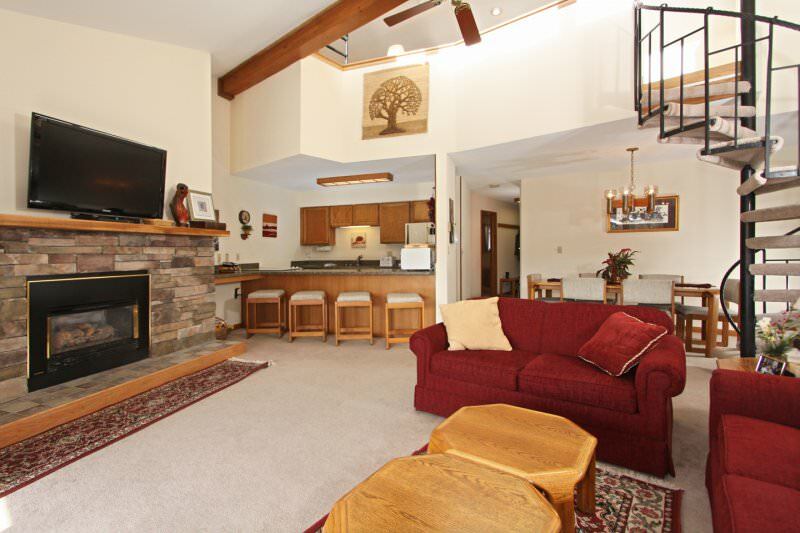 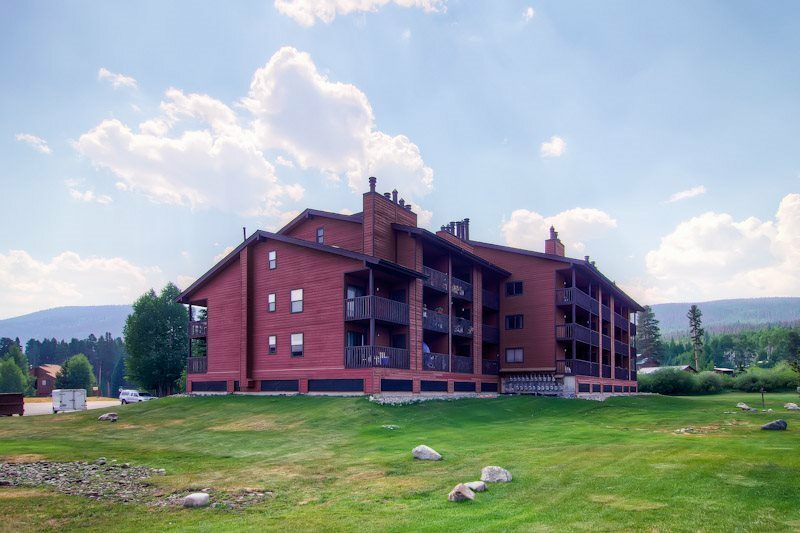 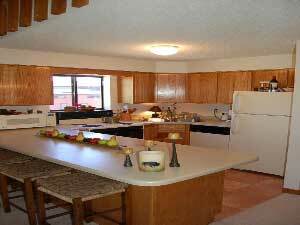 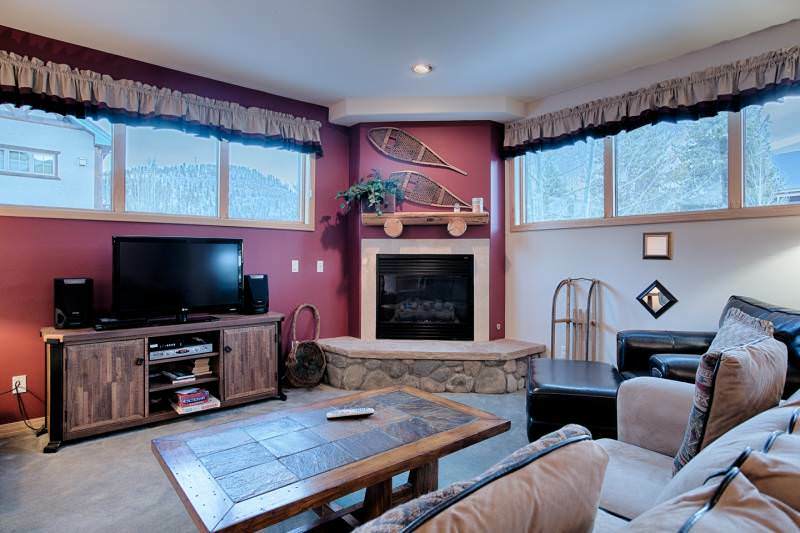 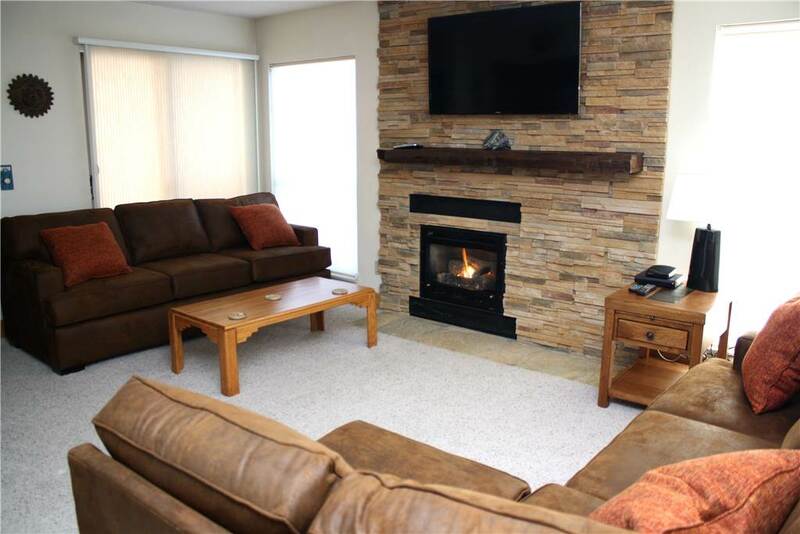 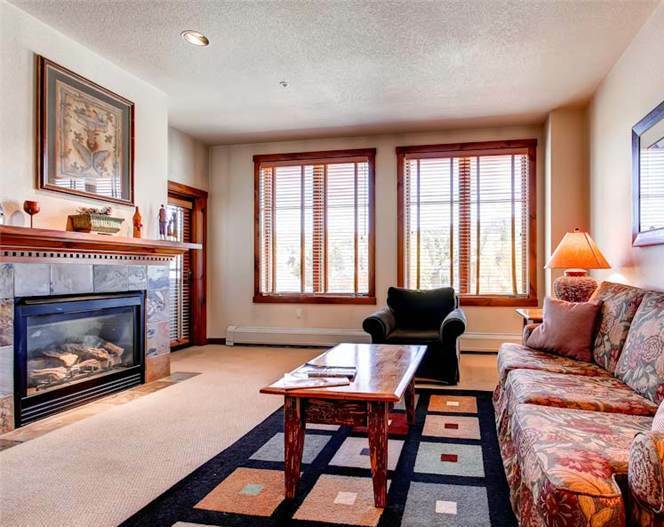 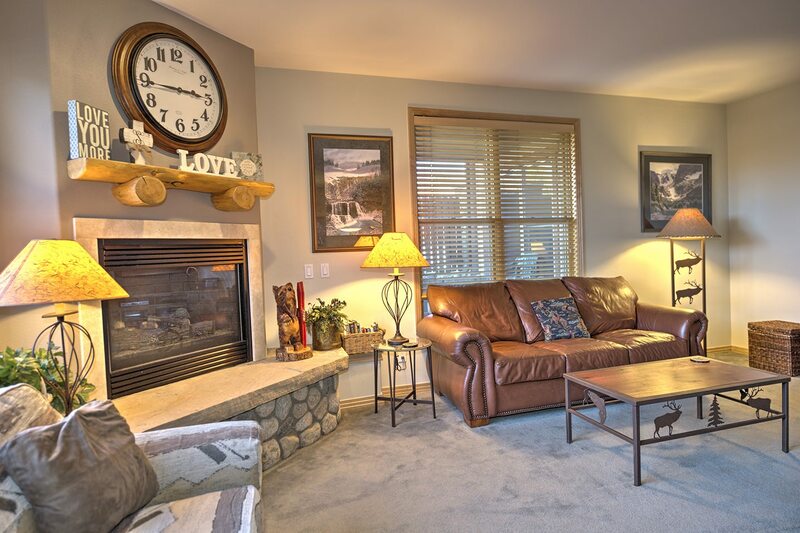 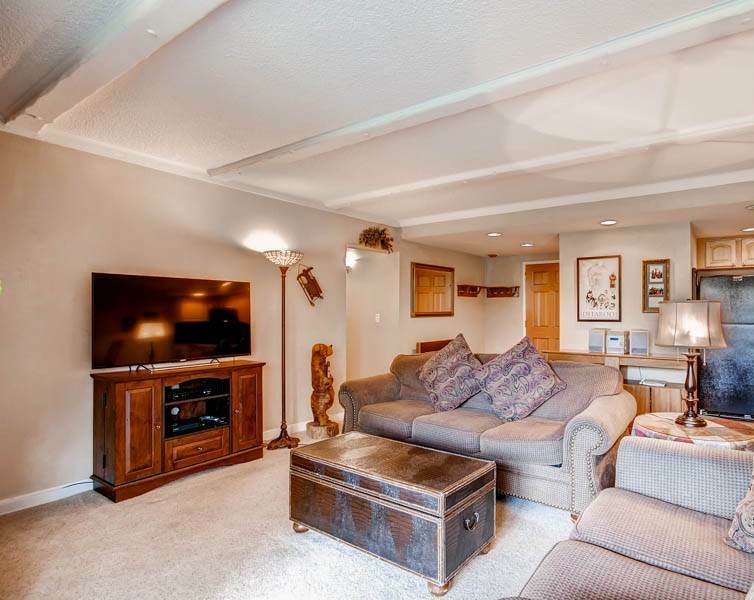 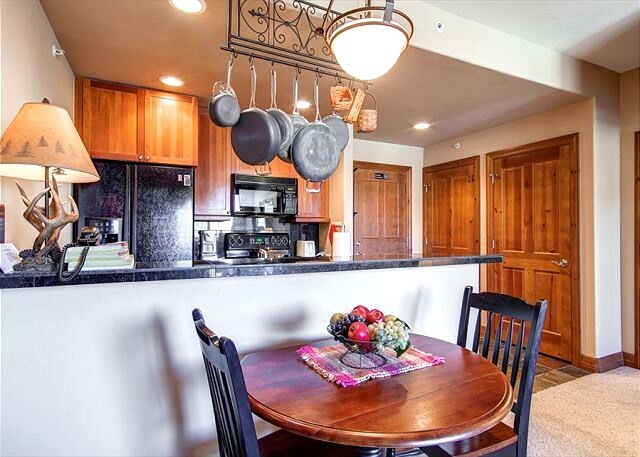 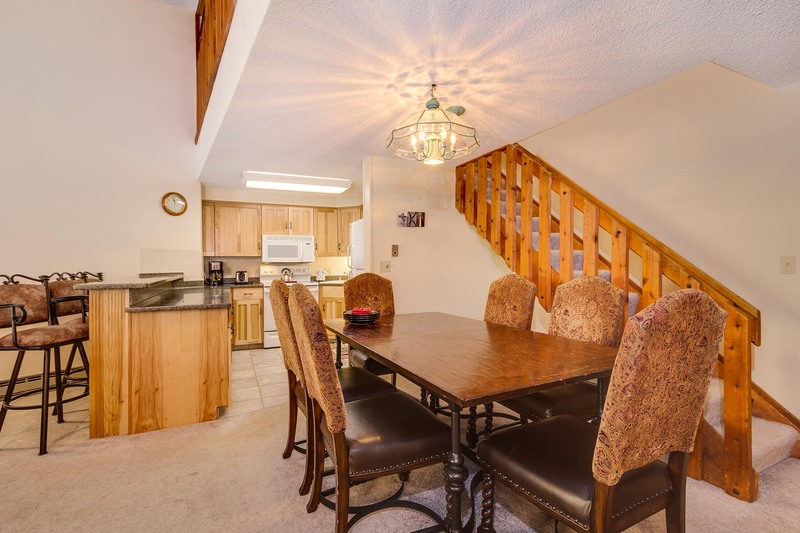 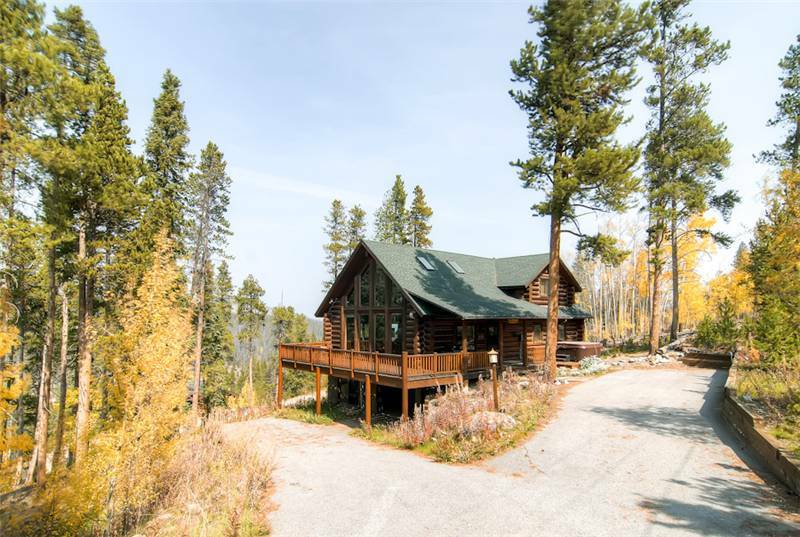 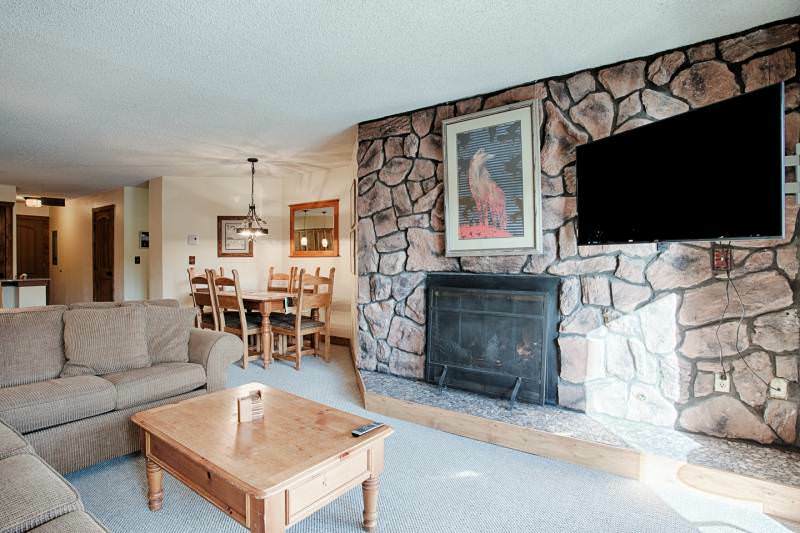 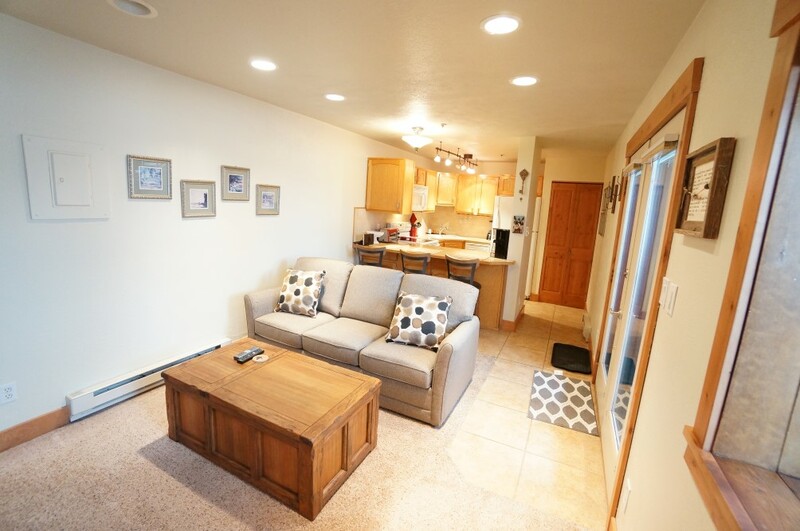 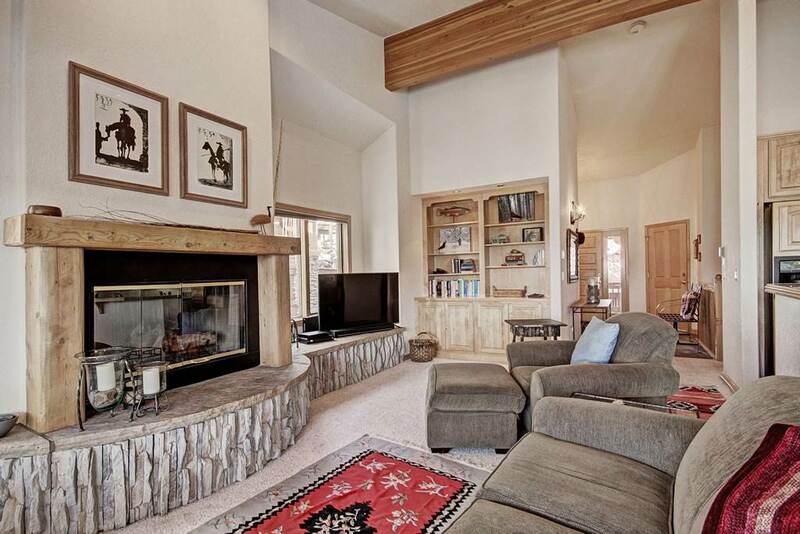 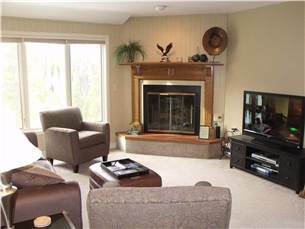 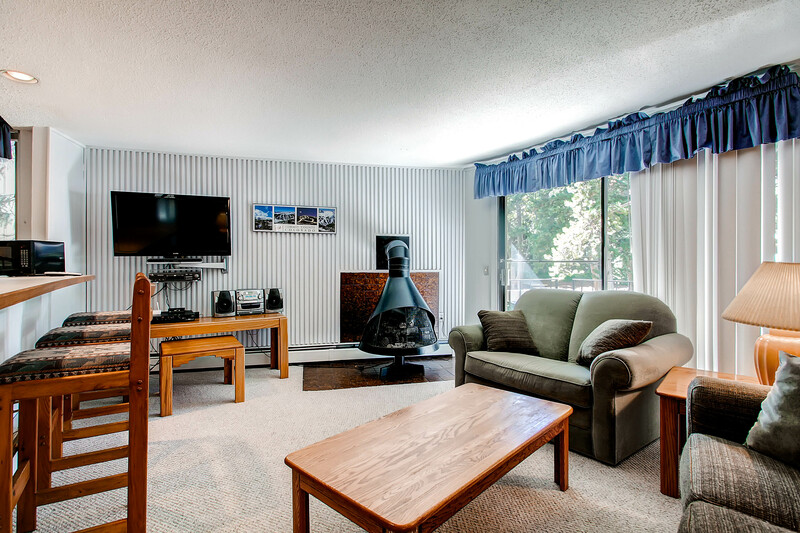 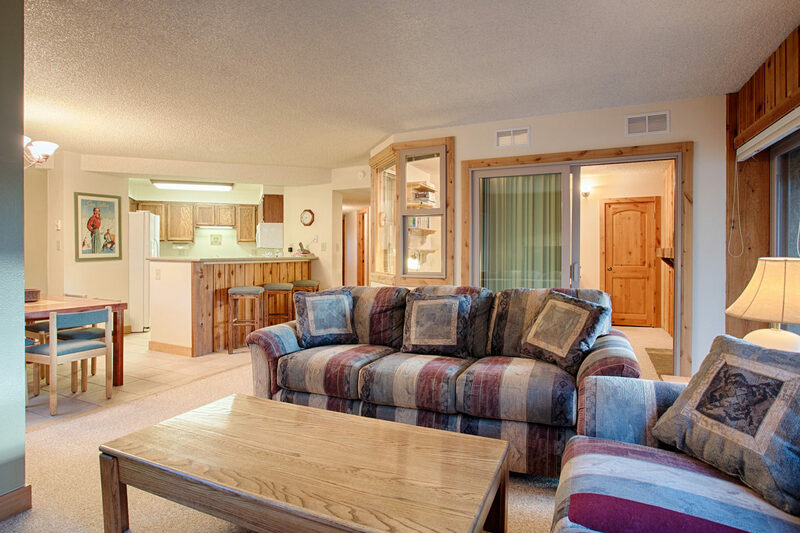 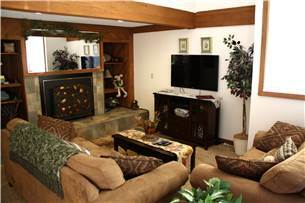 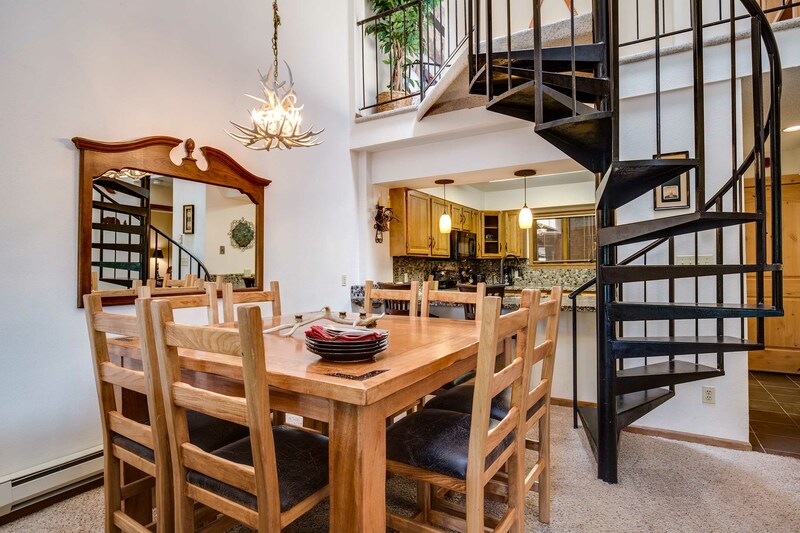 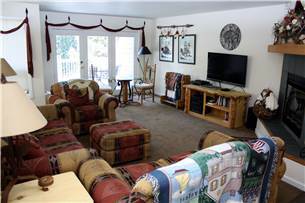 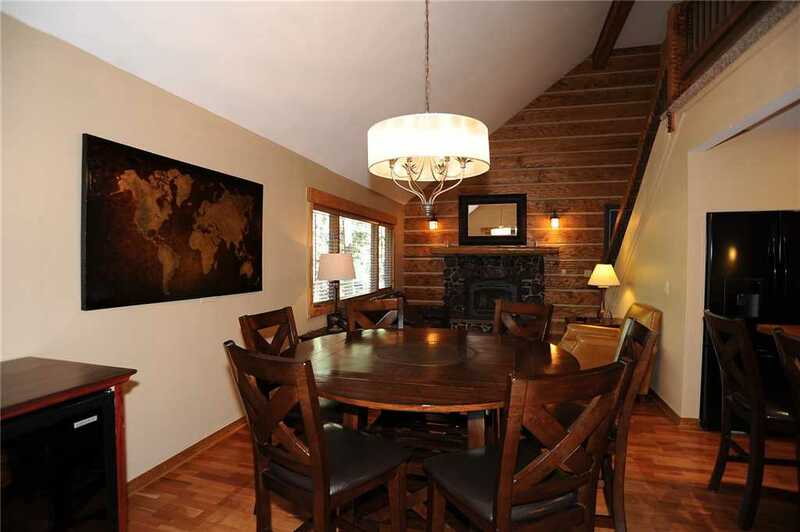 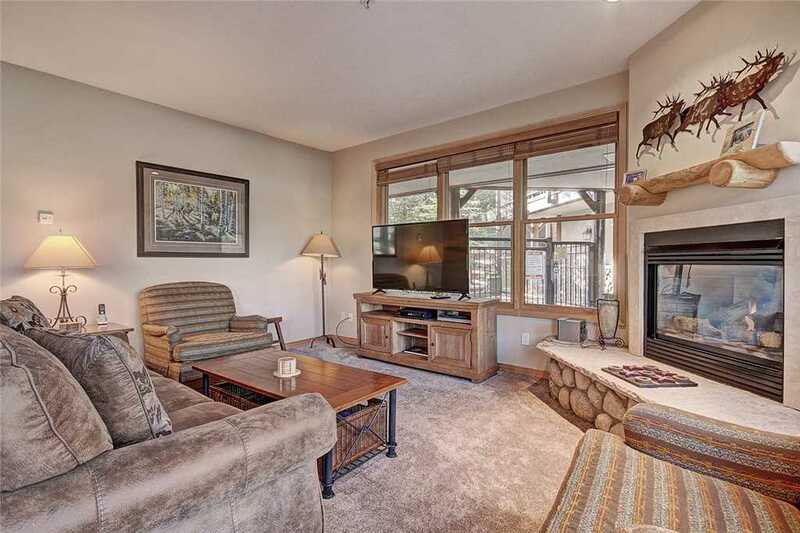 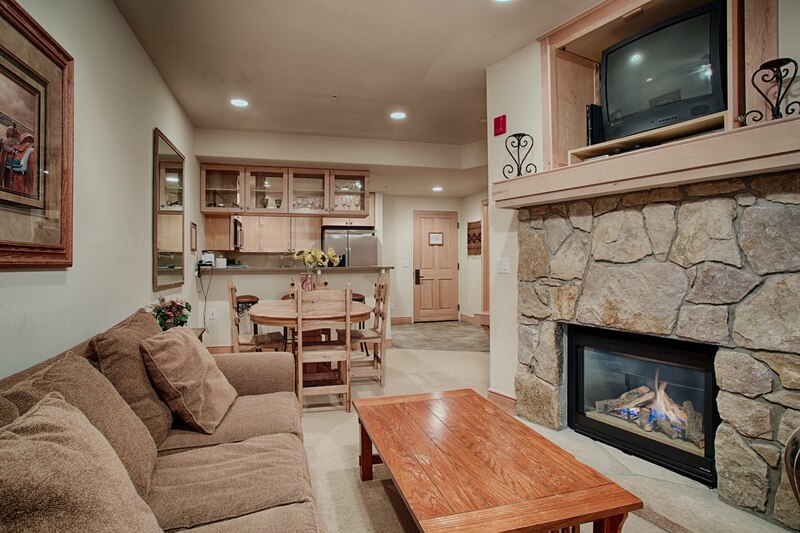 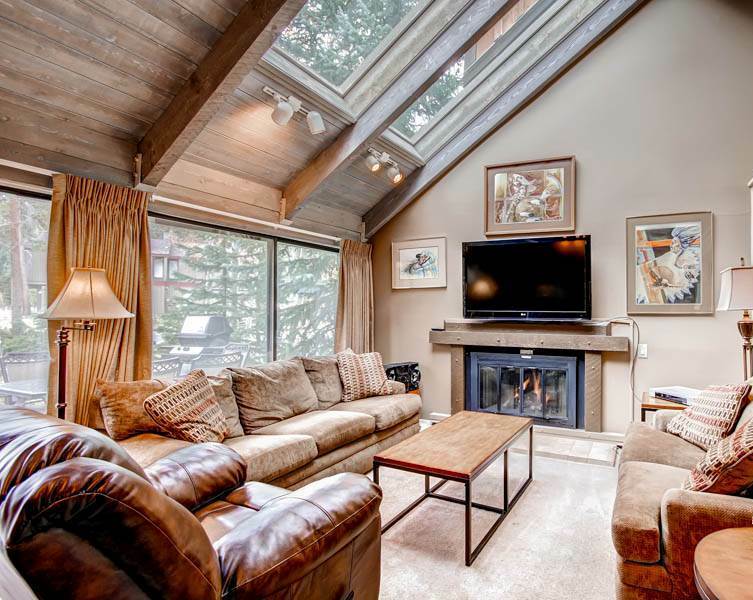 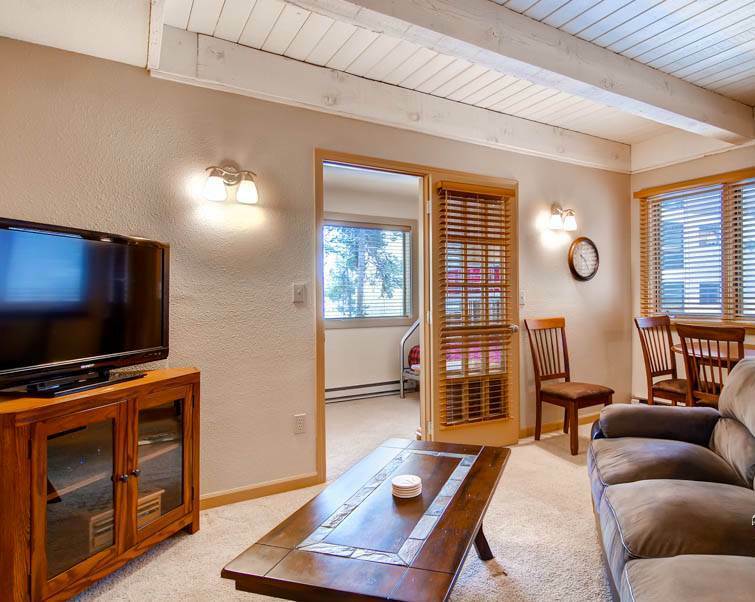 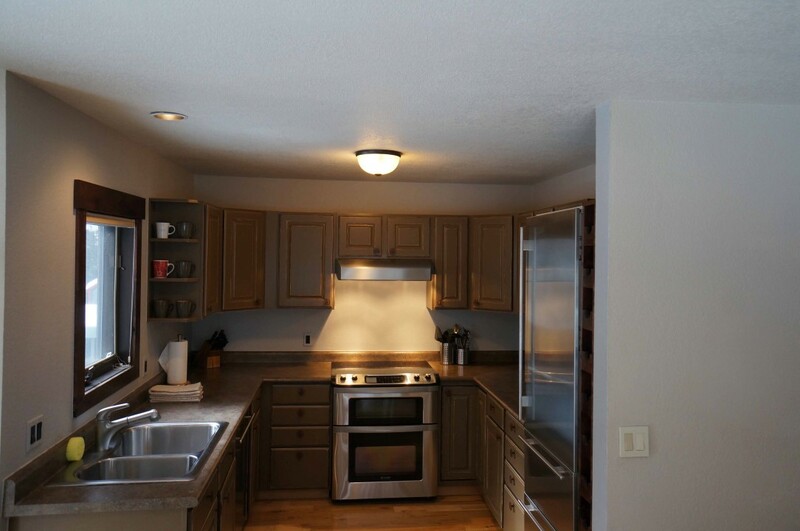 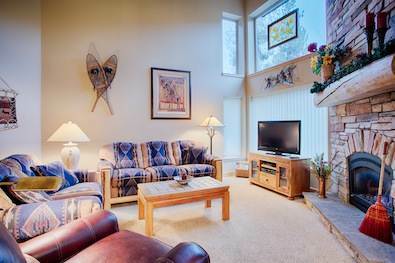 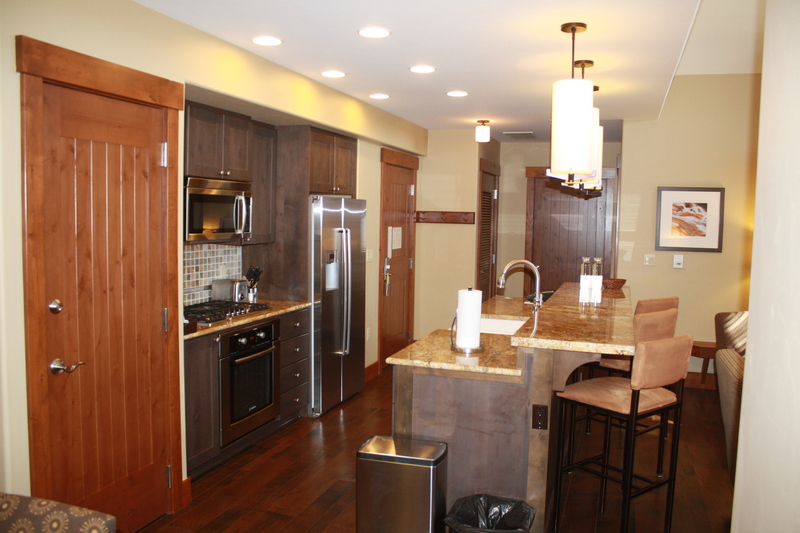 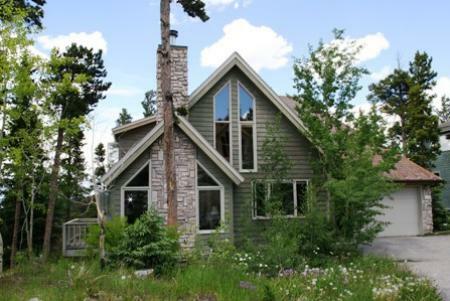 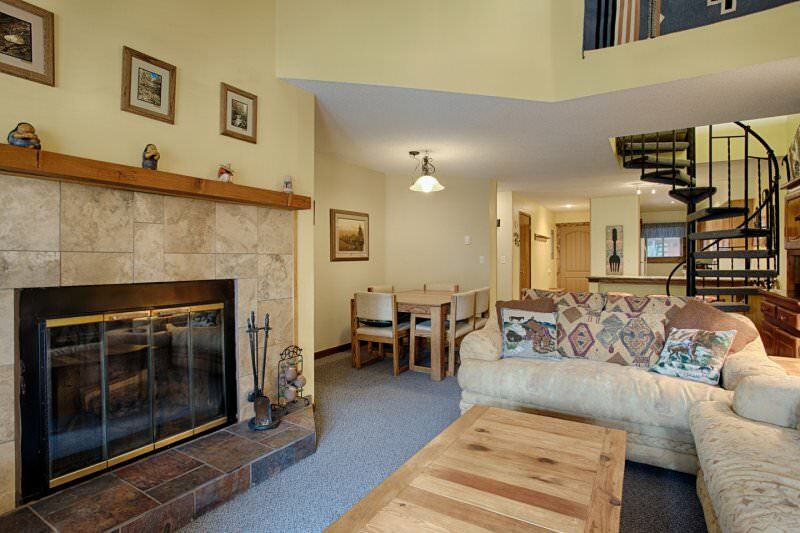 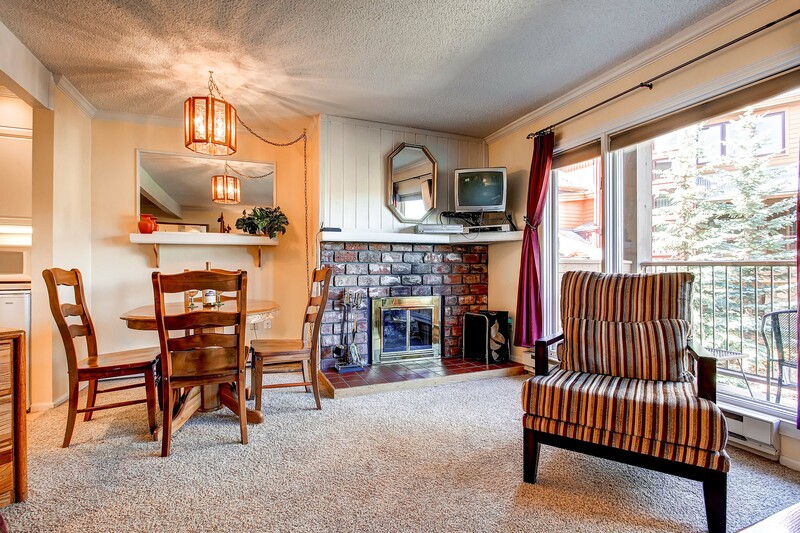 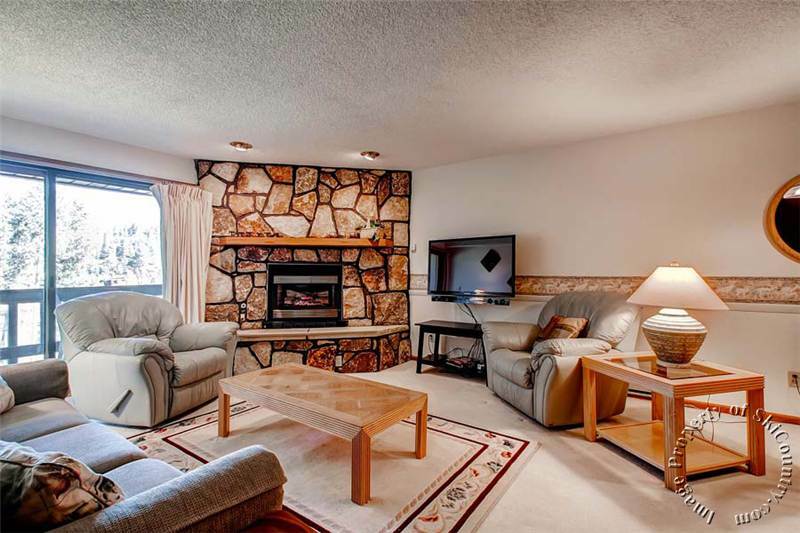 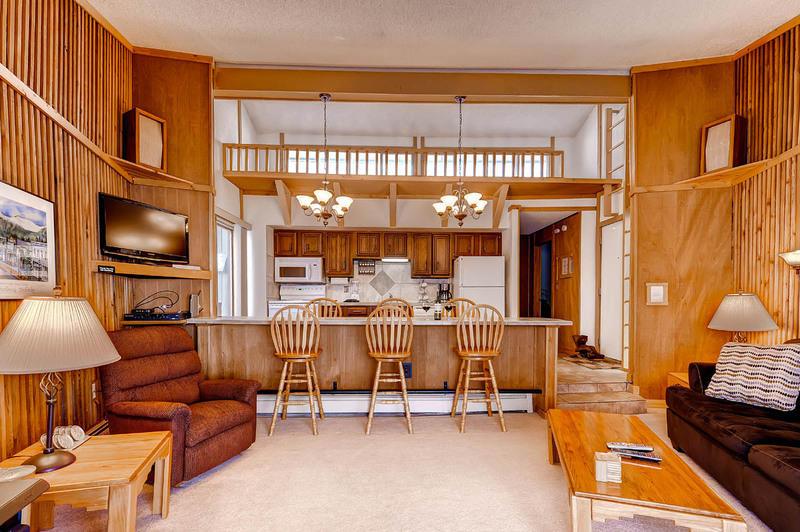 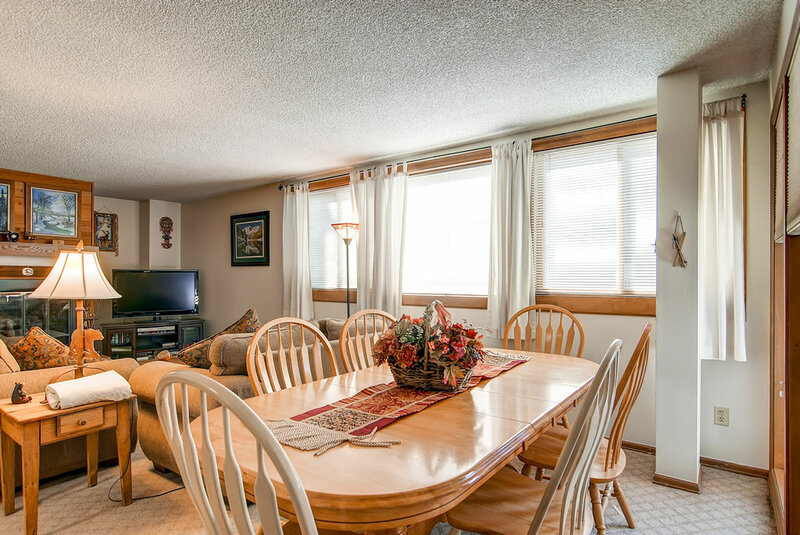 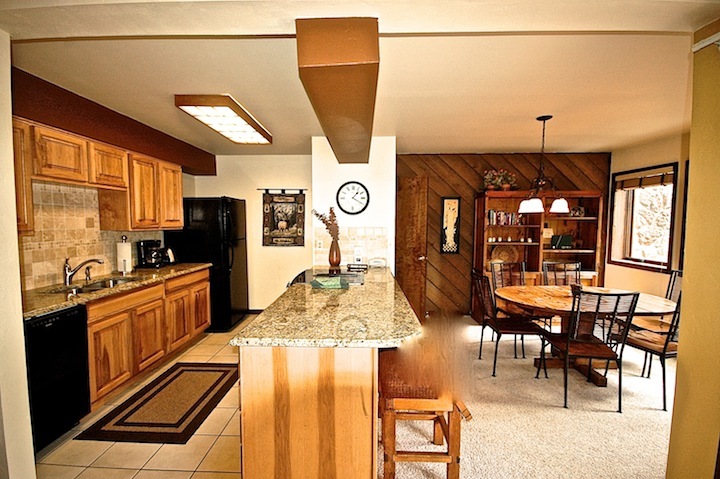 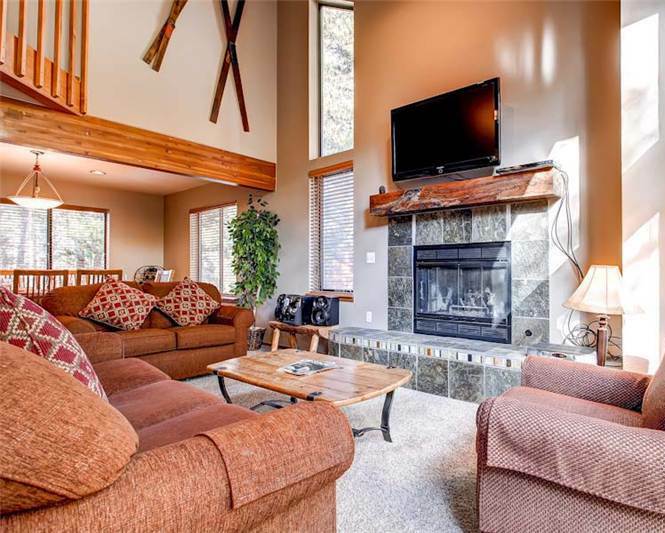 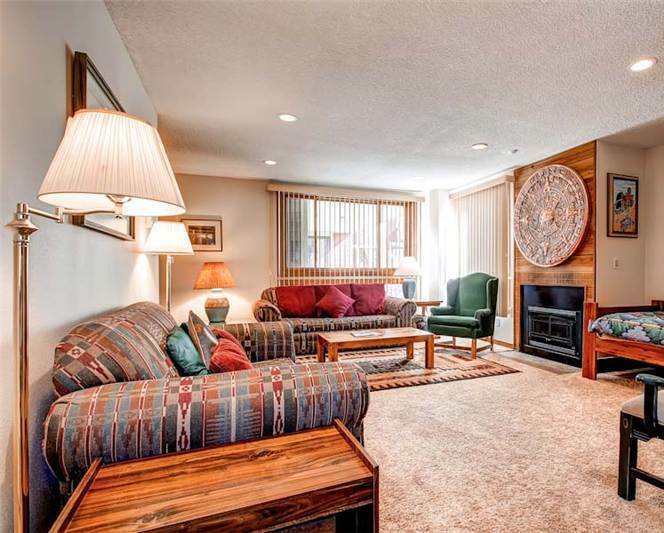 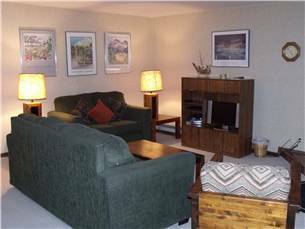 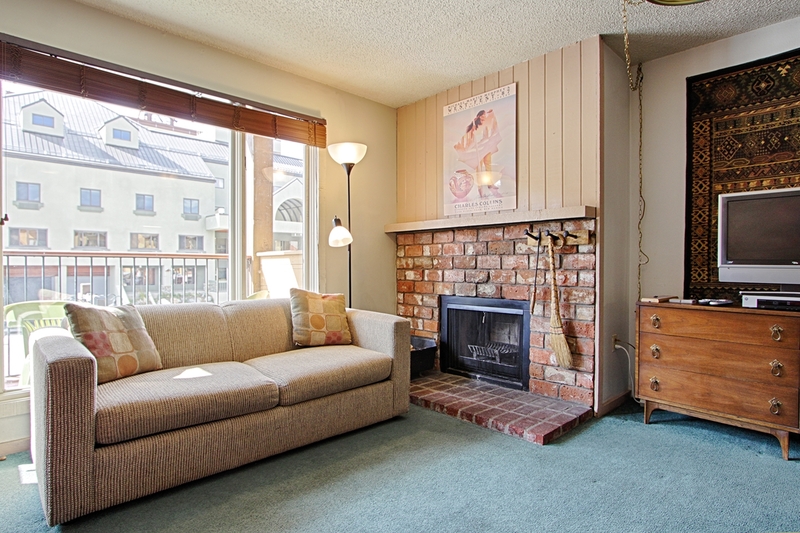 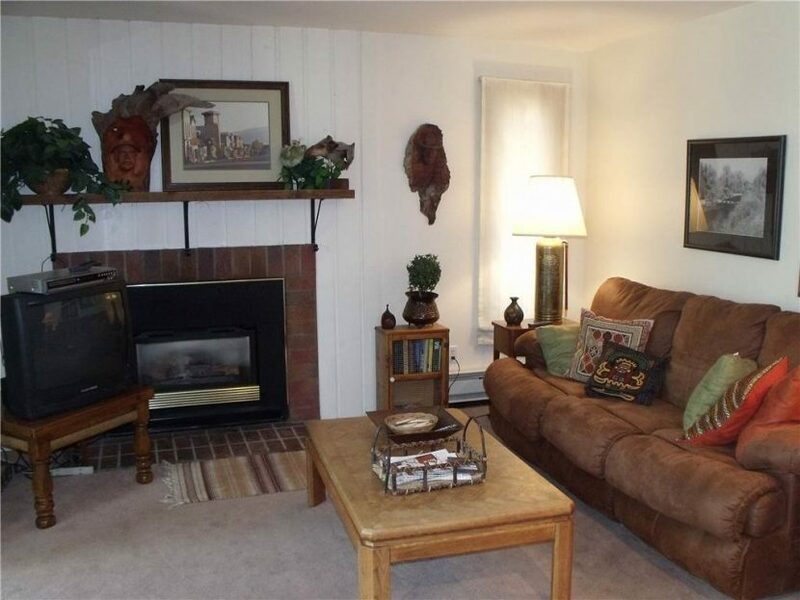 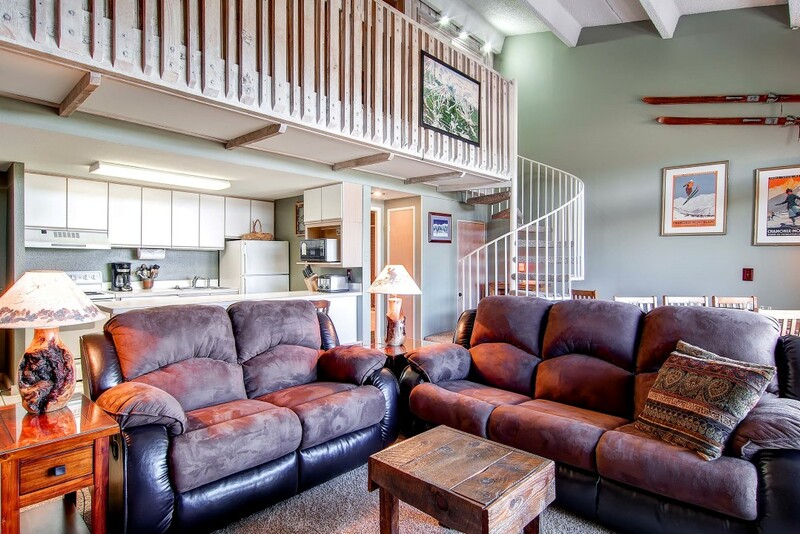 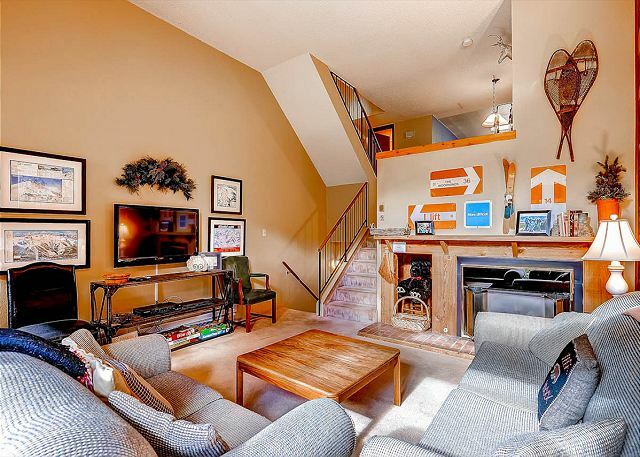 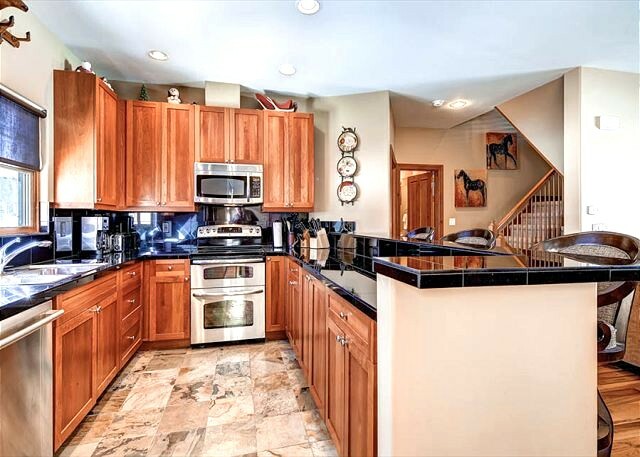 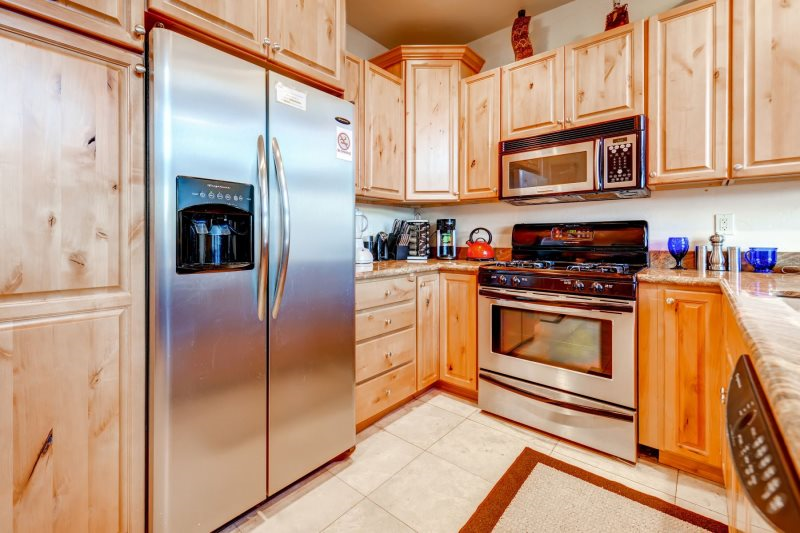 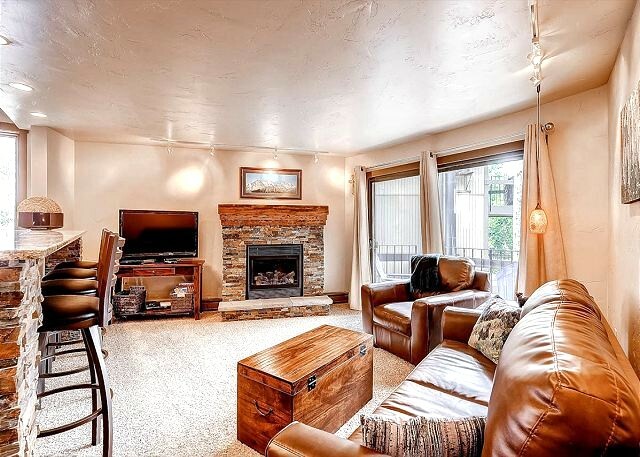 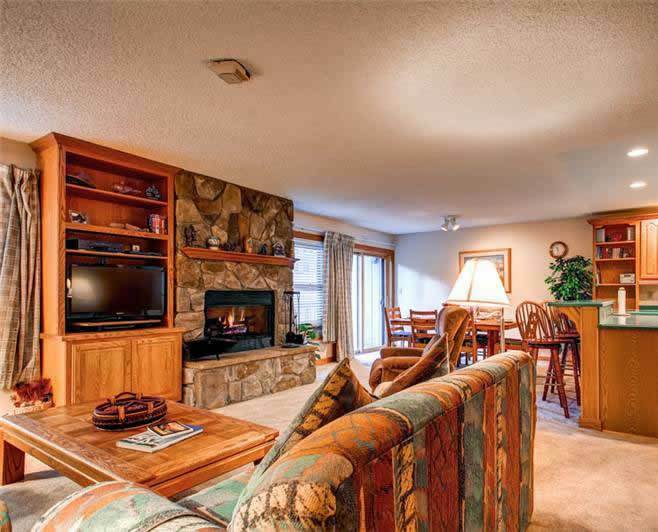 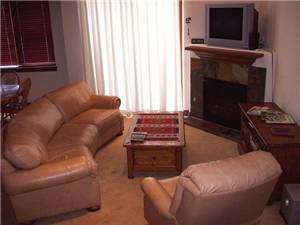 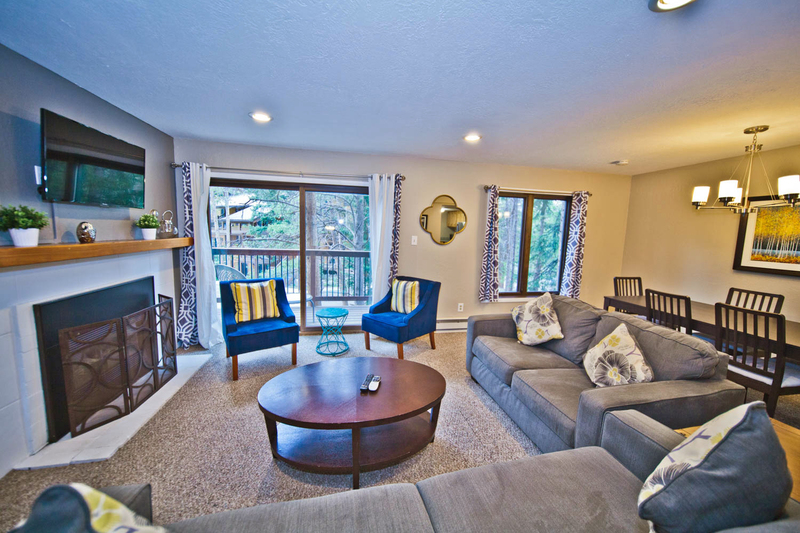 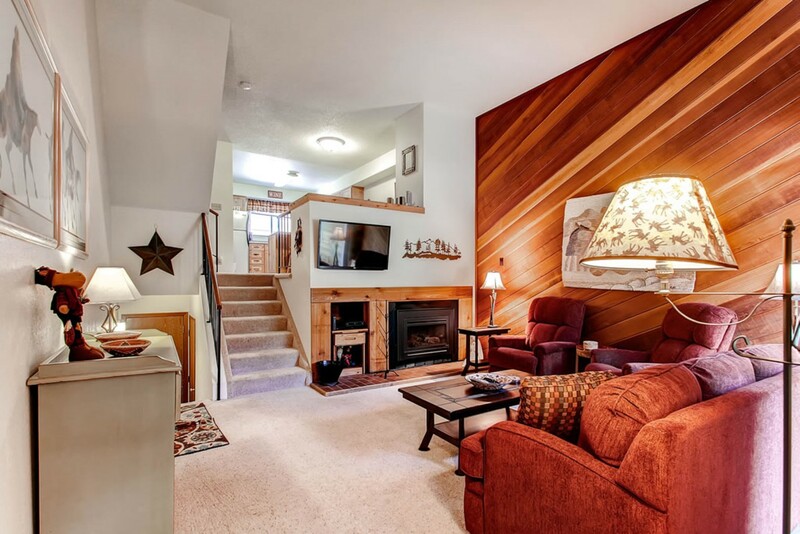 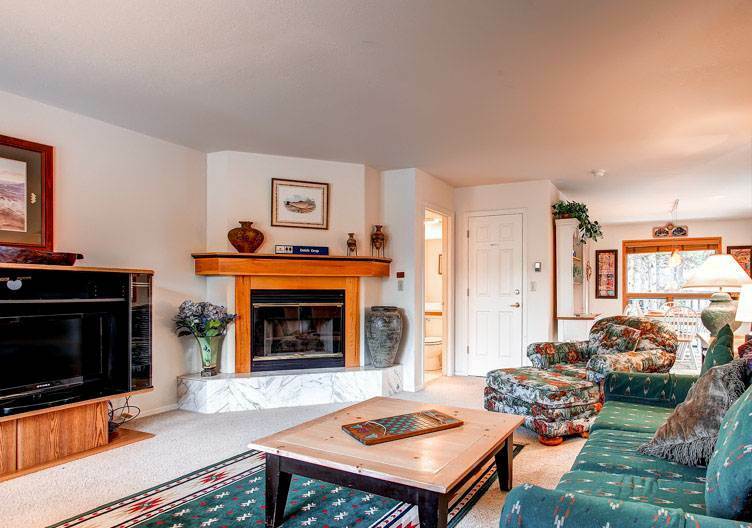 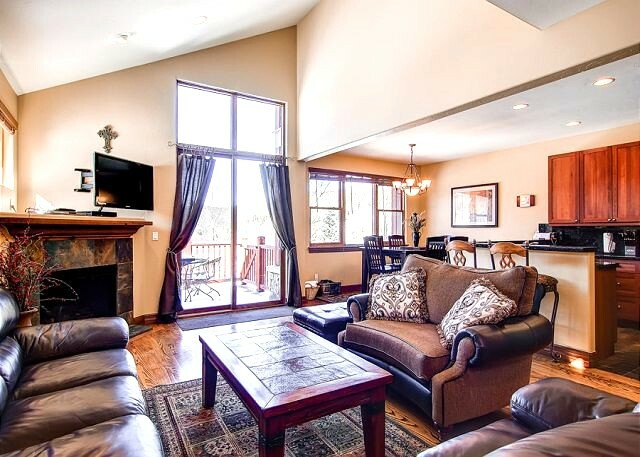 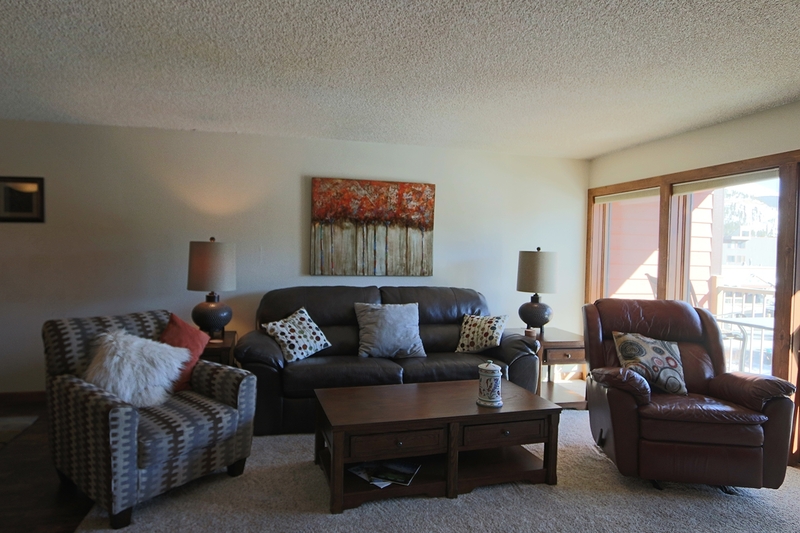 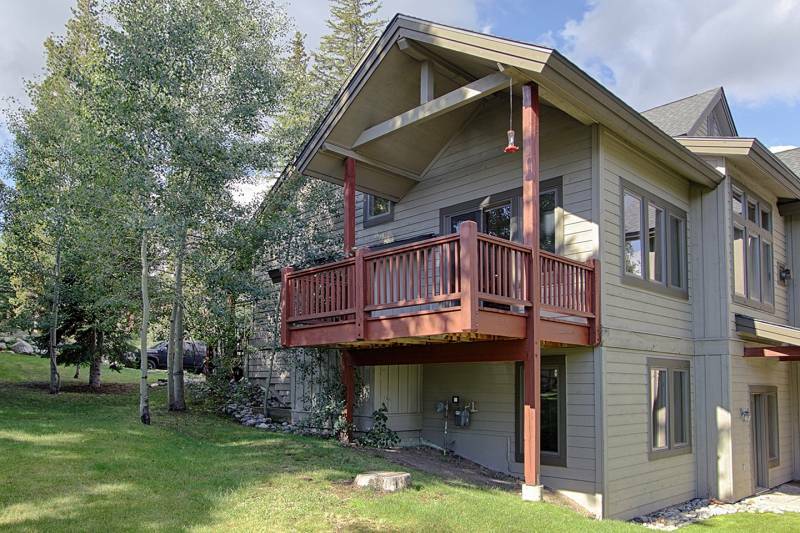 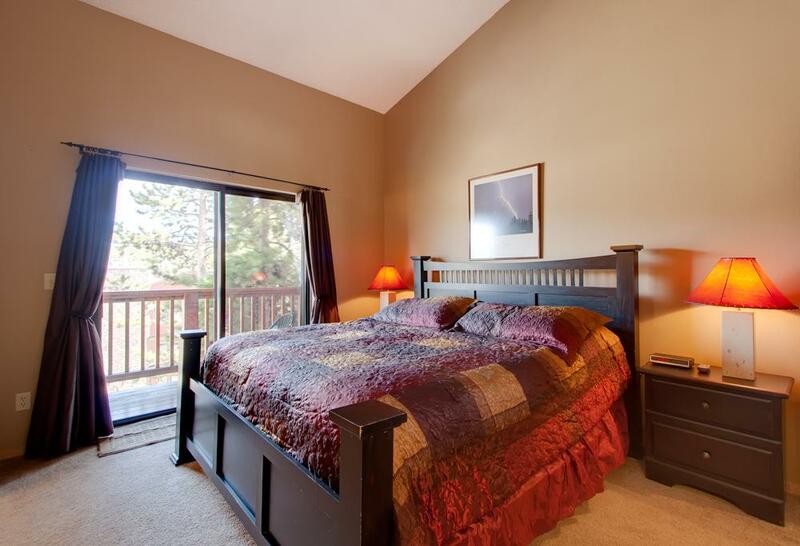 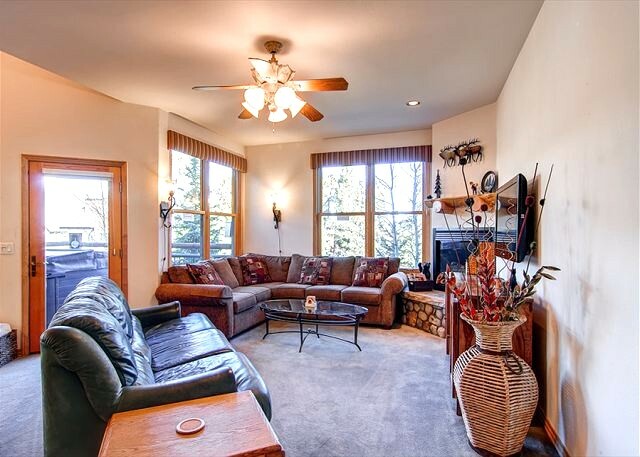 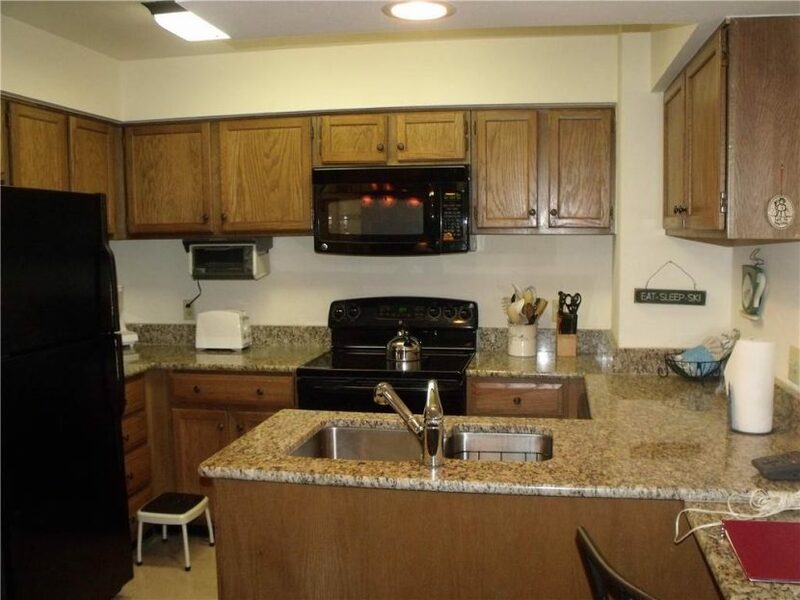 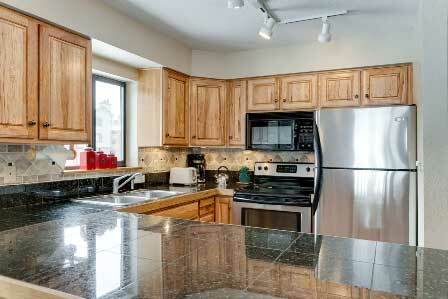 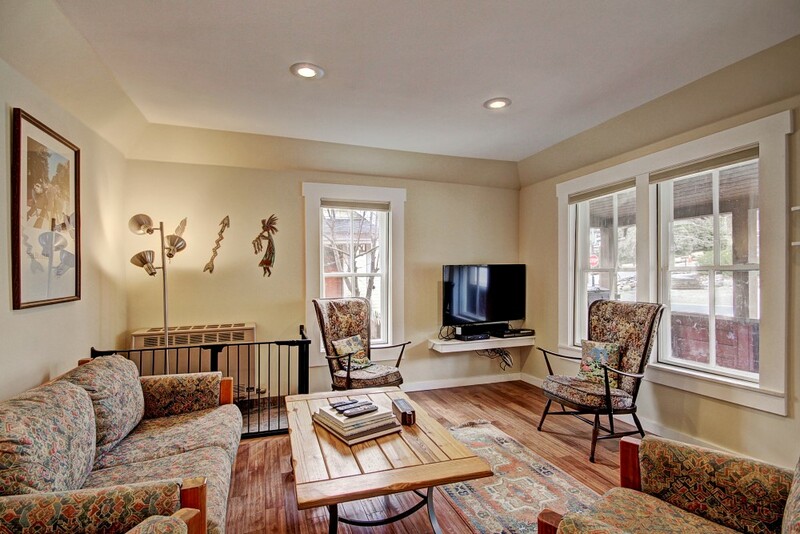 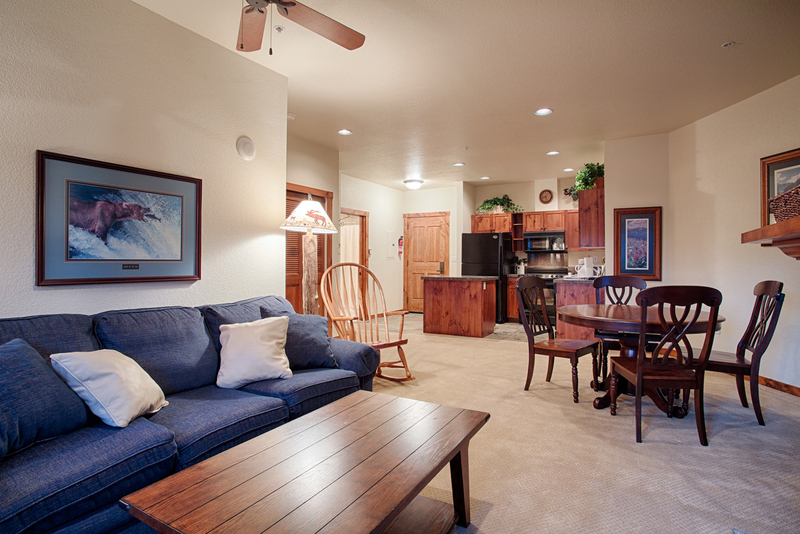 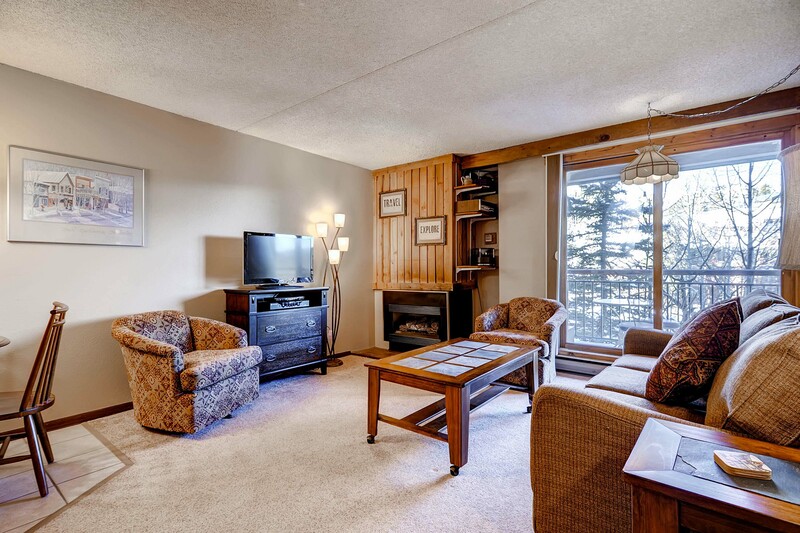 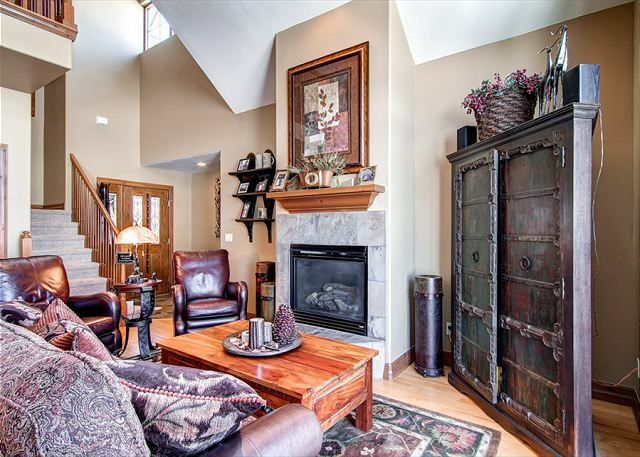 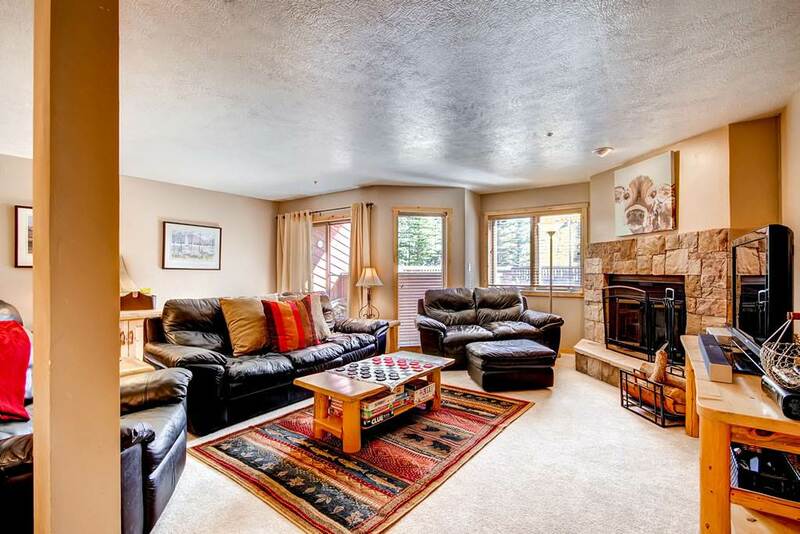 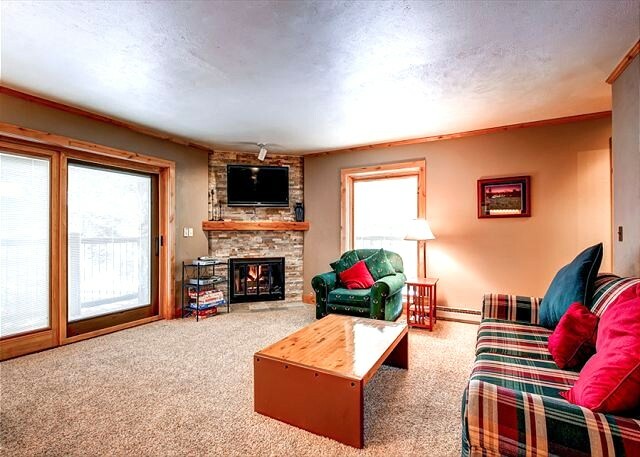 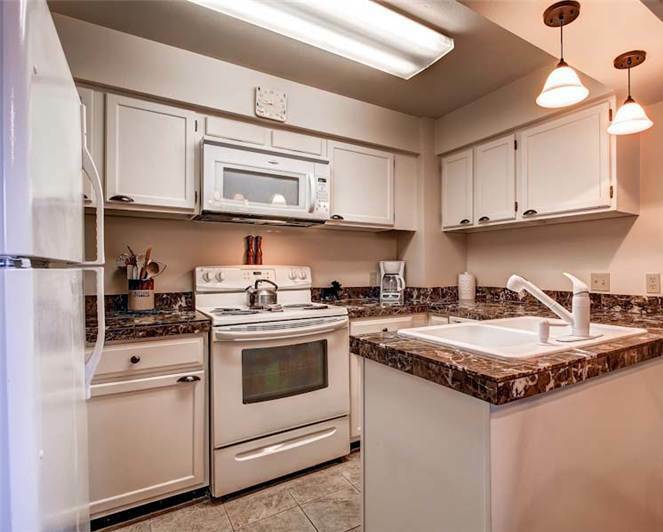 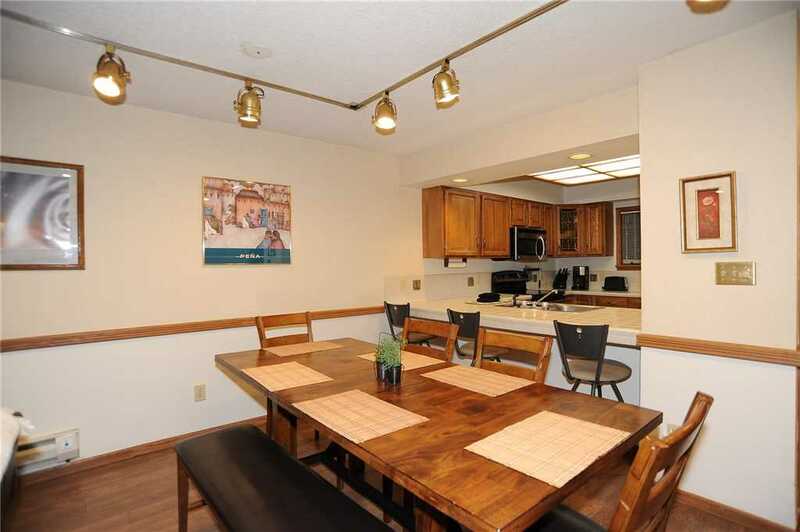 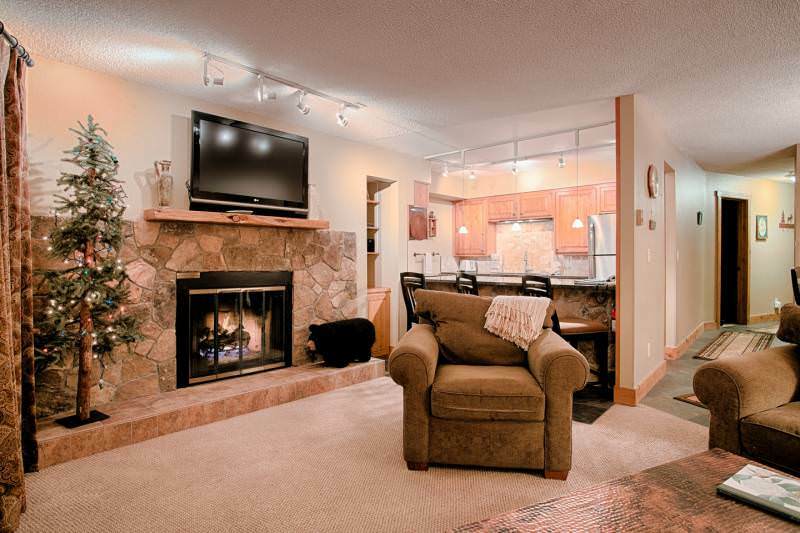 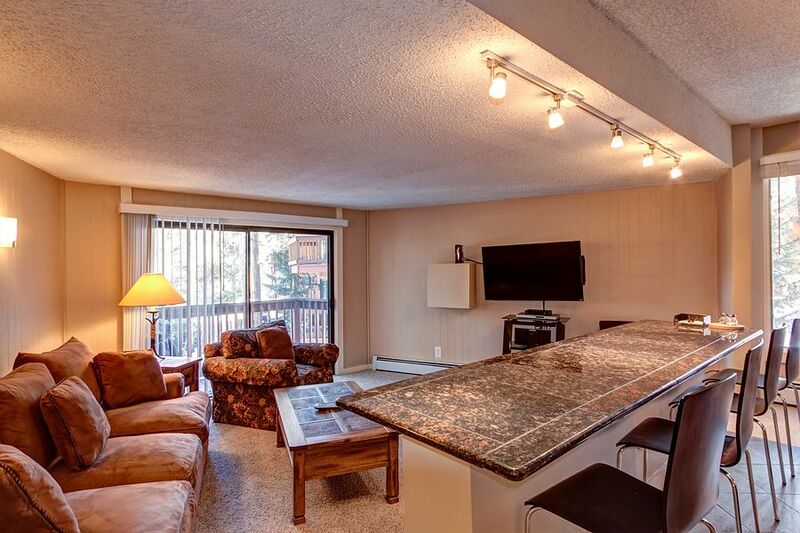 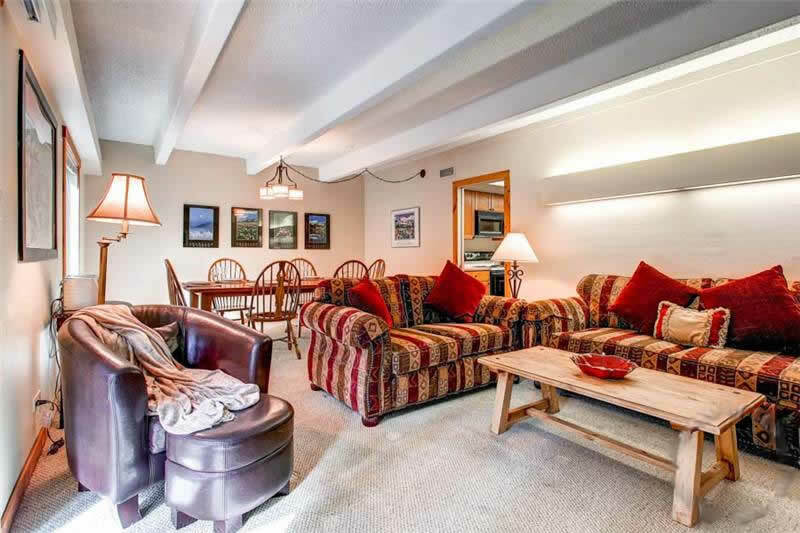 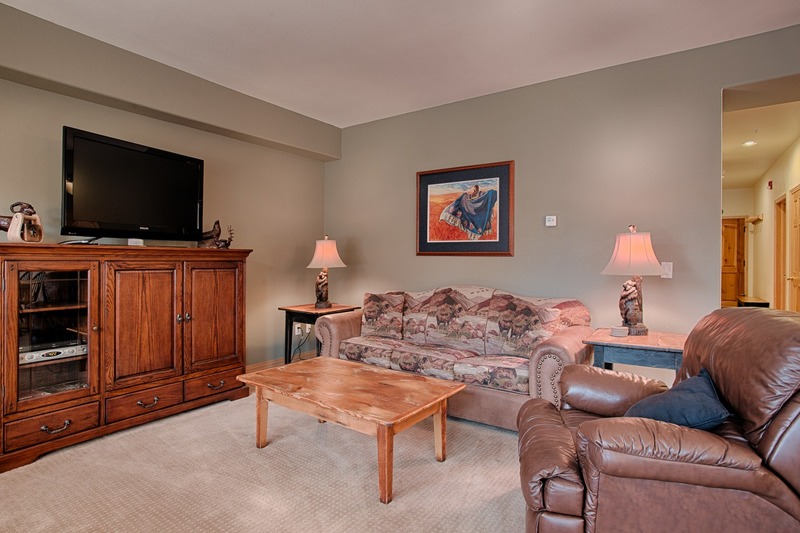 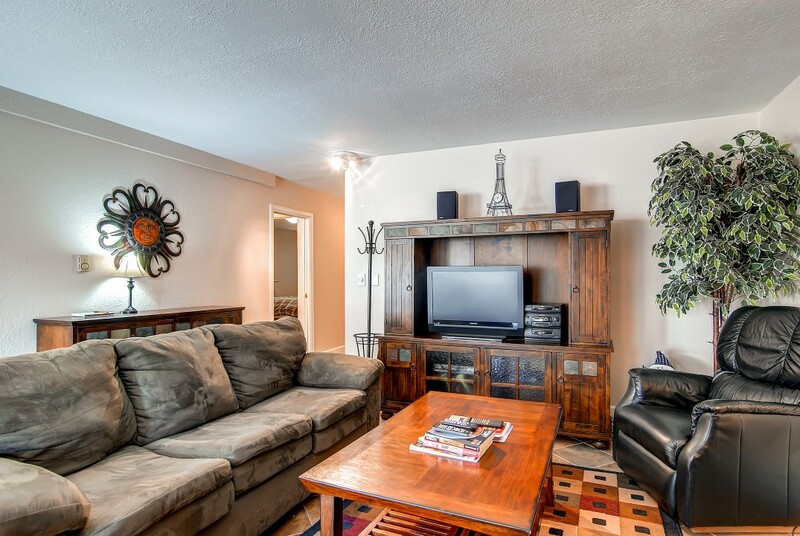 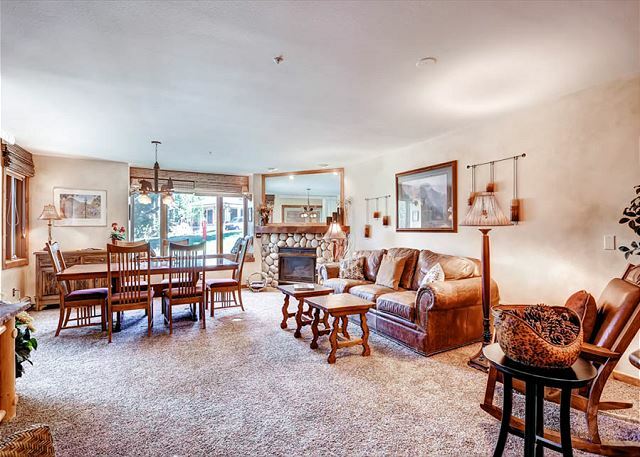 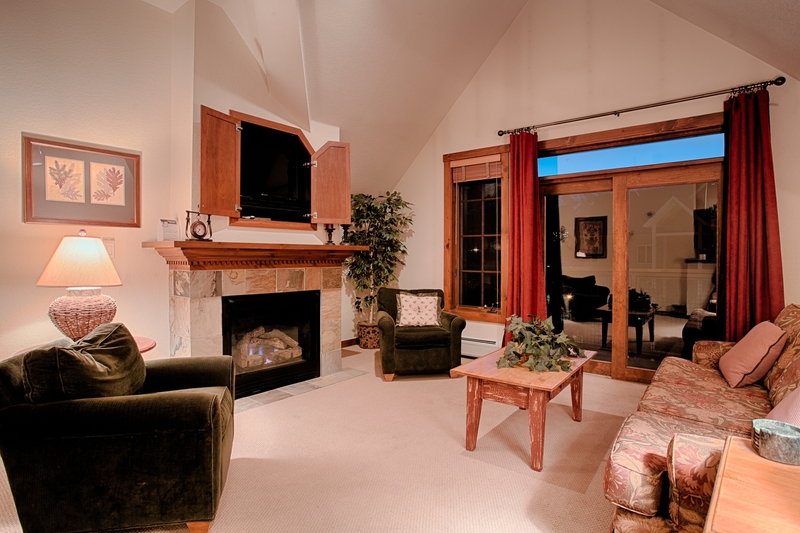 This Gold-rated loft unit has a great location in Pine Ridge’s only stand-alone building. 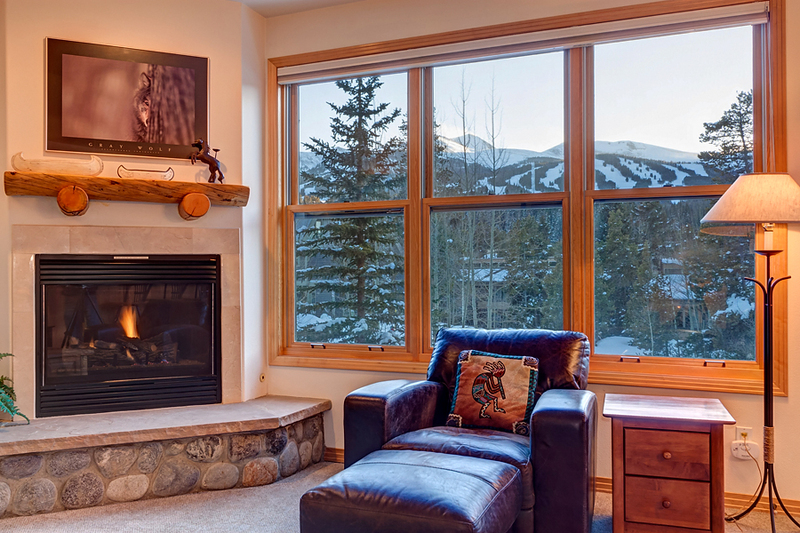 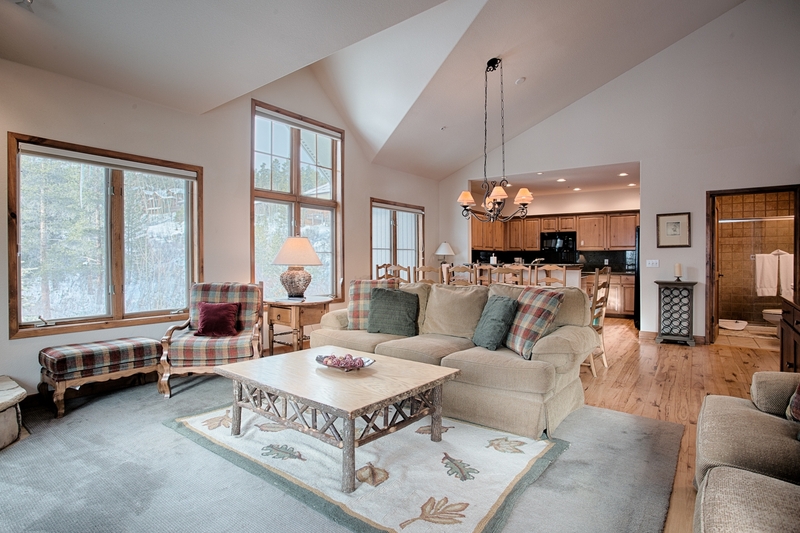 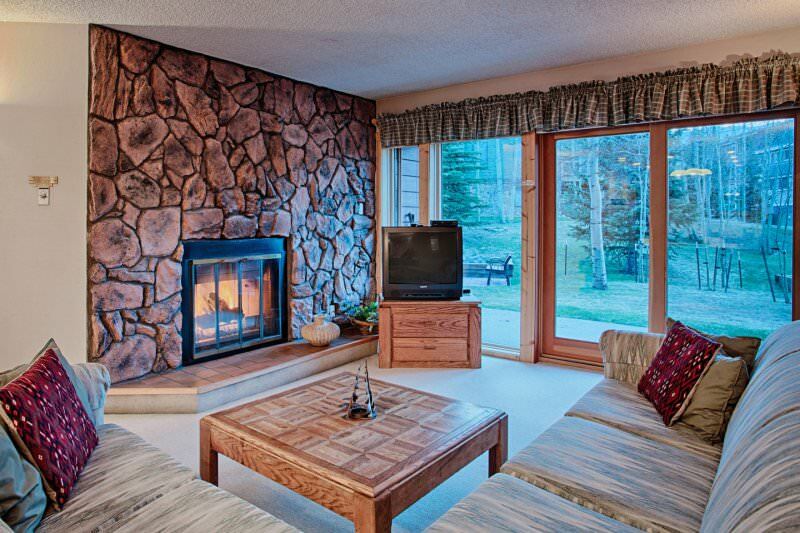 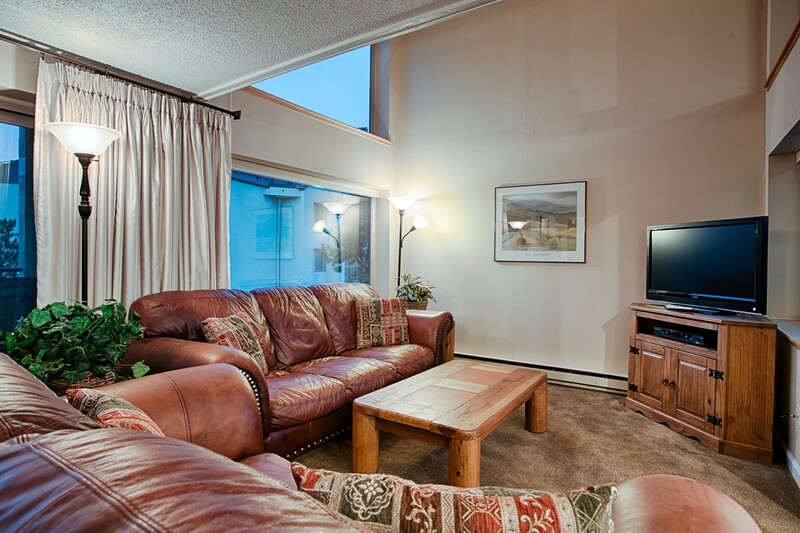 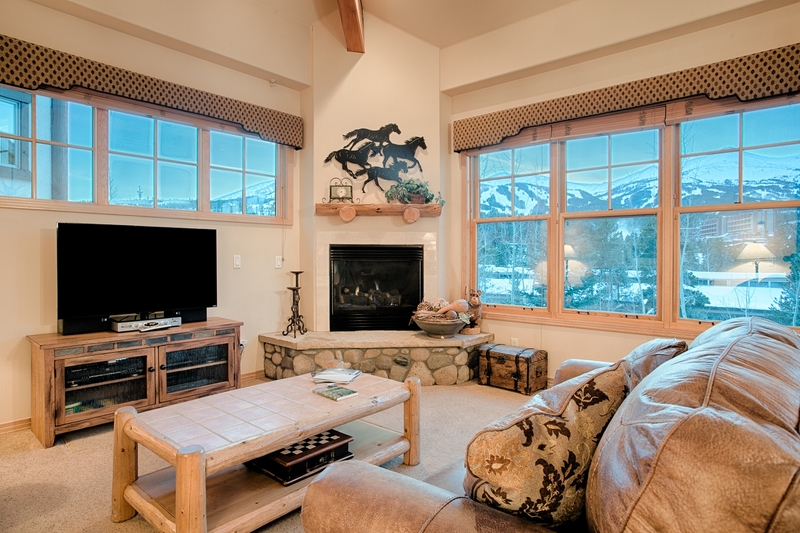 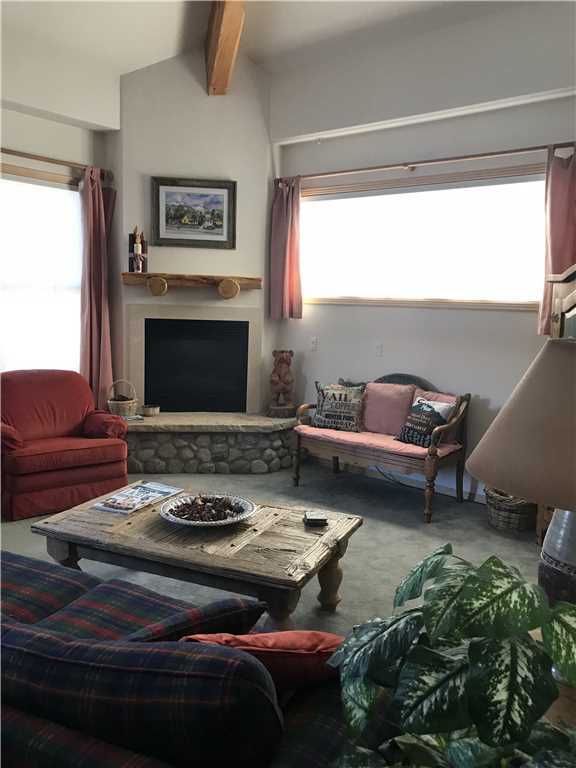 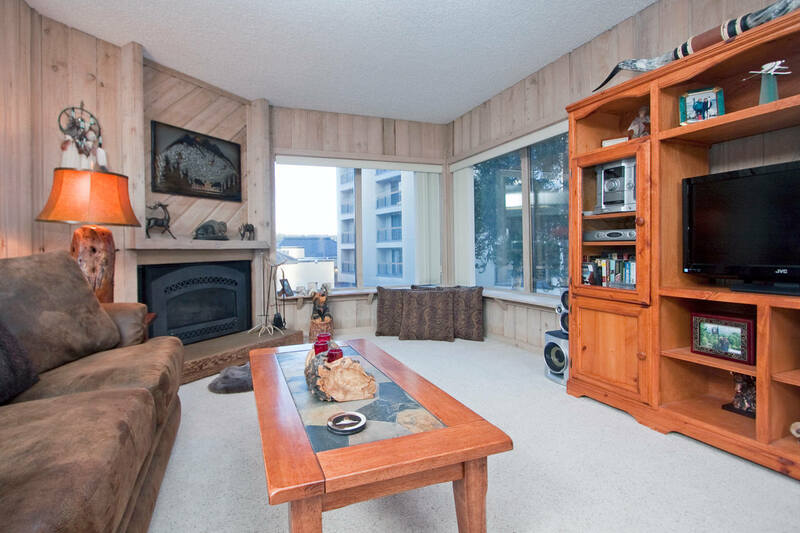 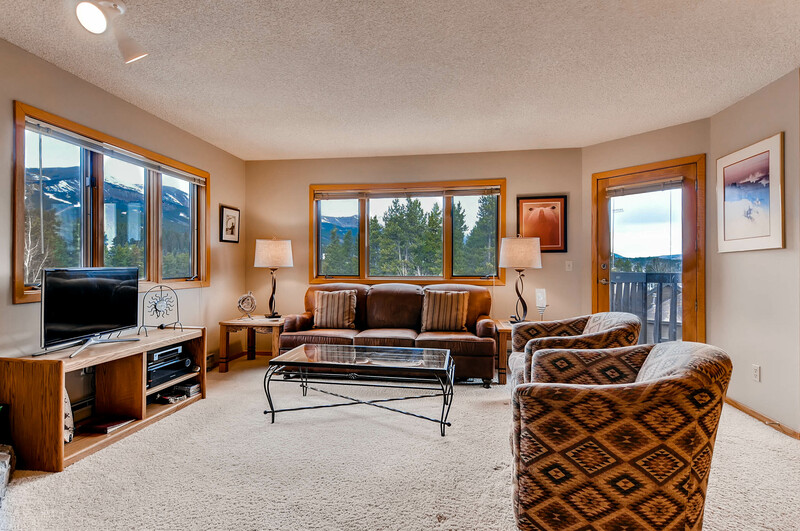 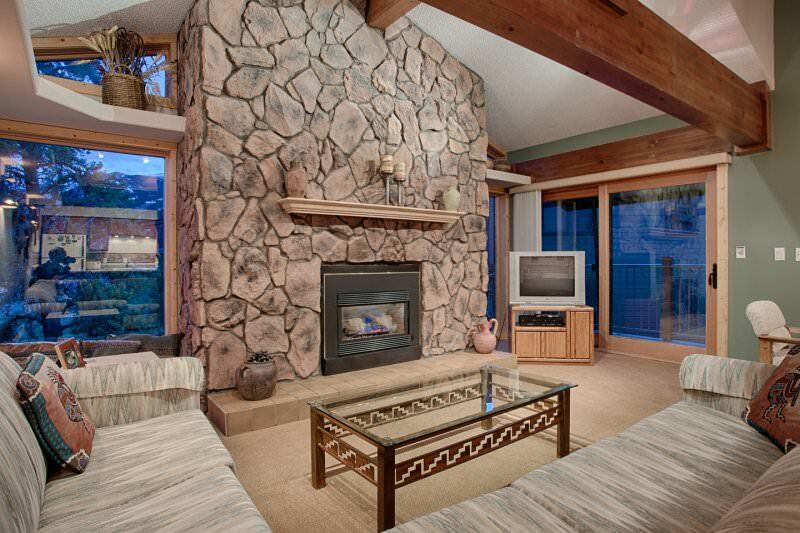 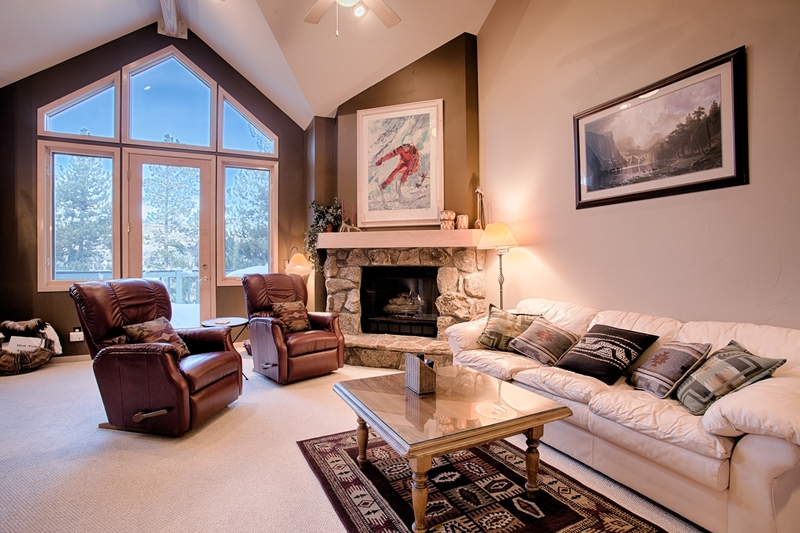 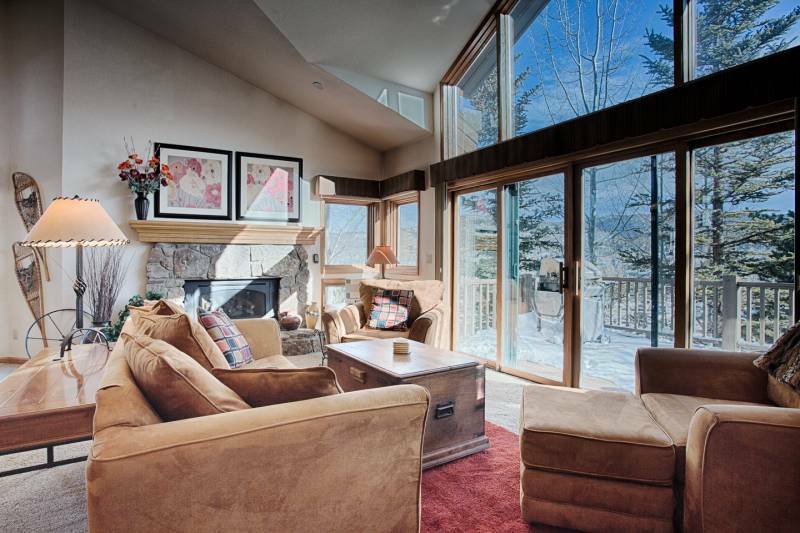 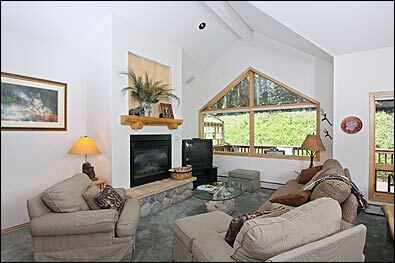 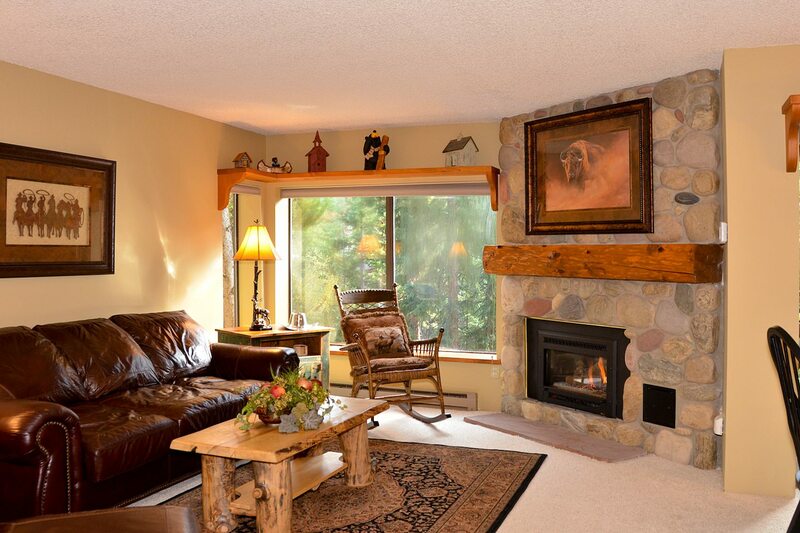 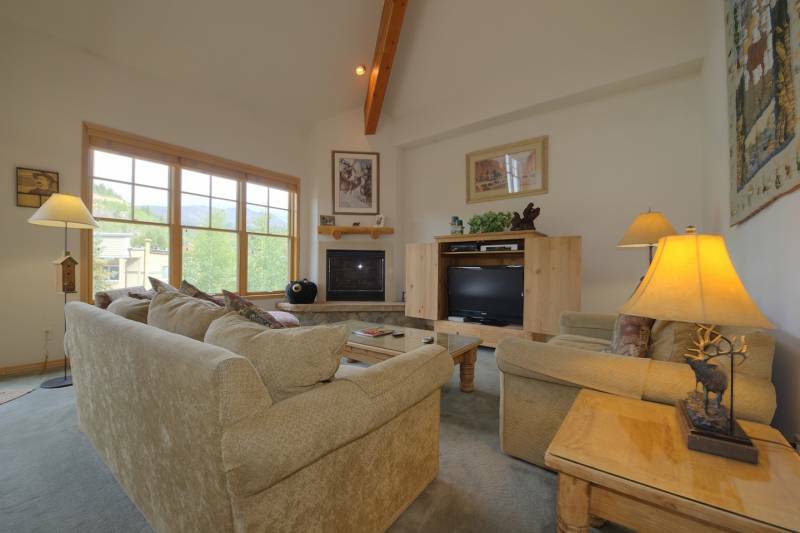 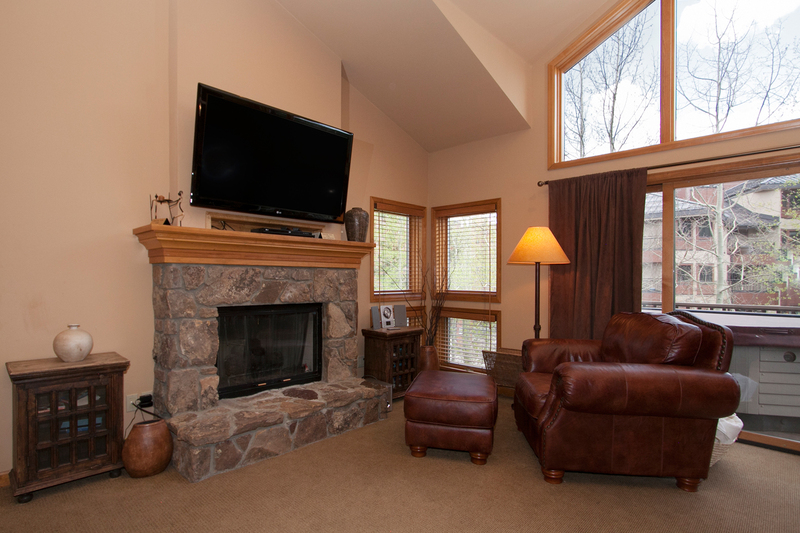 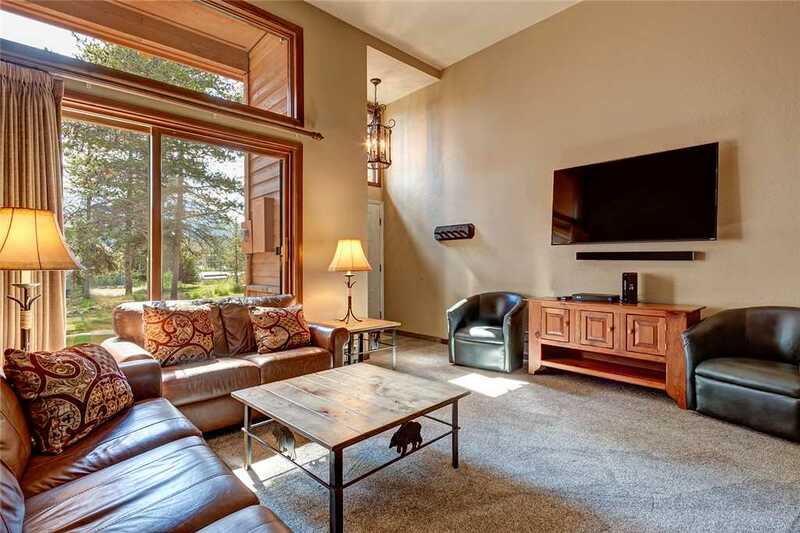 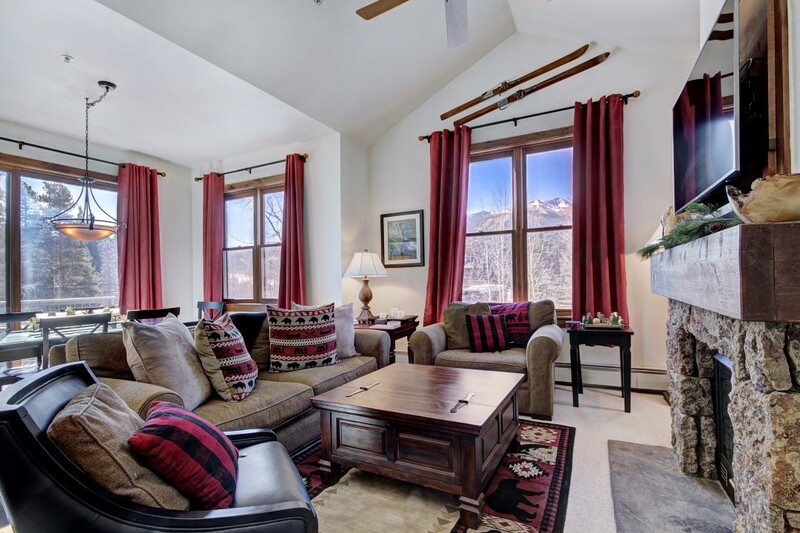 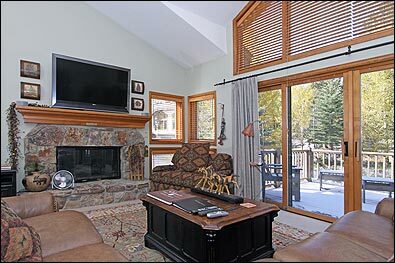 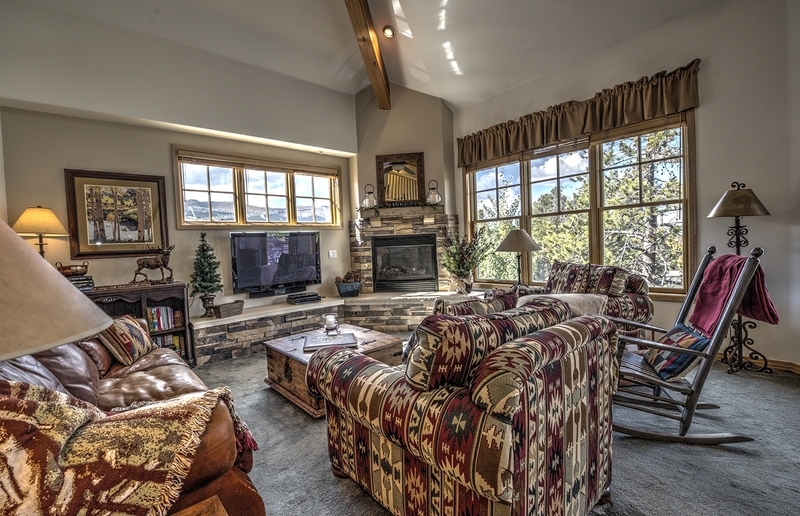 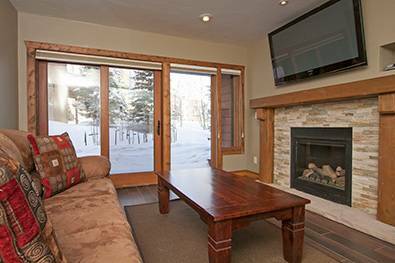 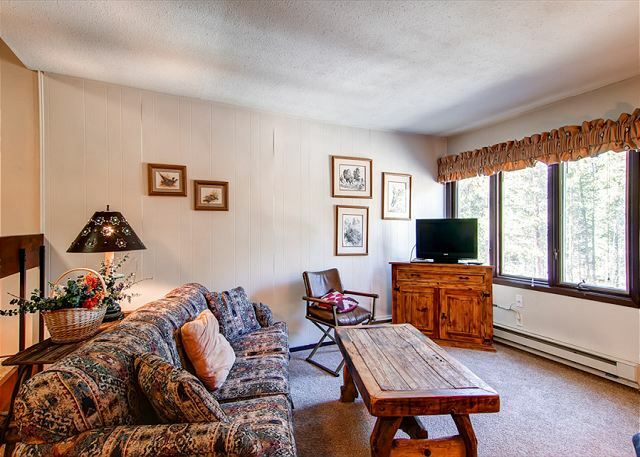 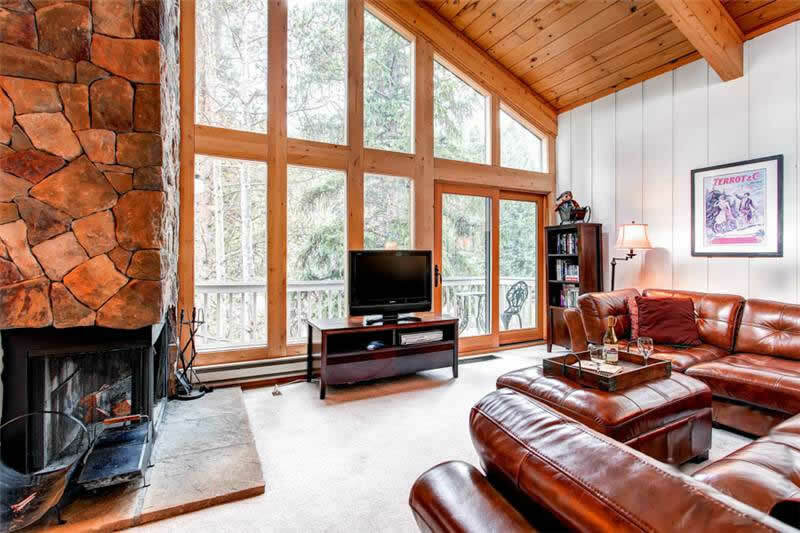 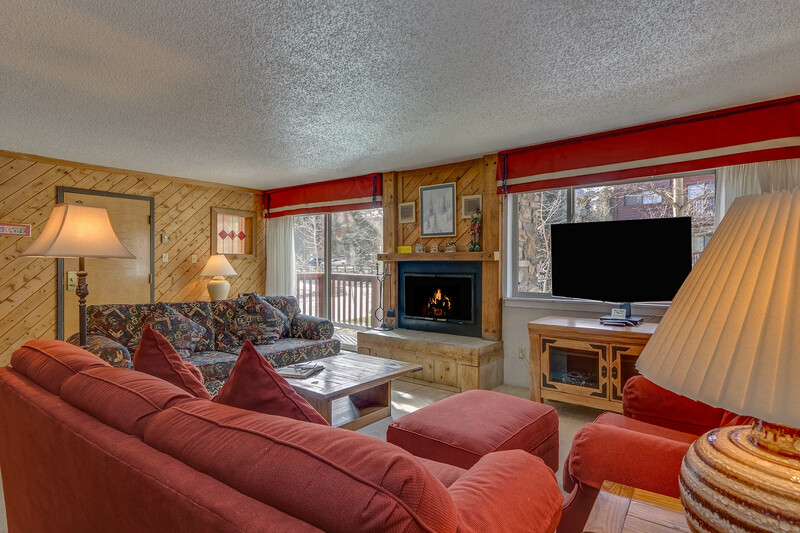 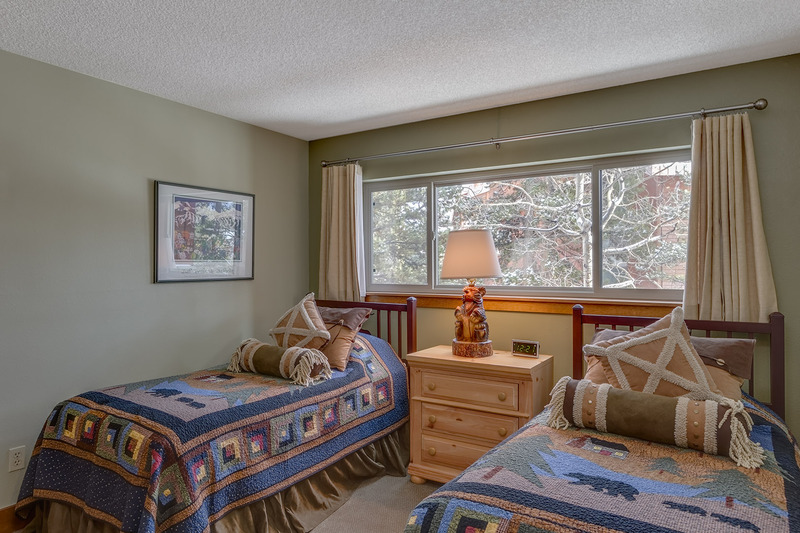 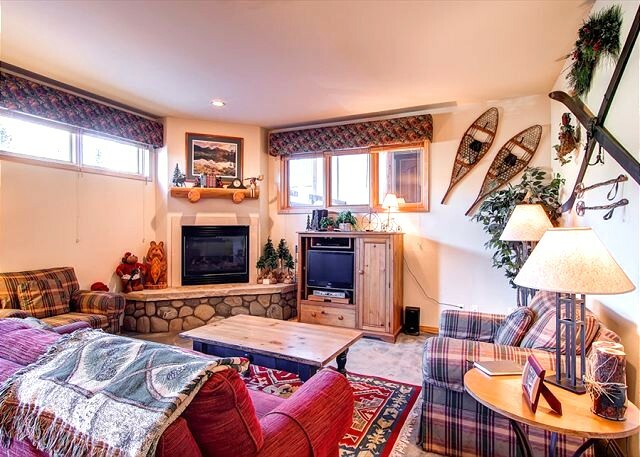 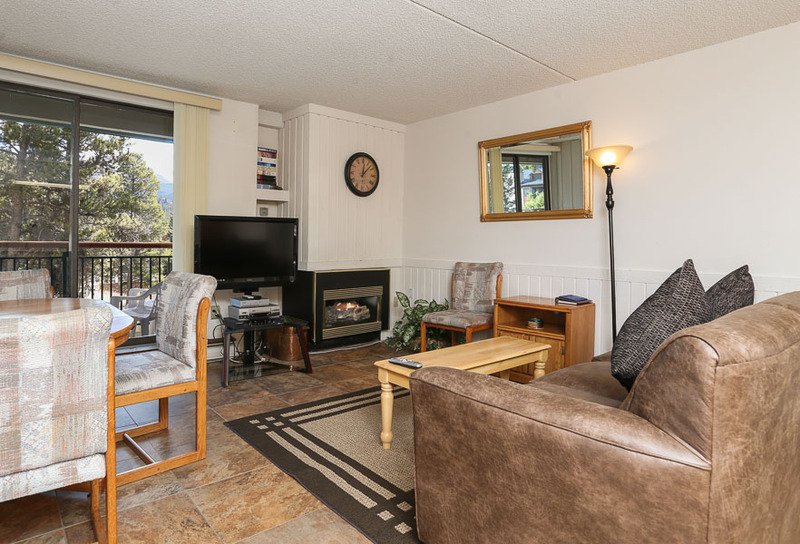 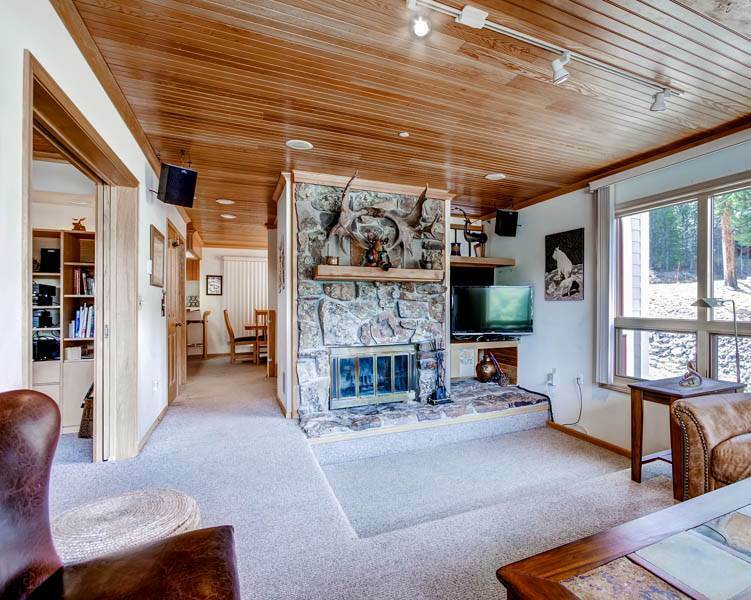 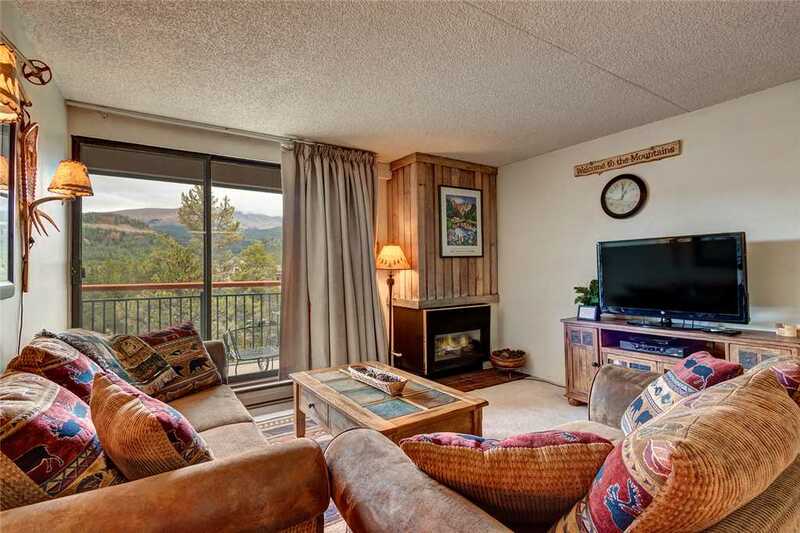 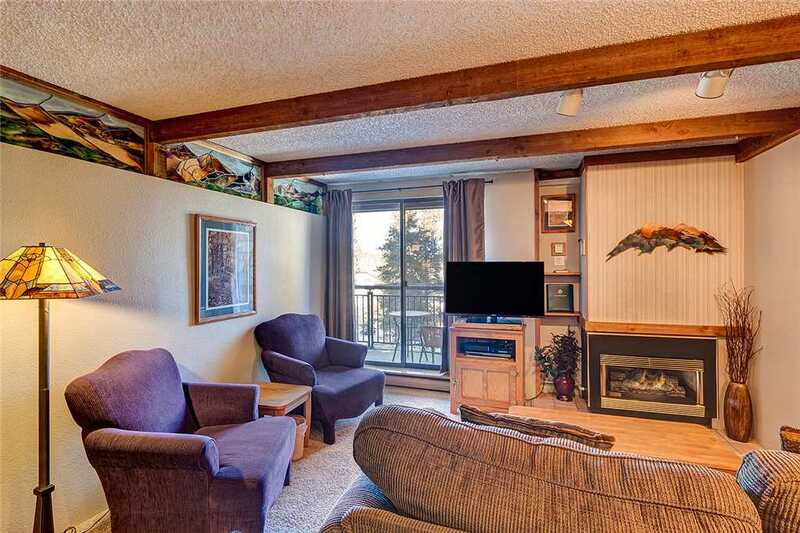 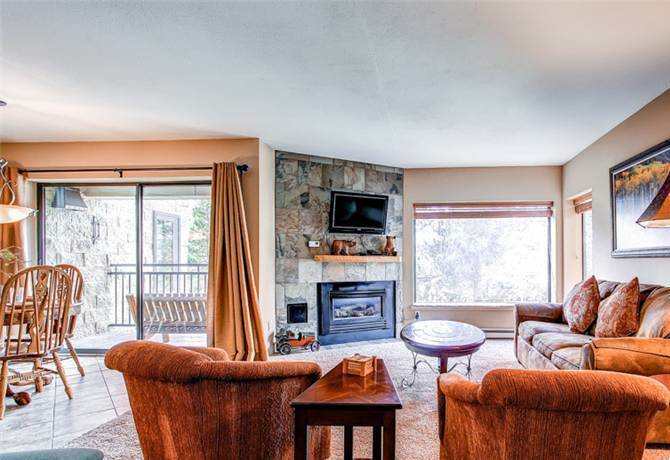 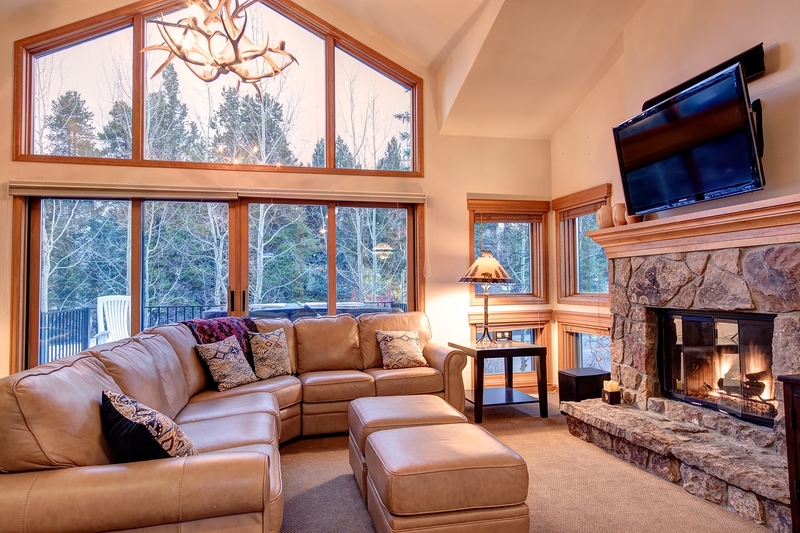 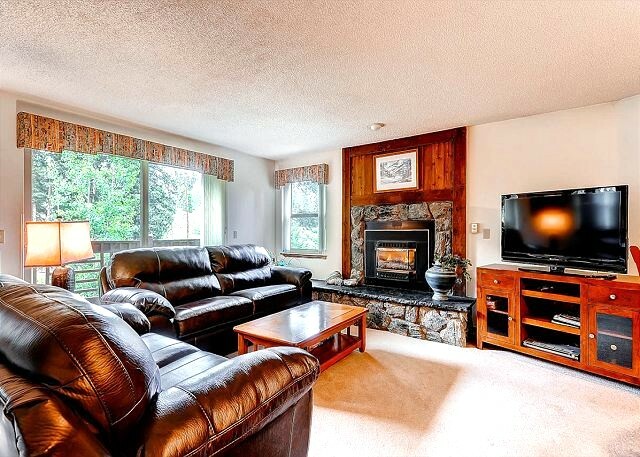 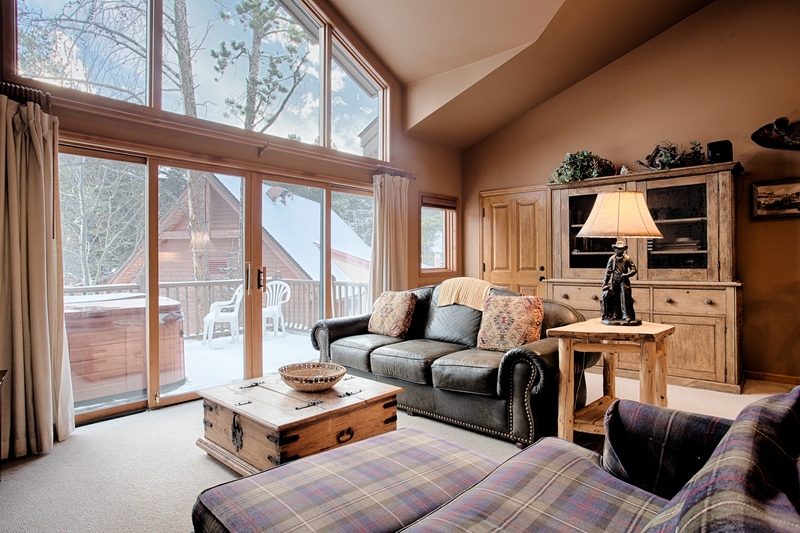 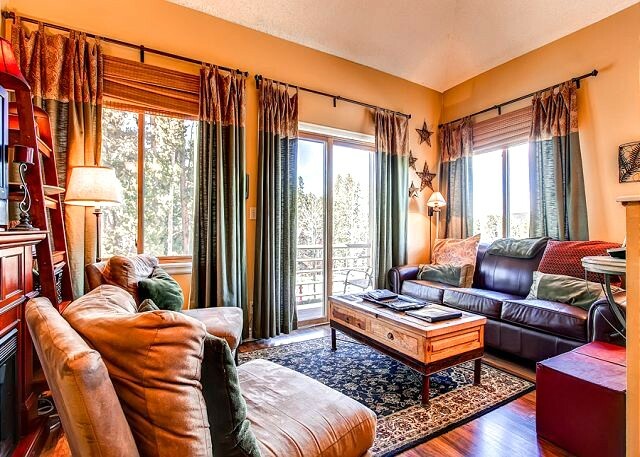 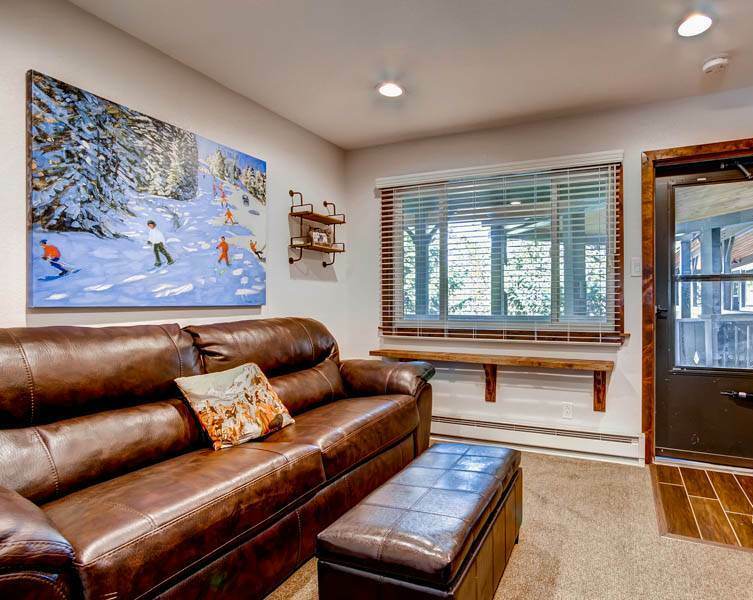 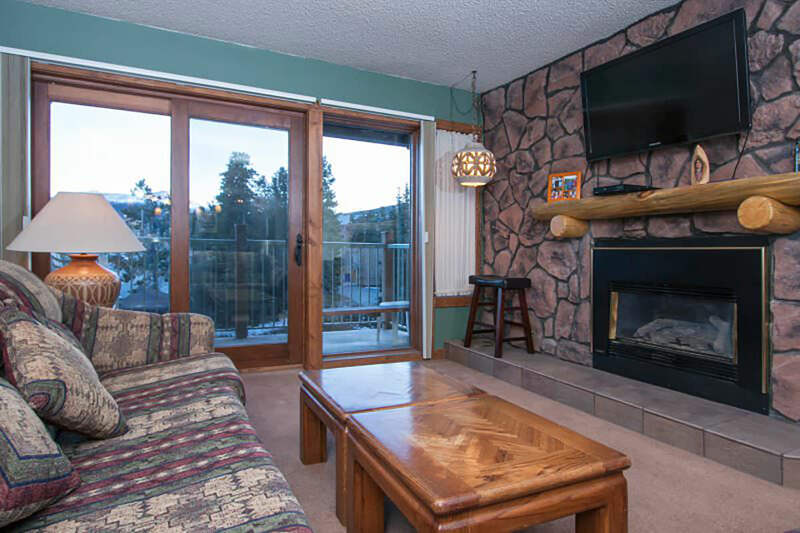 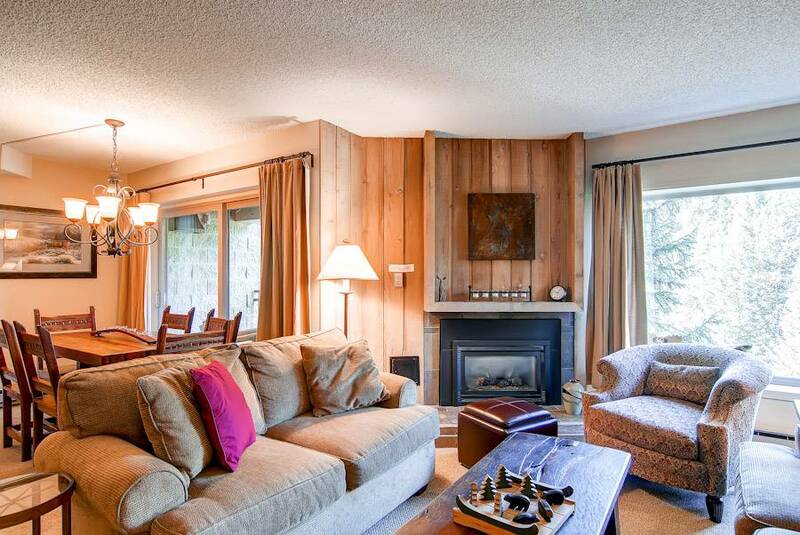 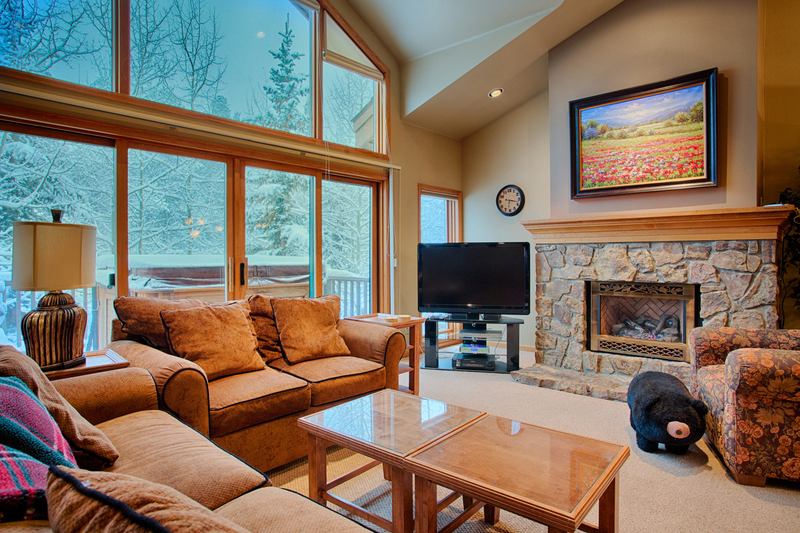 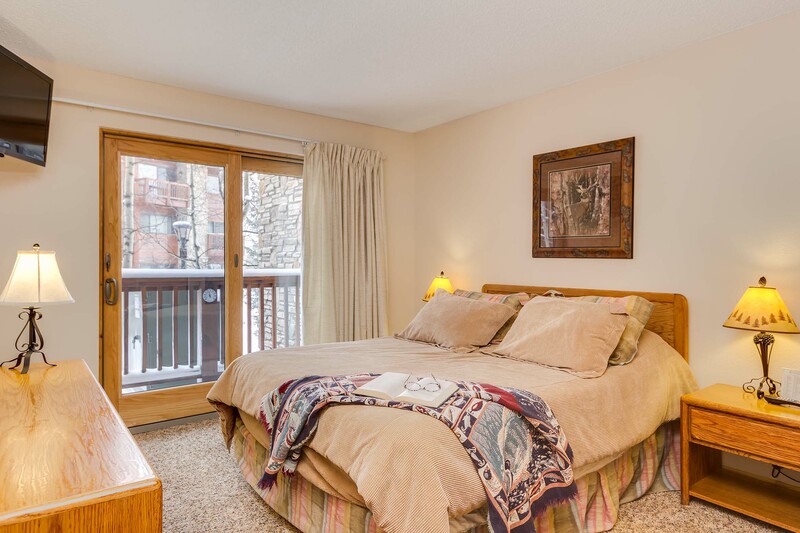 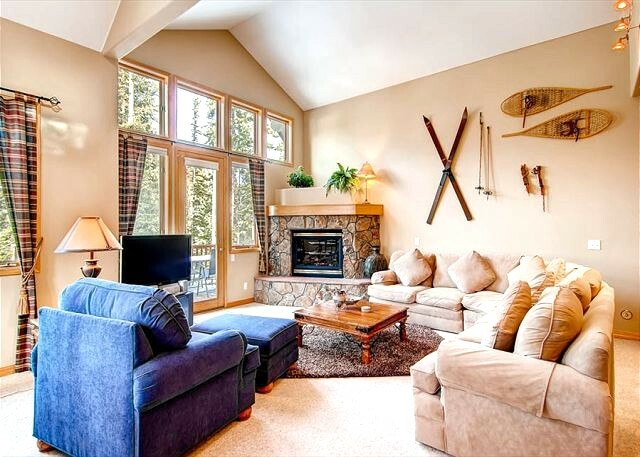 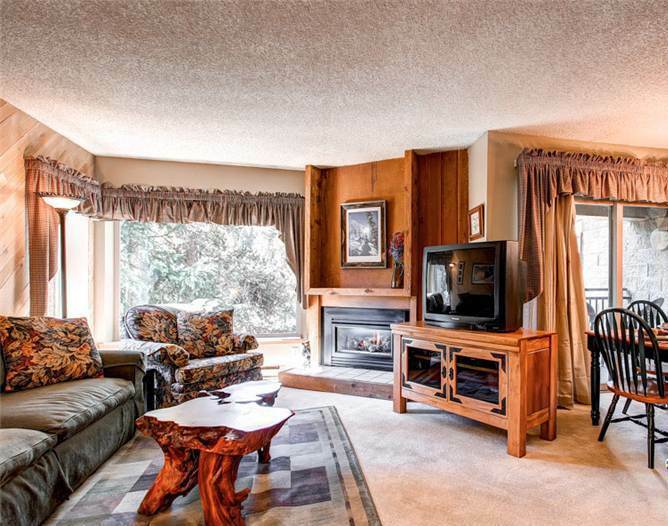 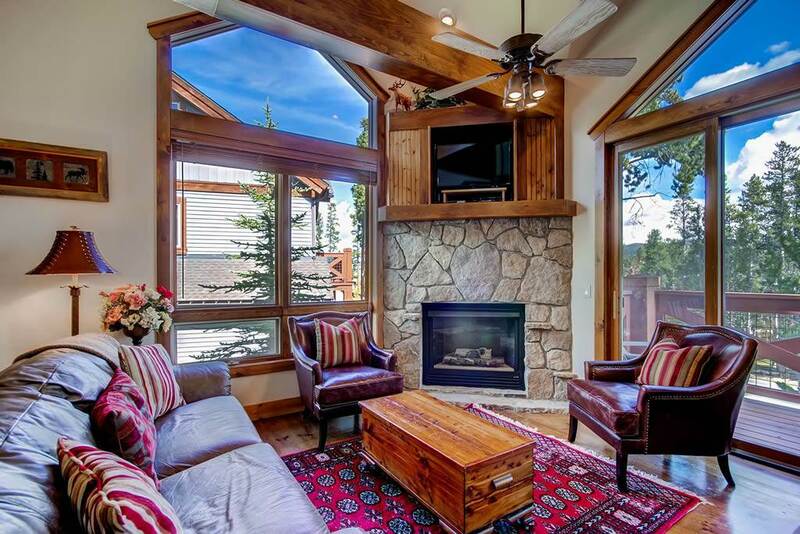 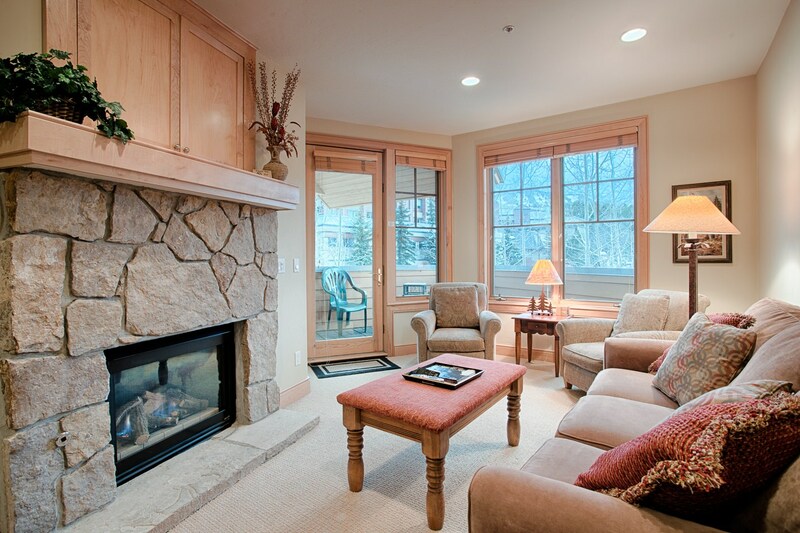 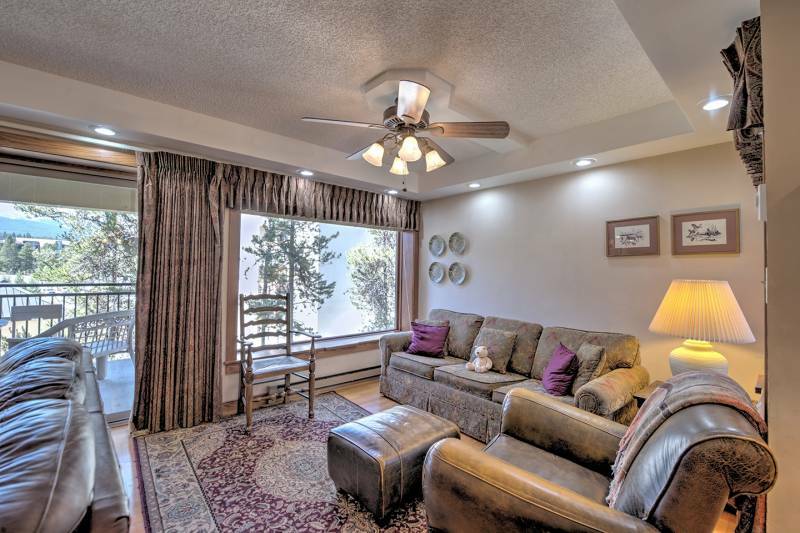 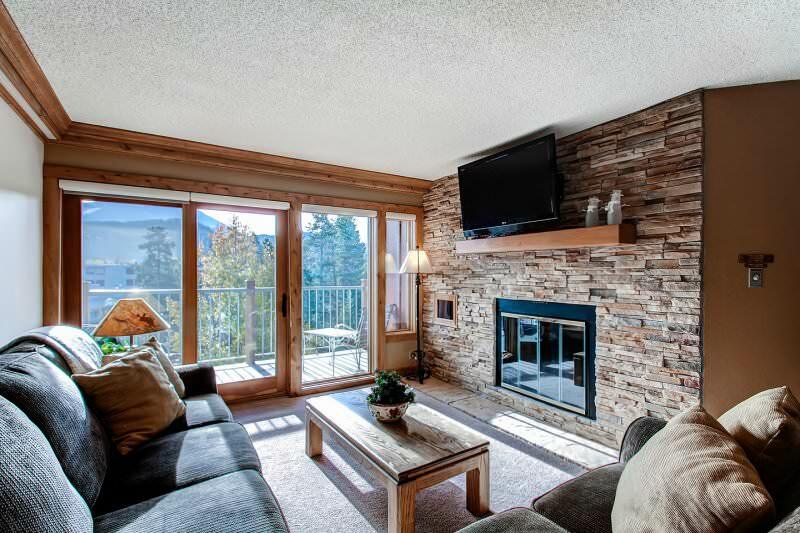 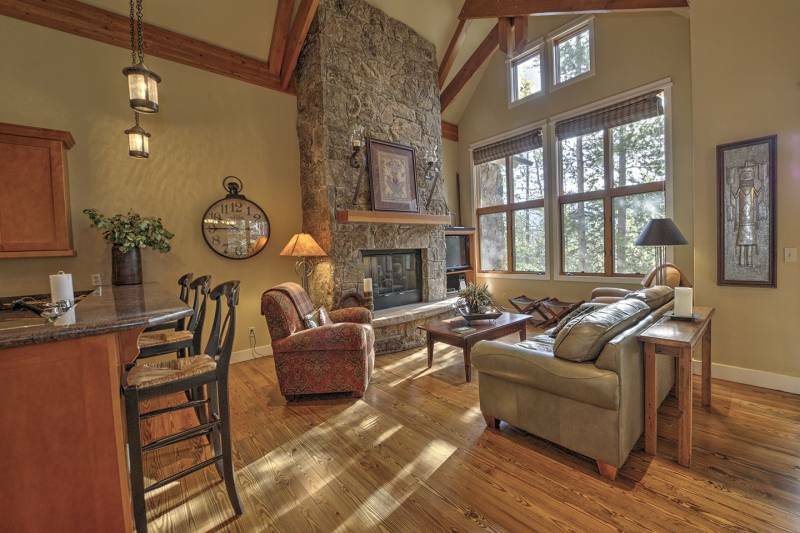 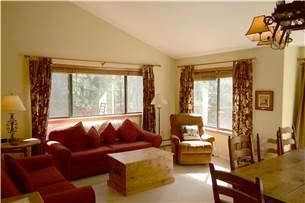 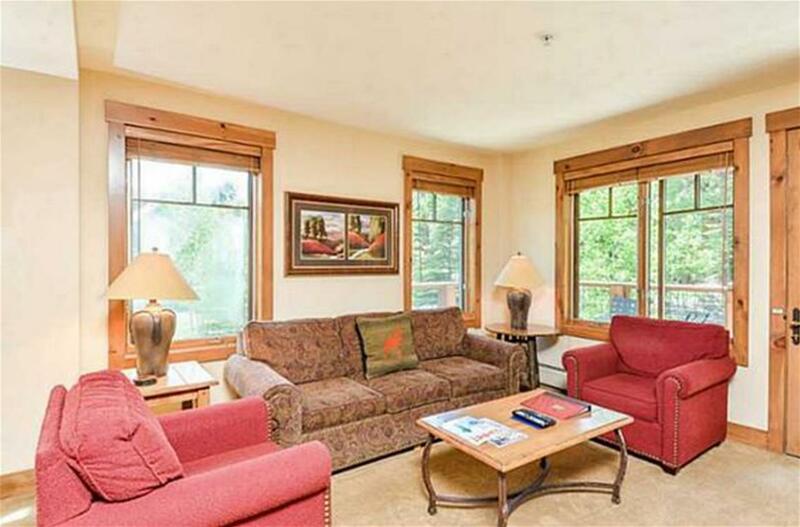 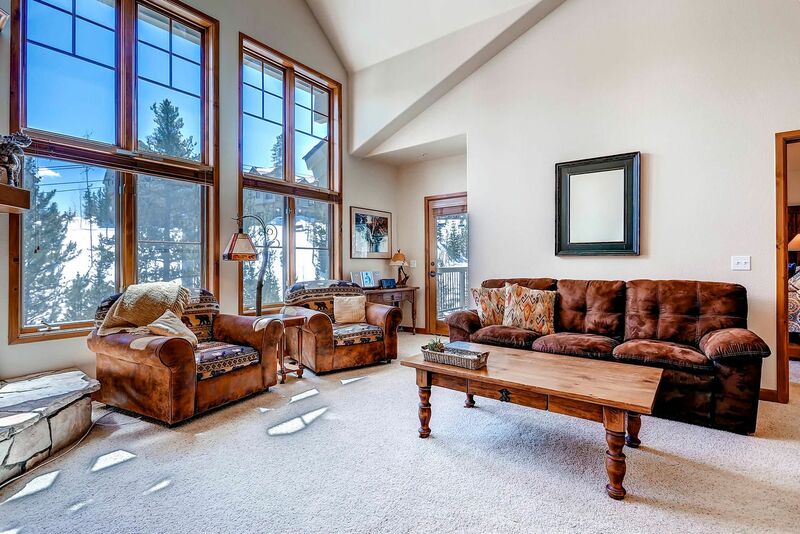 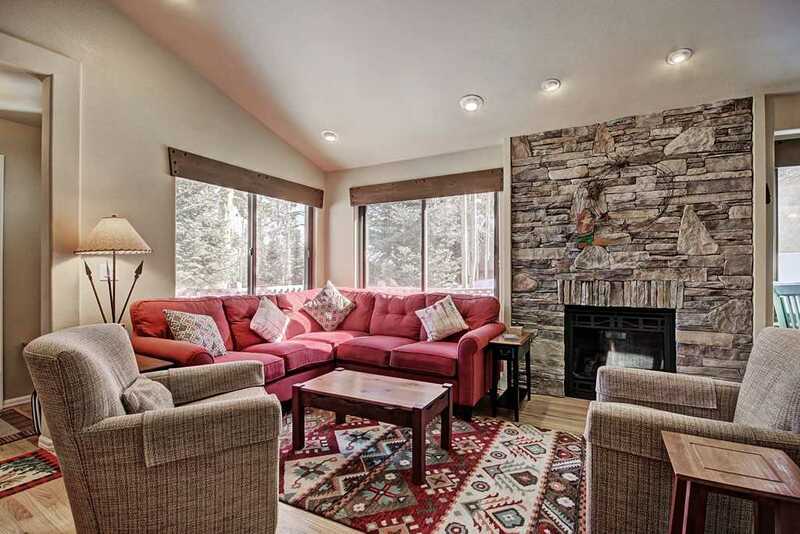 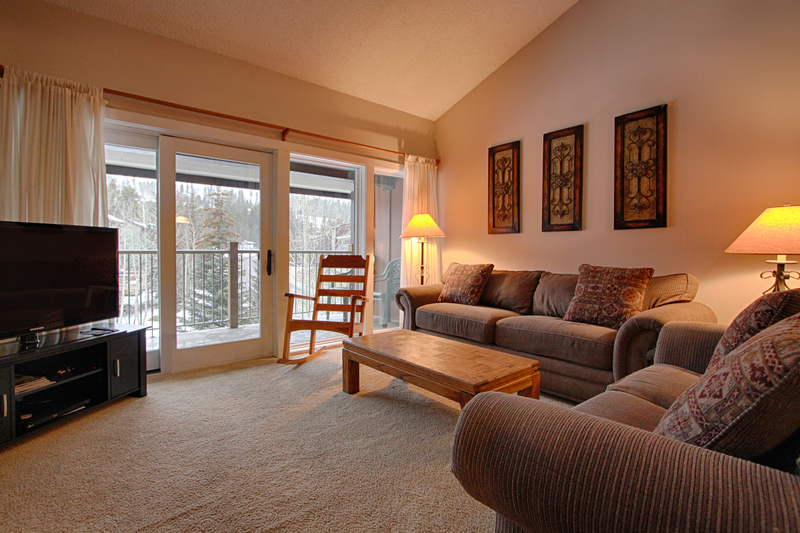 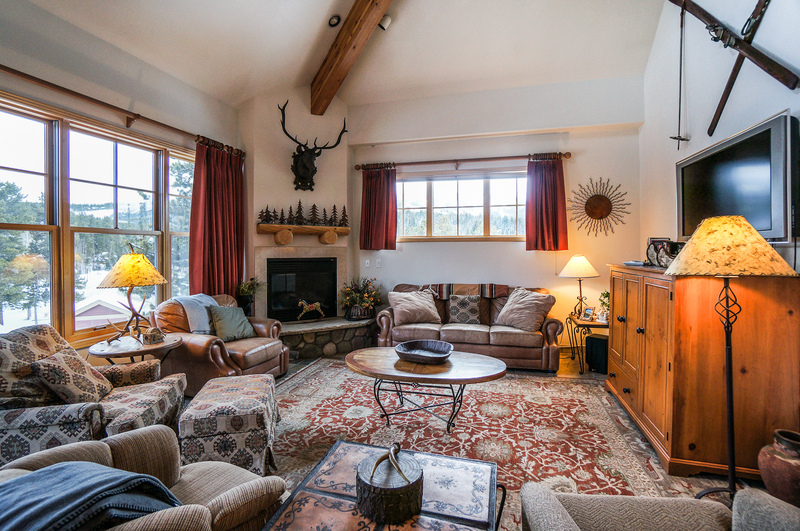 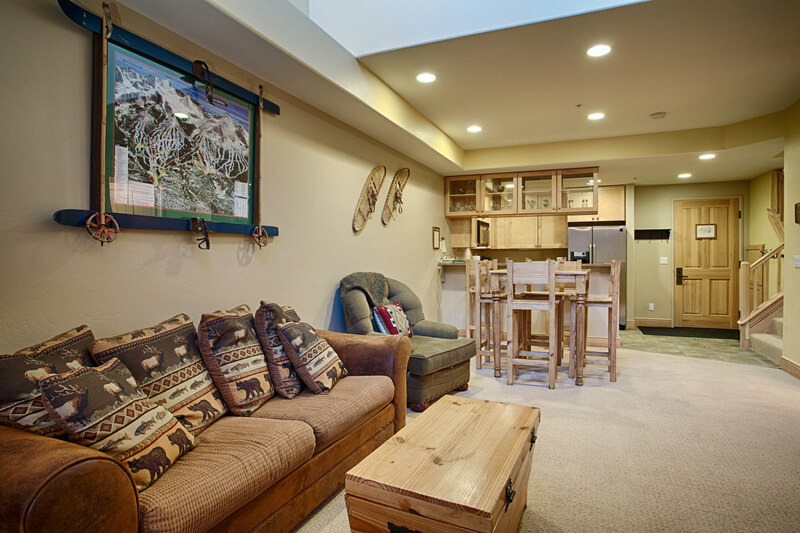 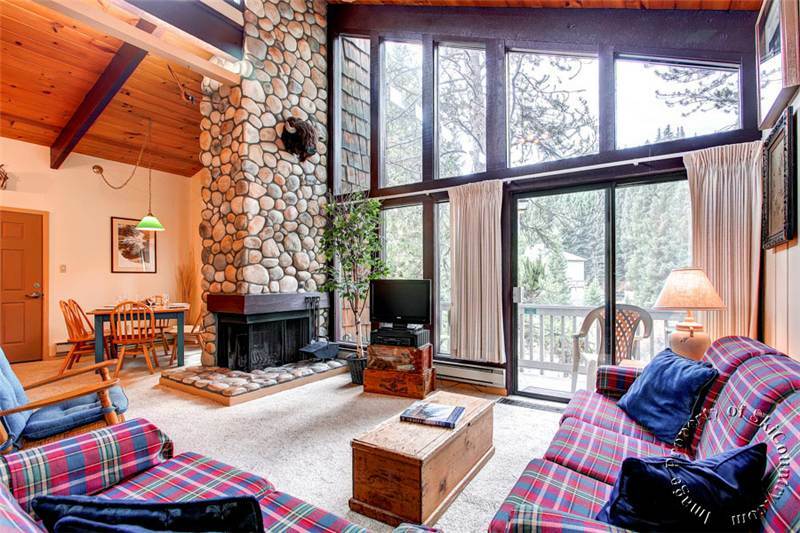 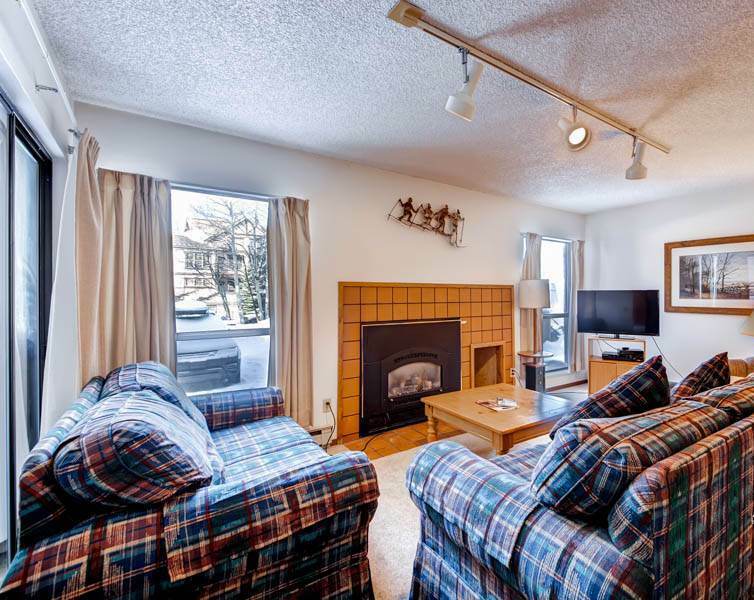 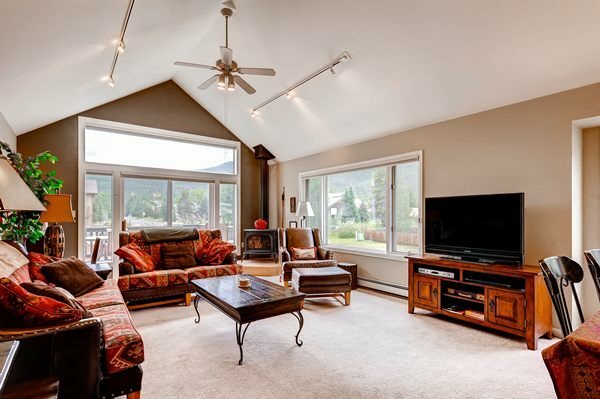 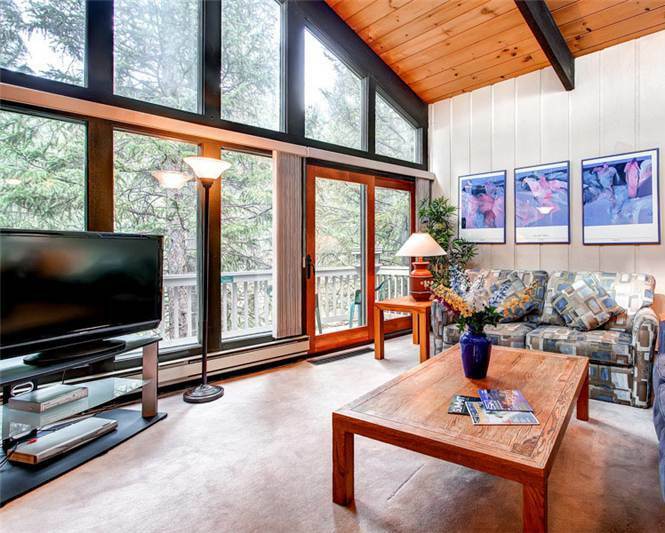 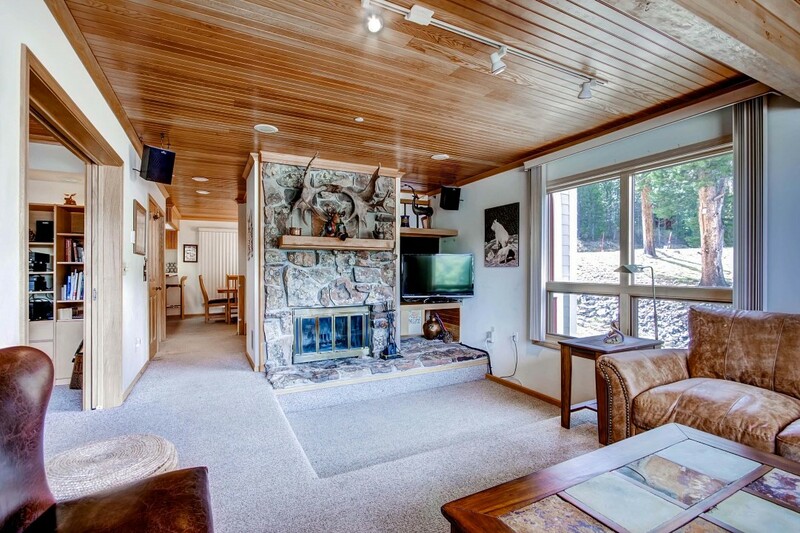 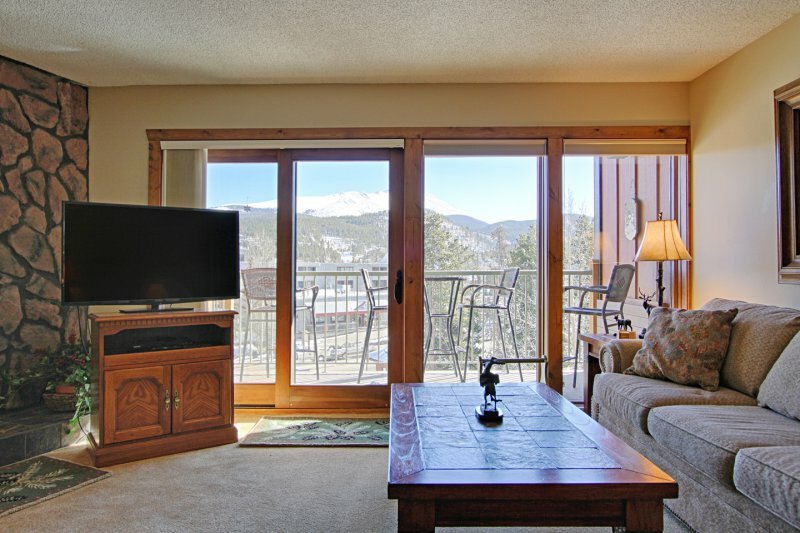 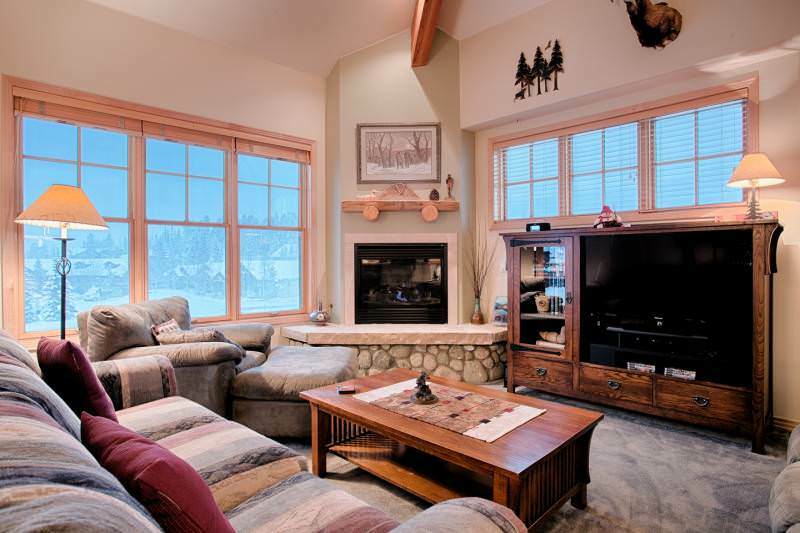 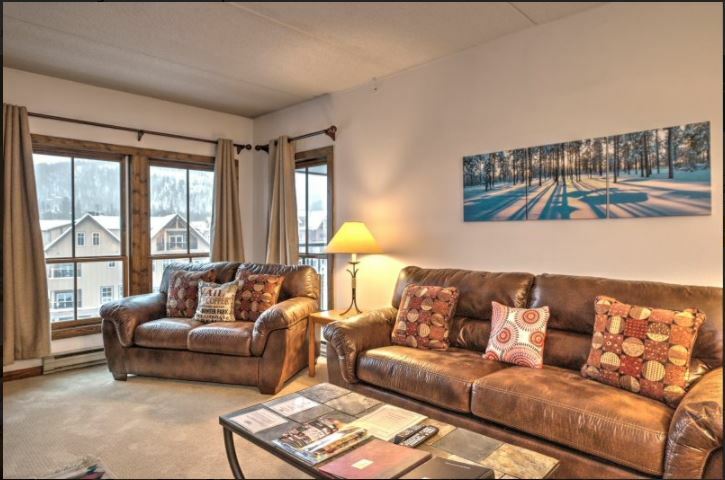 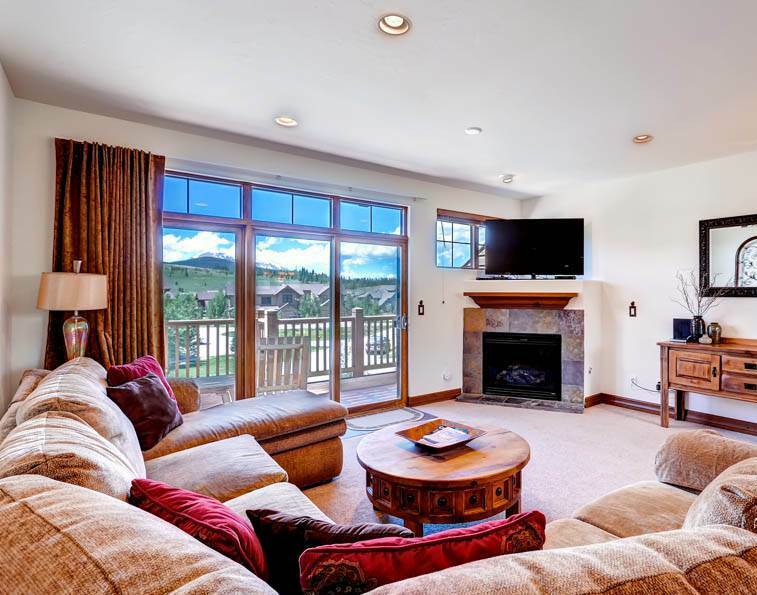 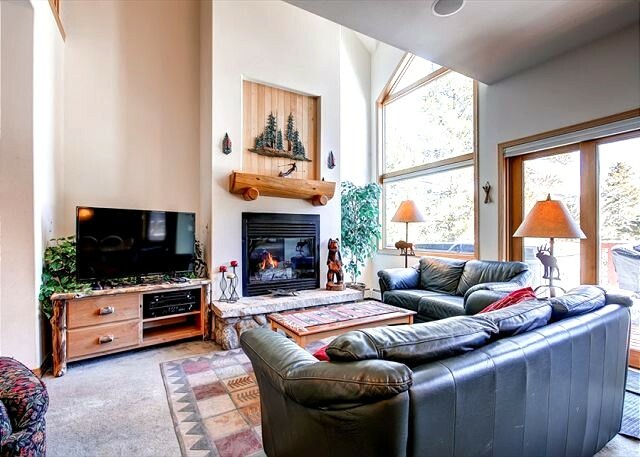 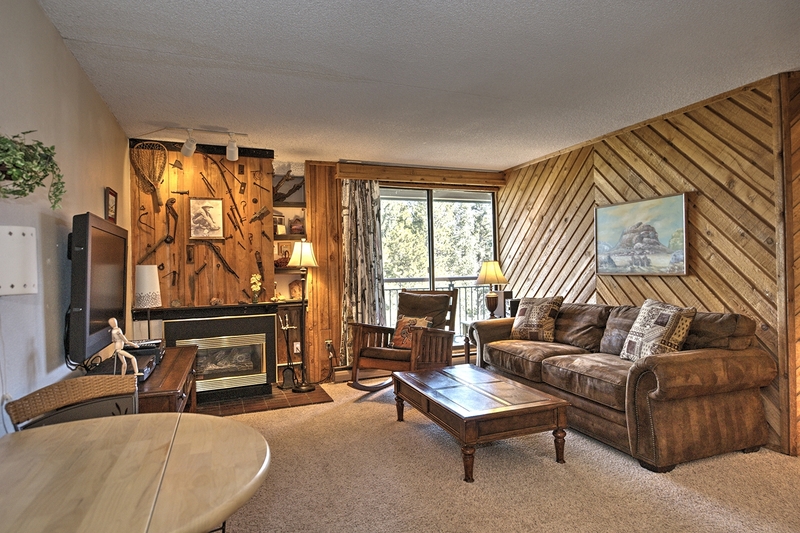 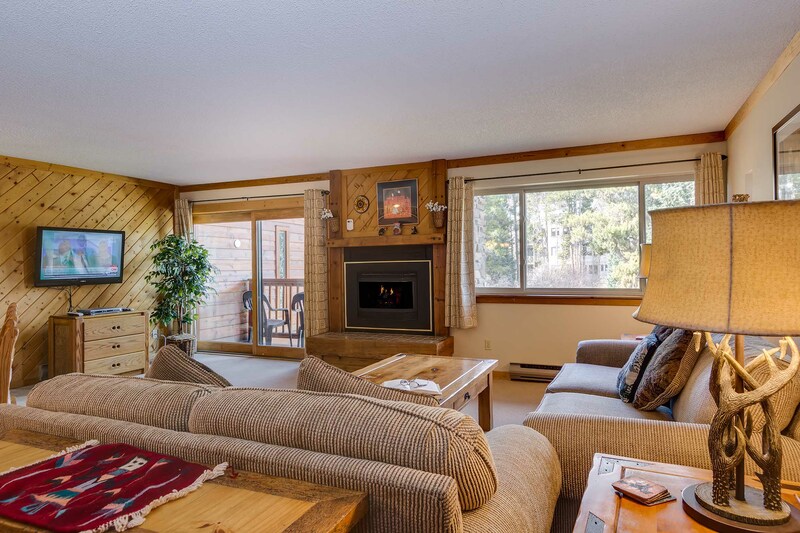 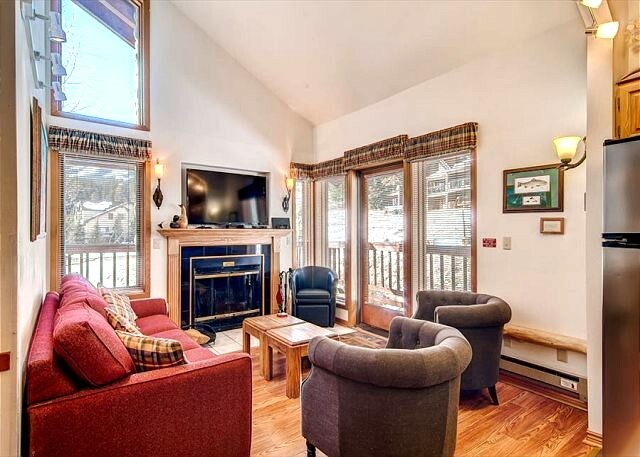 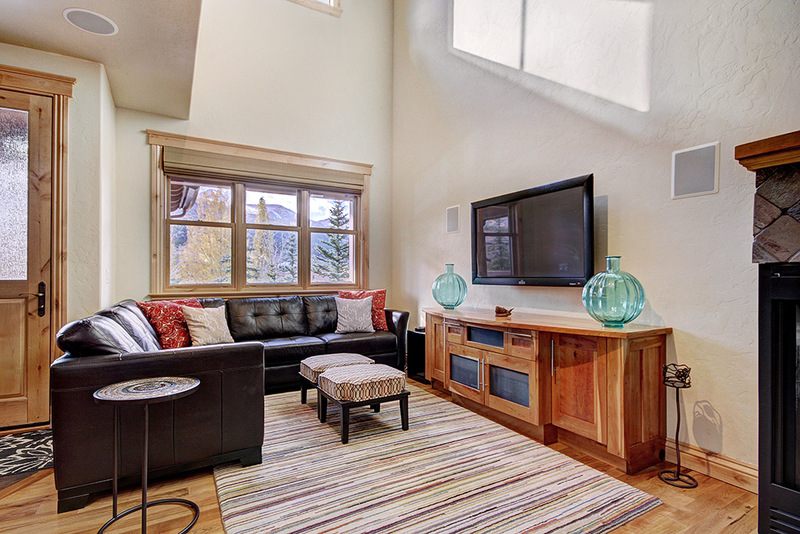 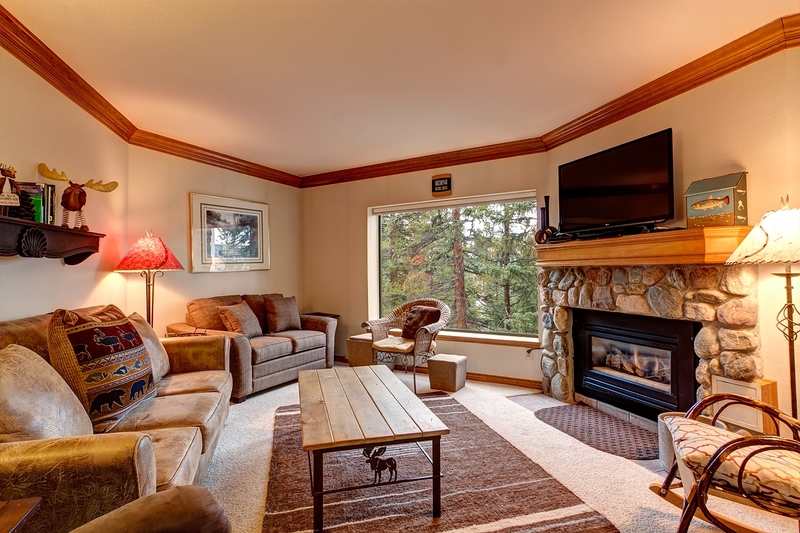 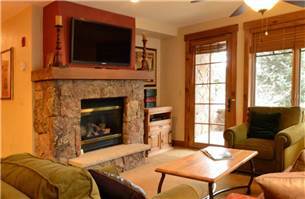 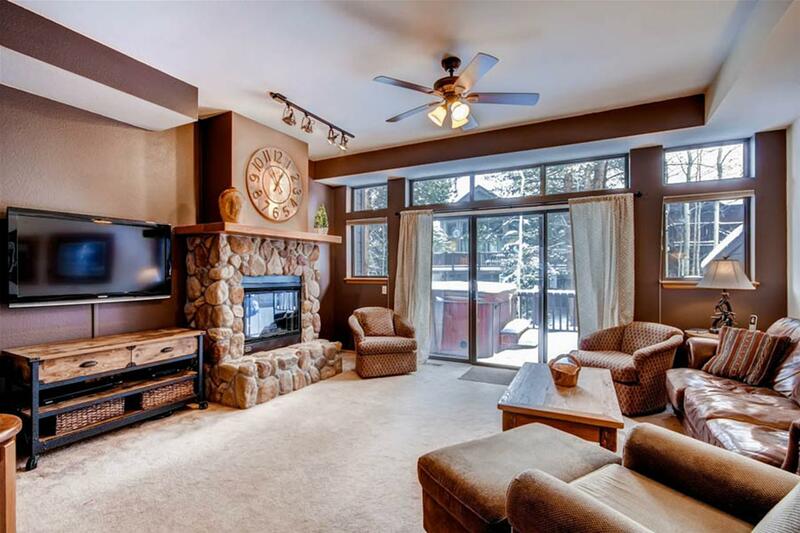 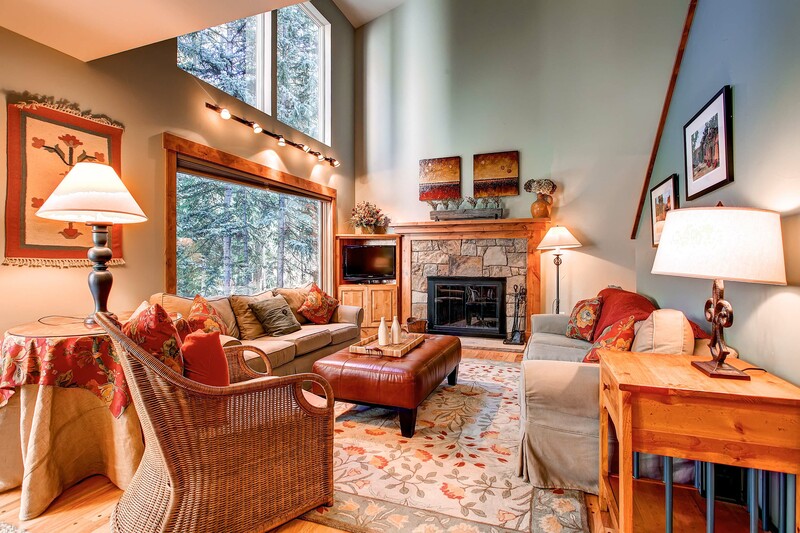 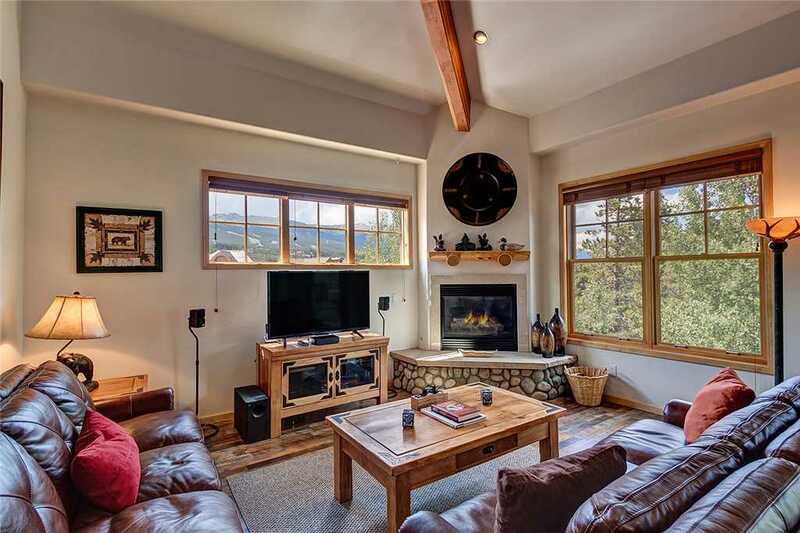 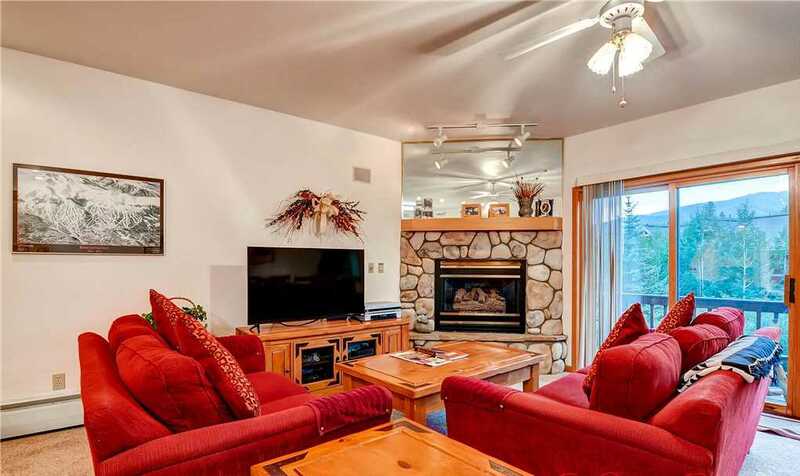 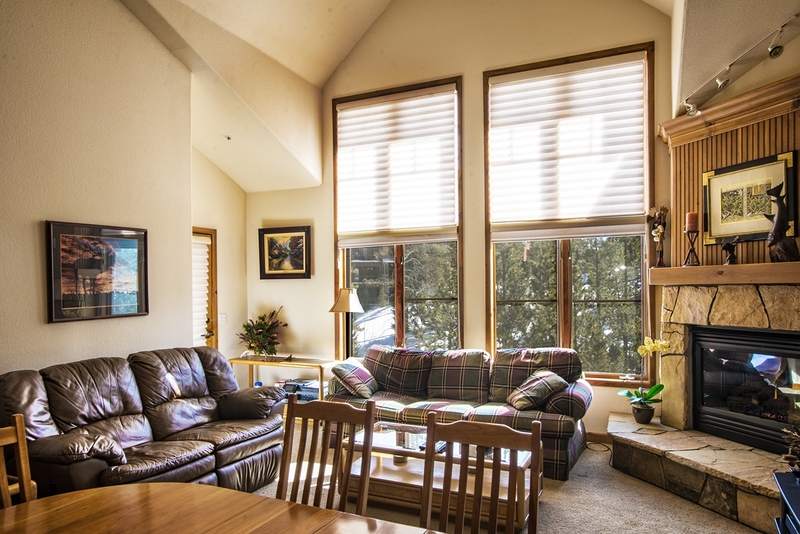 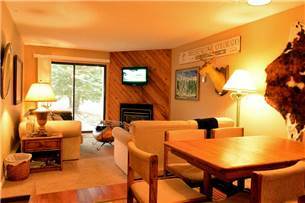 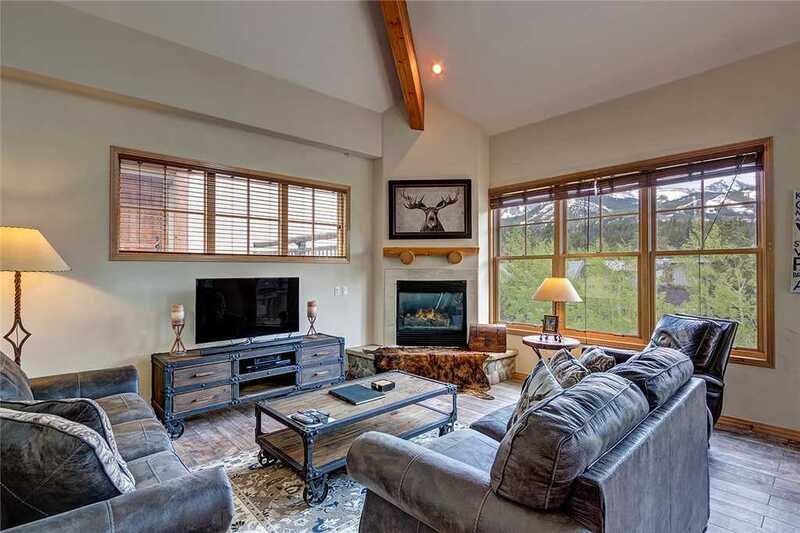 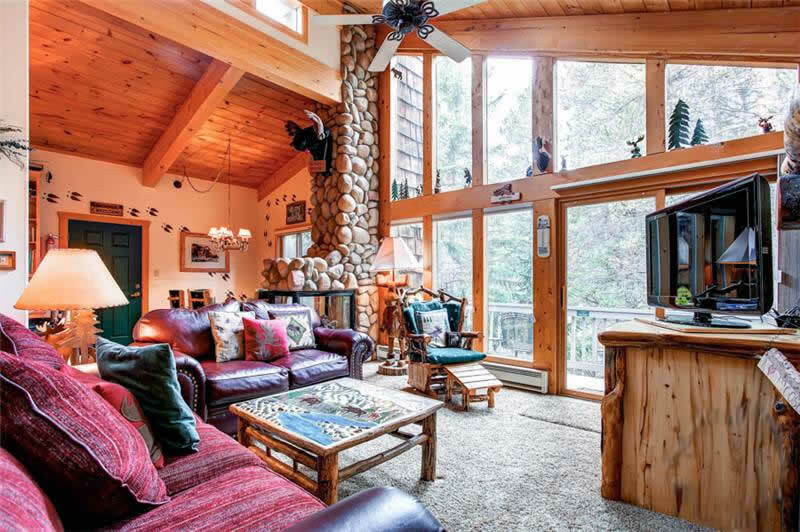 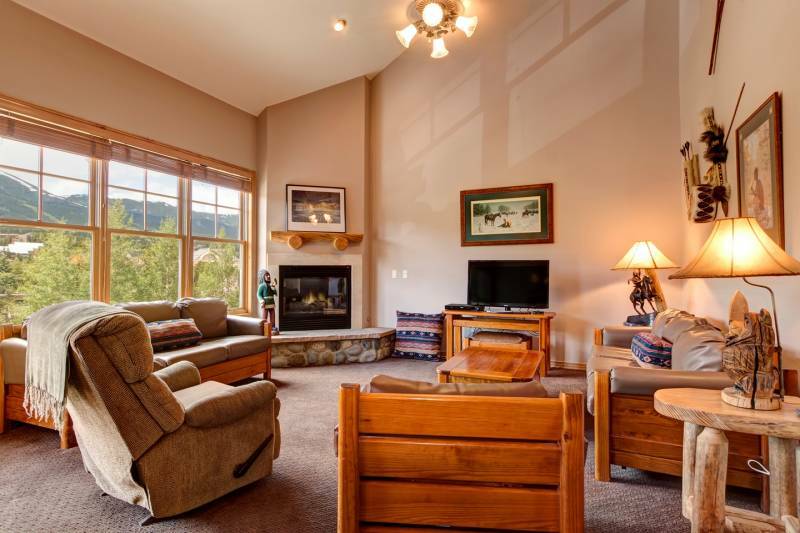 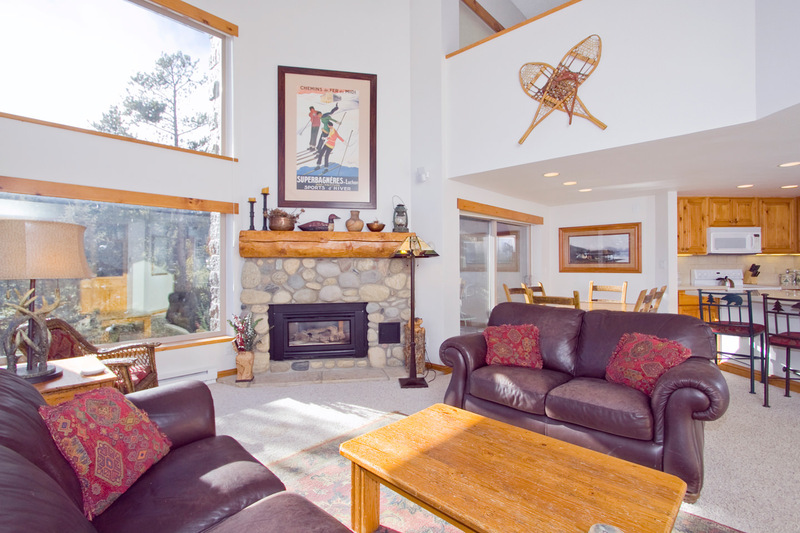 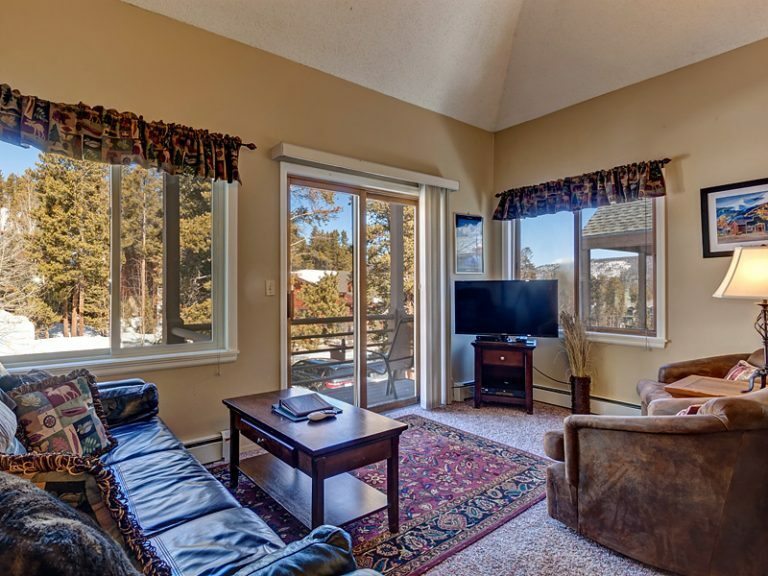 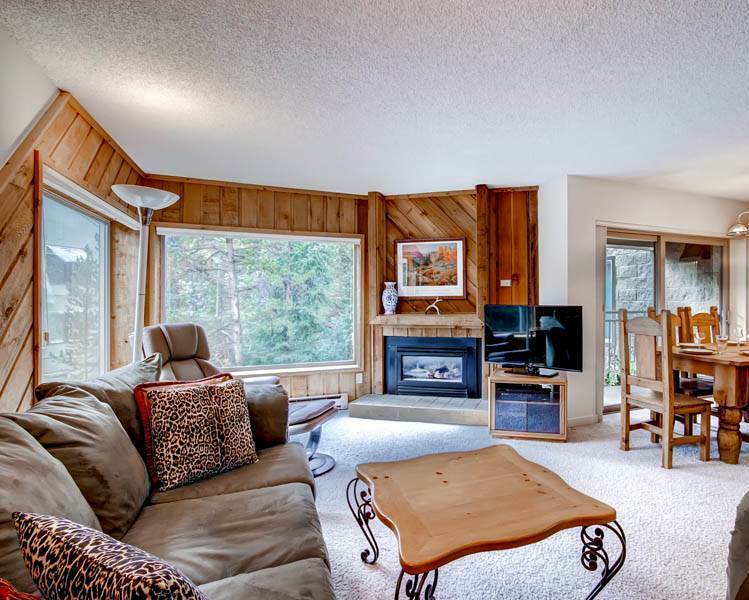 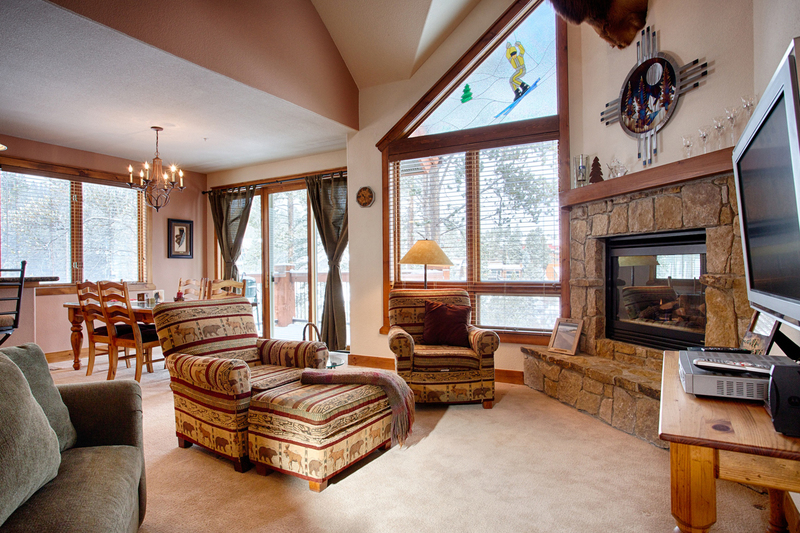 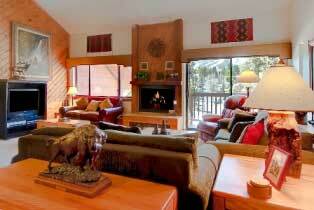 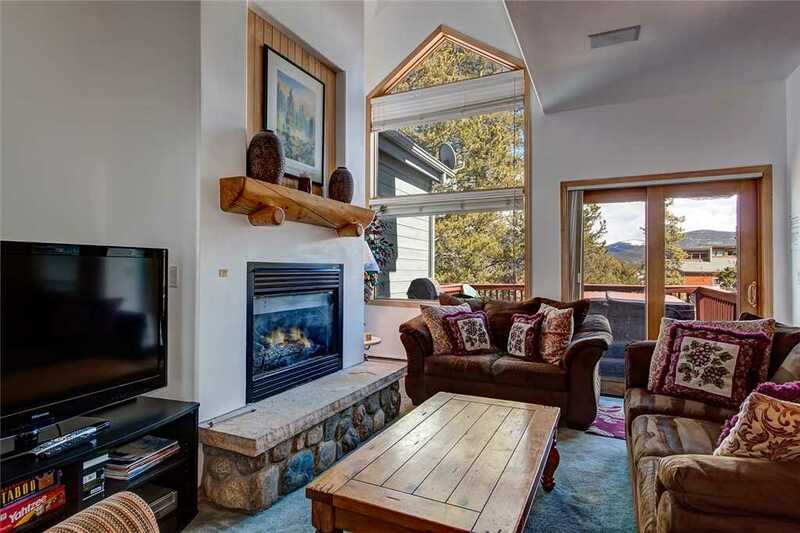 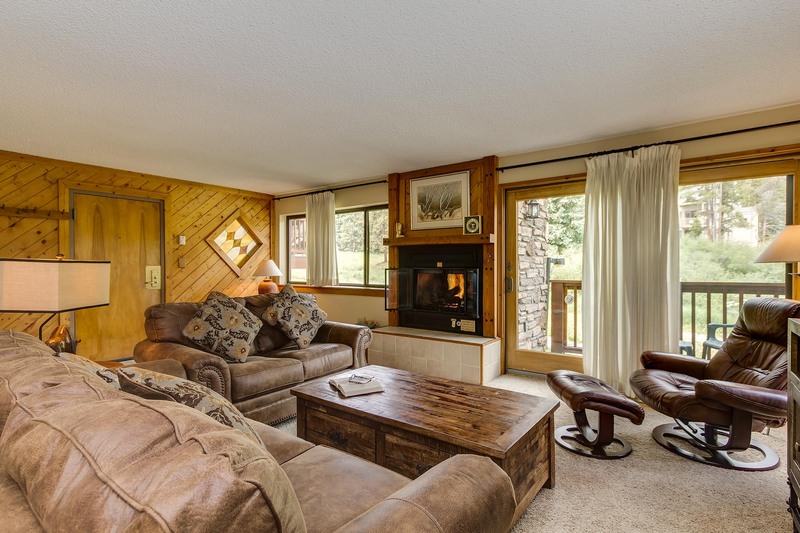 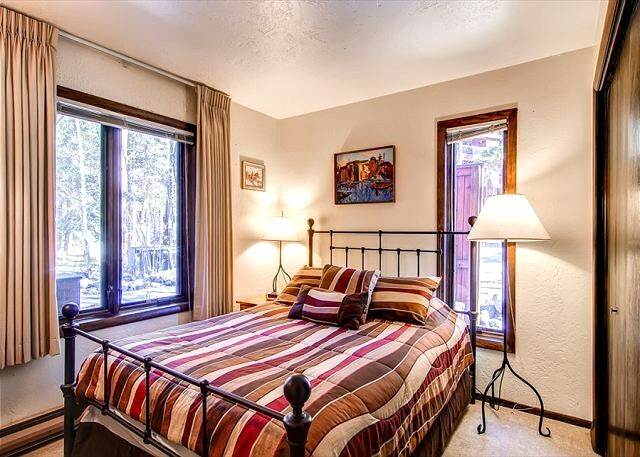 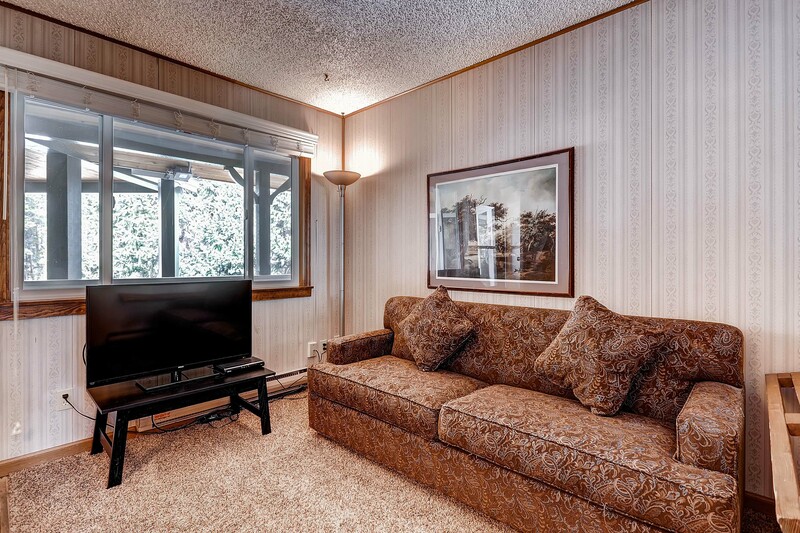 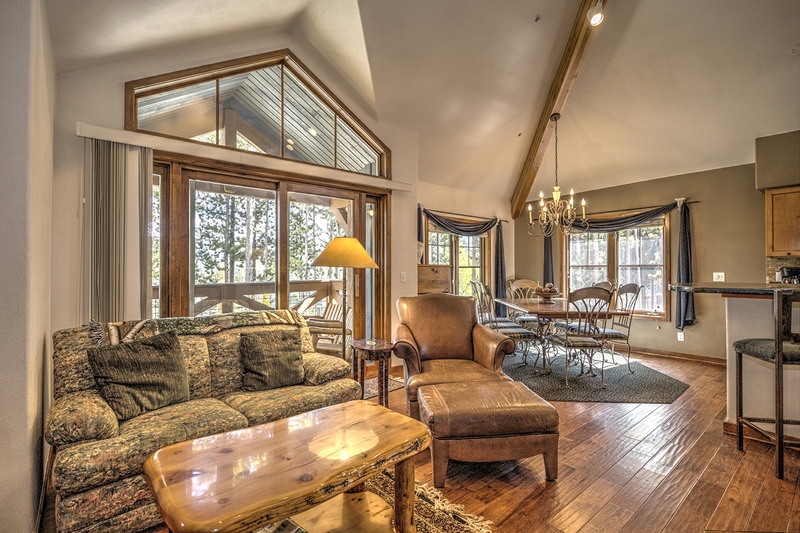 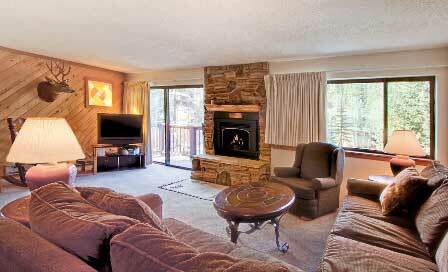 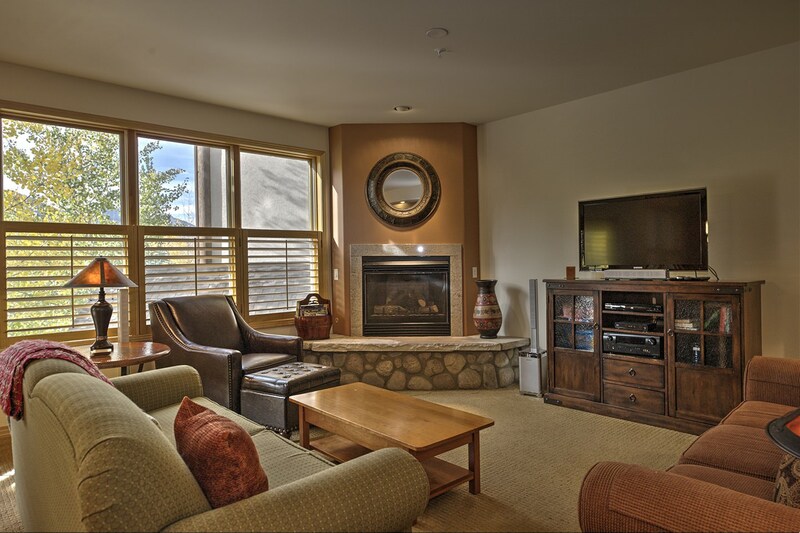 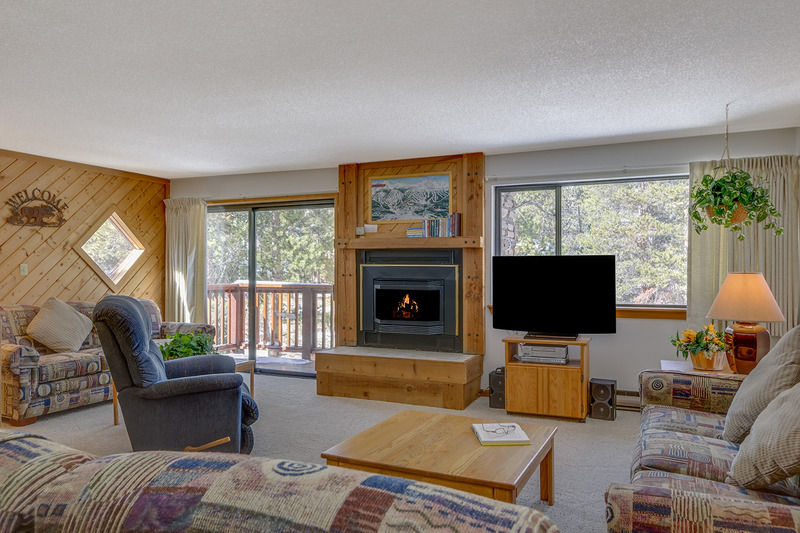 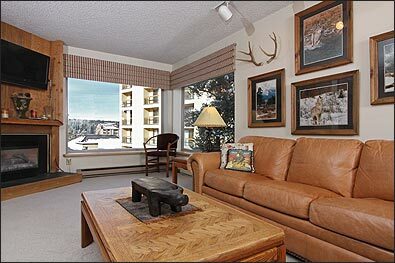 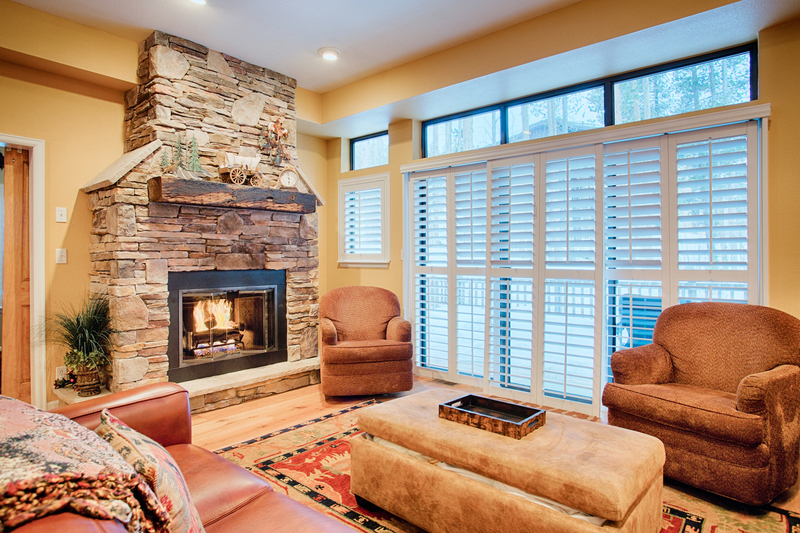 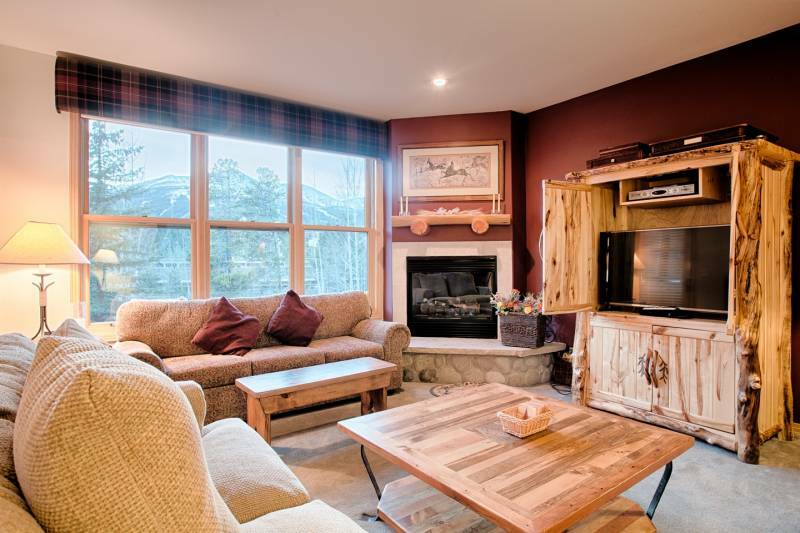 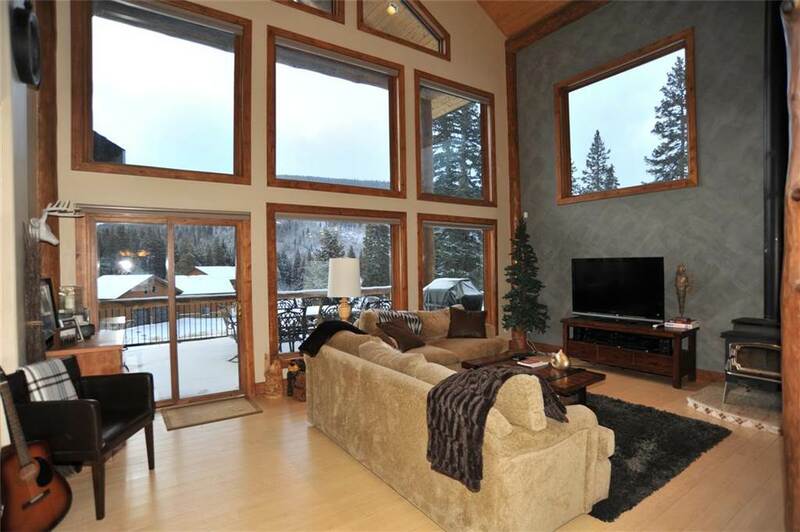 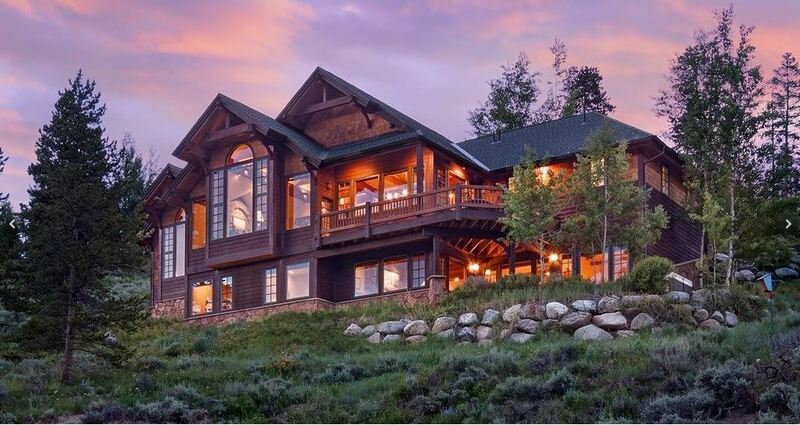 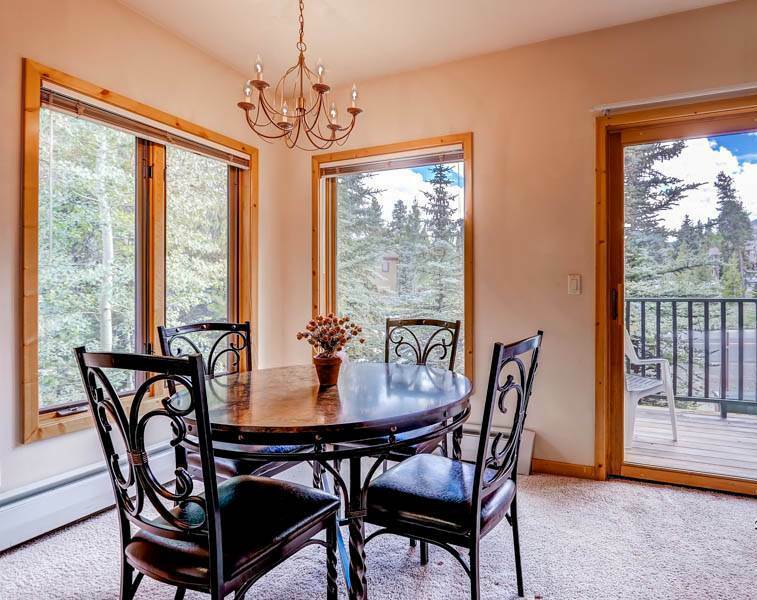 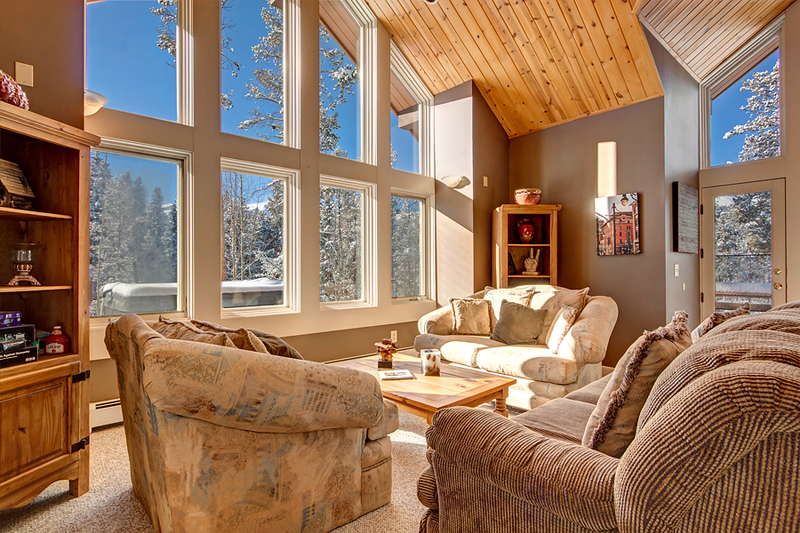 Windows on three sides of the unit allow sunlight and views of the mountains in all directions. 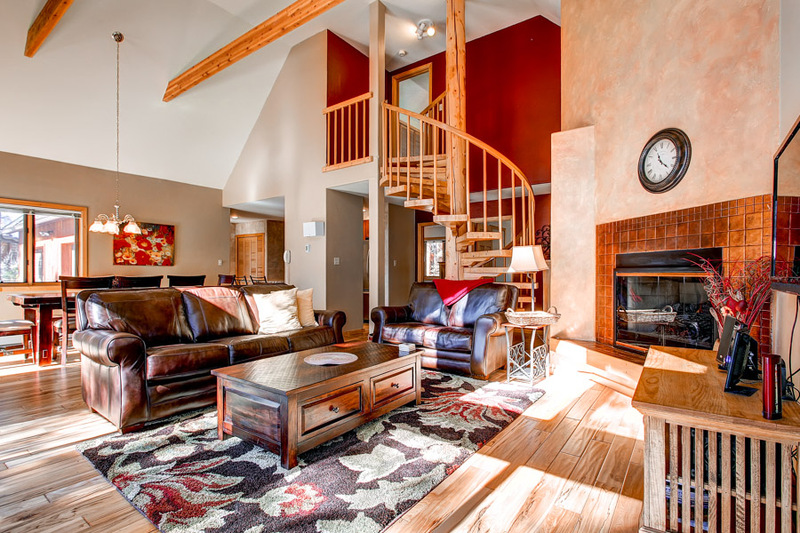 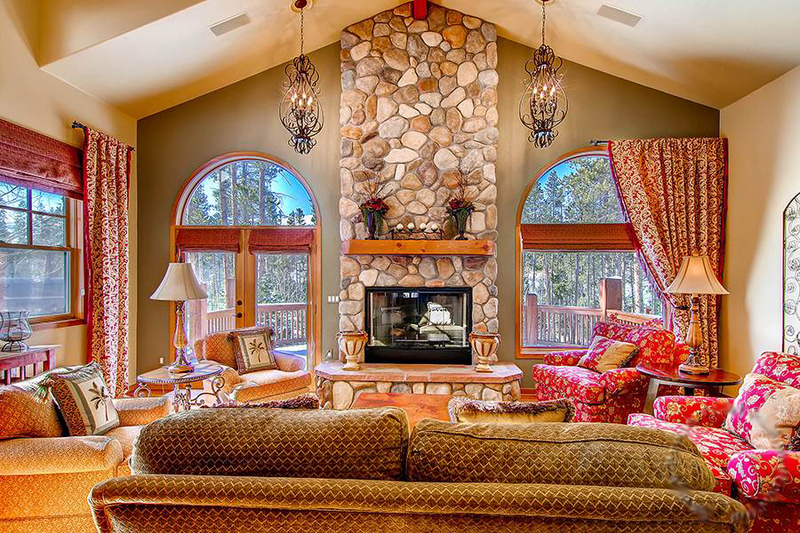 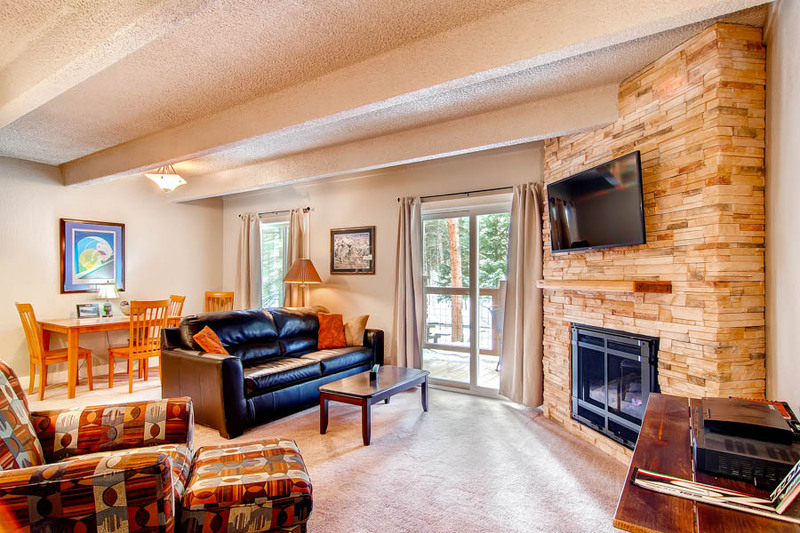 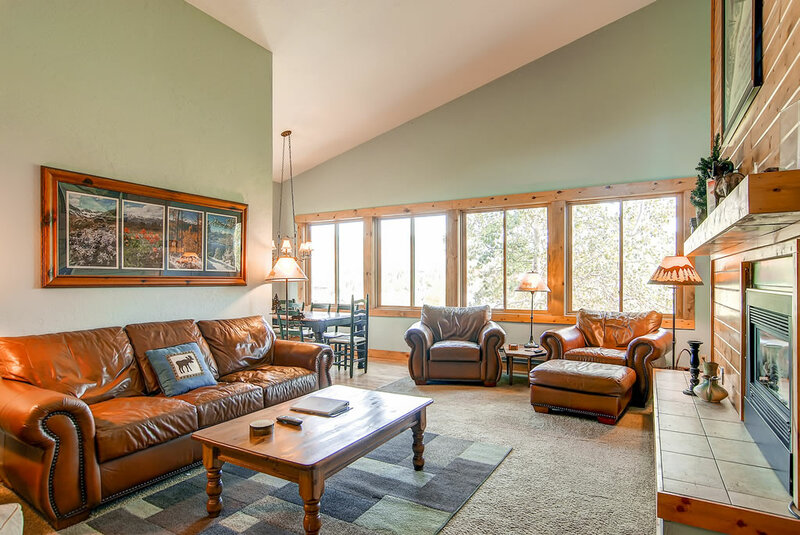 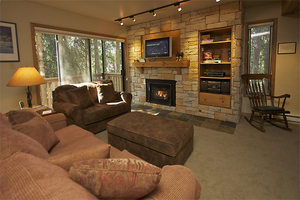 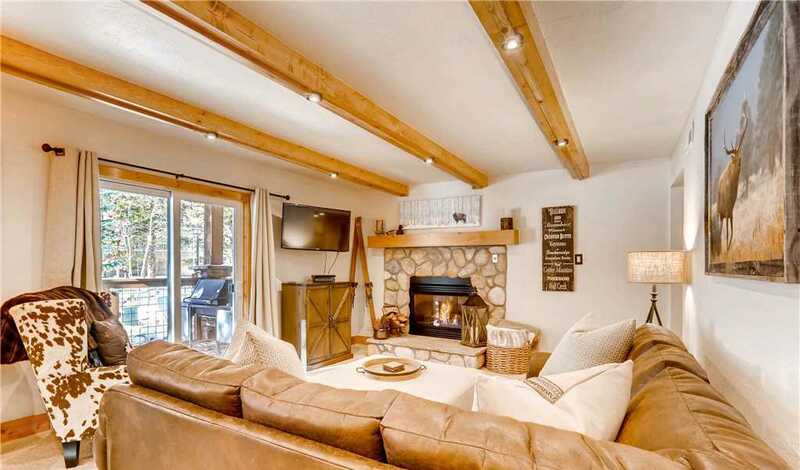 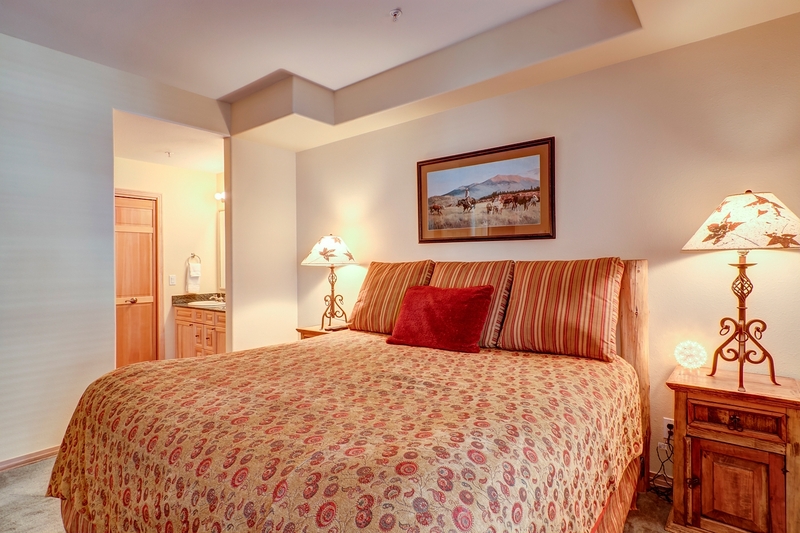 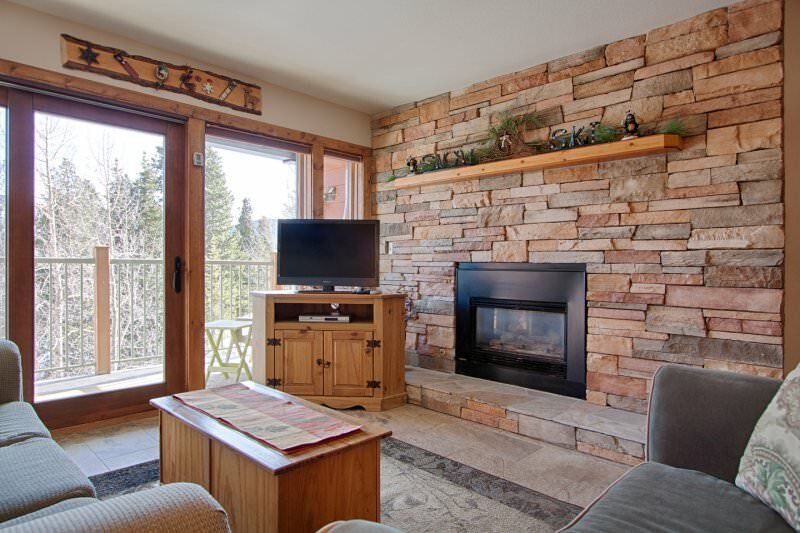 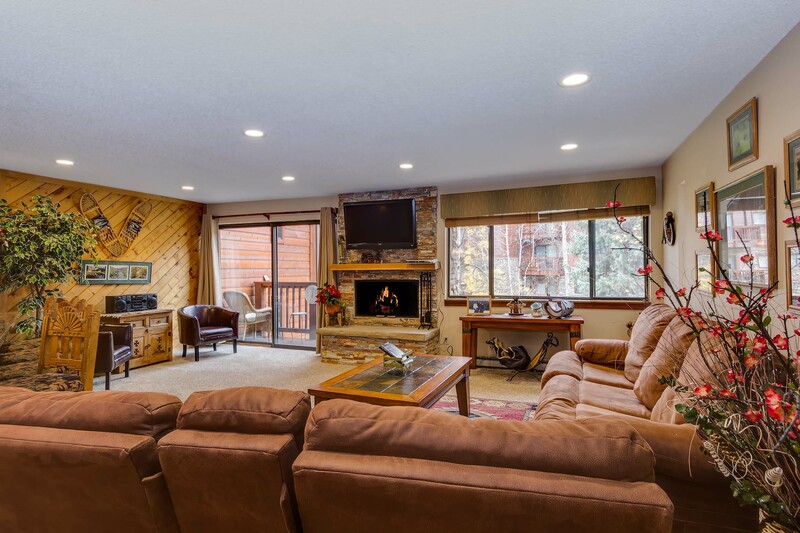 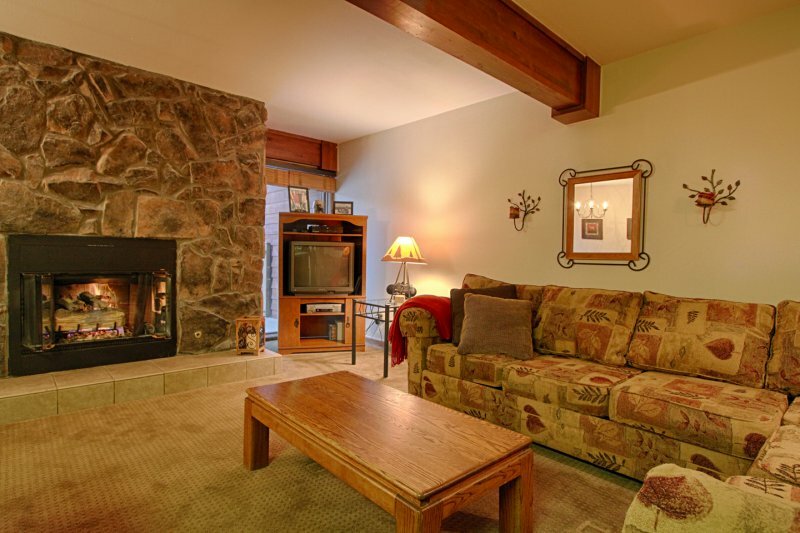 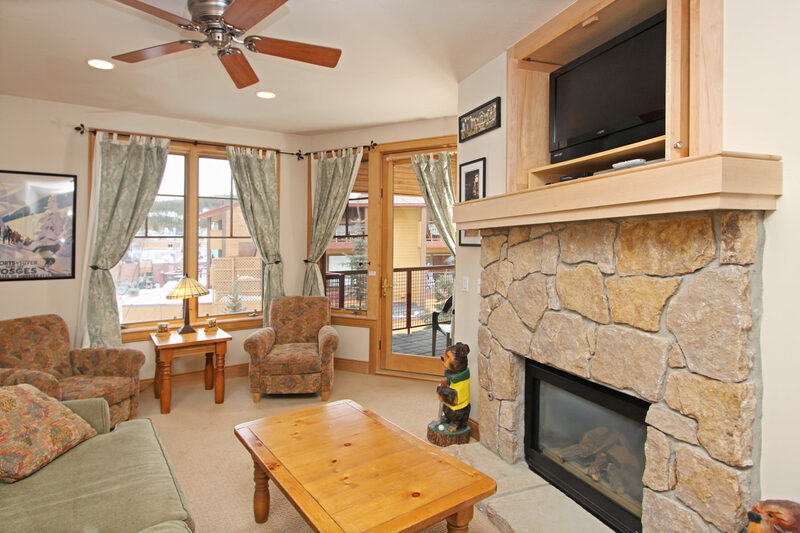 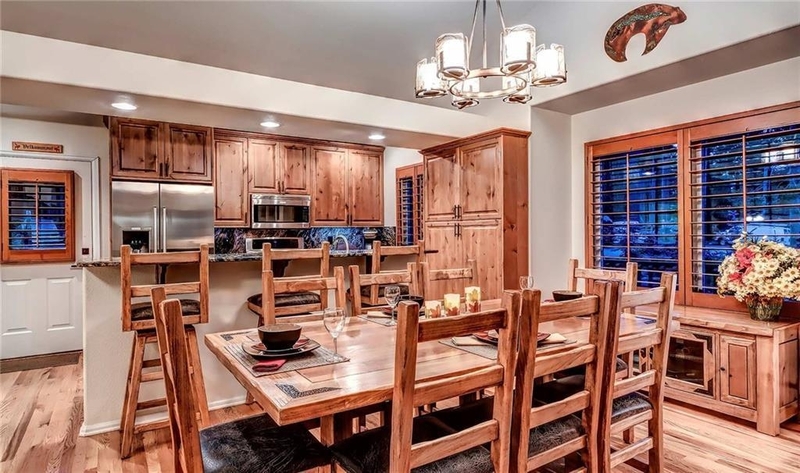 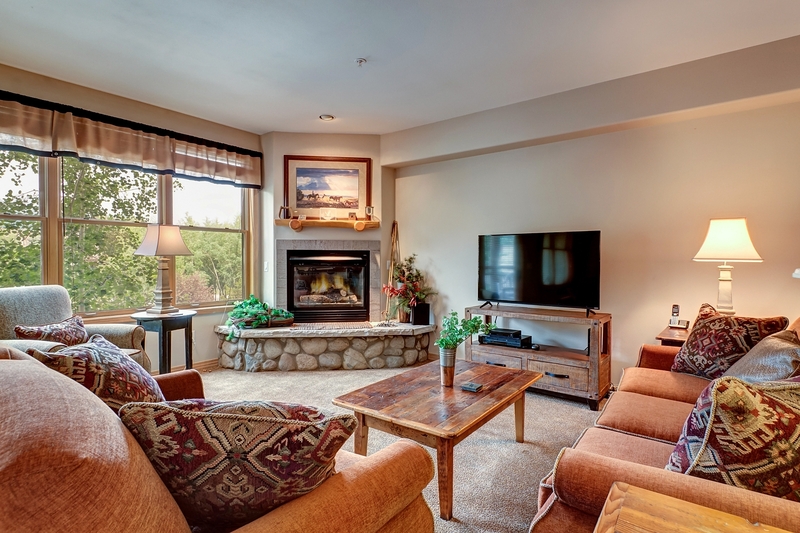 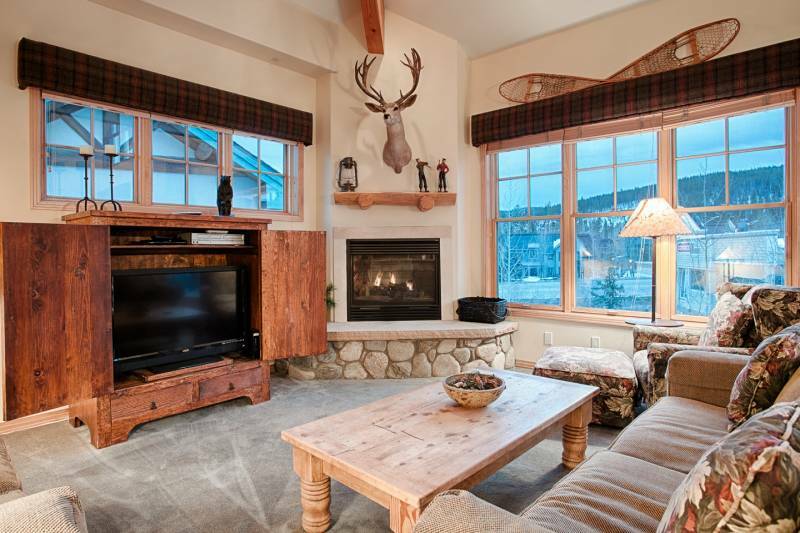 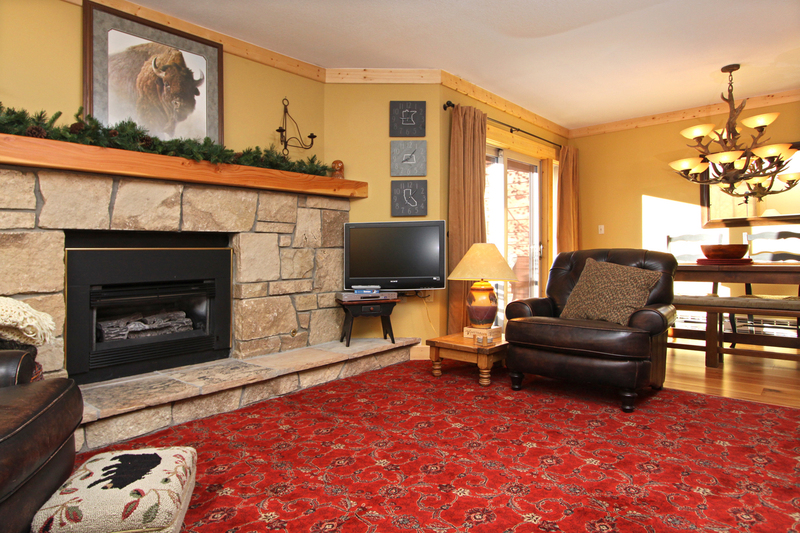 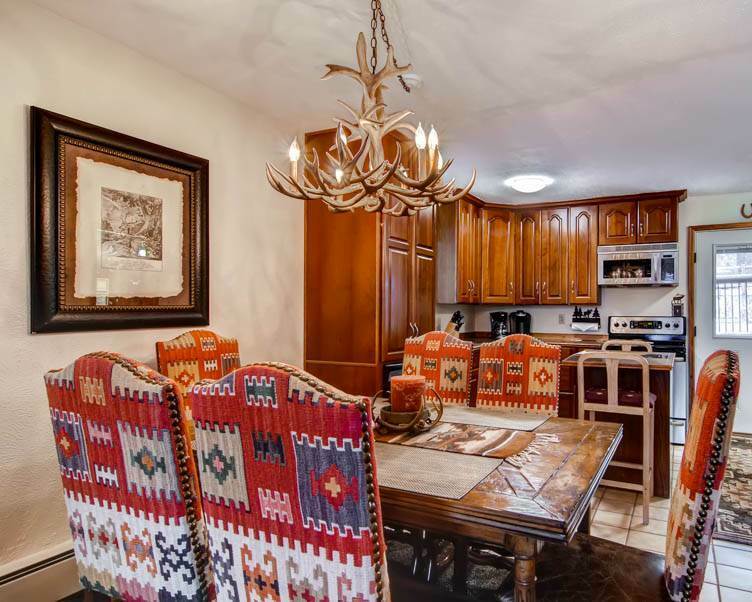 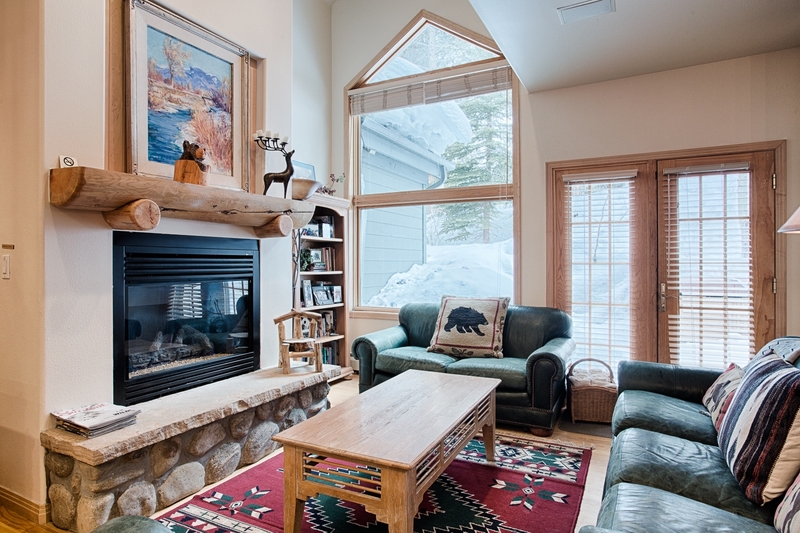 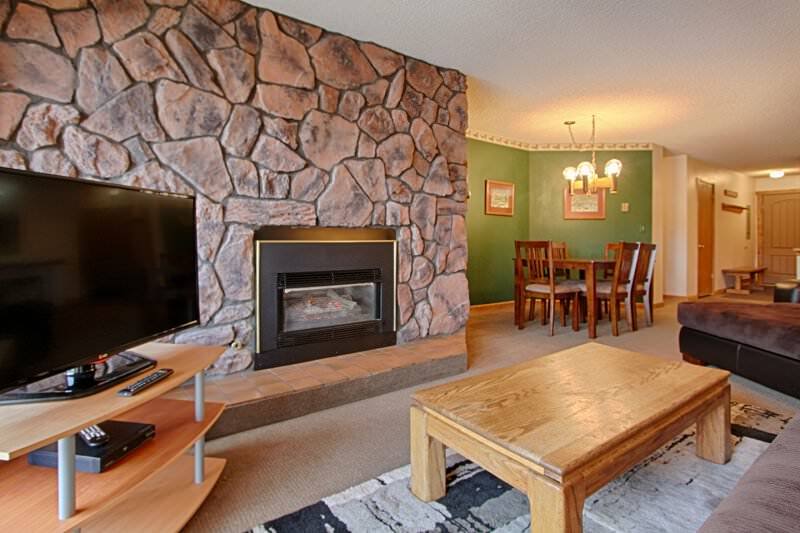 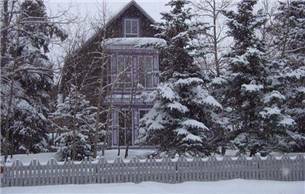 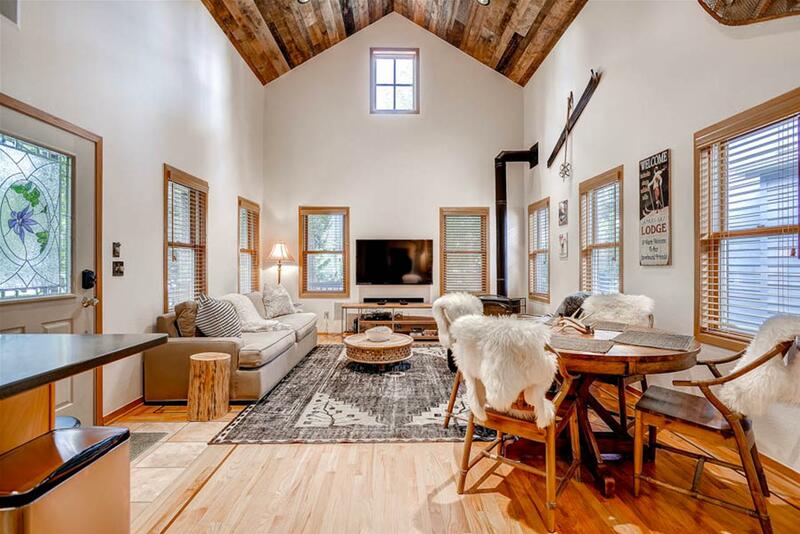 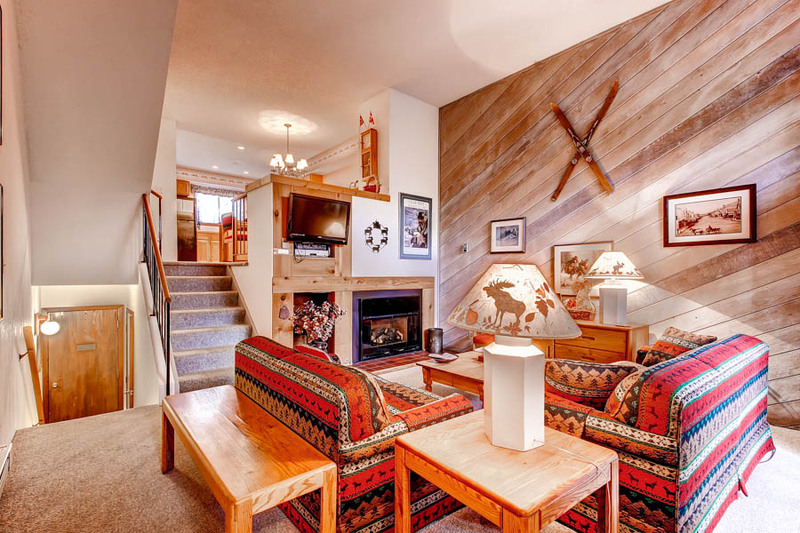 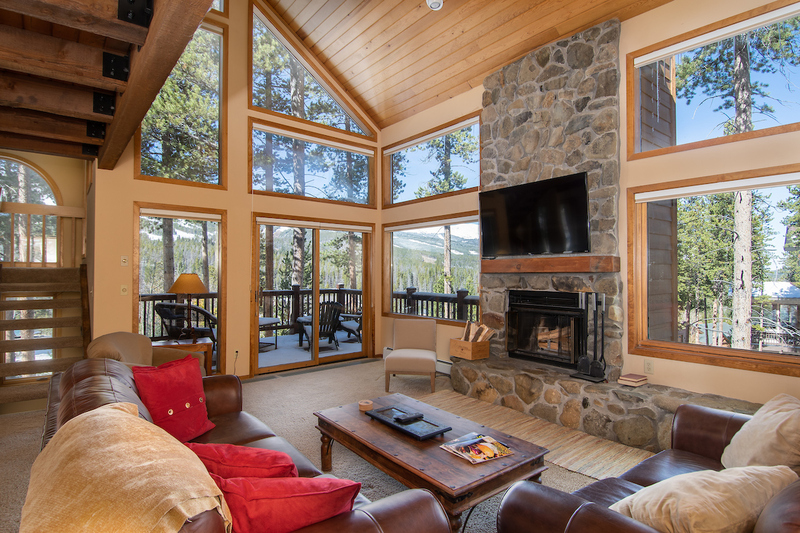 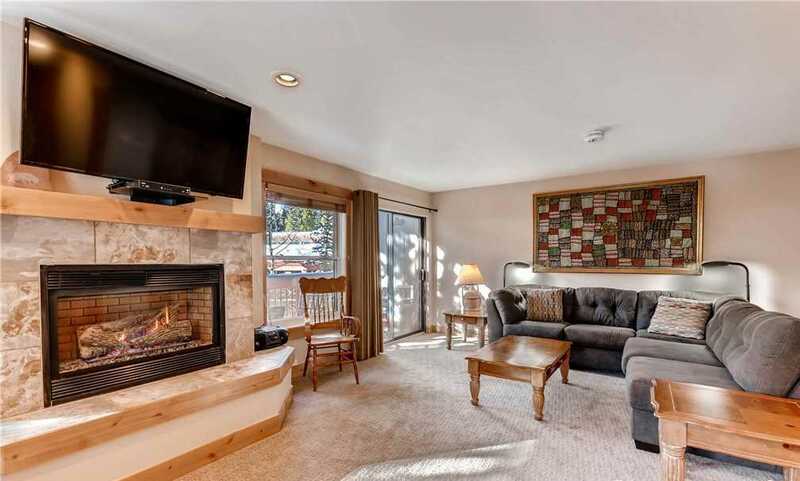 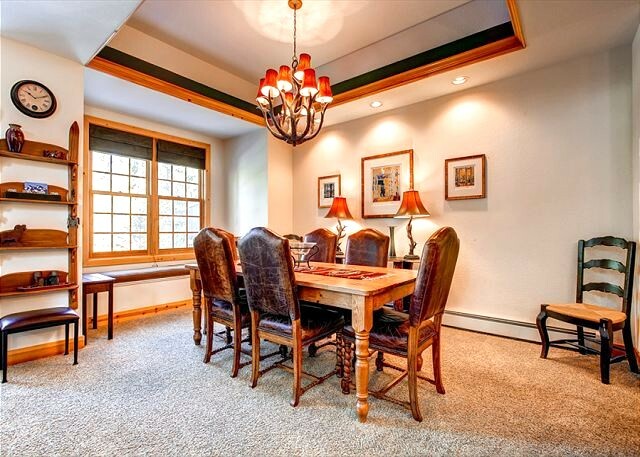 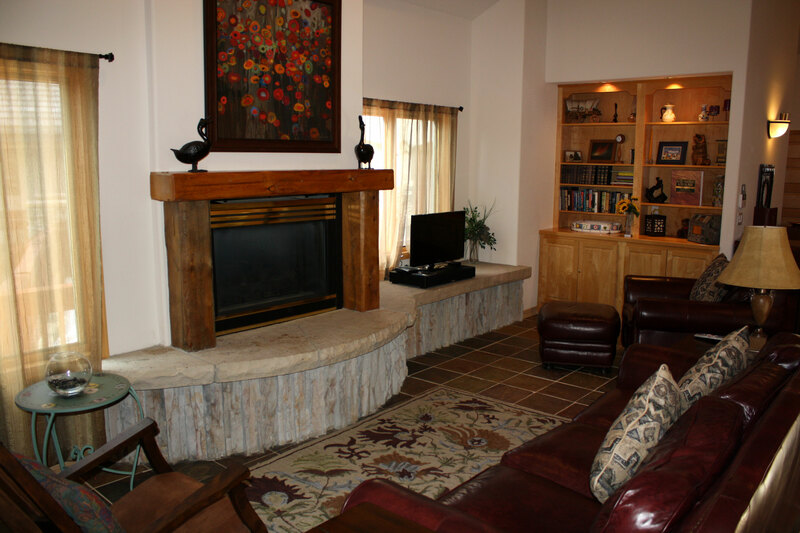 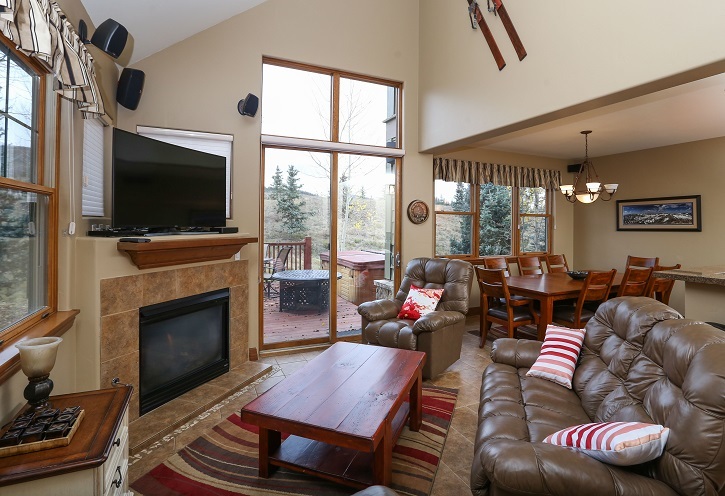 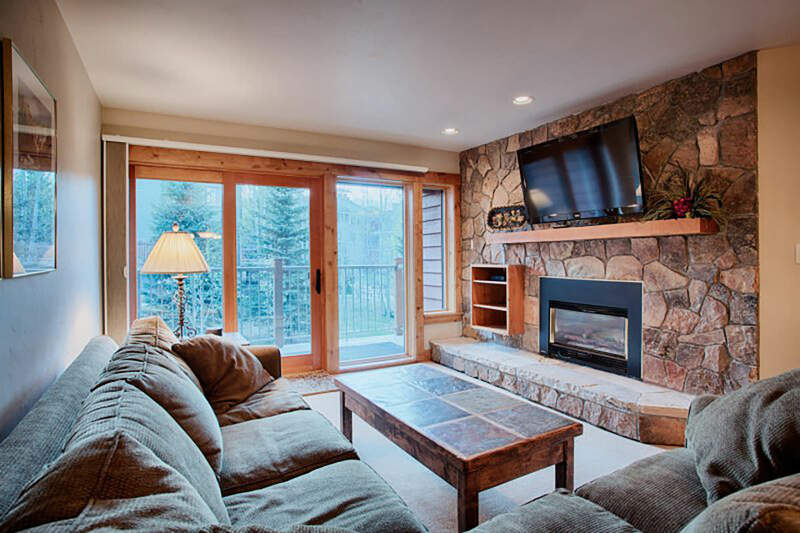 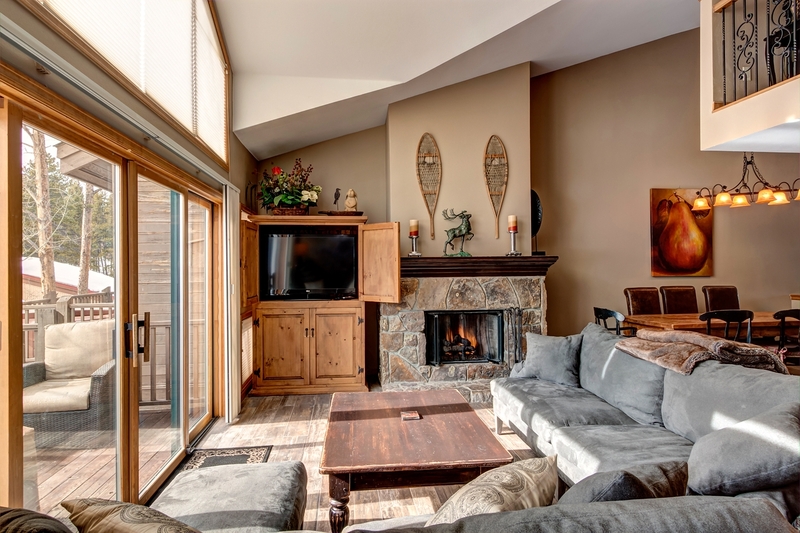 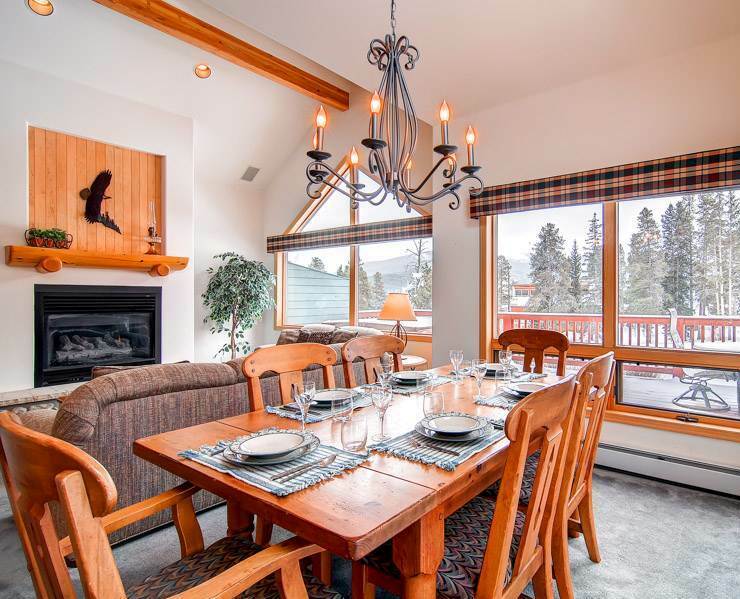 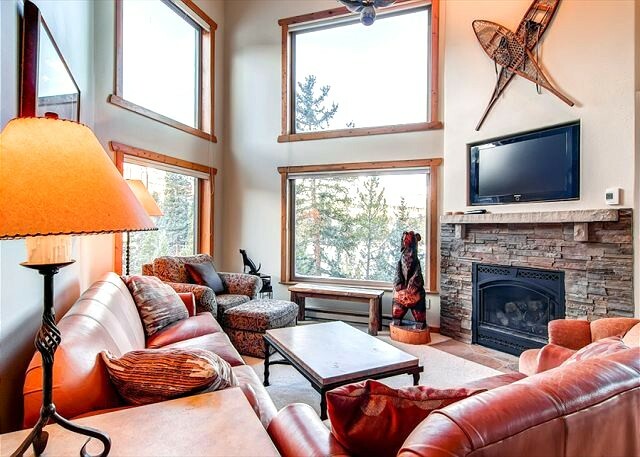 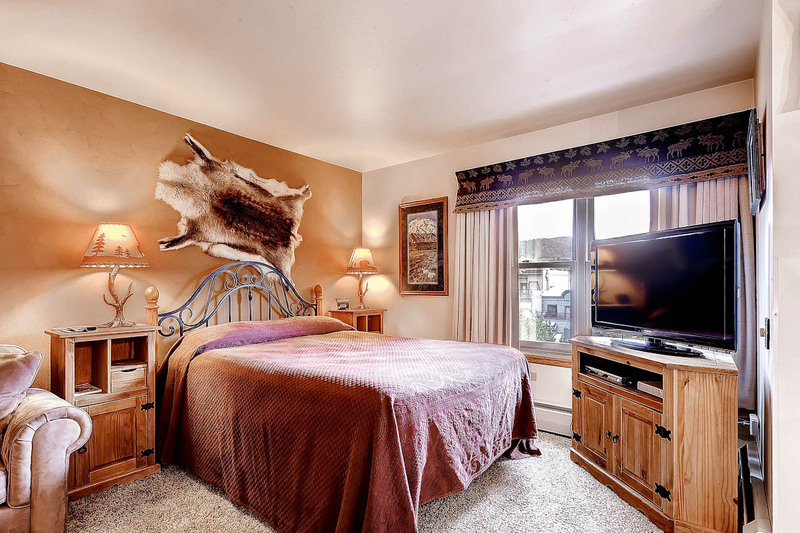 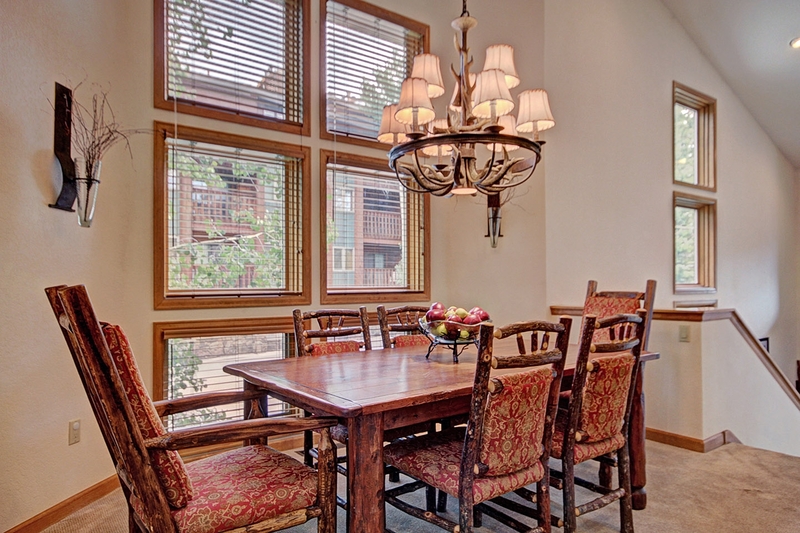 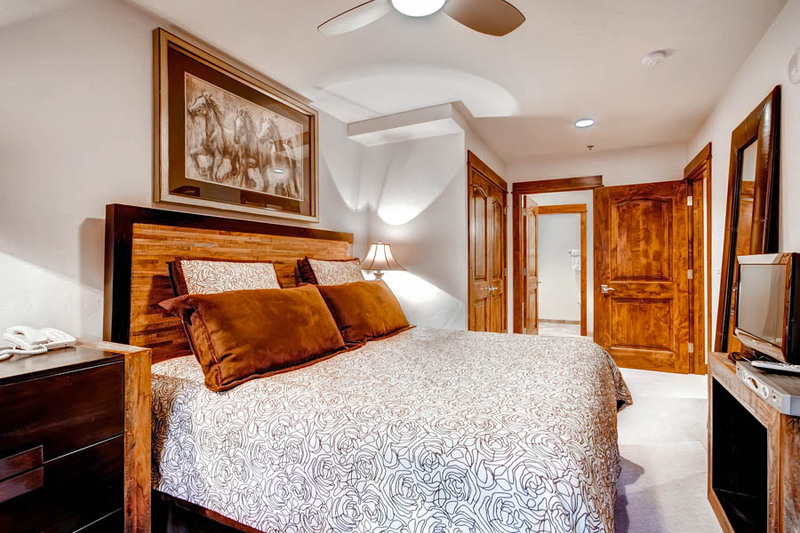 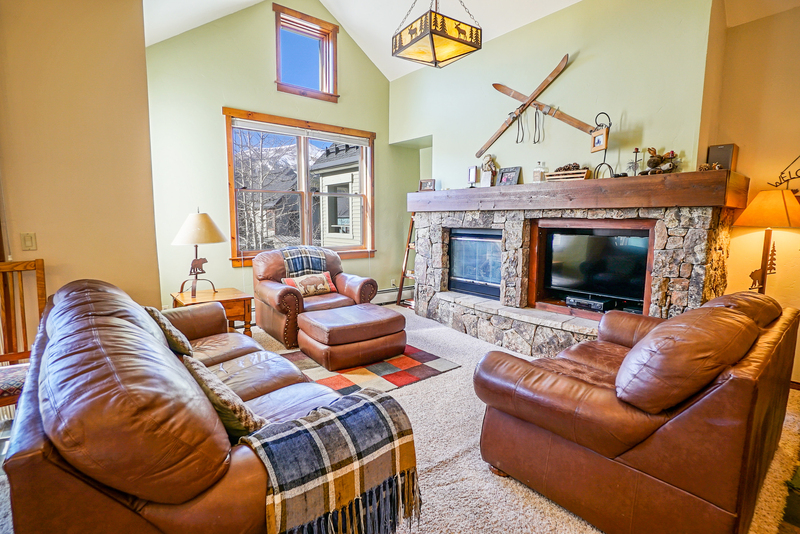 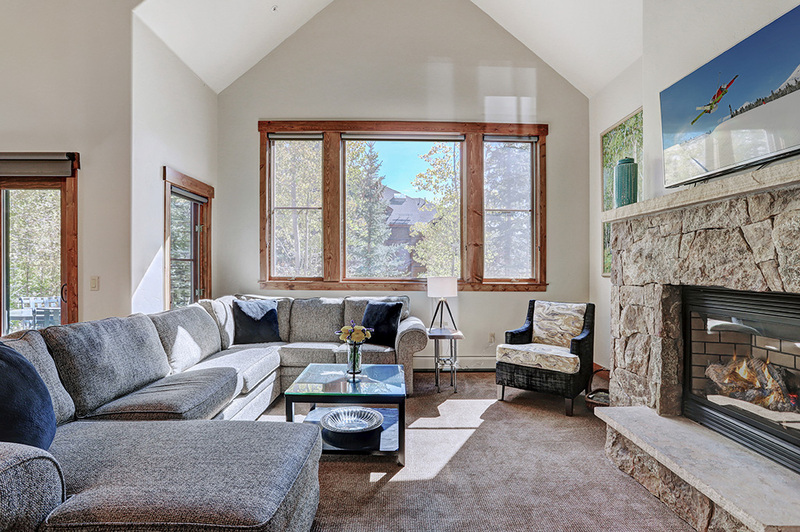 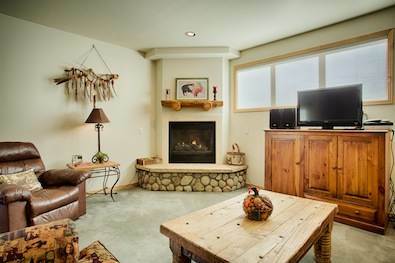 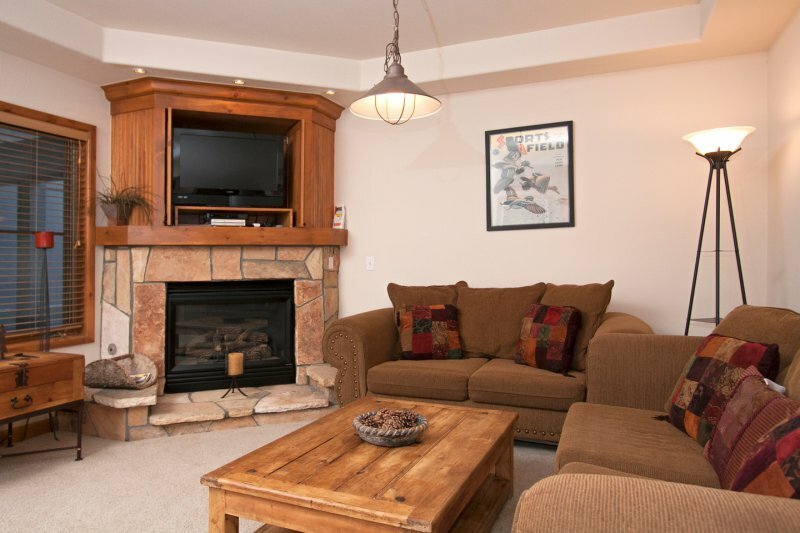 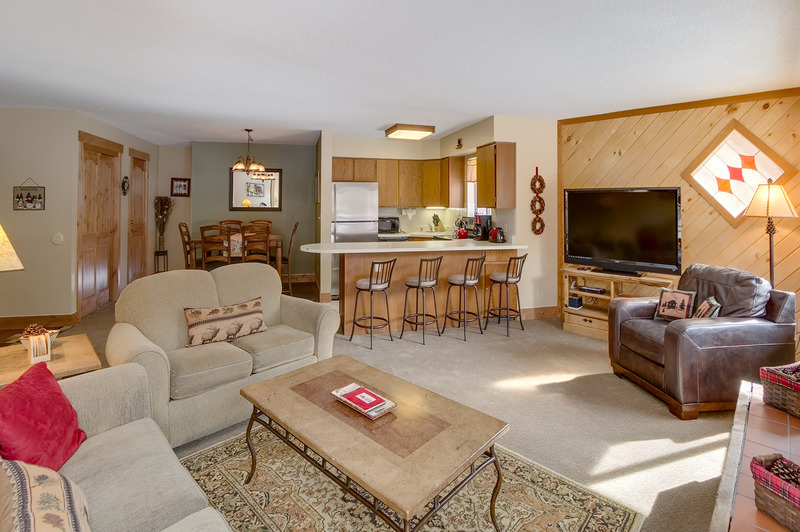 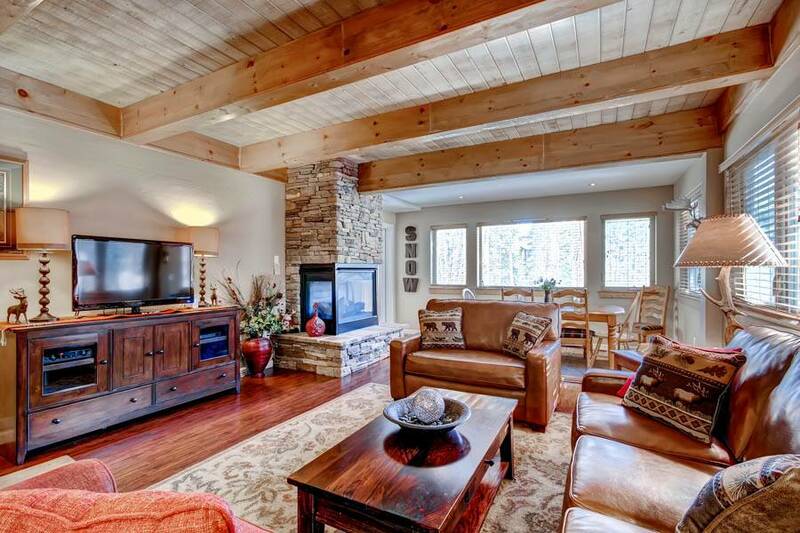 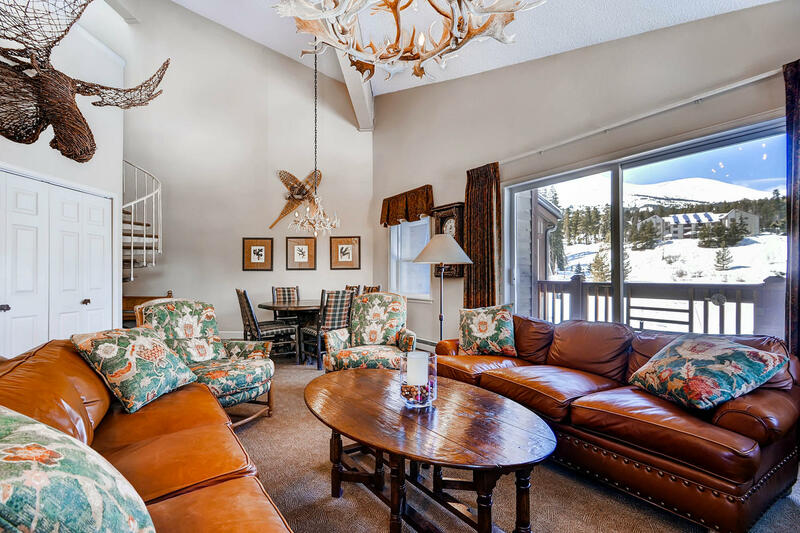 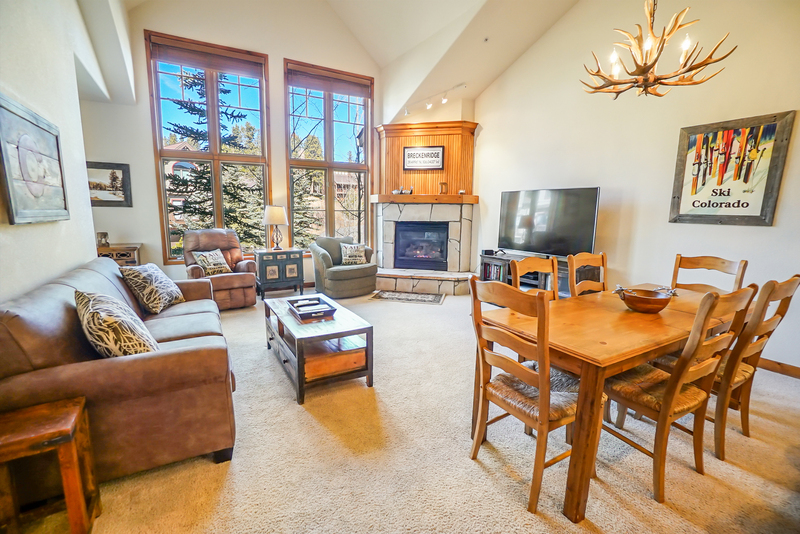 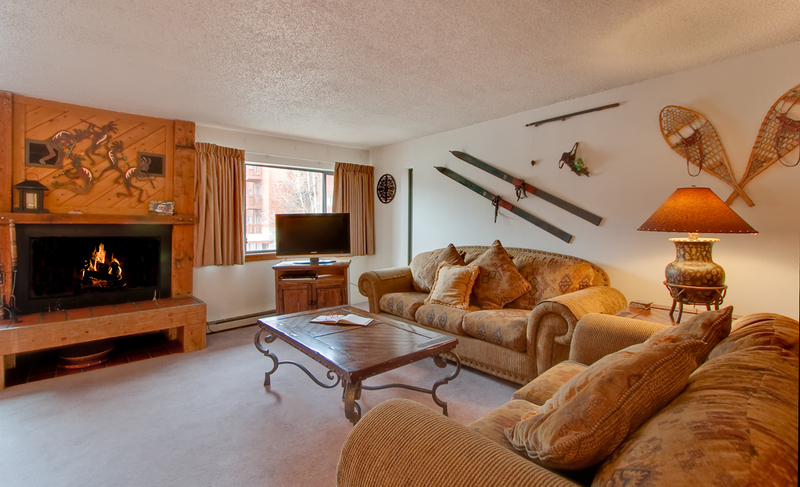 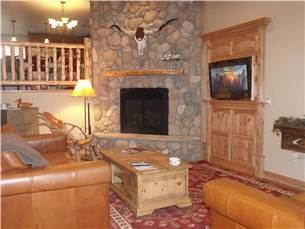 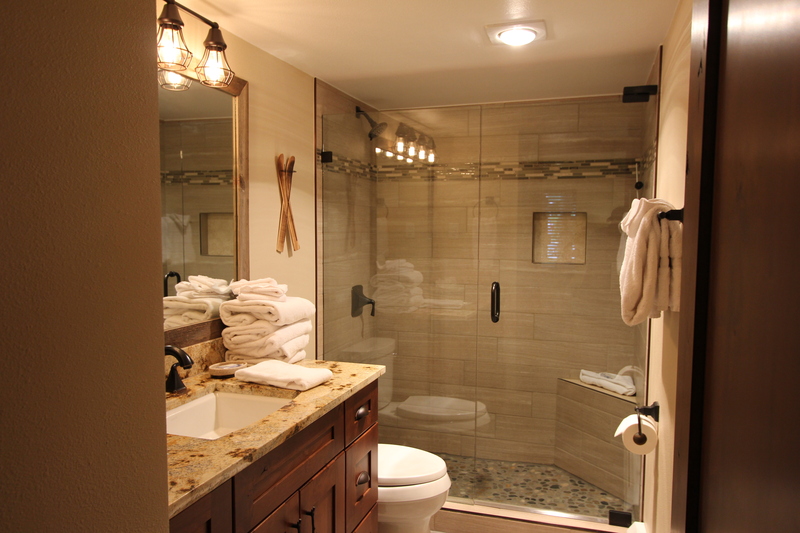 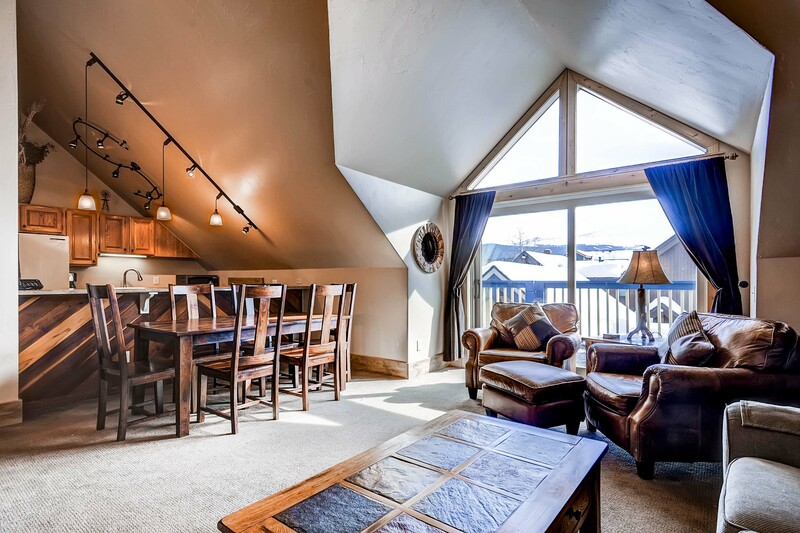 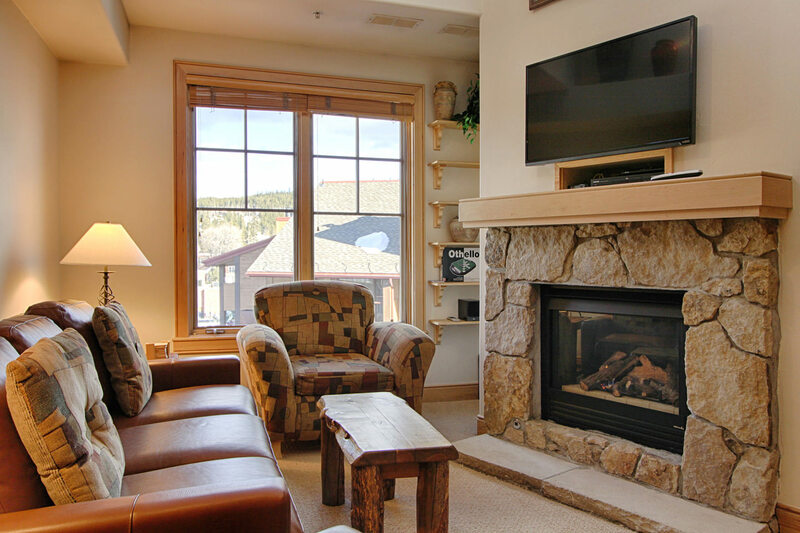 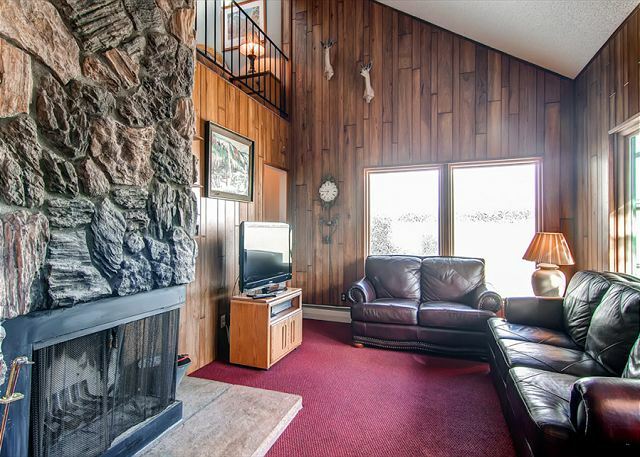 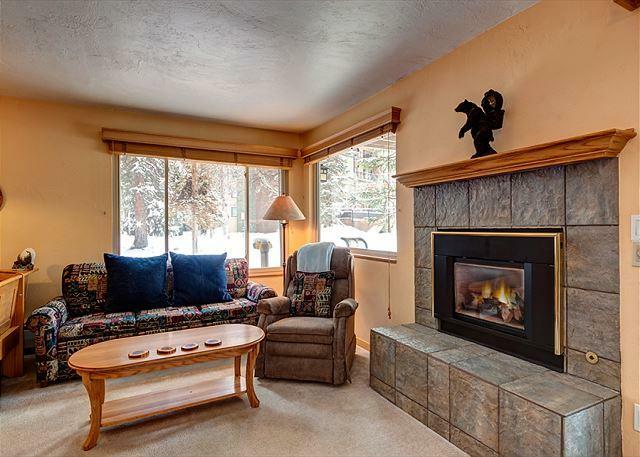 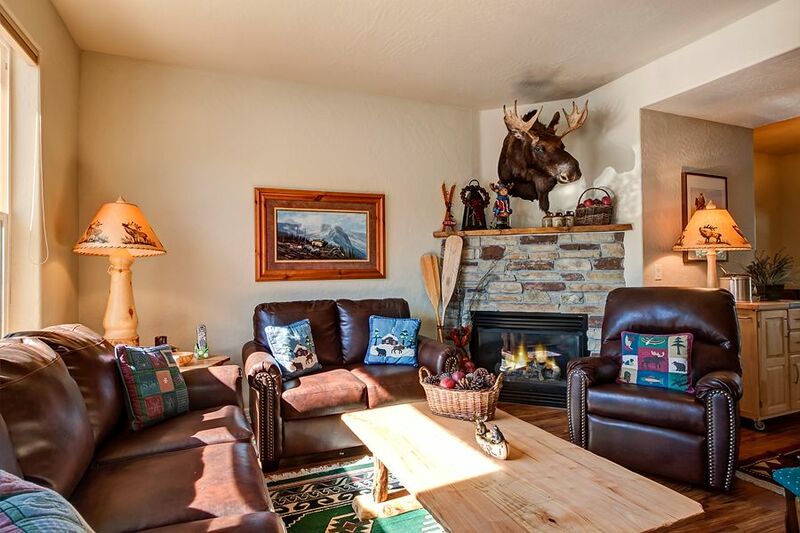 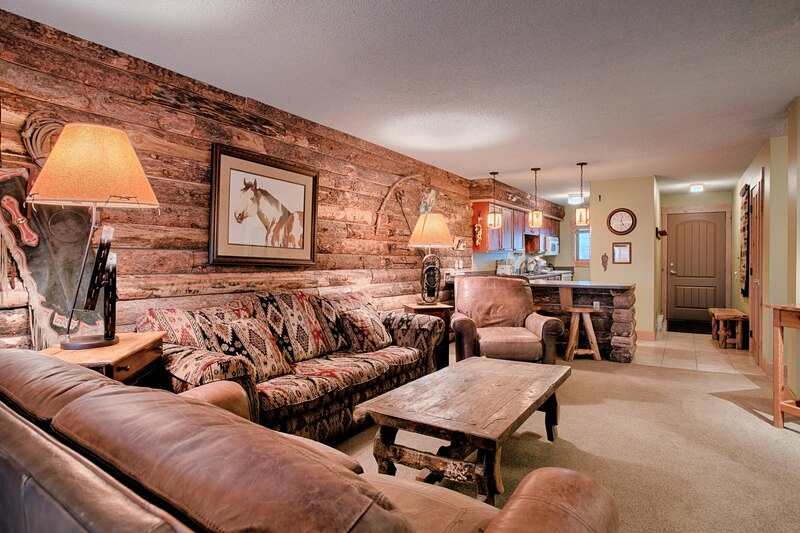 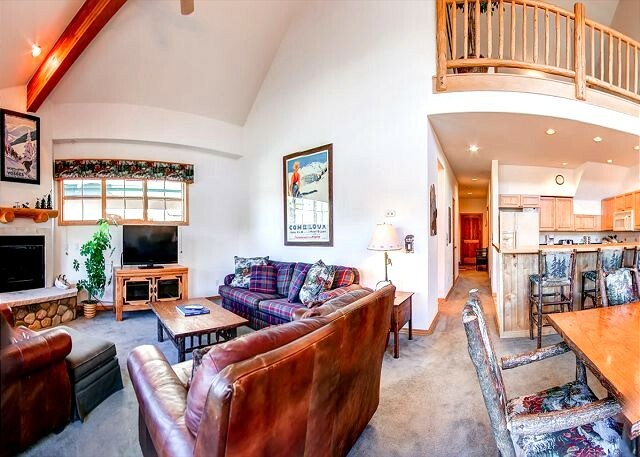 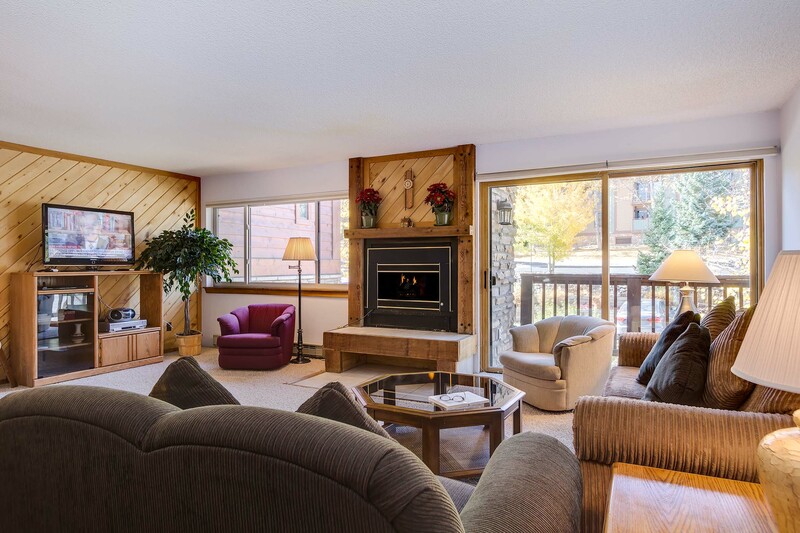 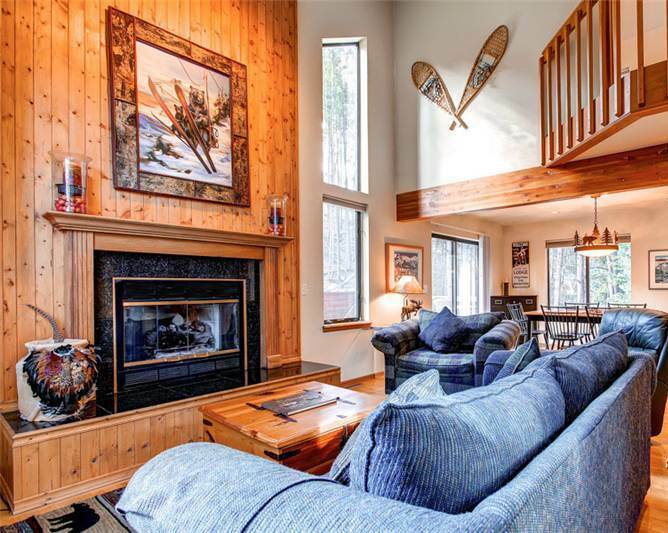 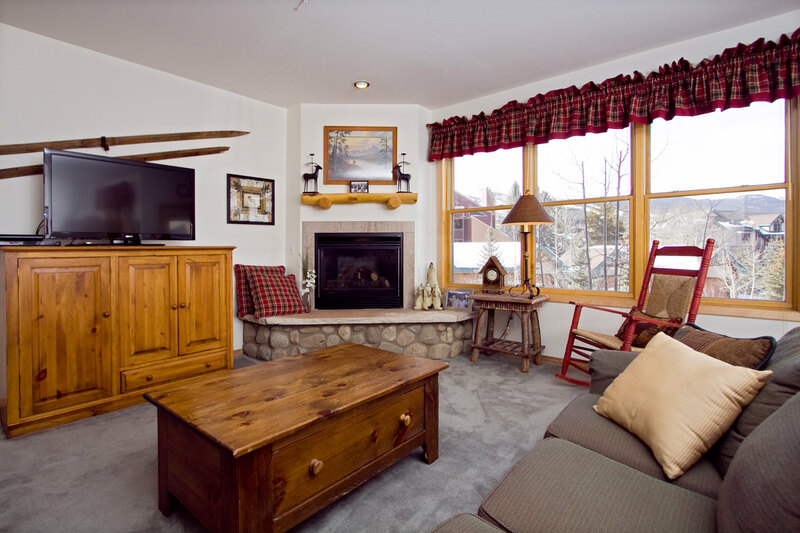 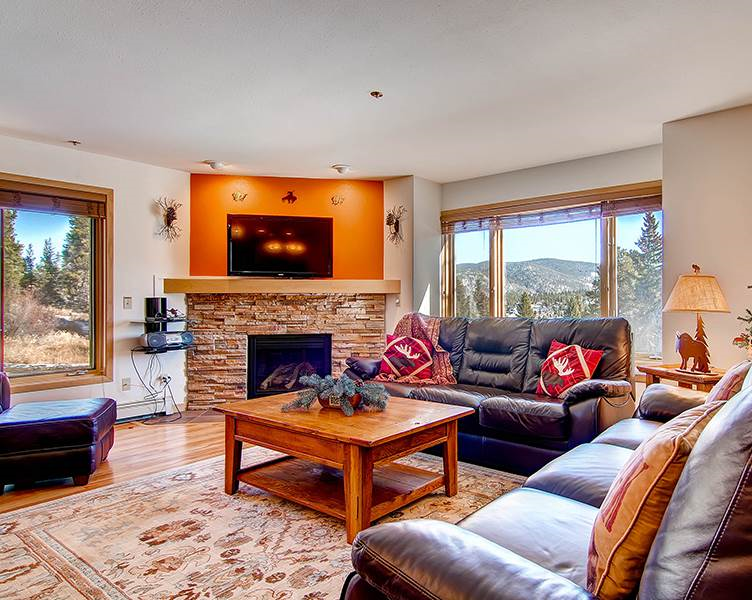 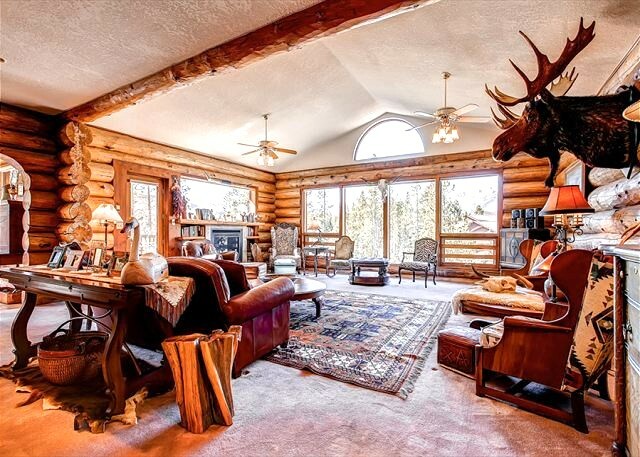 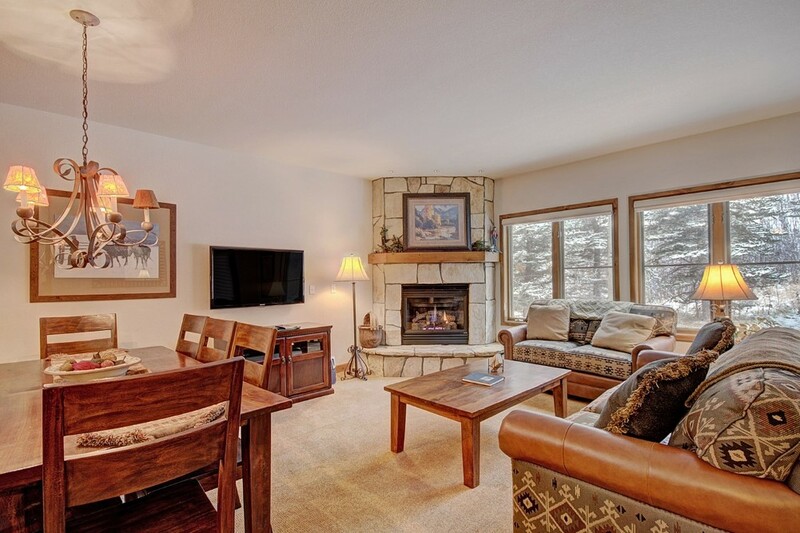 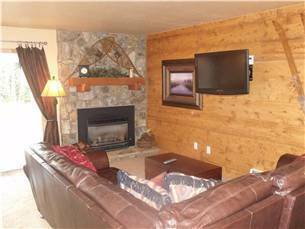 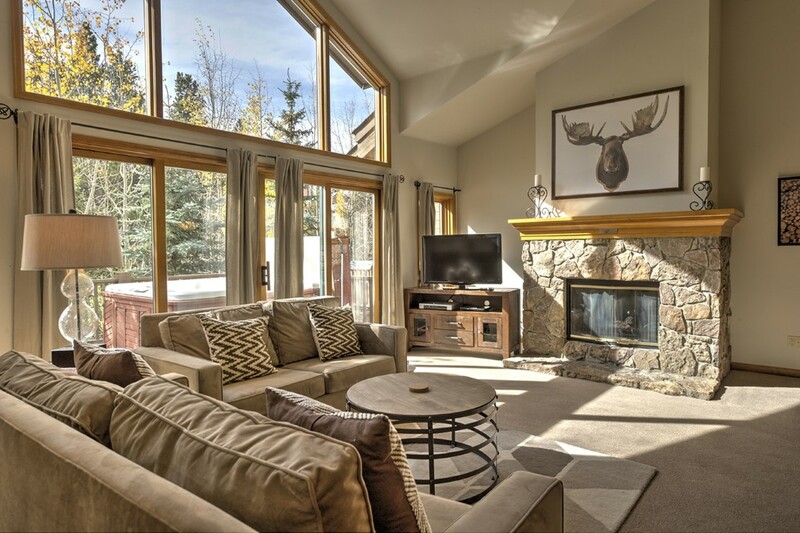 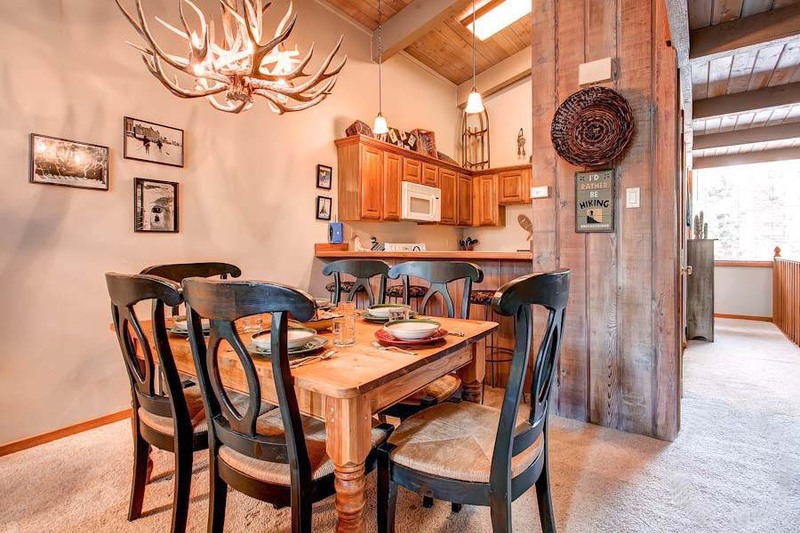 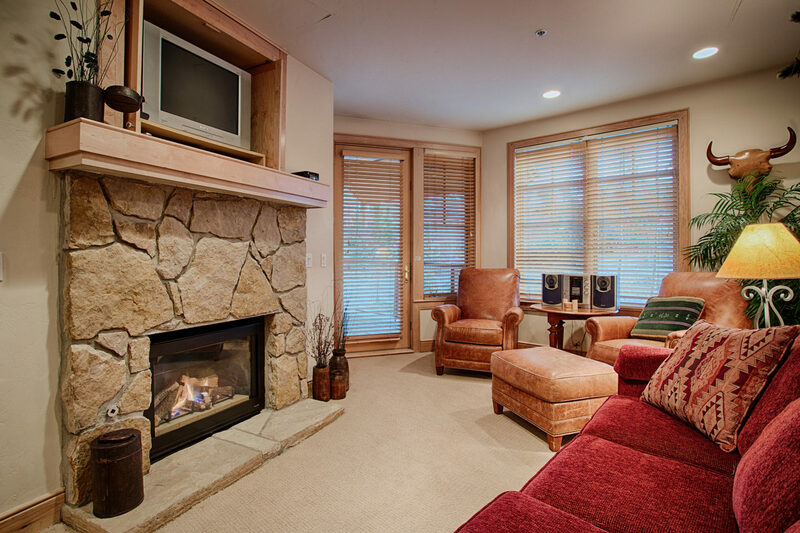 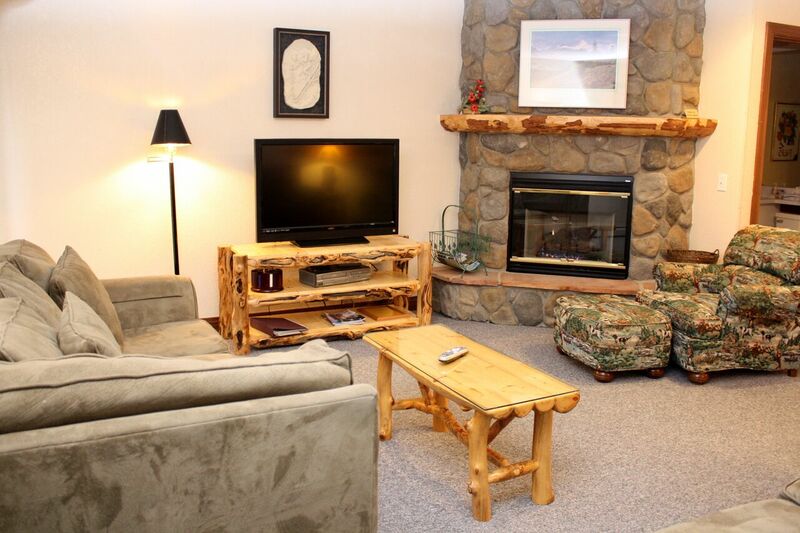 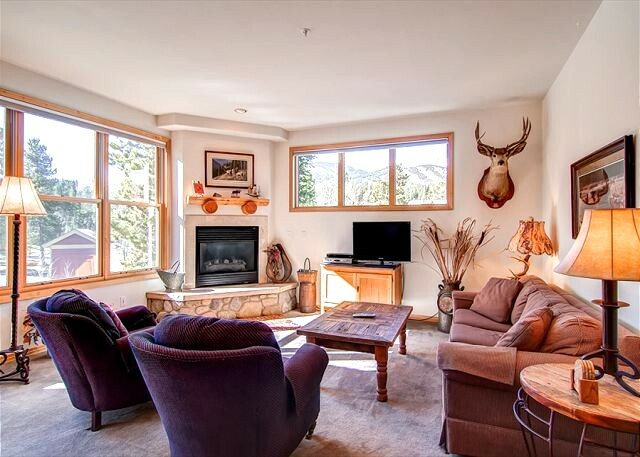 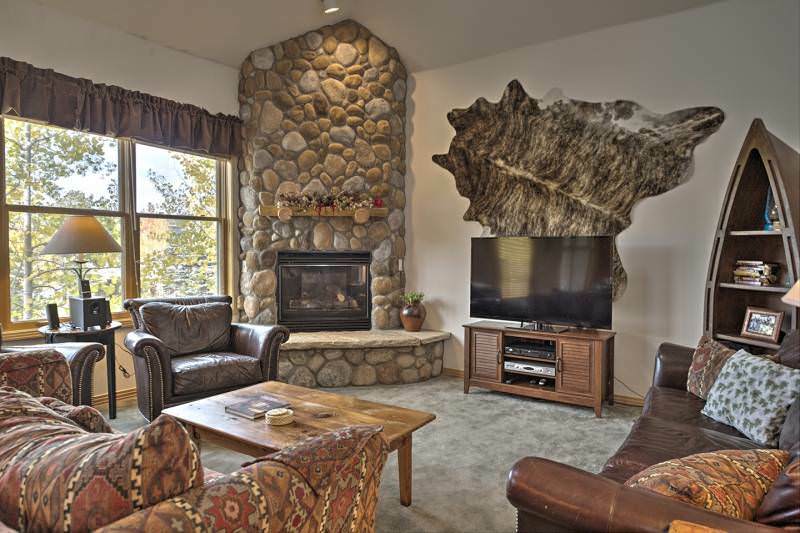 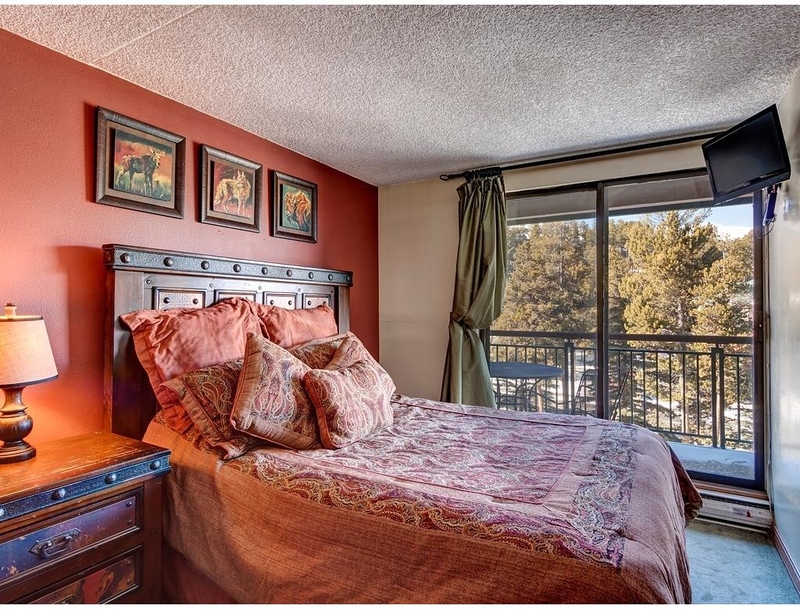 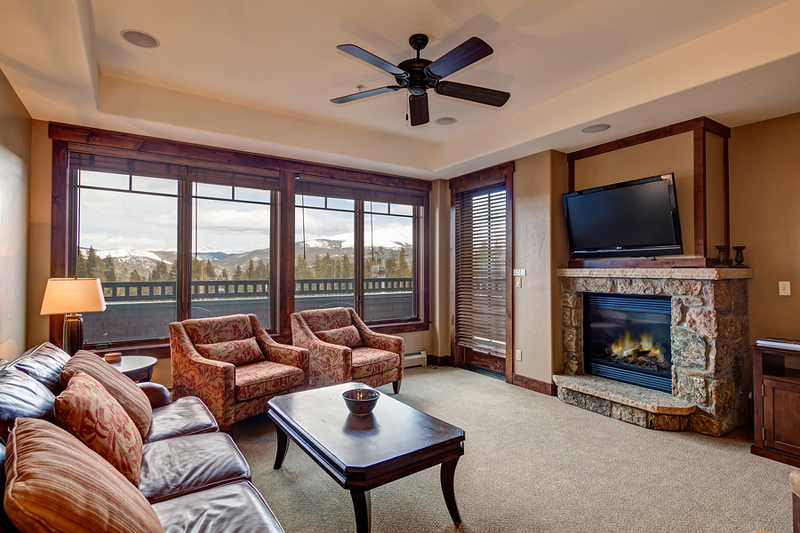 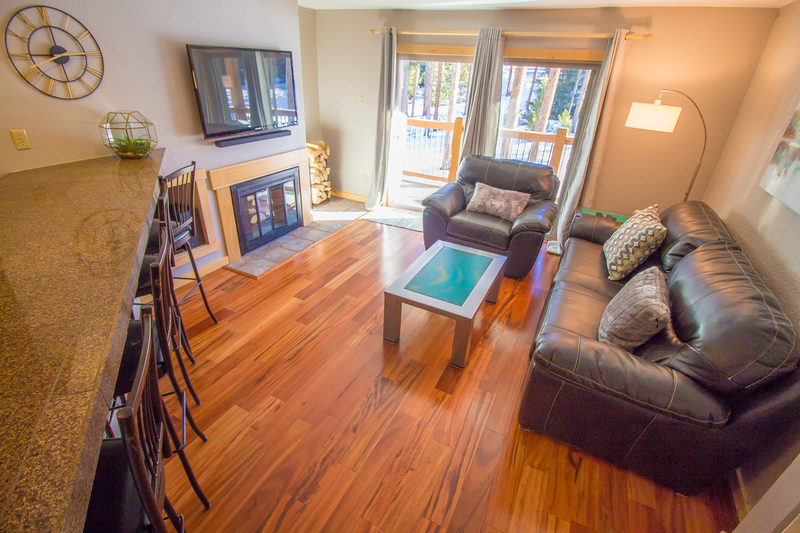 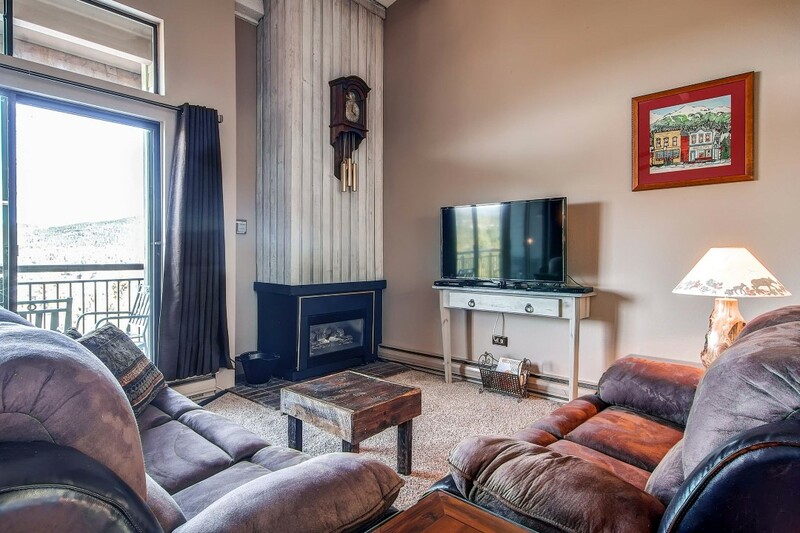 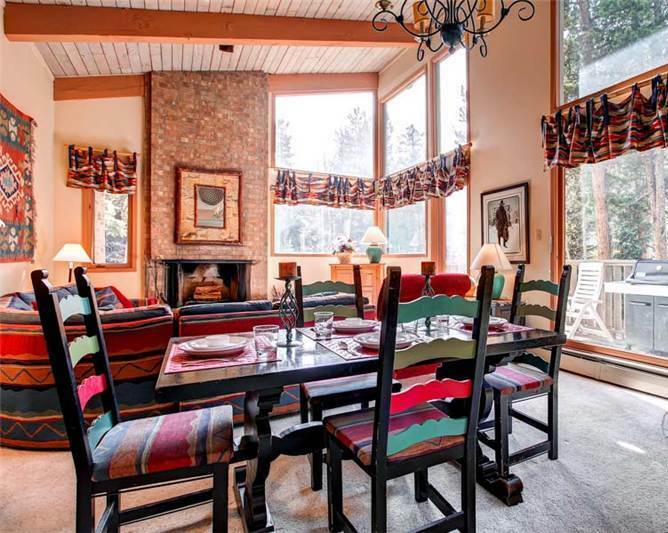 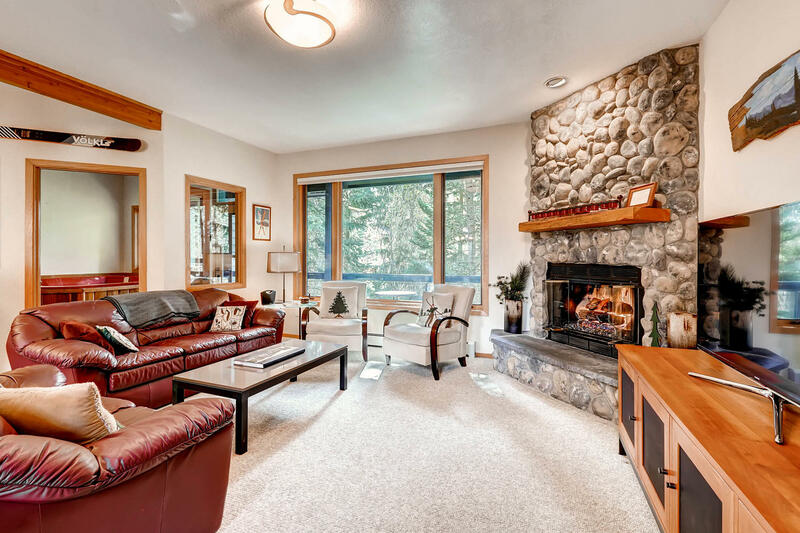 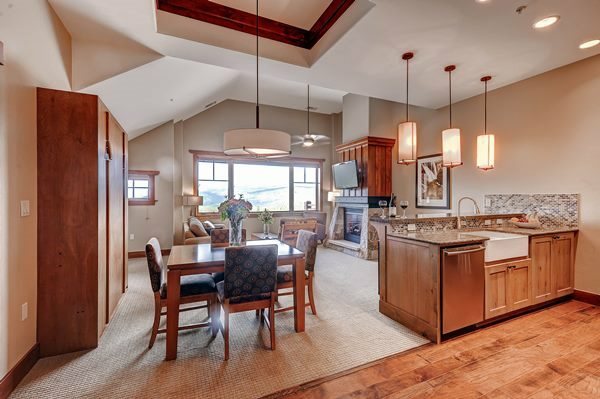 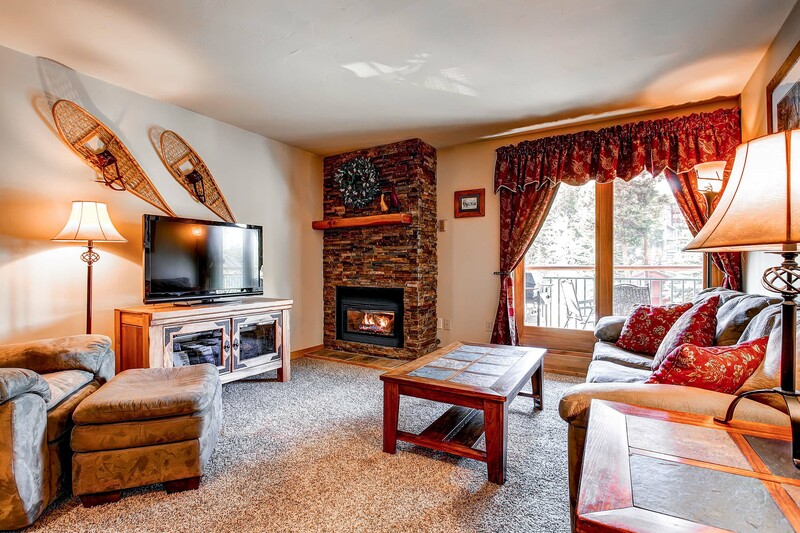 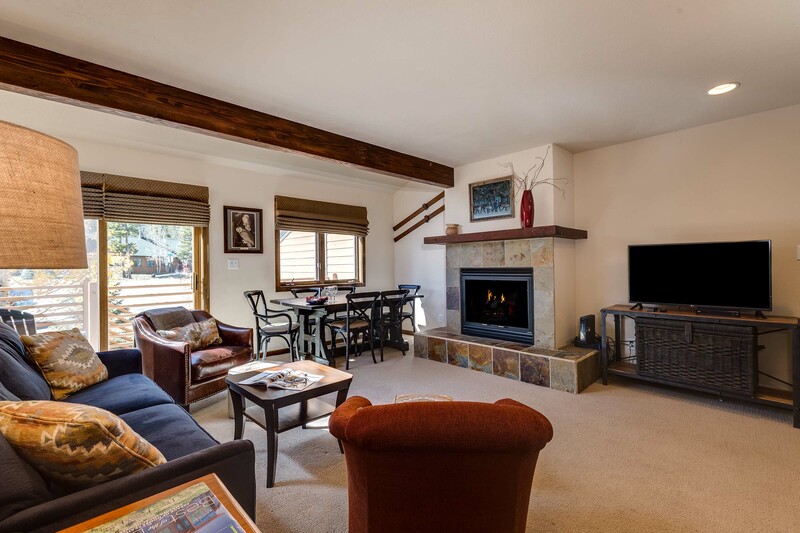 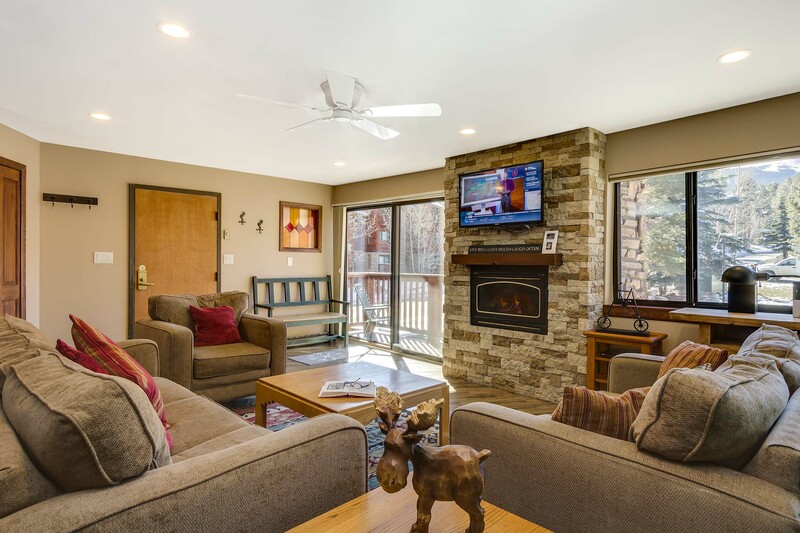 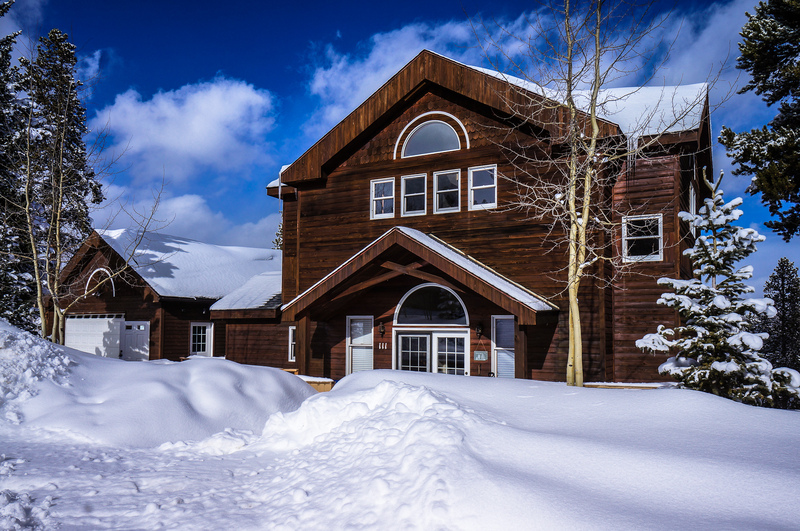 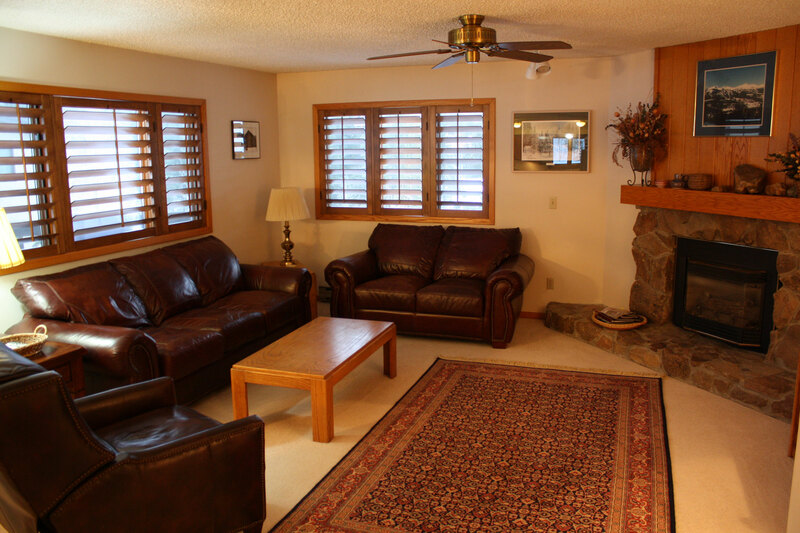 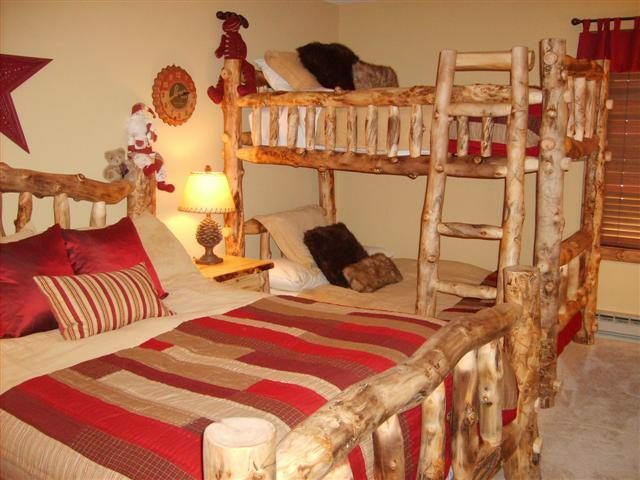 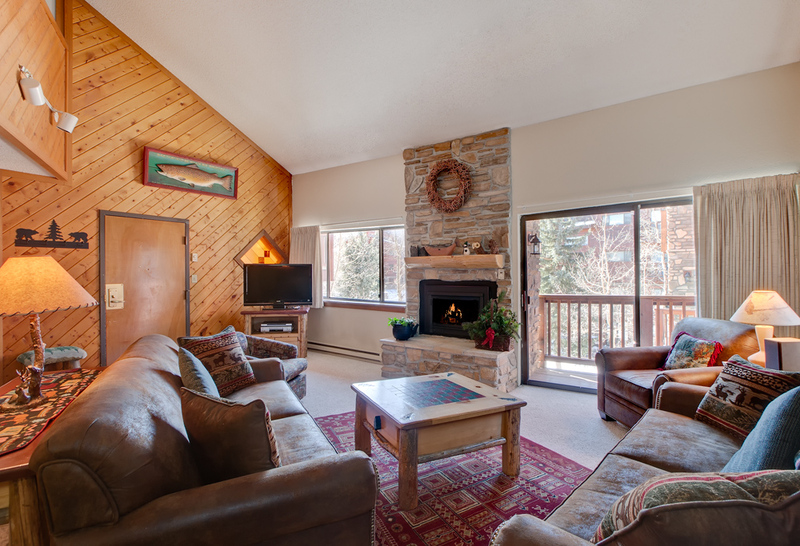 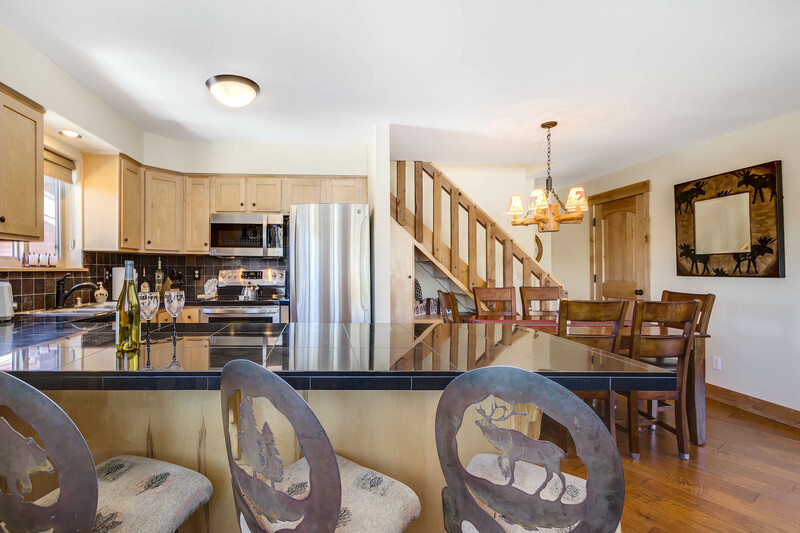 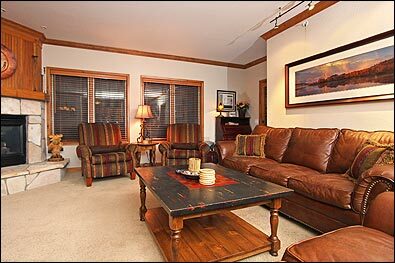 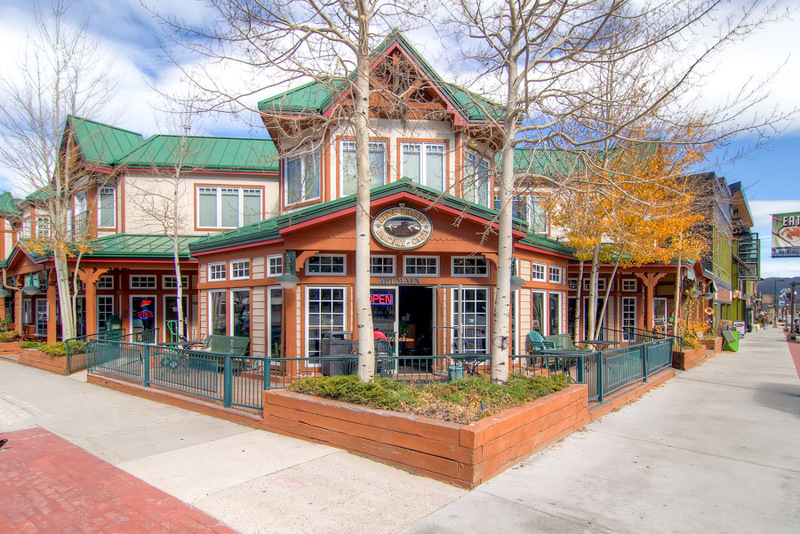 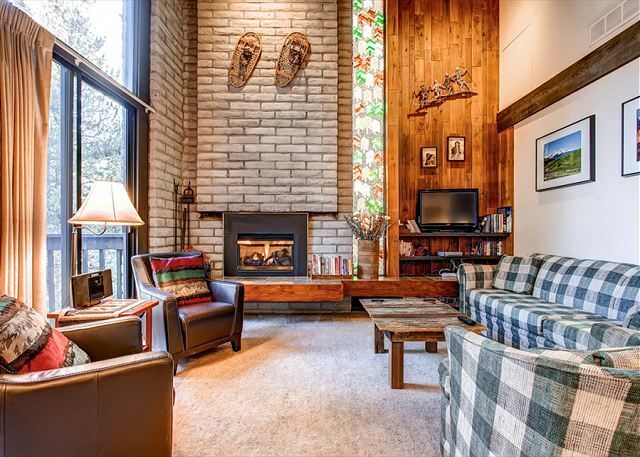 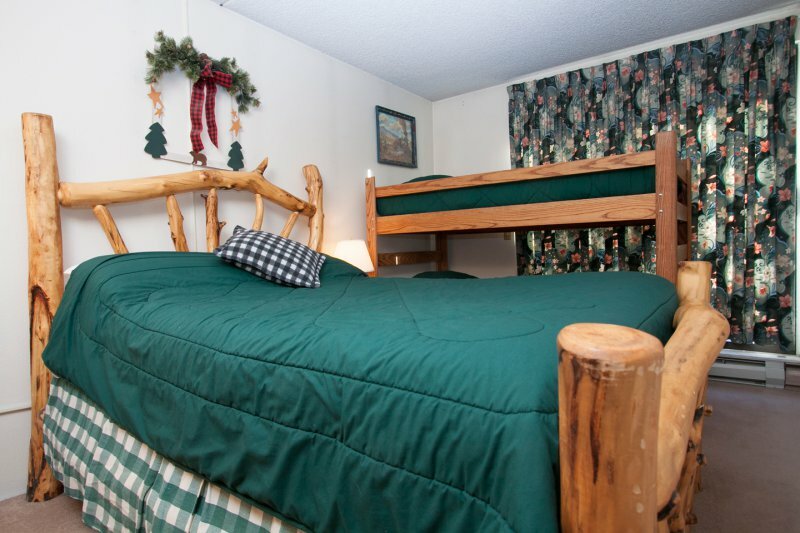 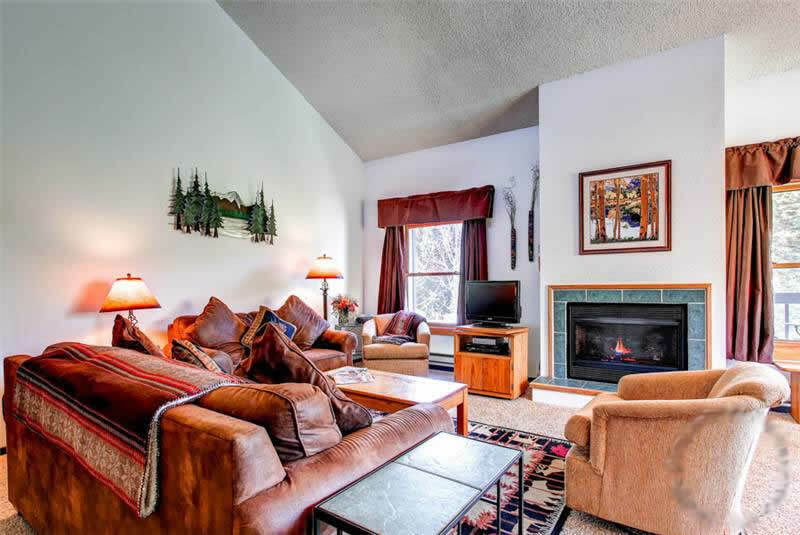 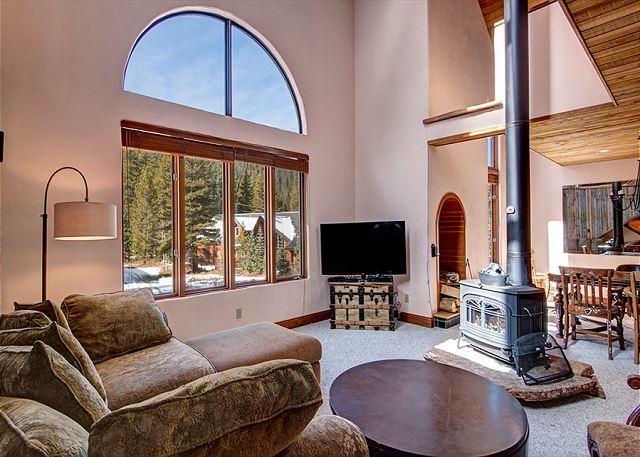 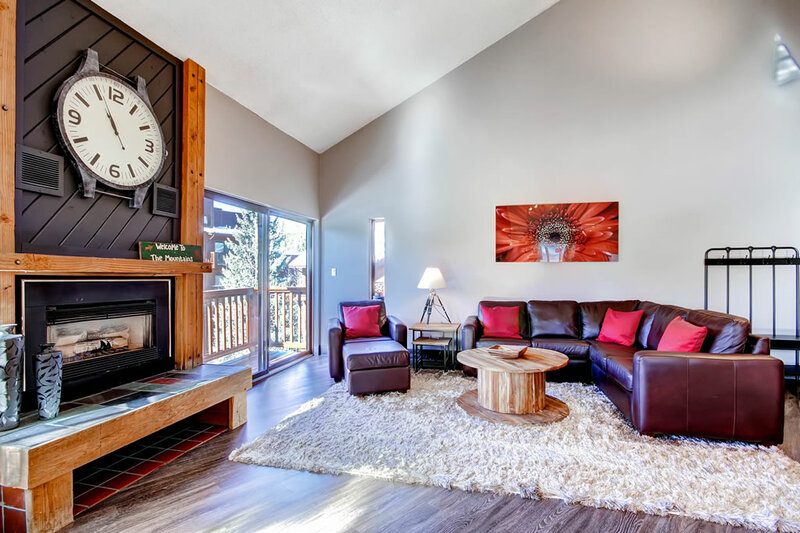 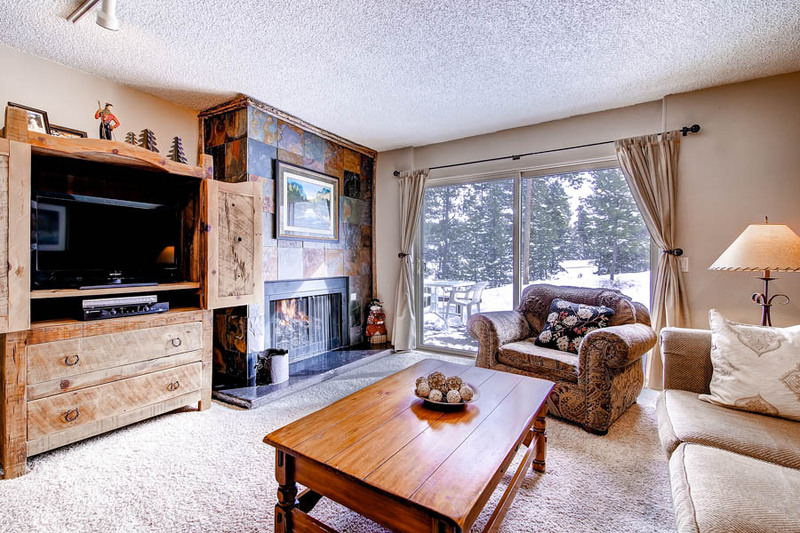 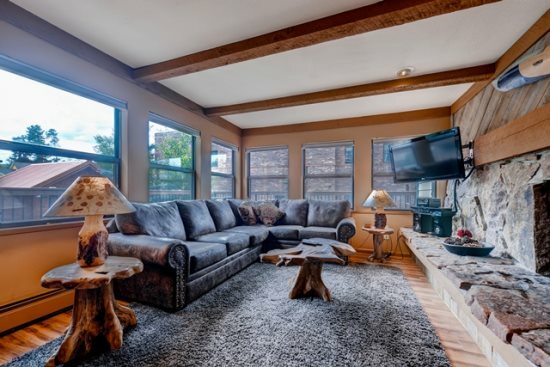 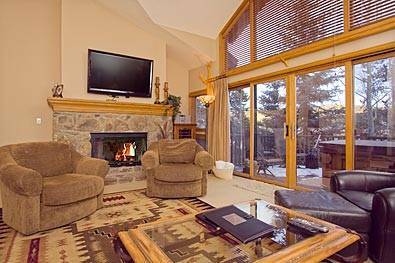 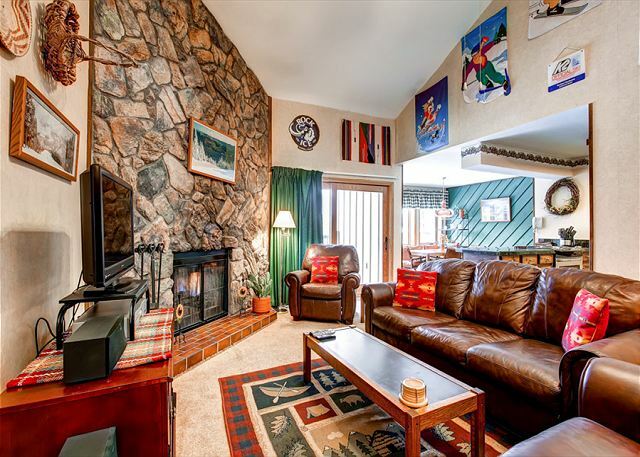 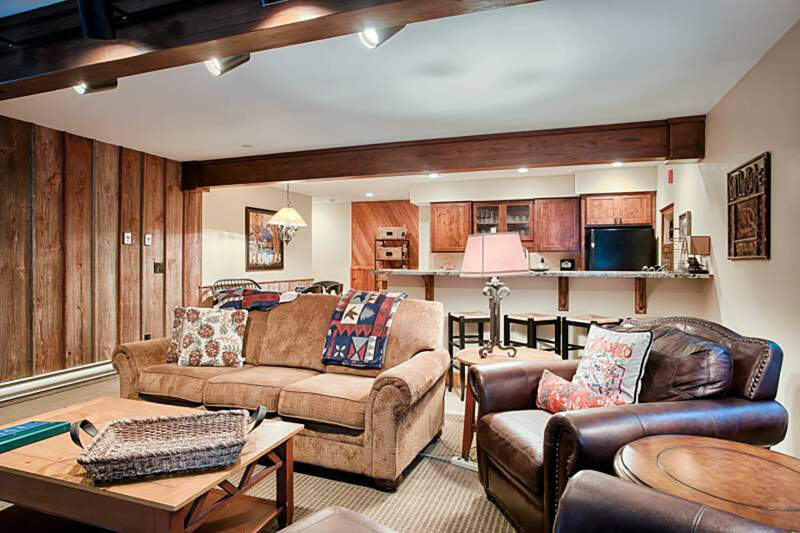 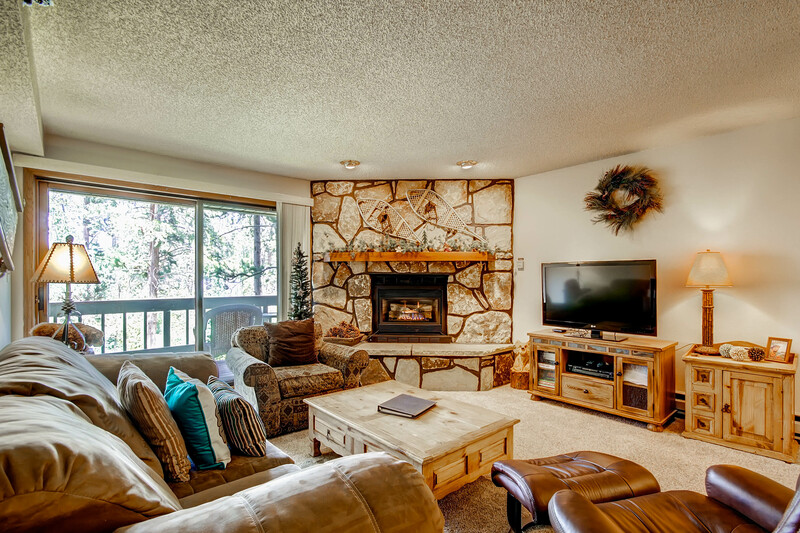 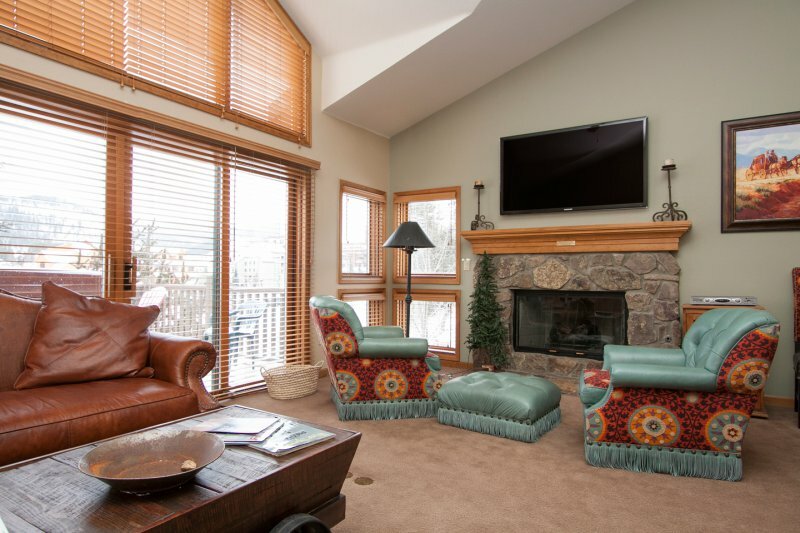 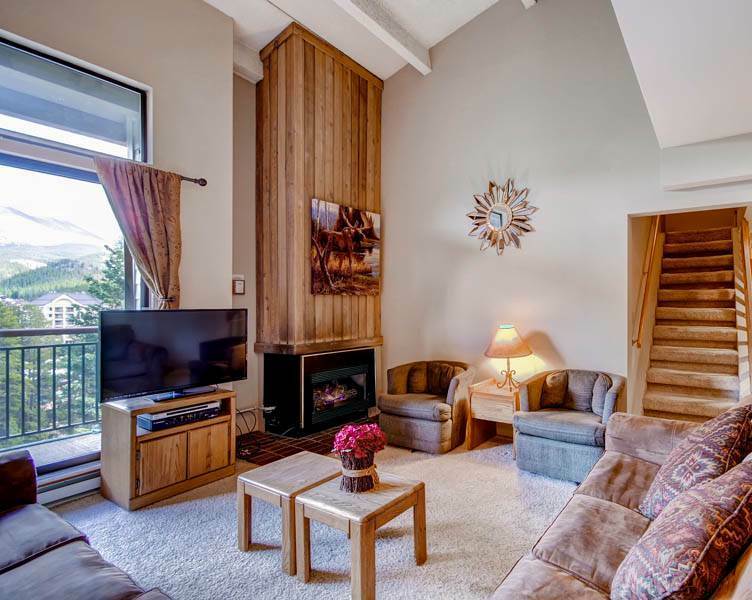 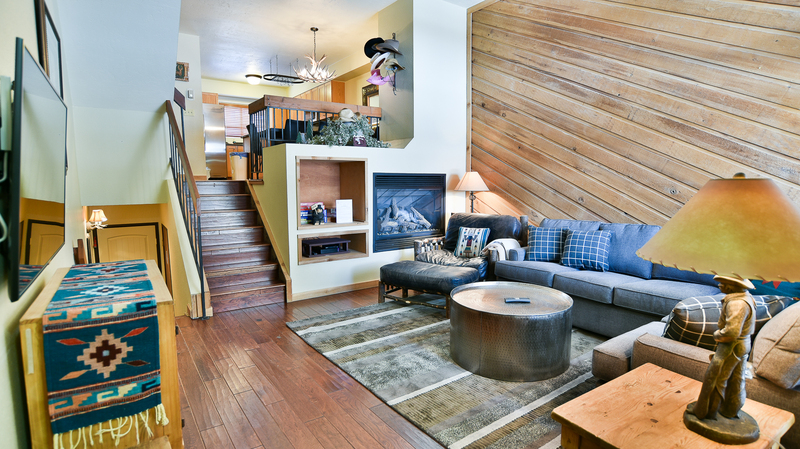 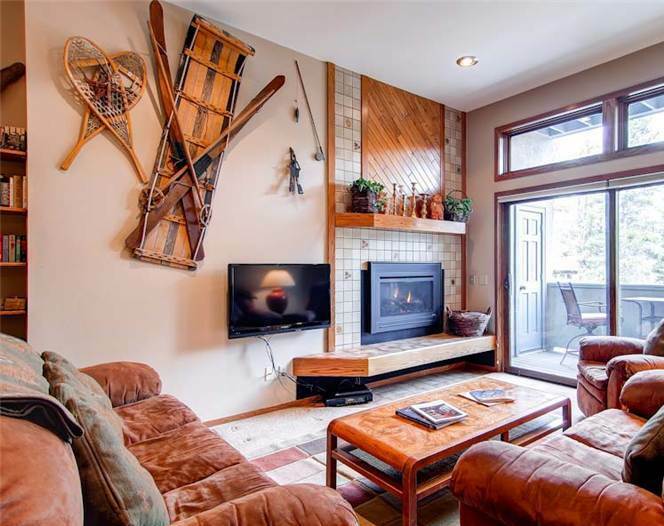 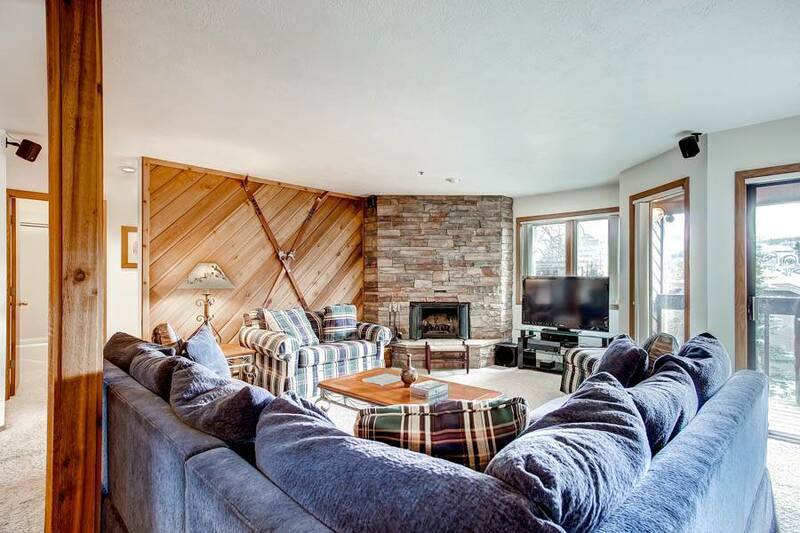 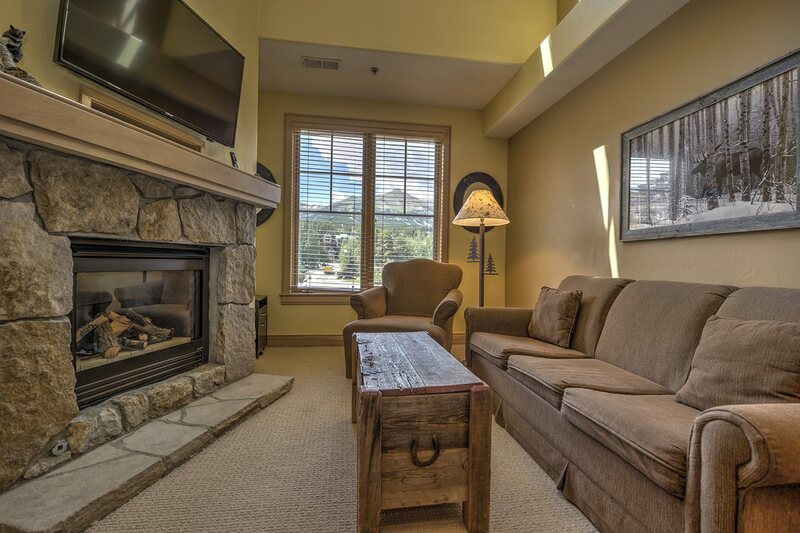 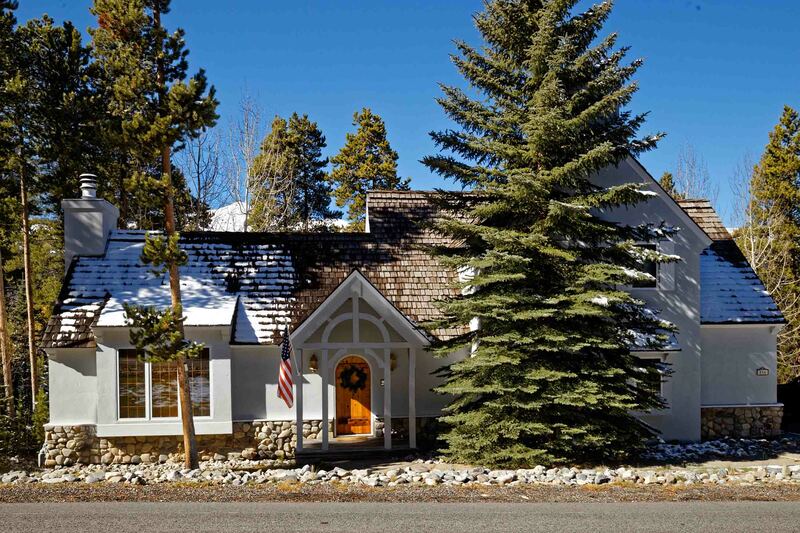 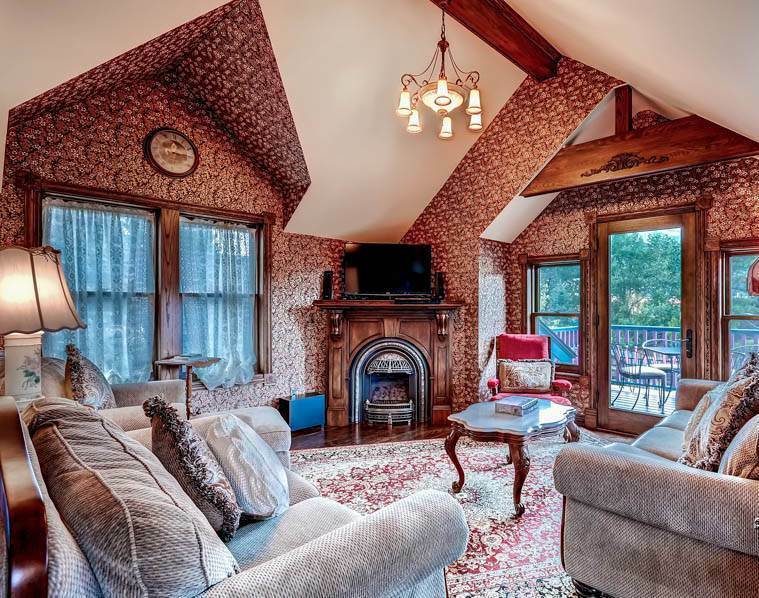 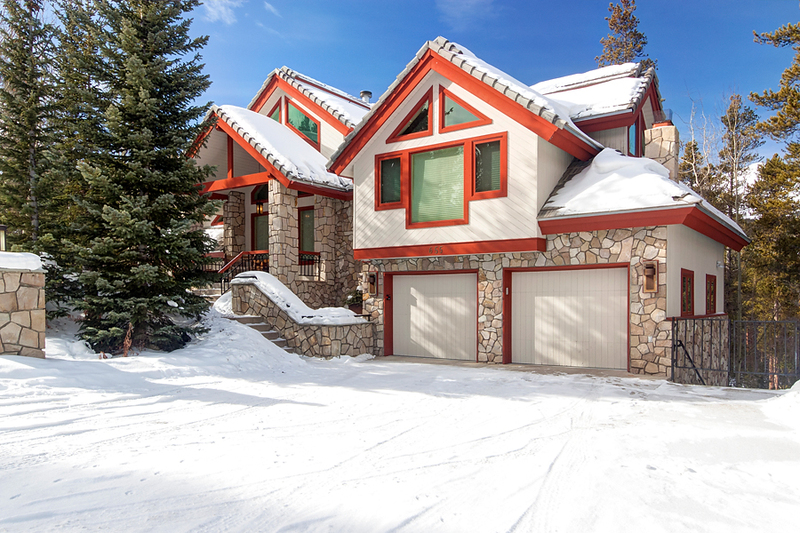 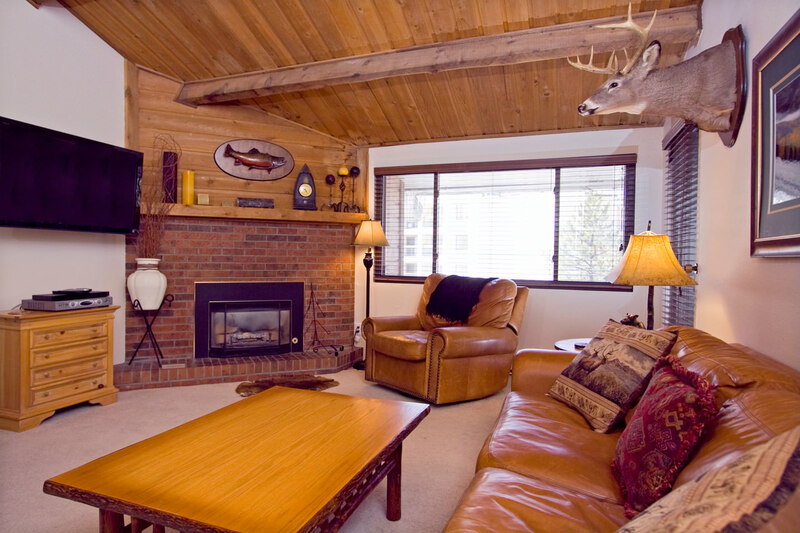 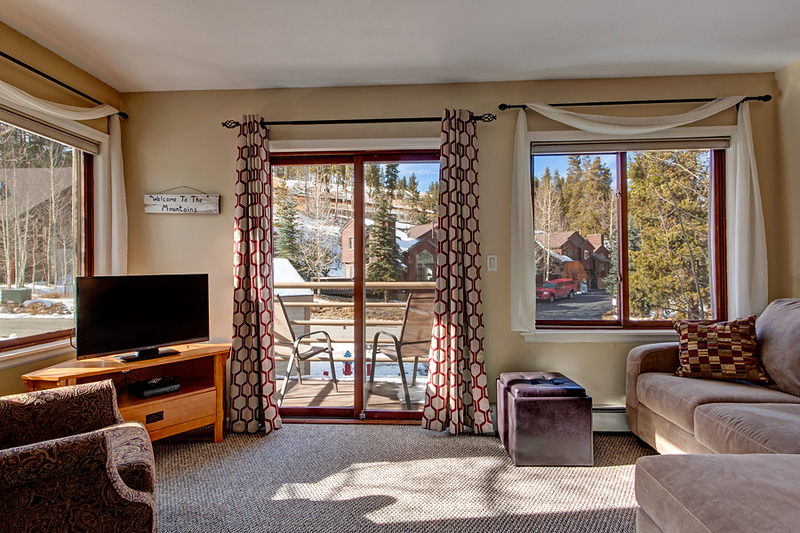 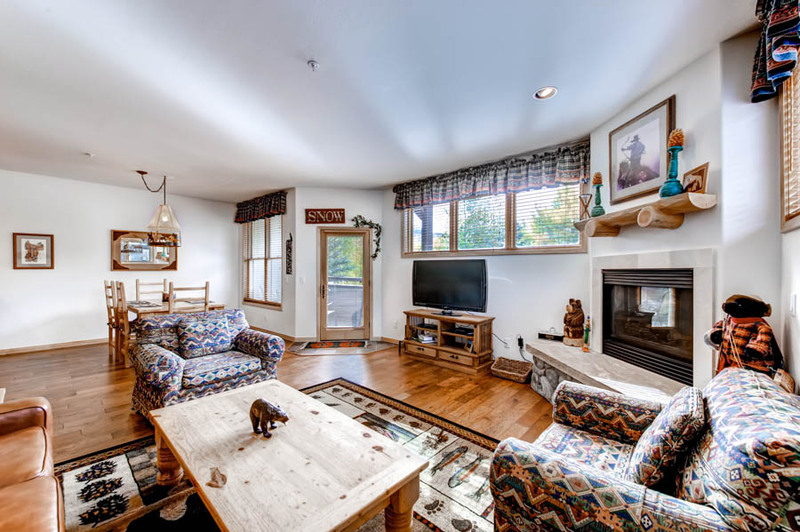 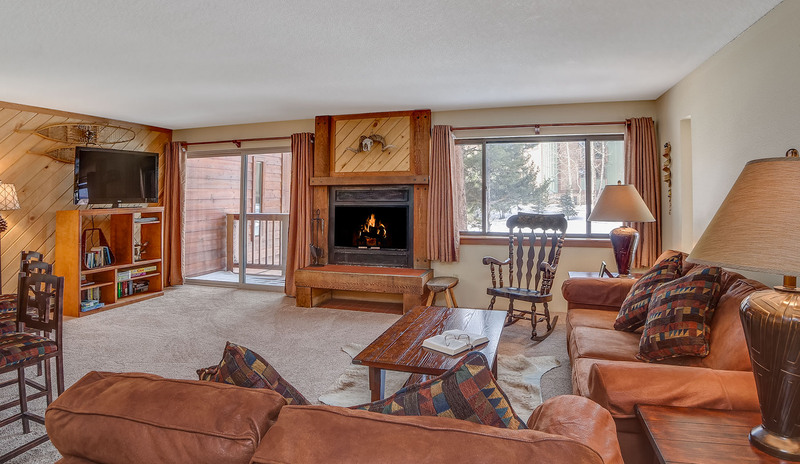 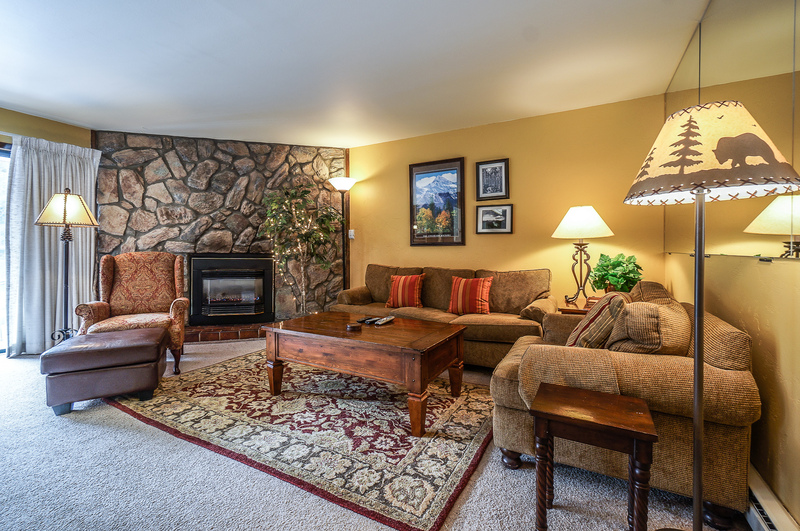 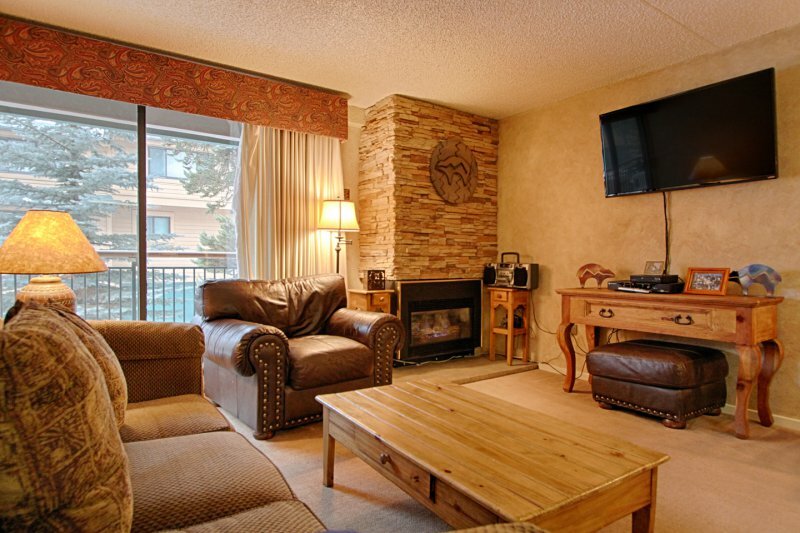 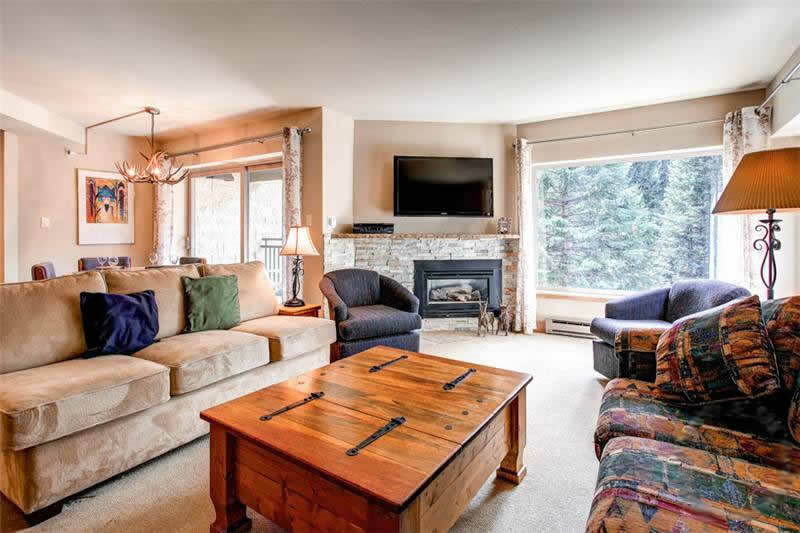 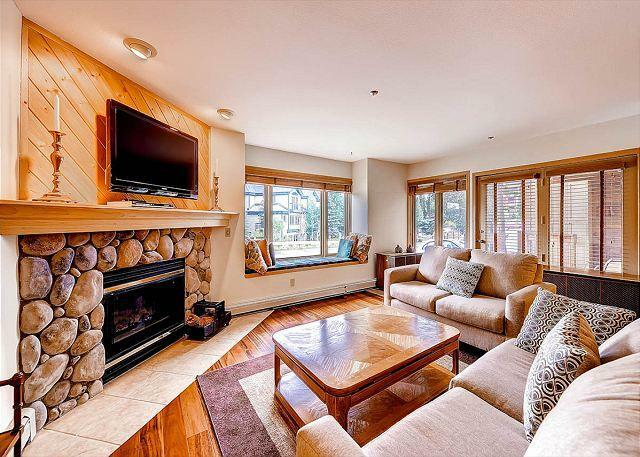 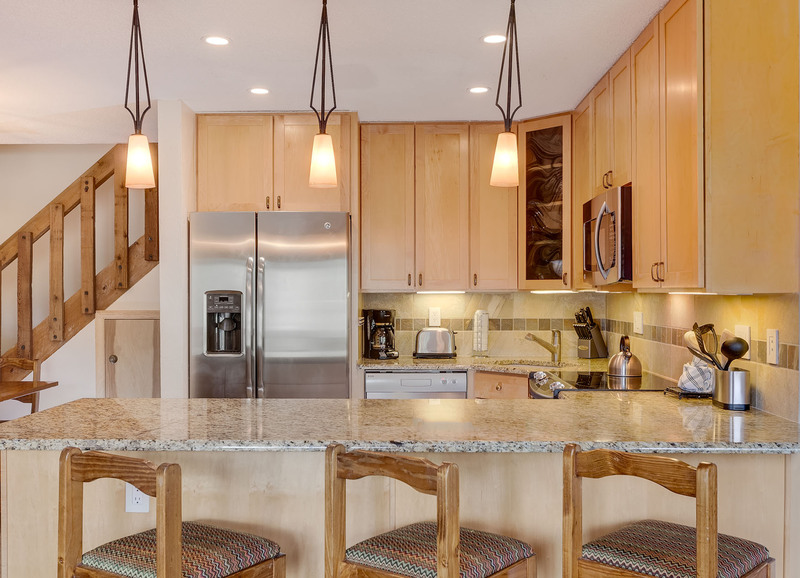 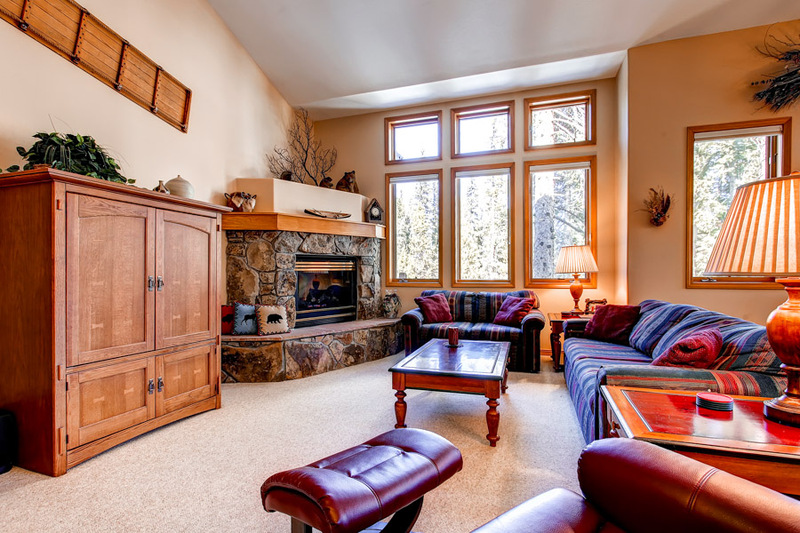 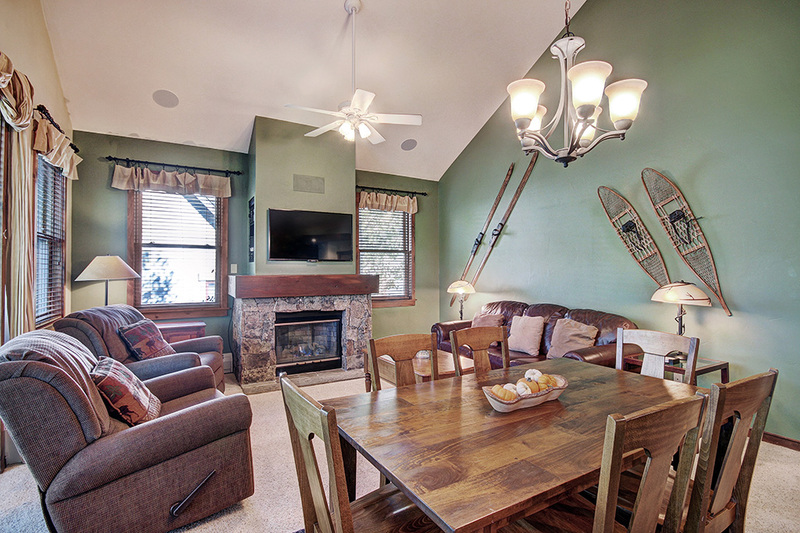 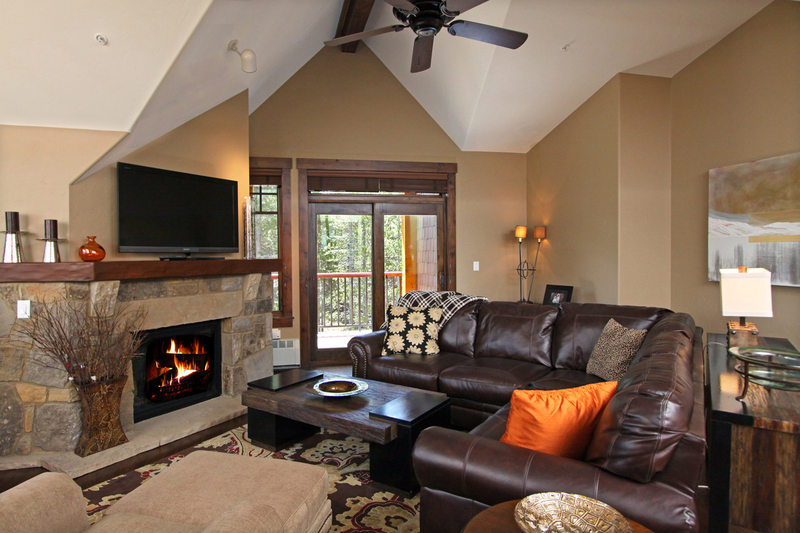 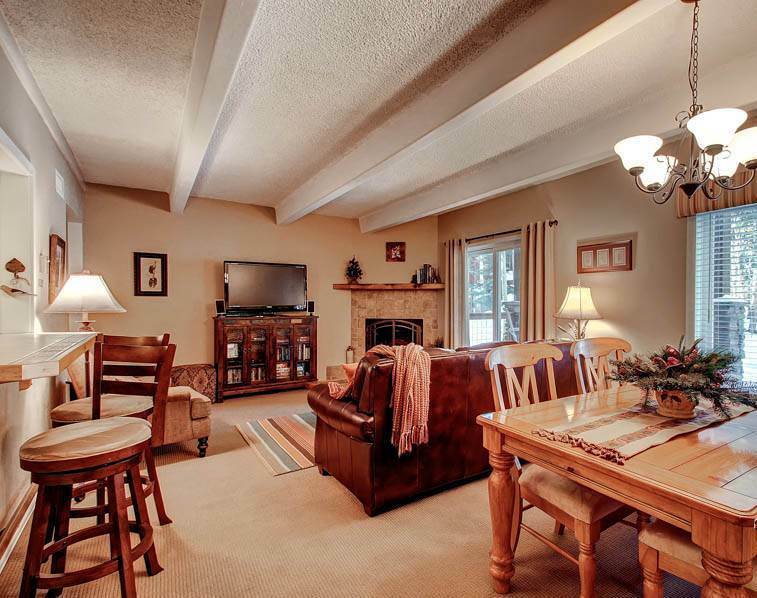 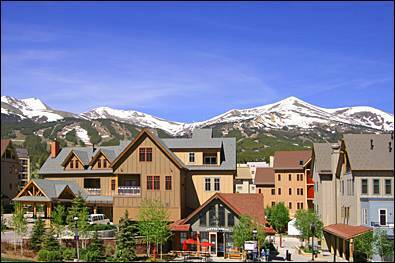 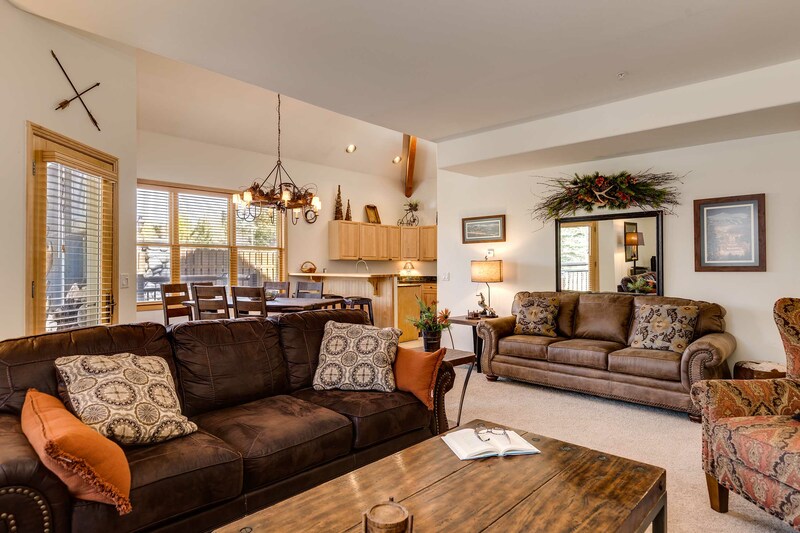 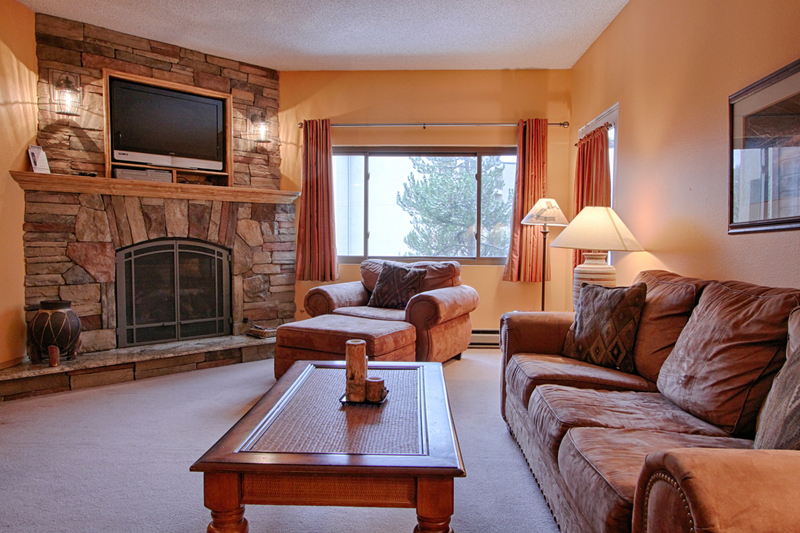 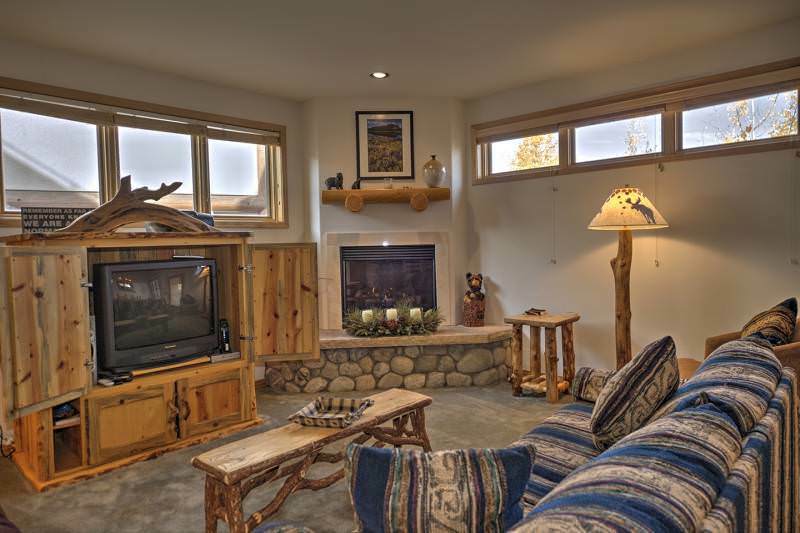 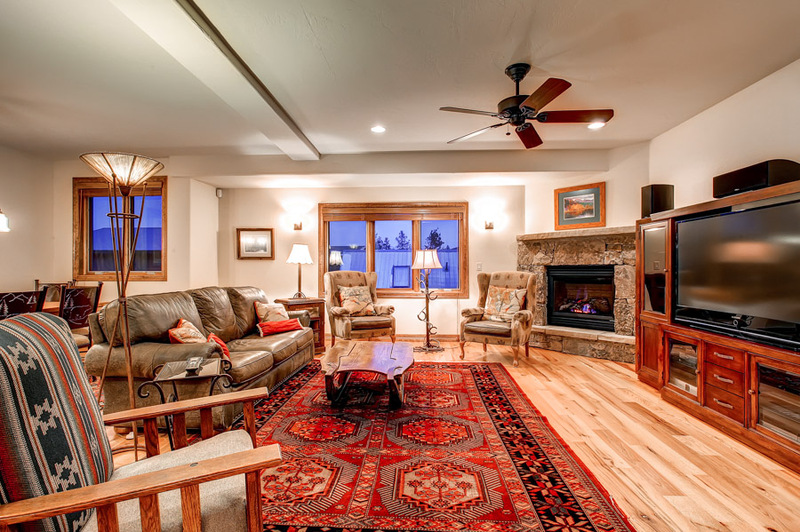 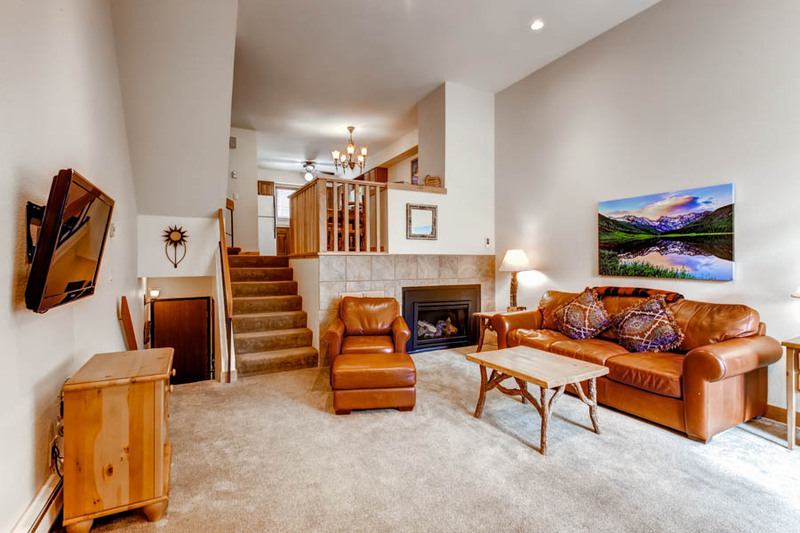 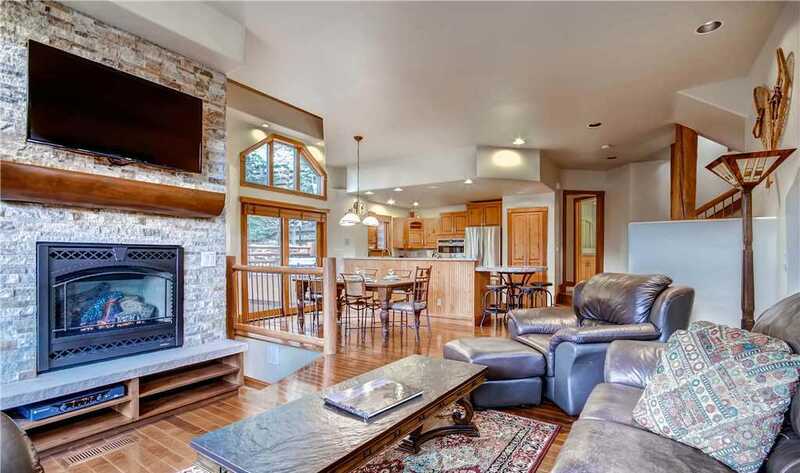 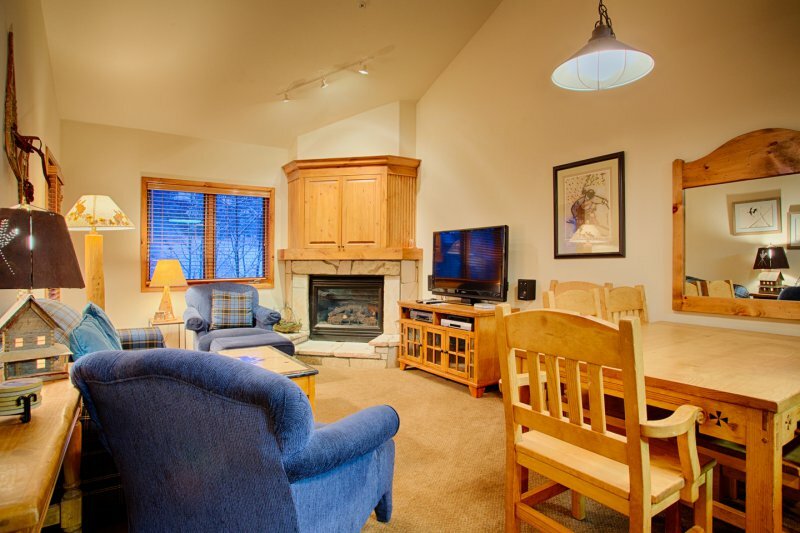 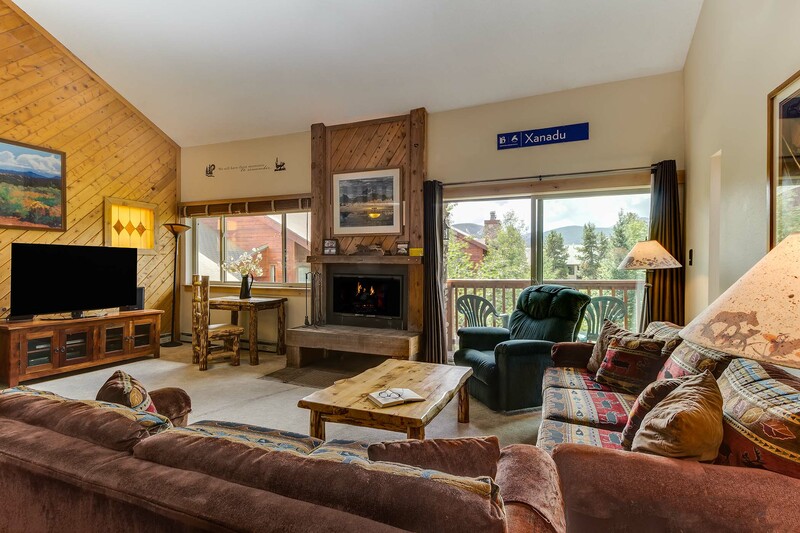 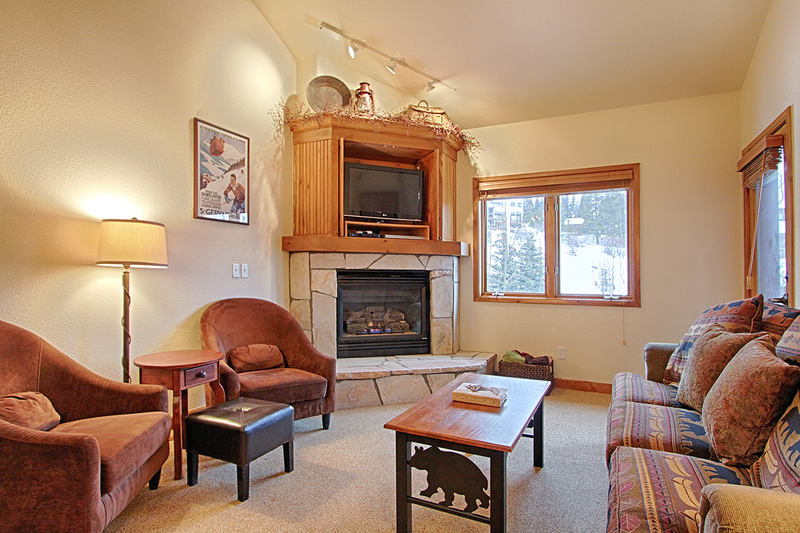 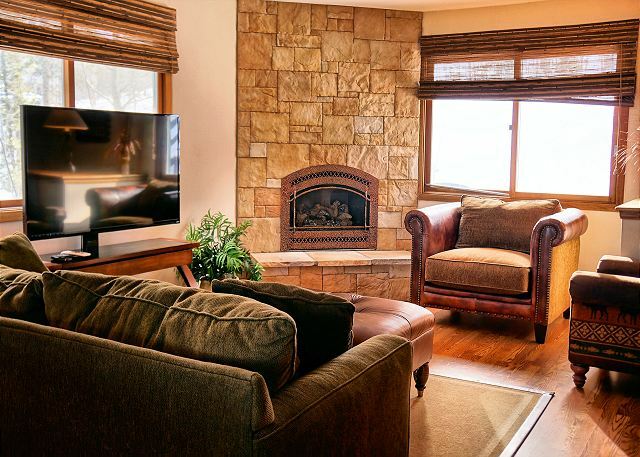 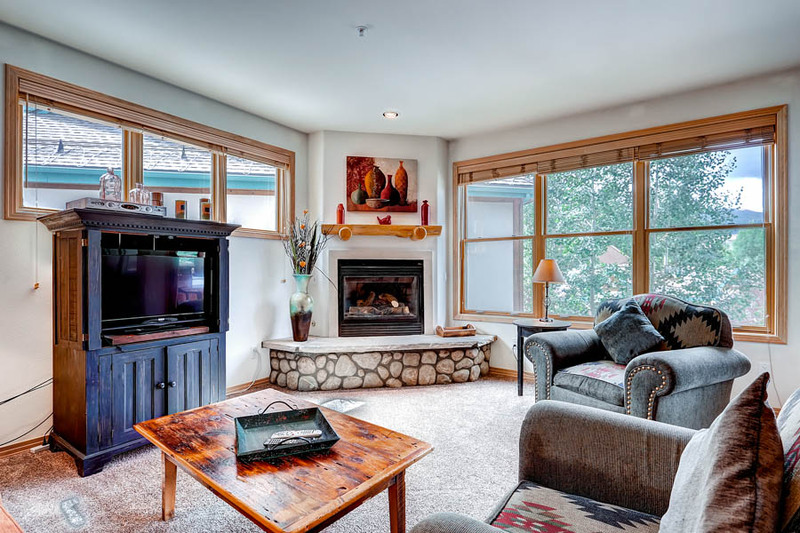 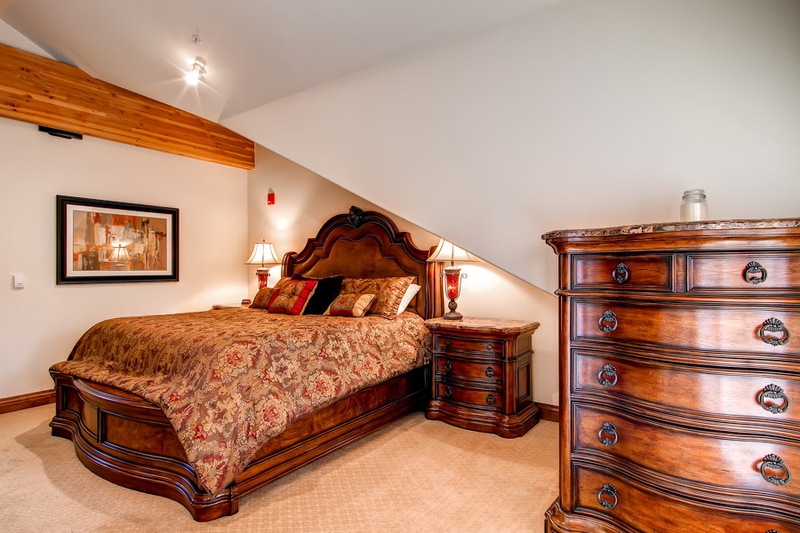 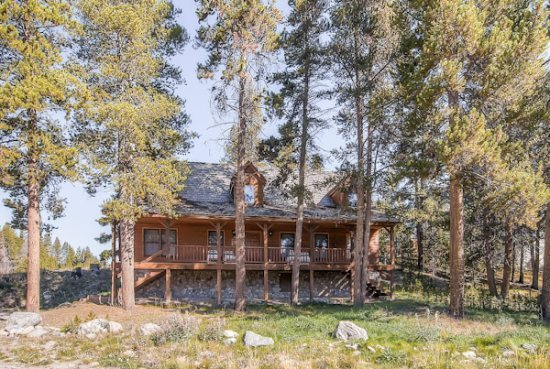 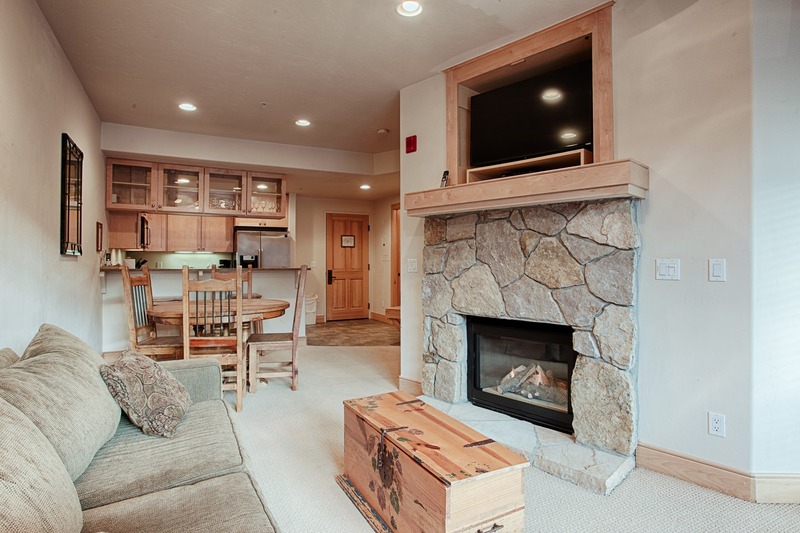 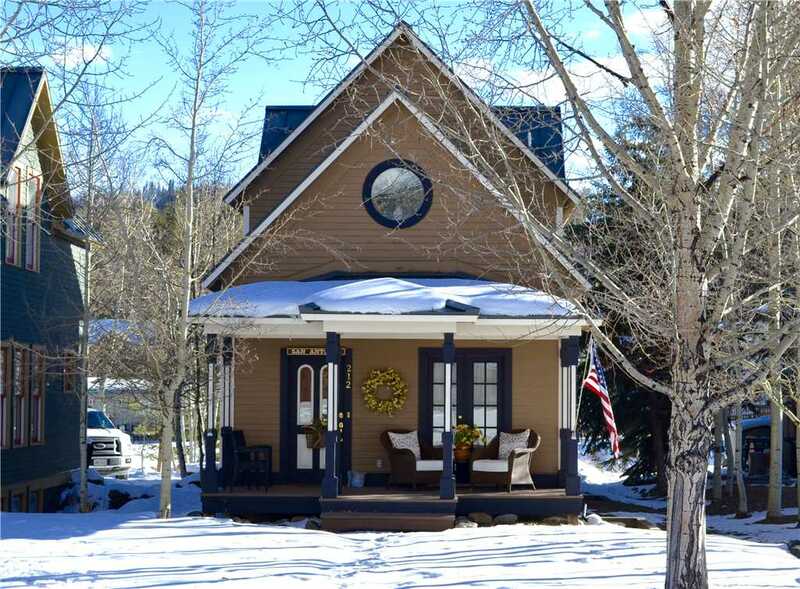 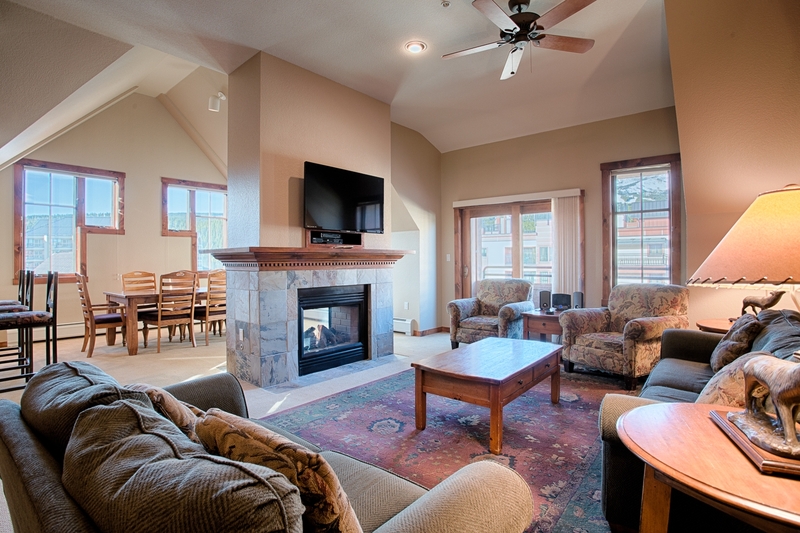 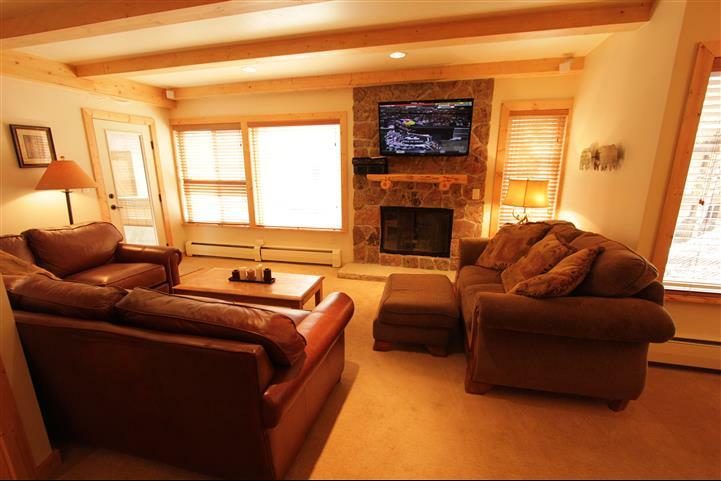 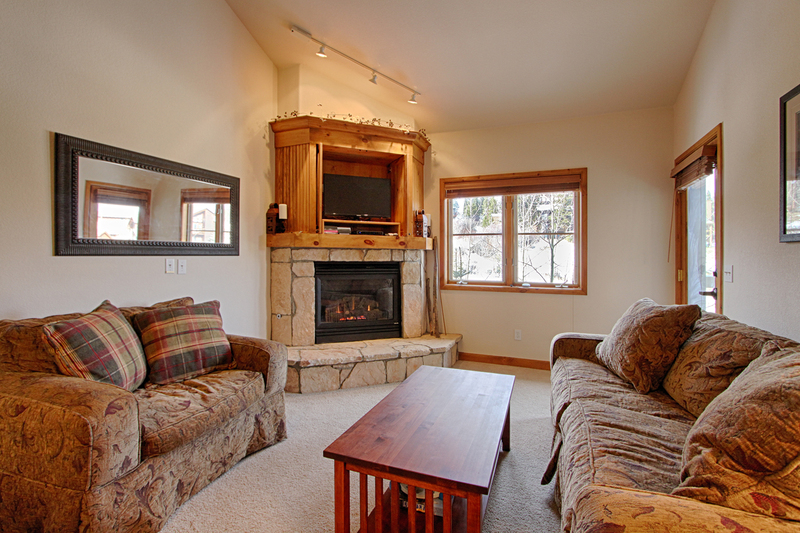 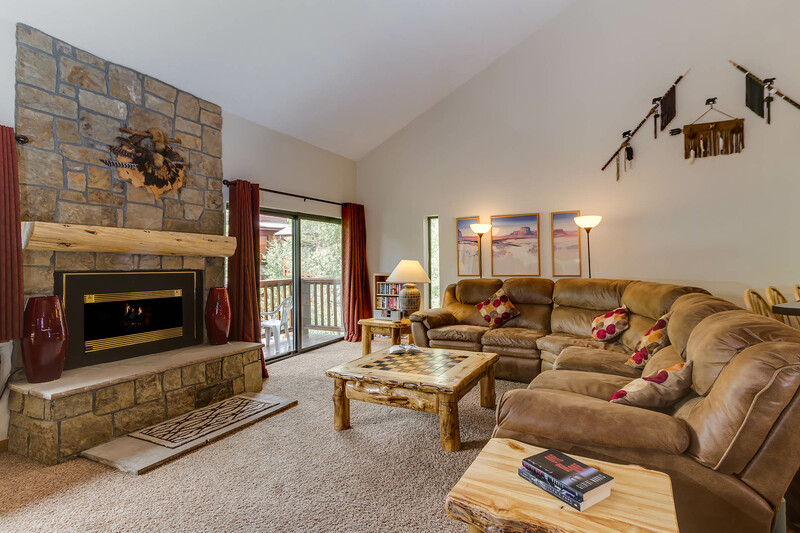 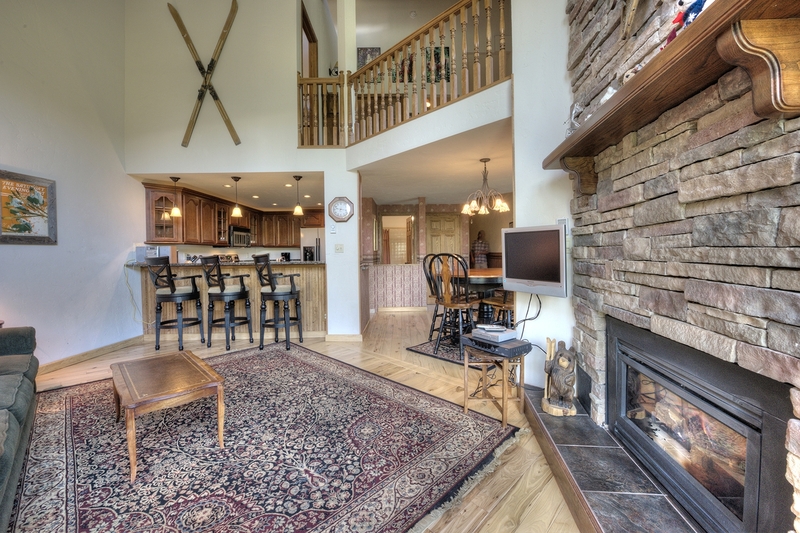 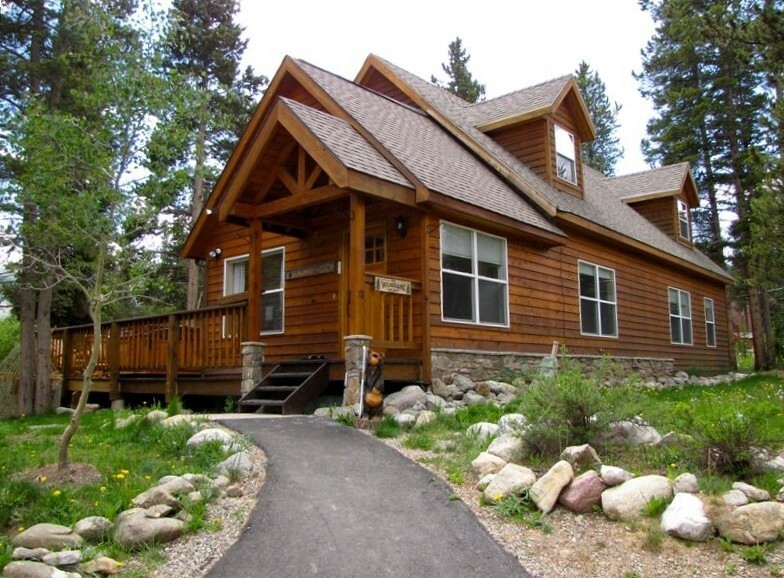 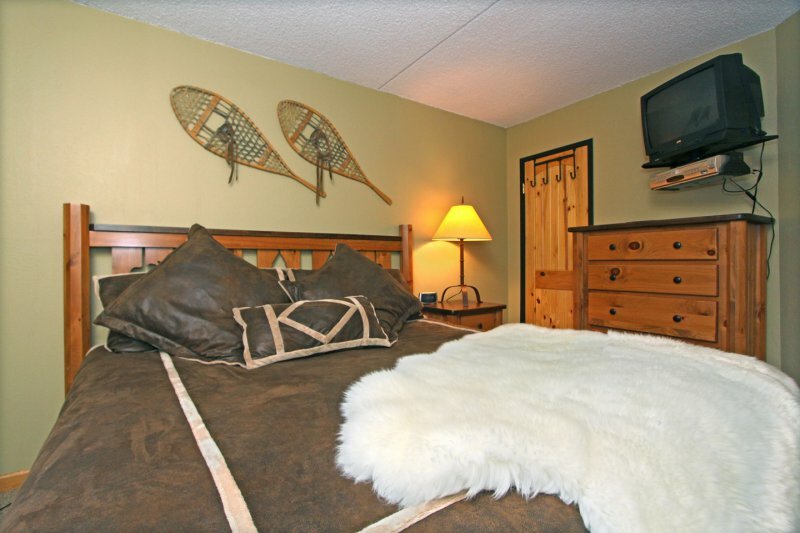 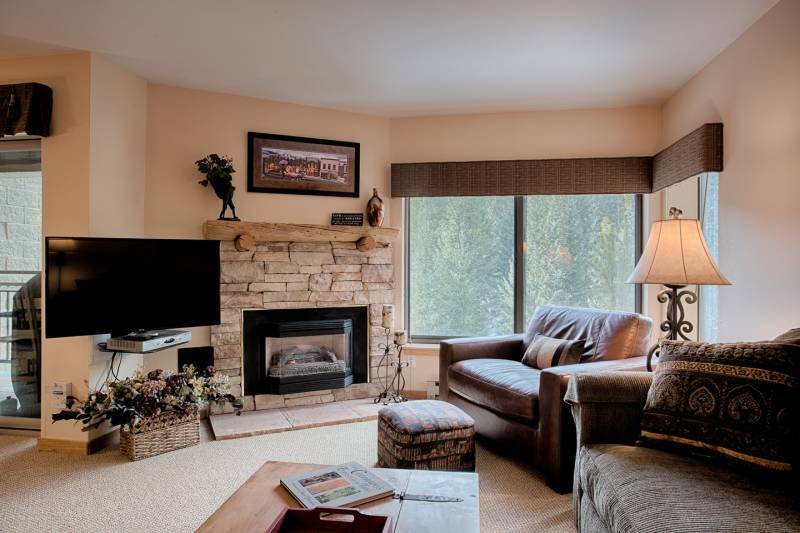 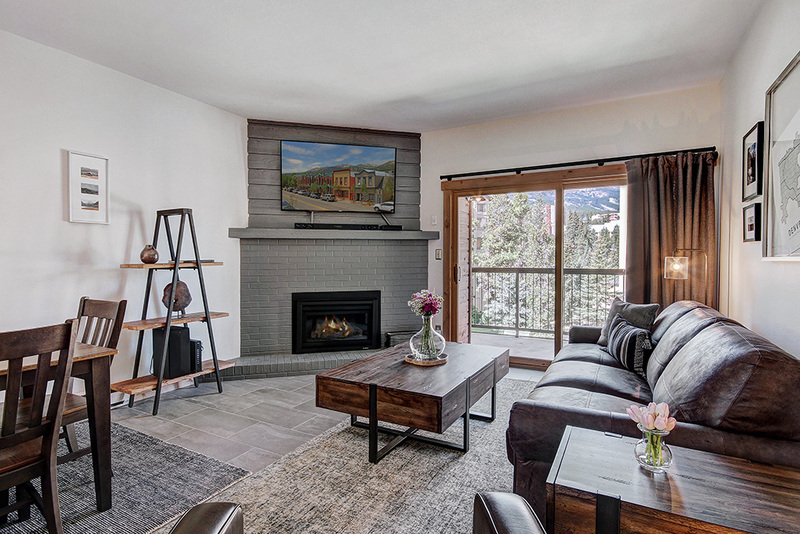 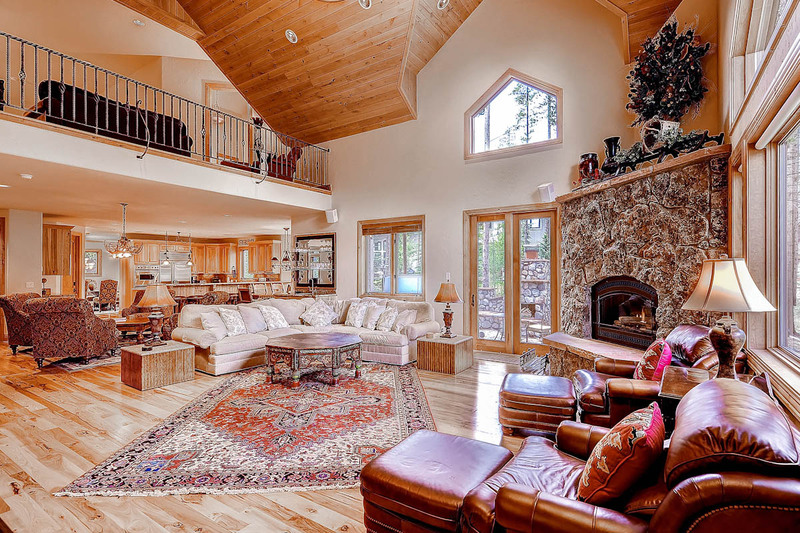 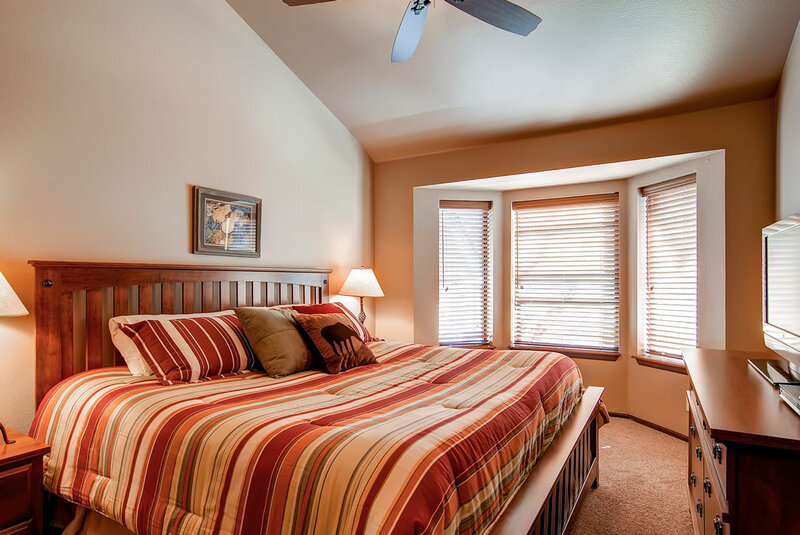 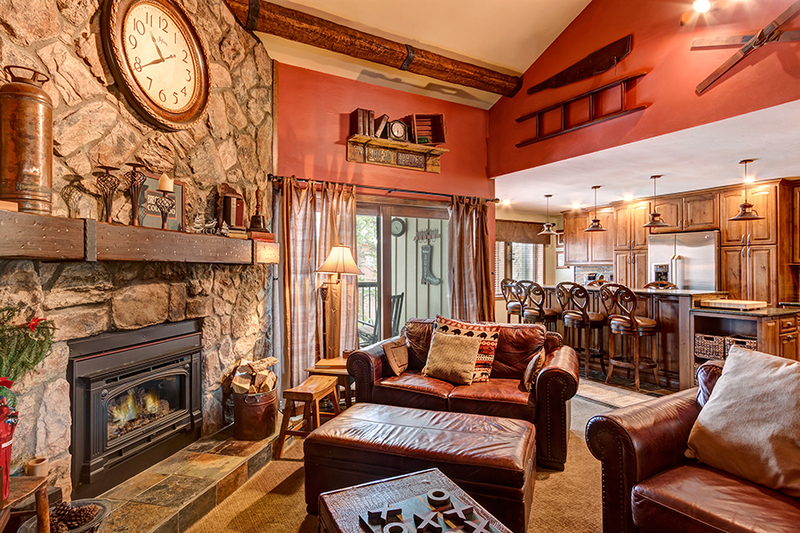 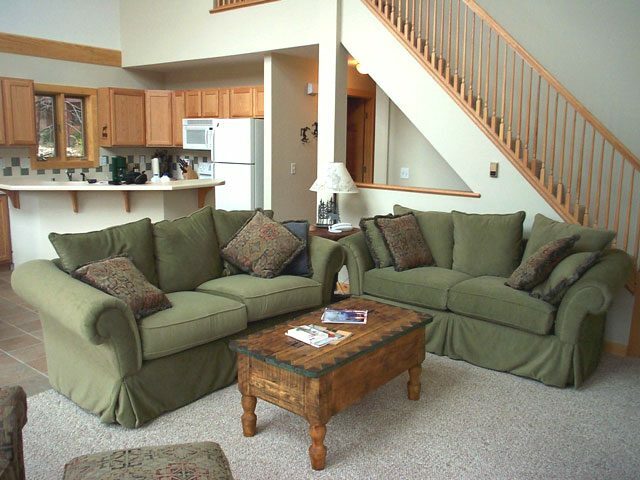 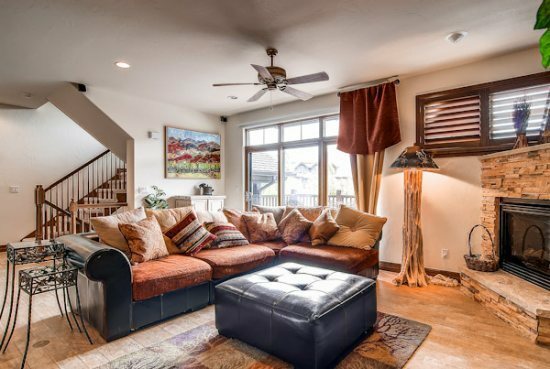 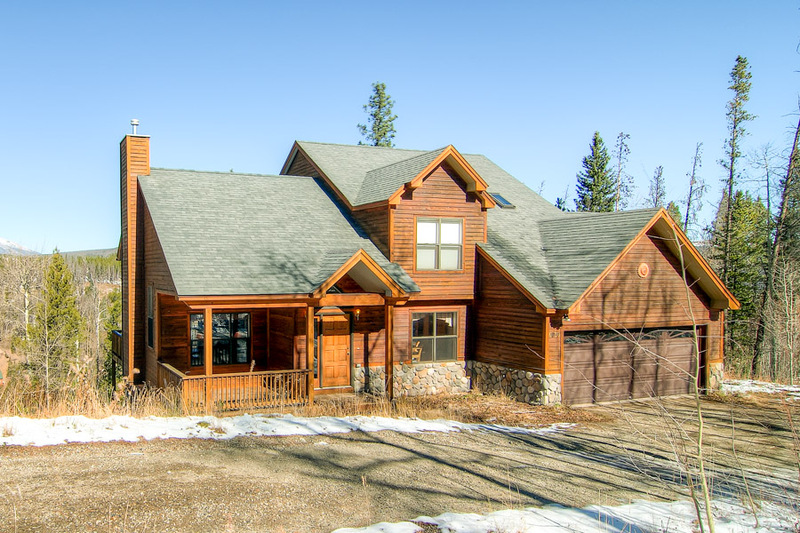 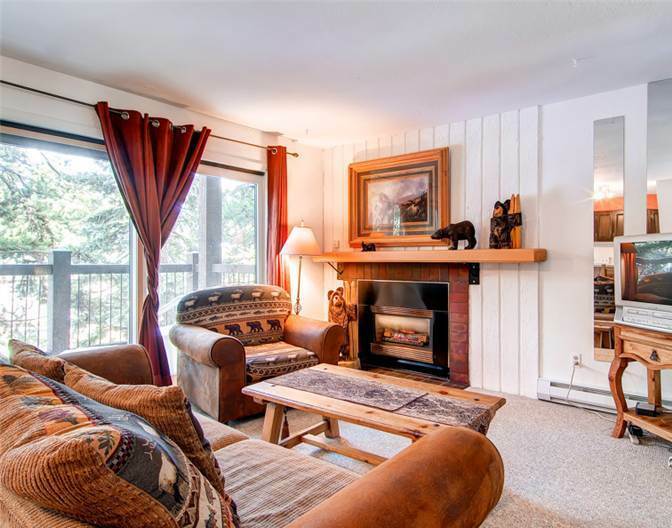 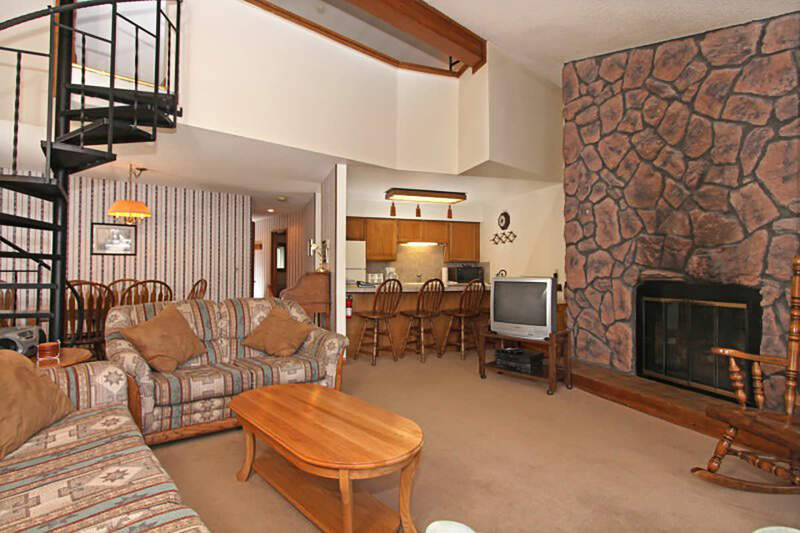 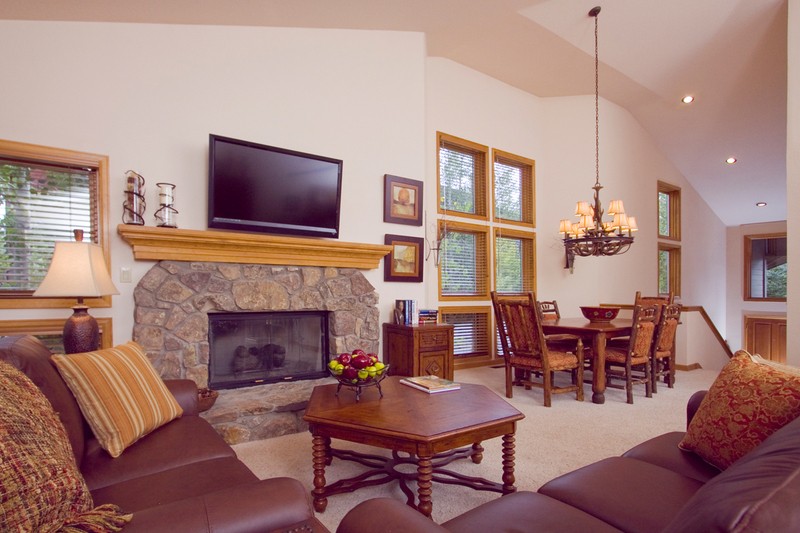 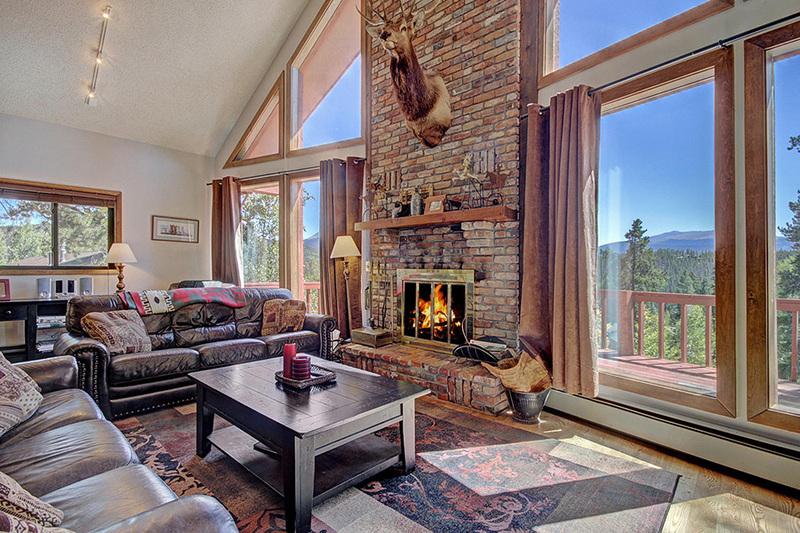 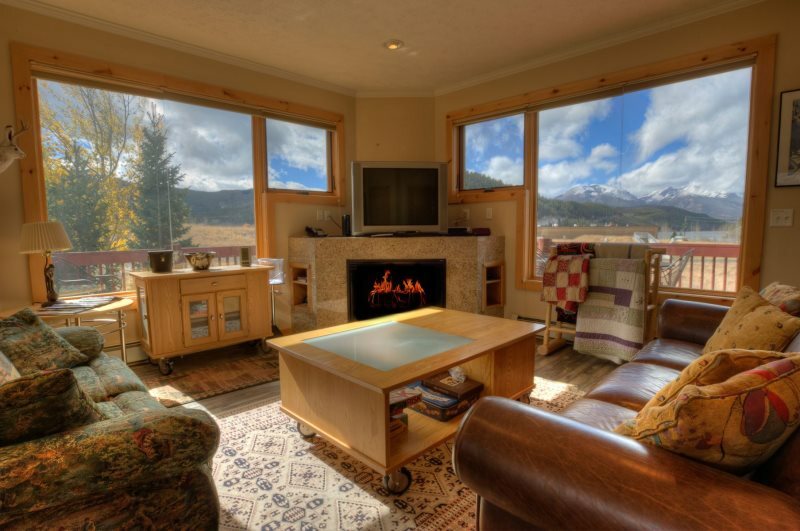 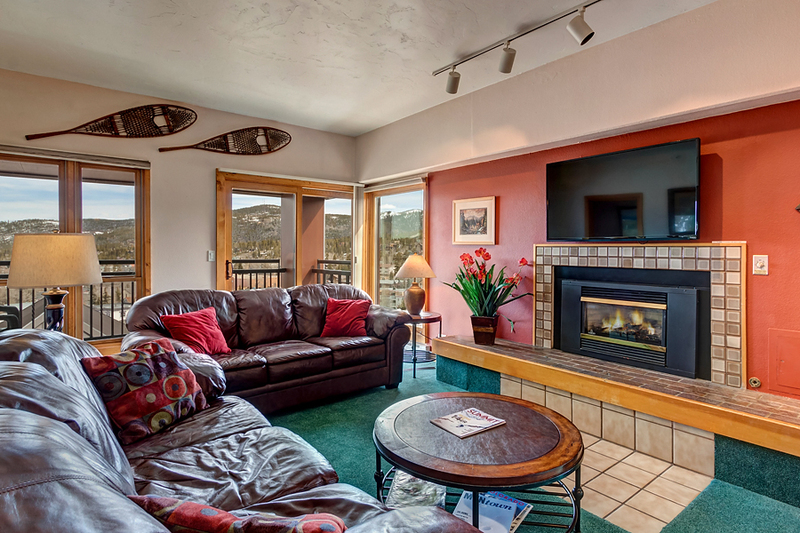 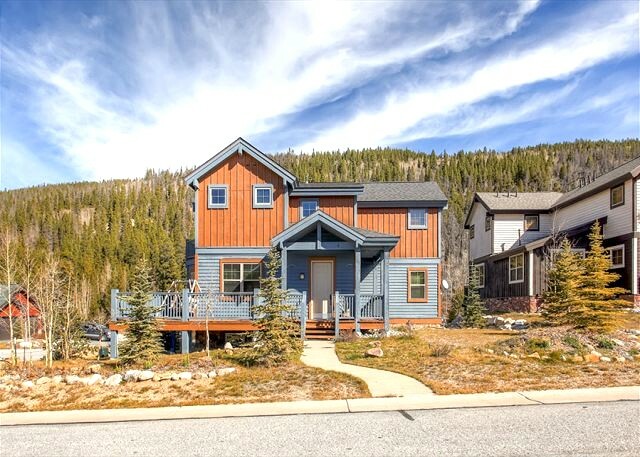 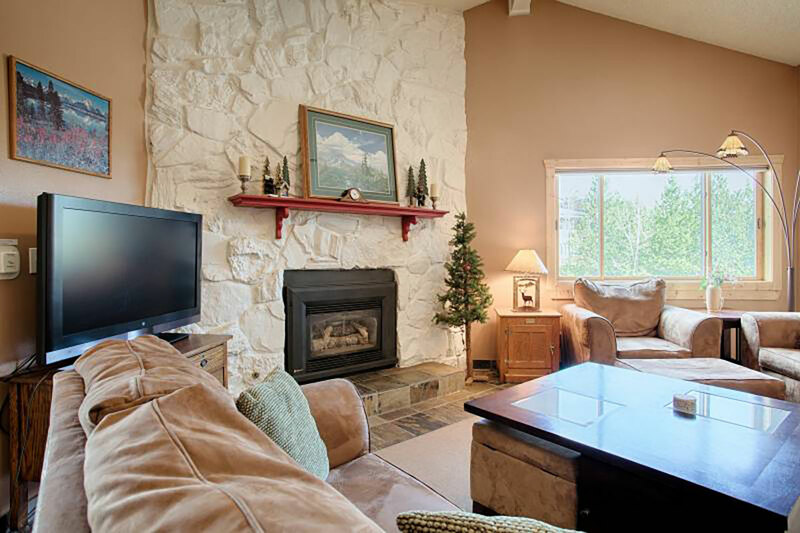 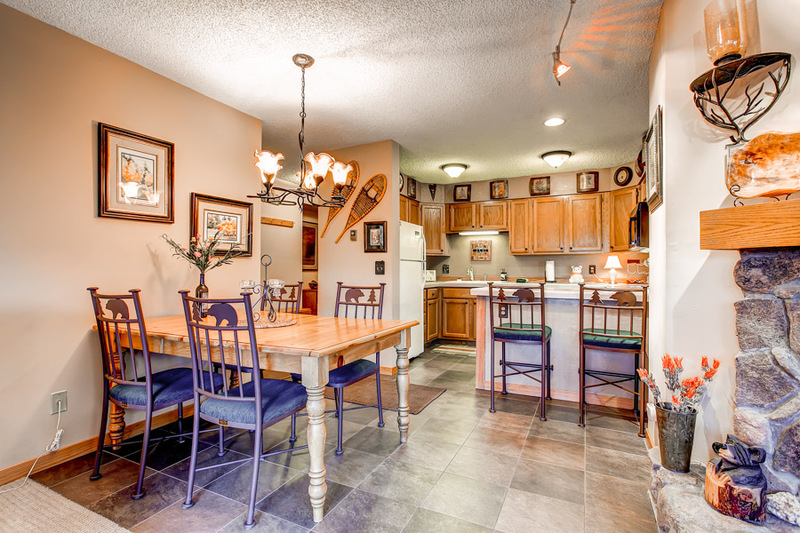 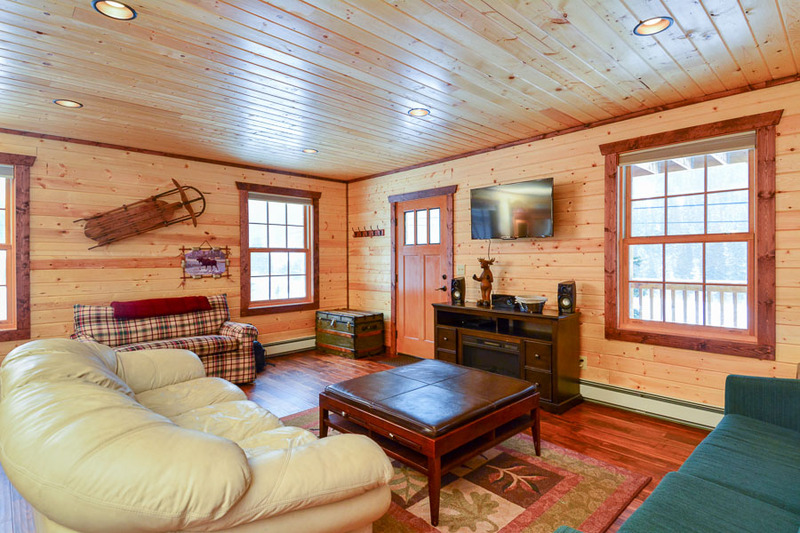 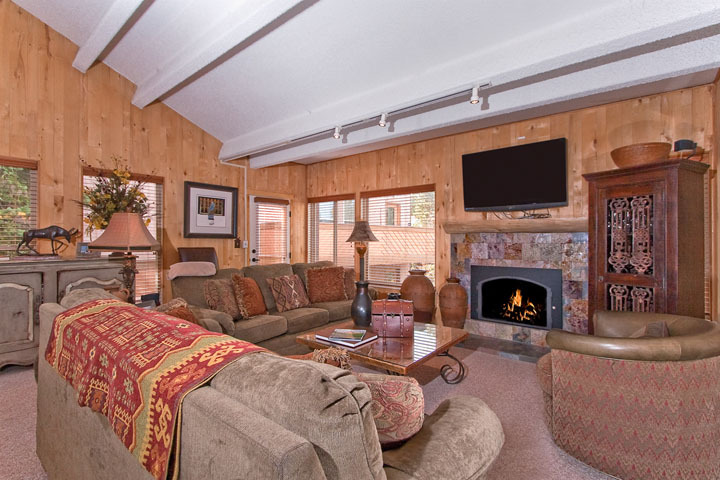 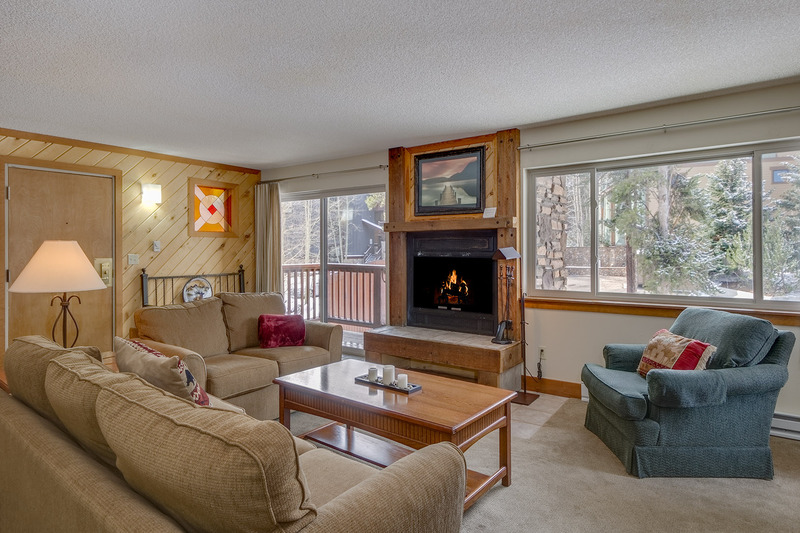 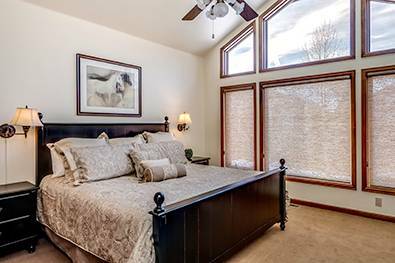 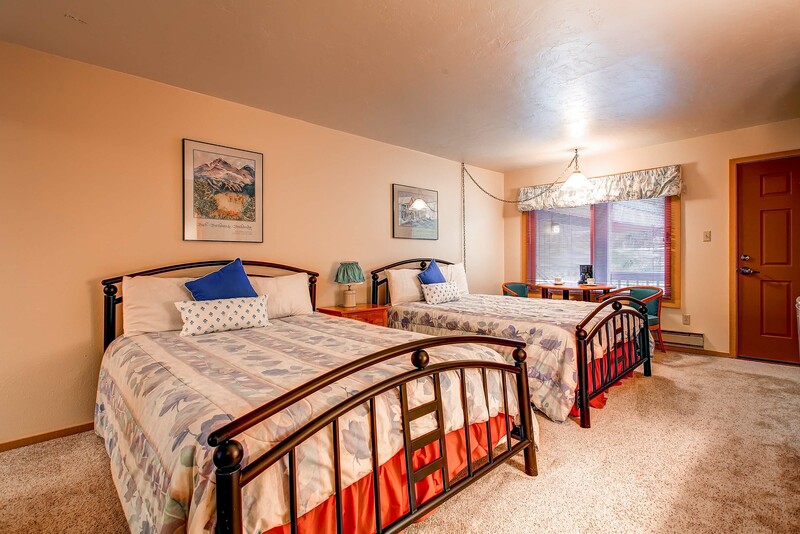 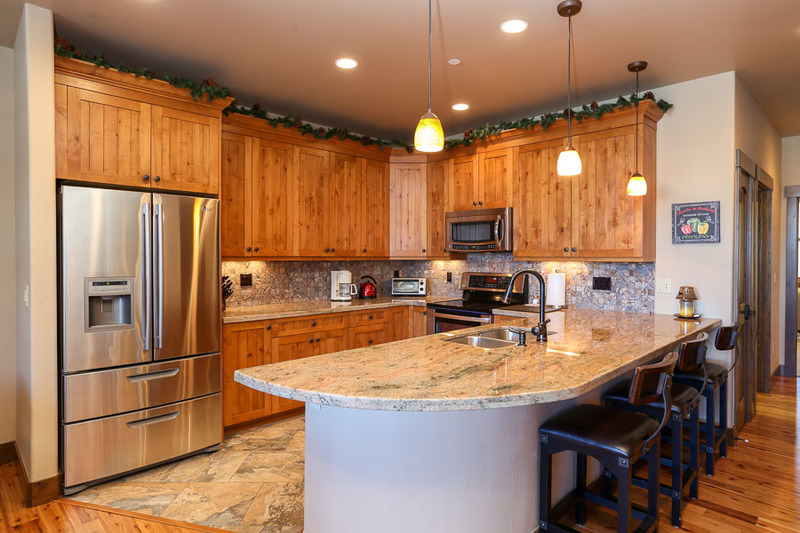 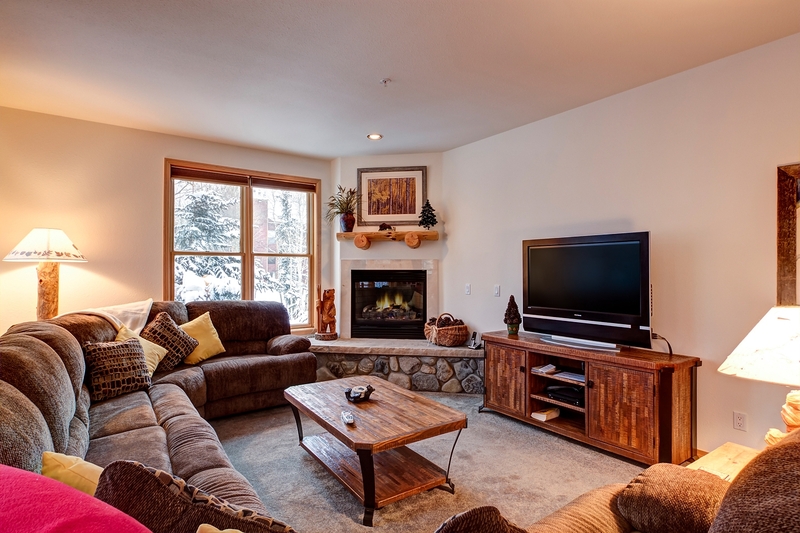 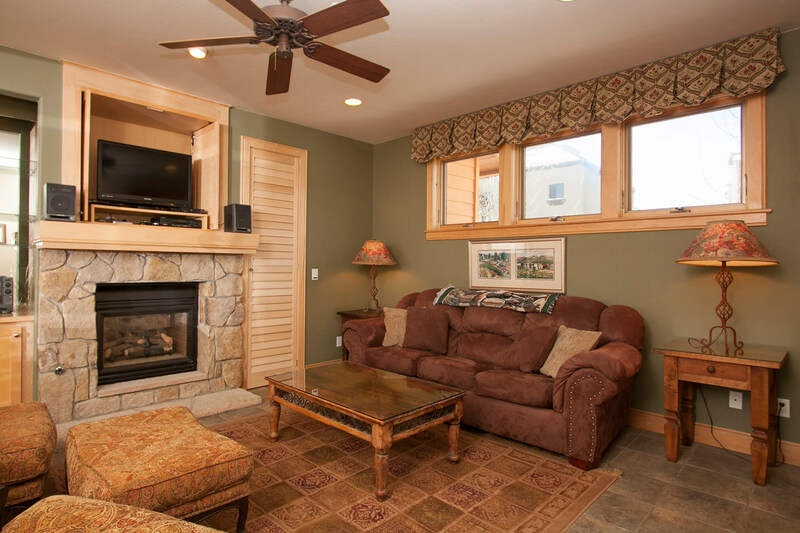 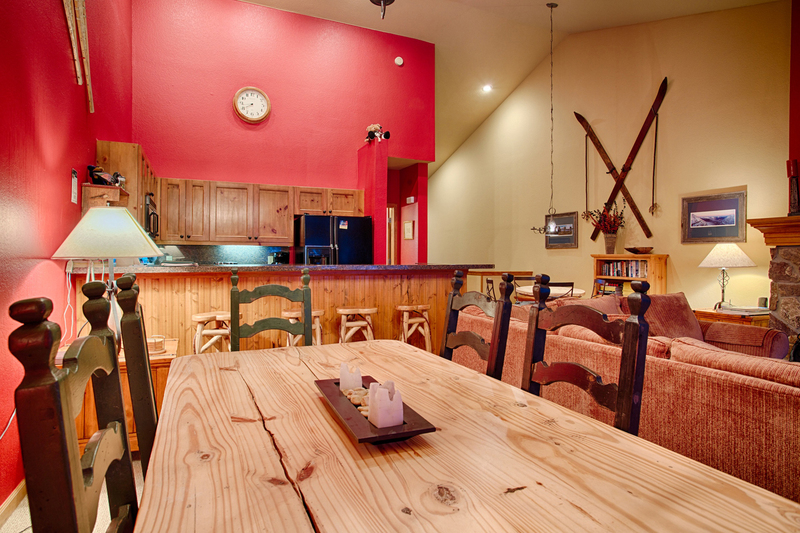 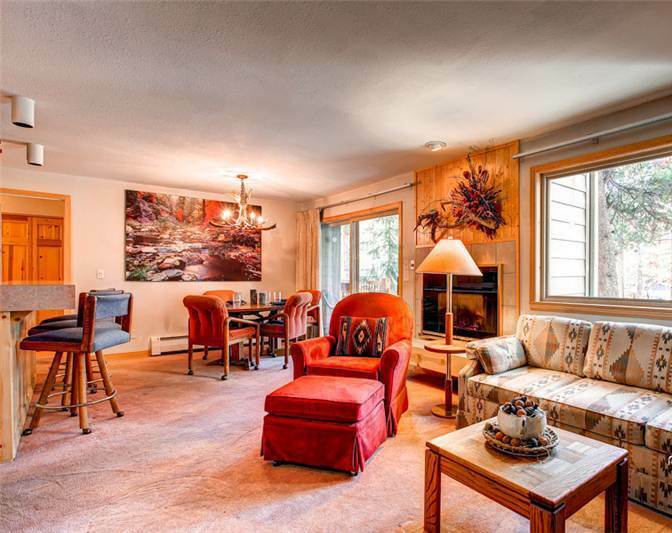 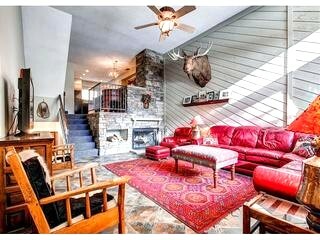 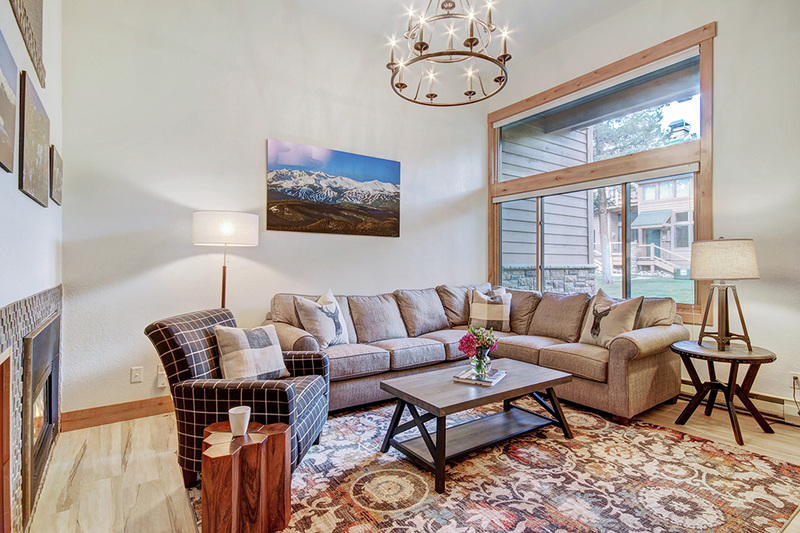 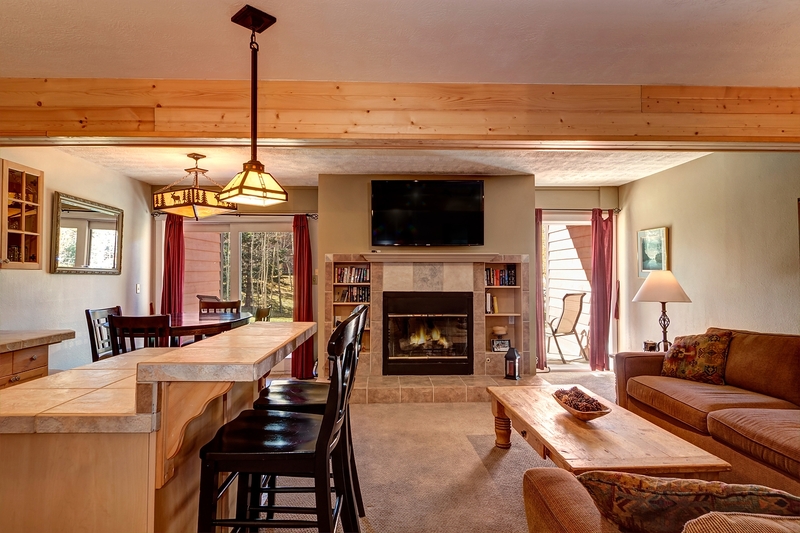 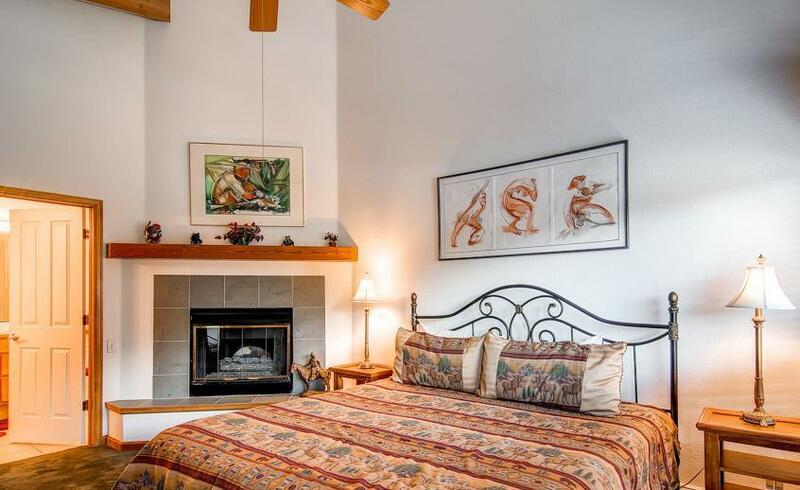 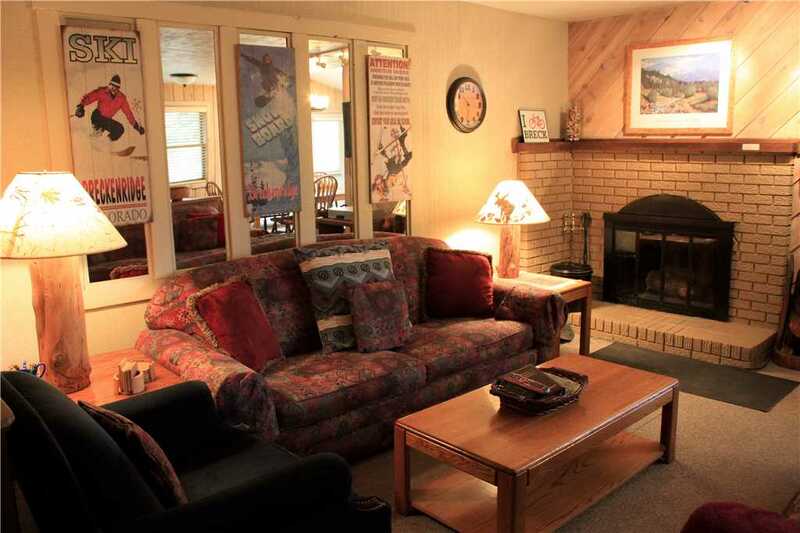 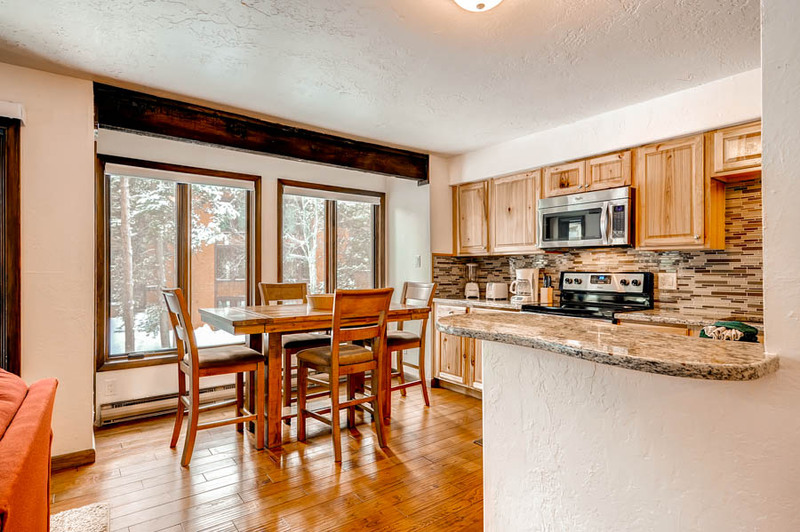 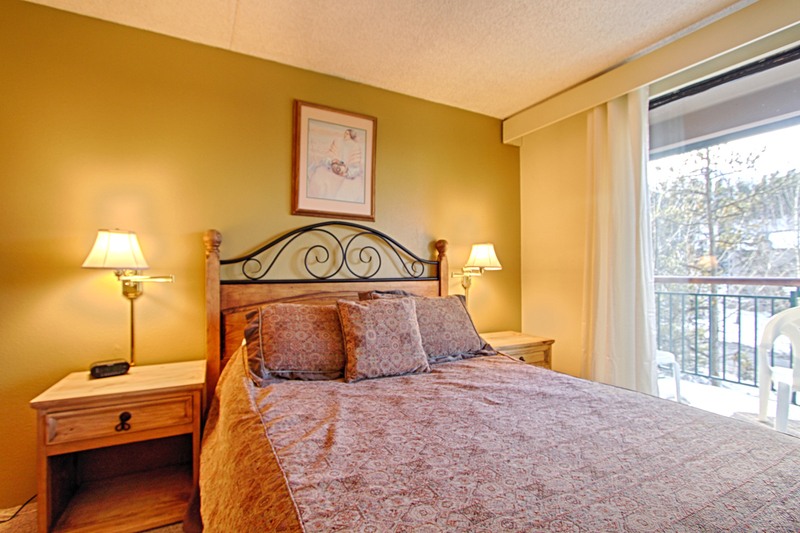 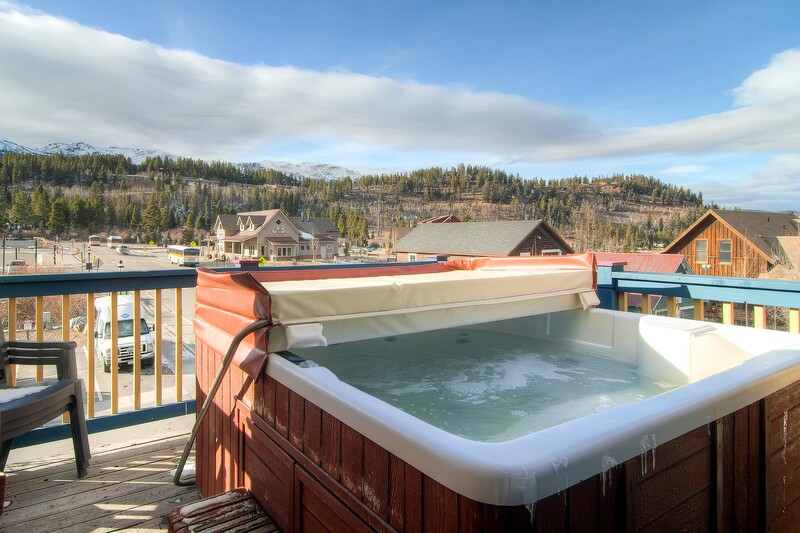 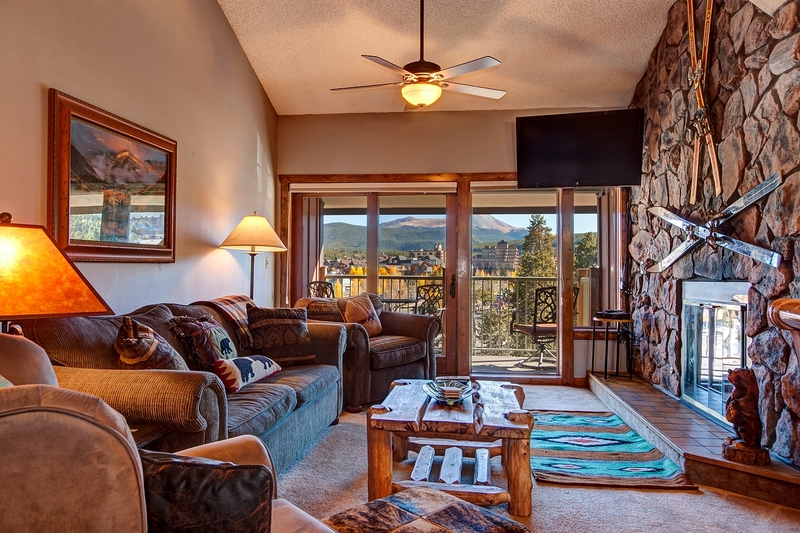 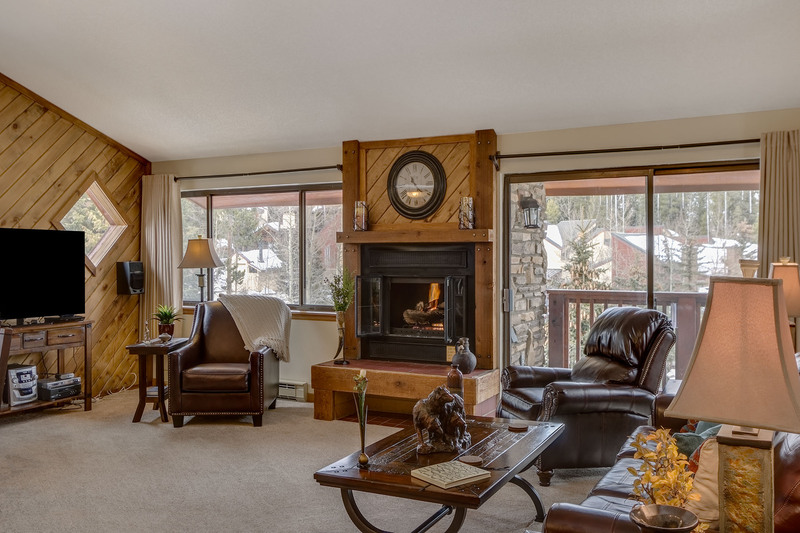 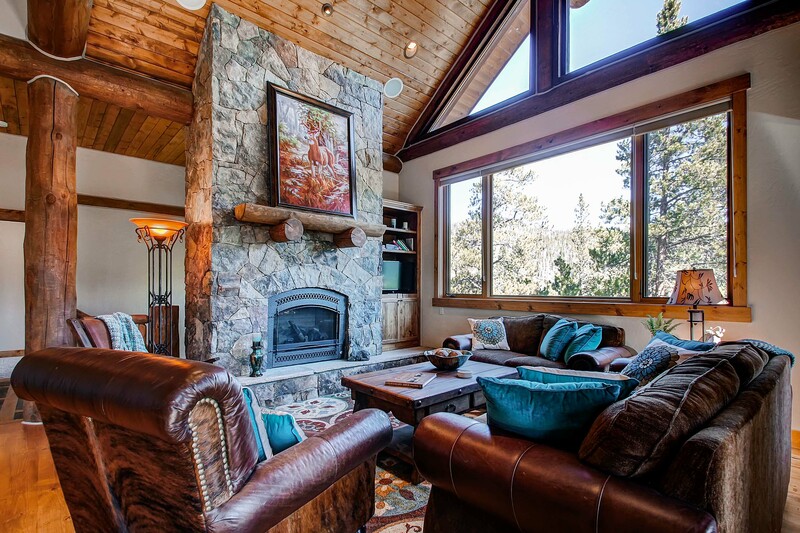 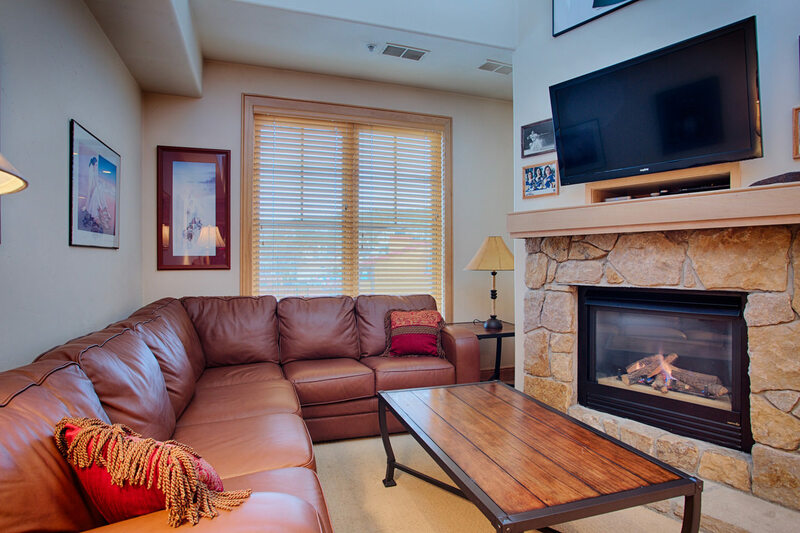 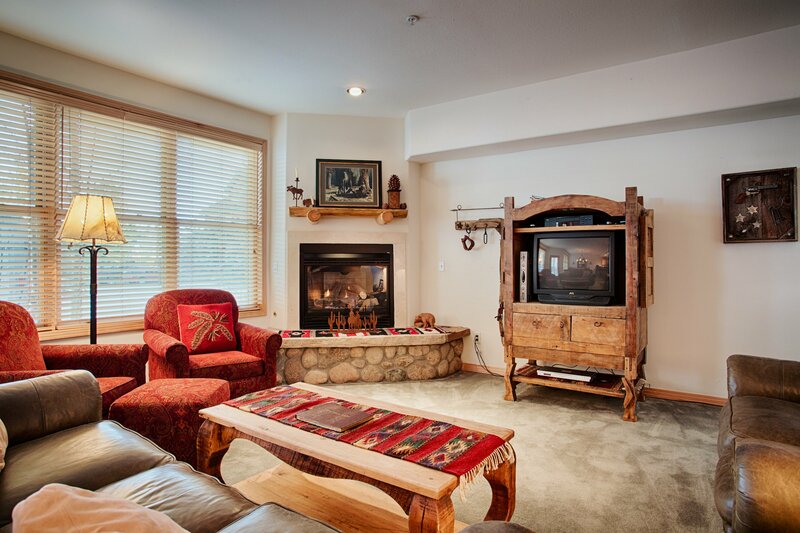 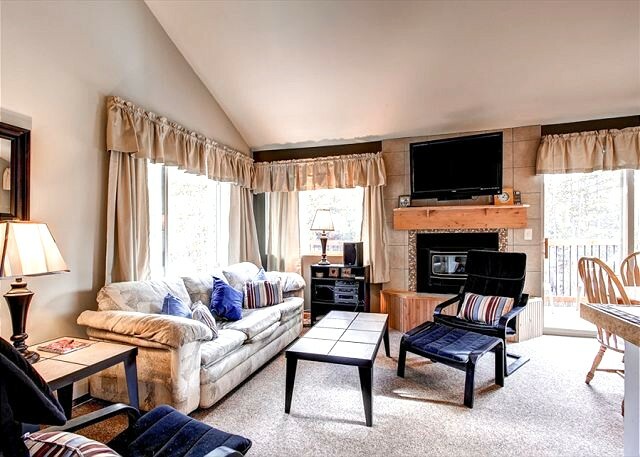 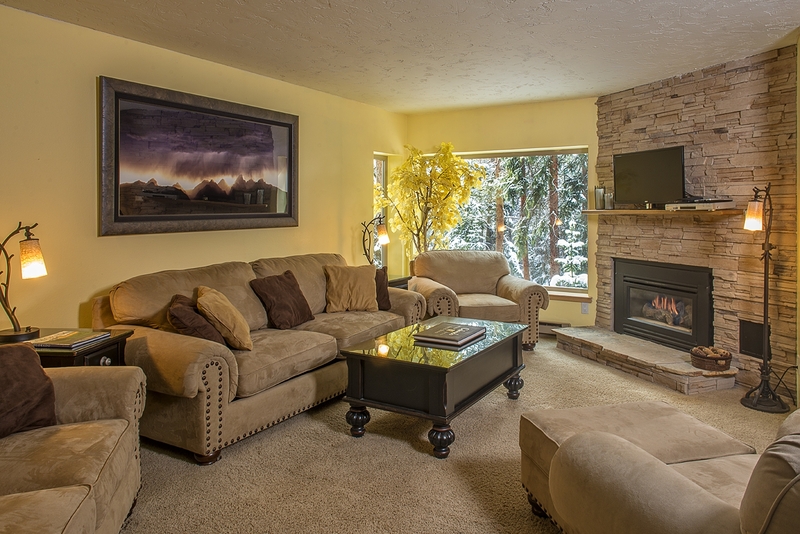 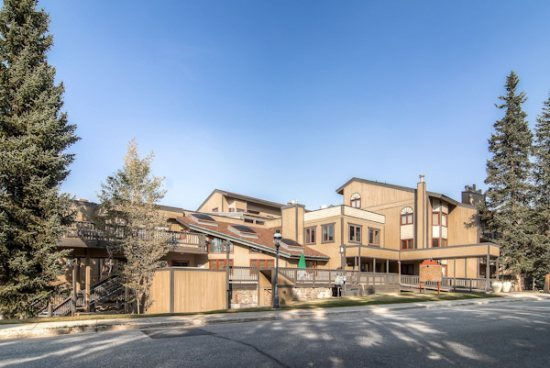 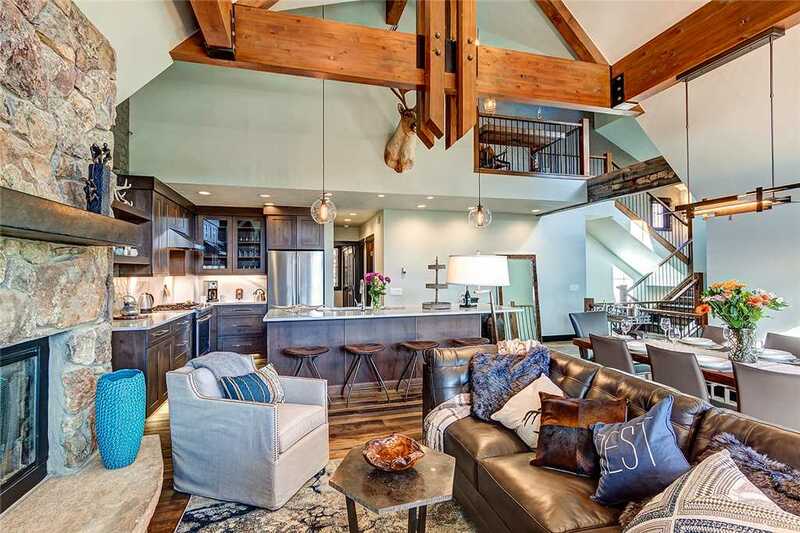 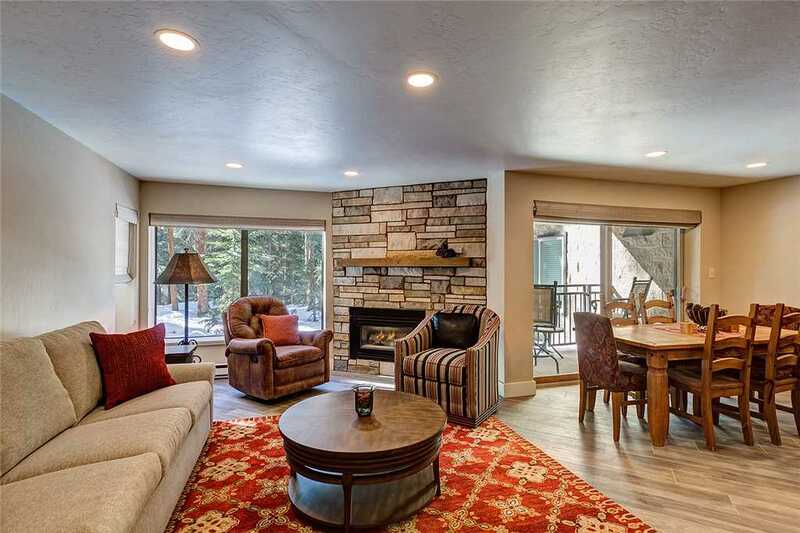 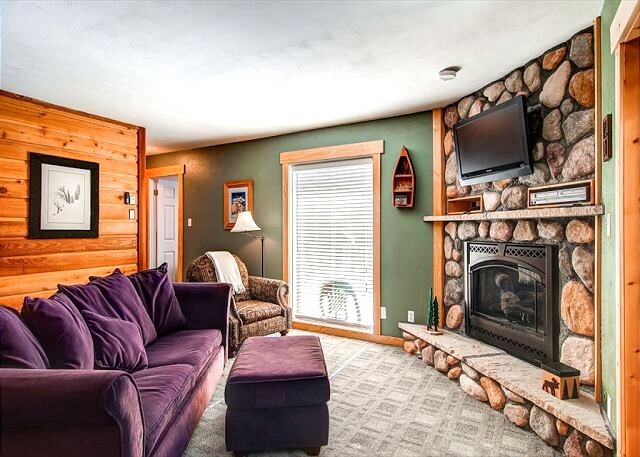 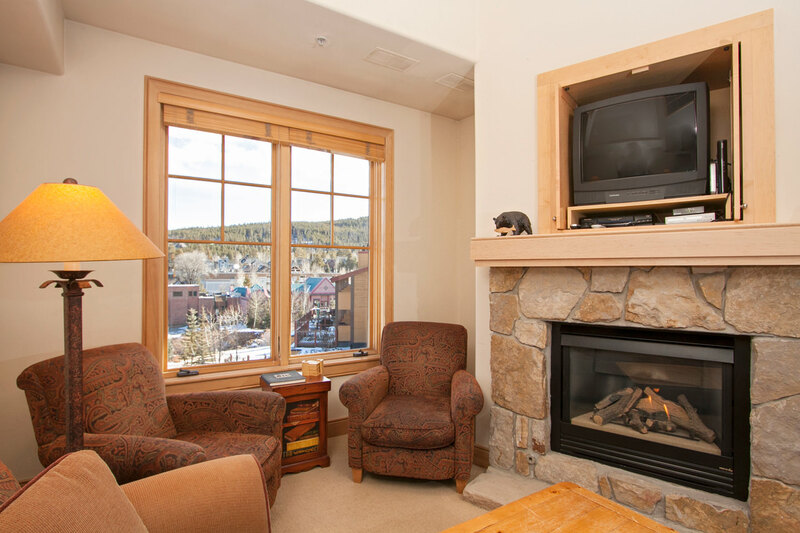 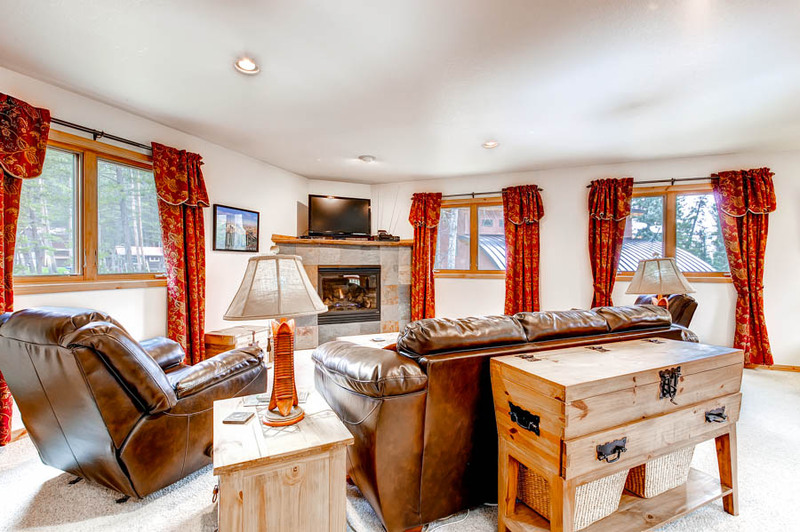 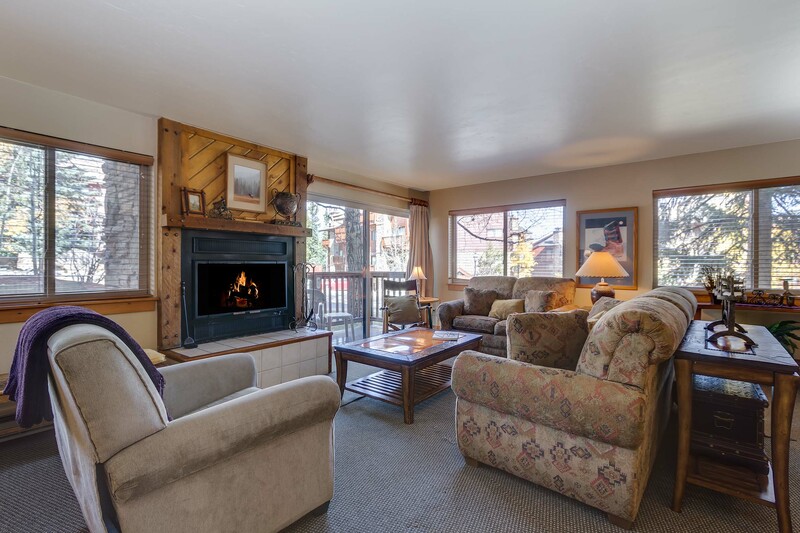 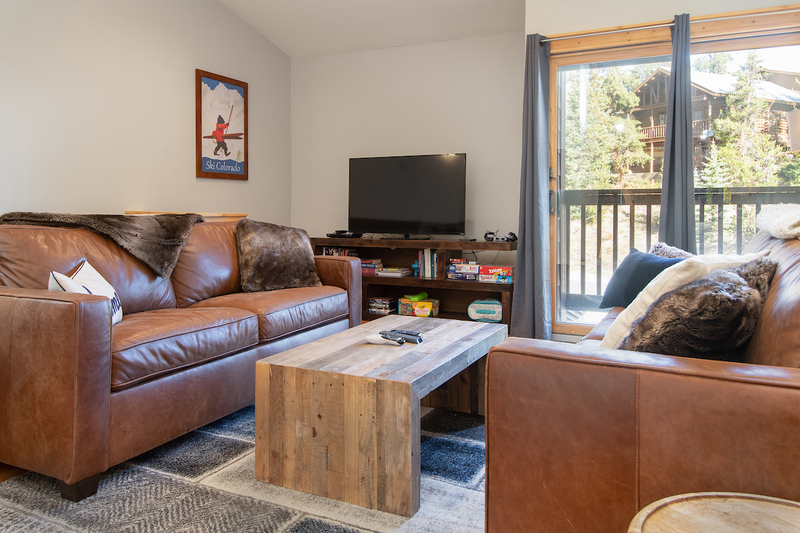 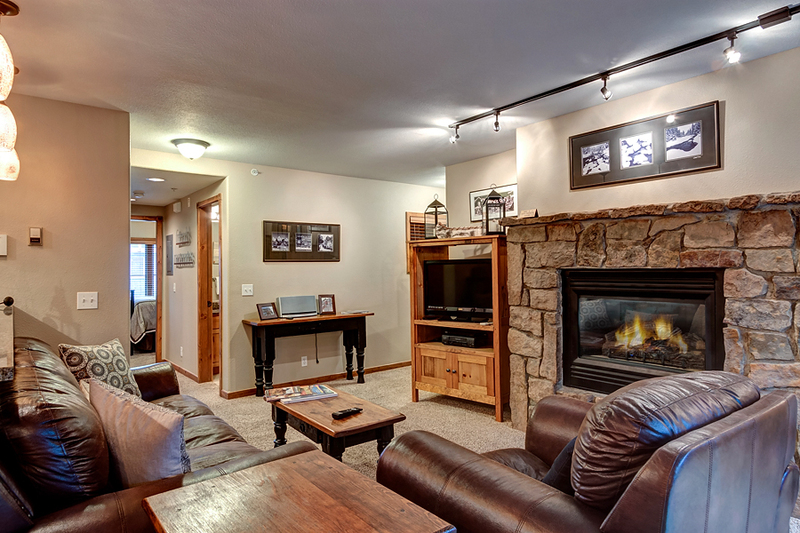 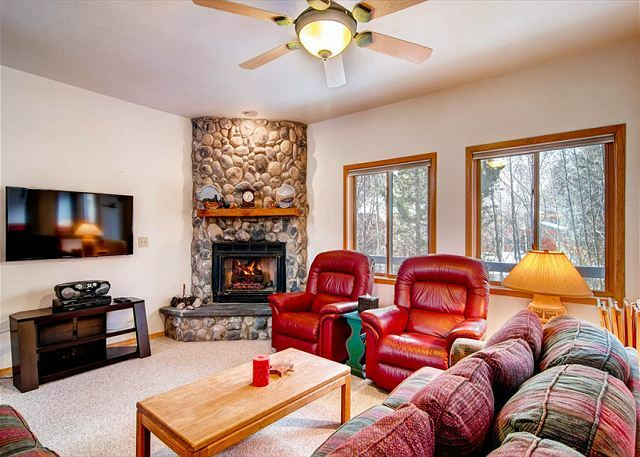 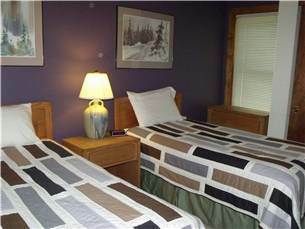 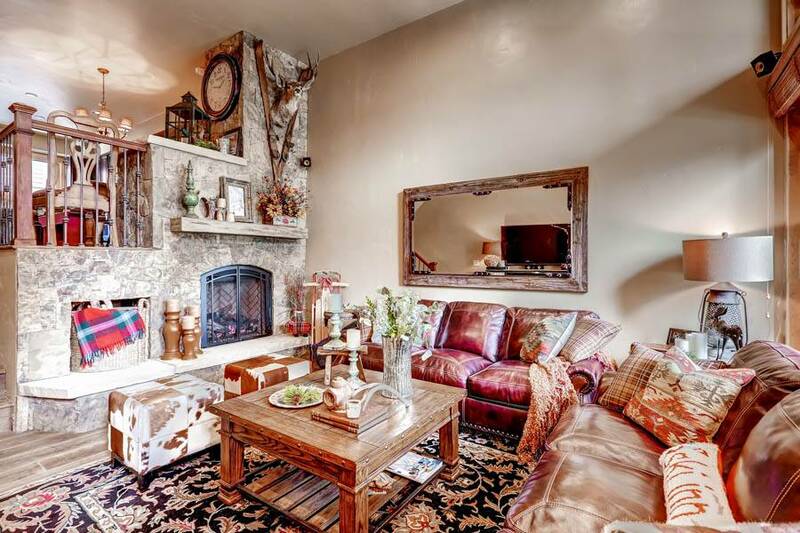 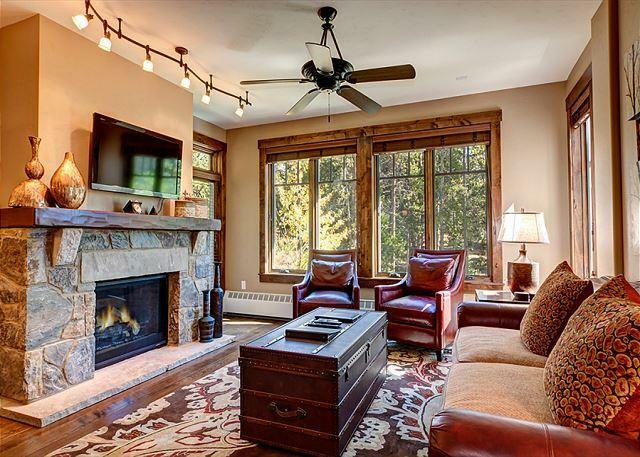 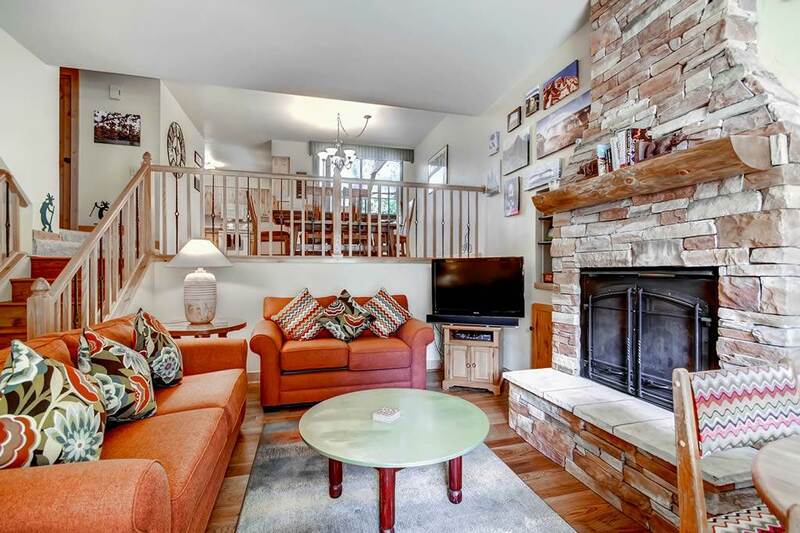 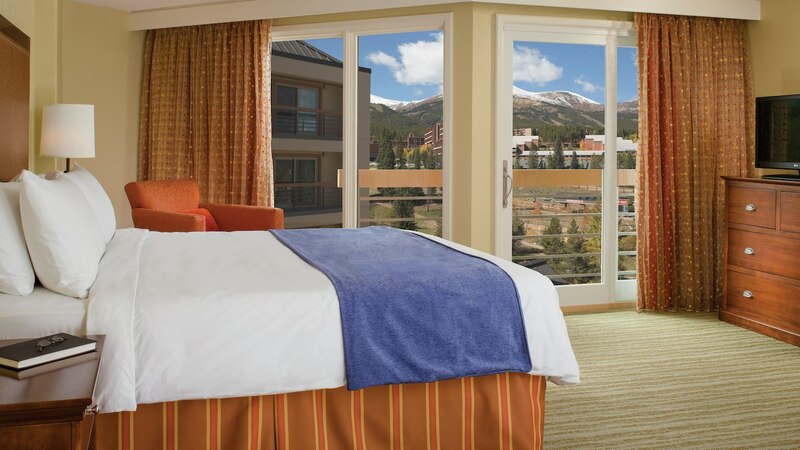 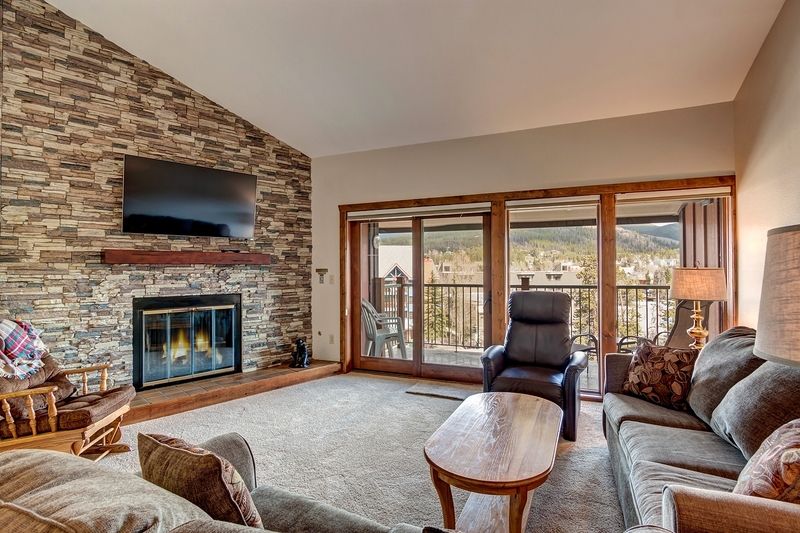 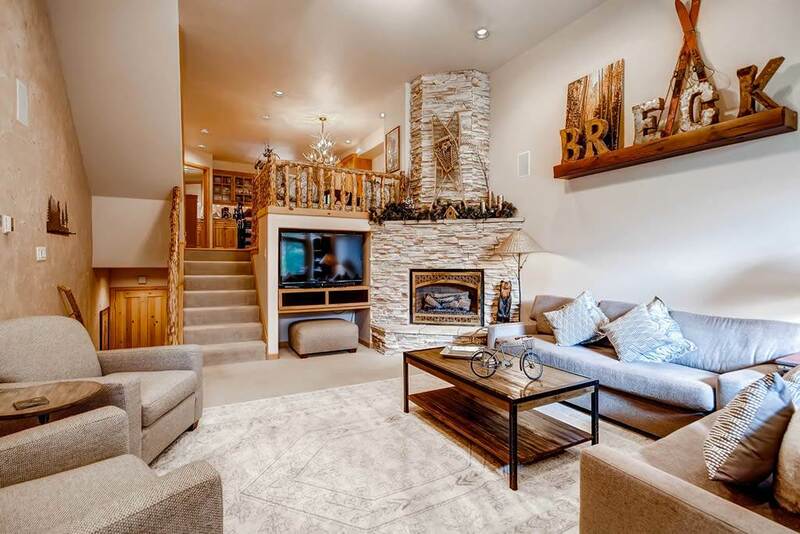 The decor, reminiscent of Breckenridge’s mining and frontier history, provides the perfect environment for a relaxing vacation. 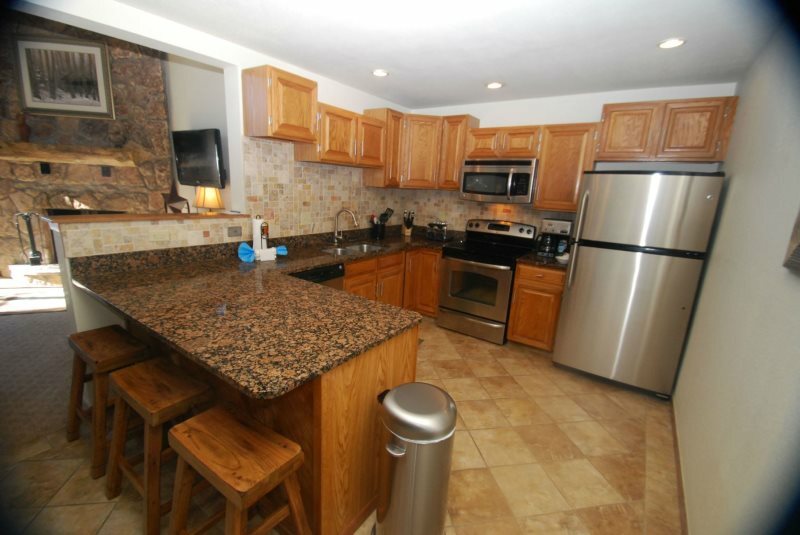 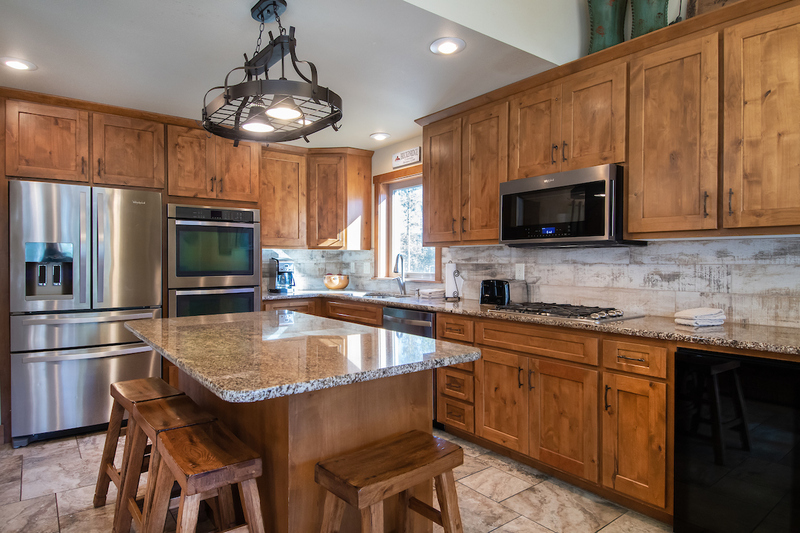 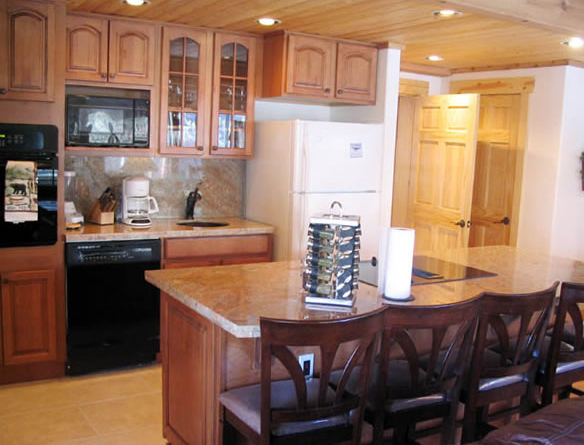 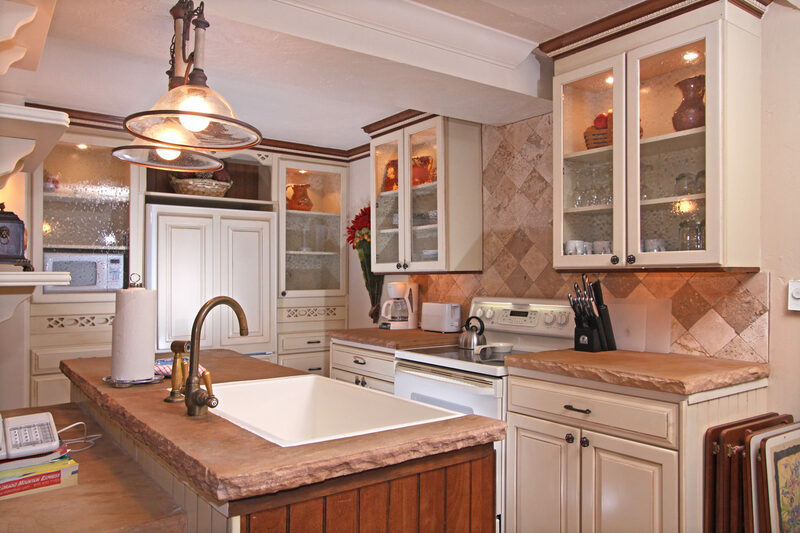 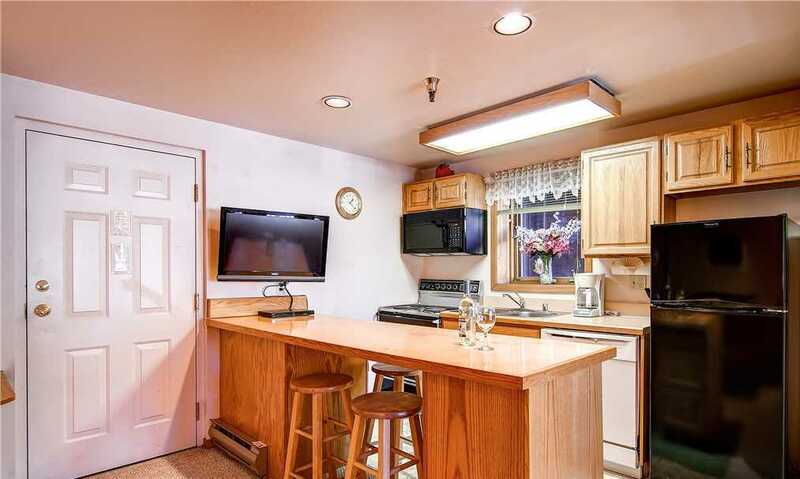 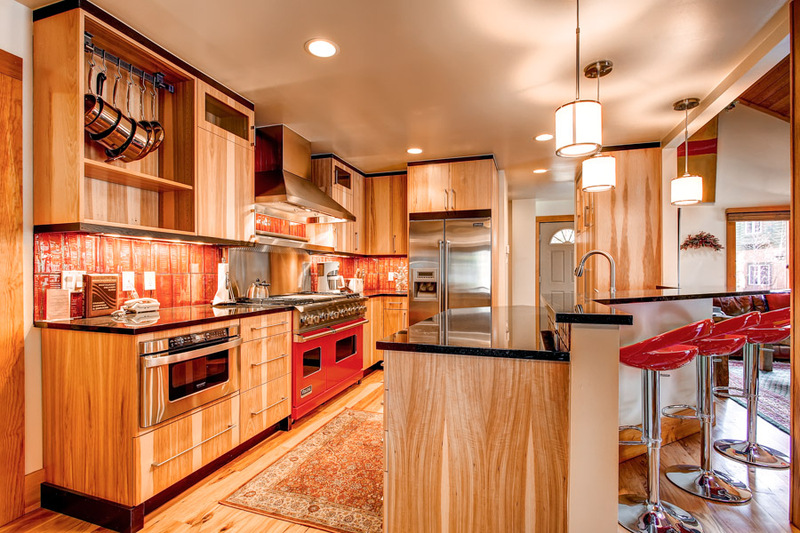 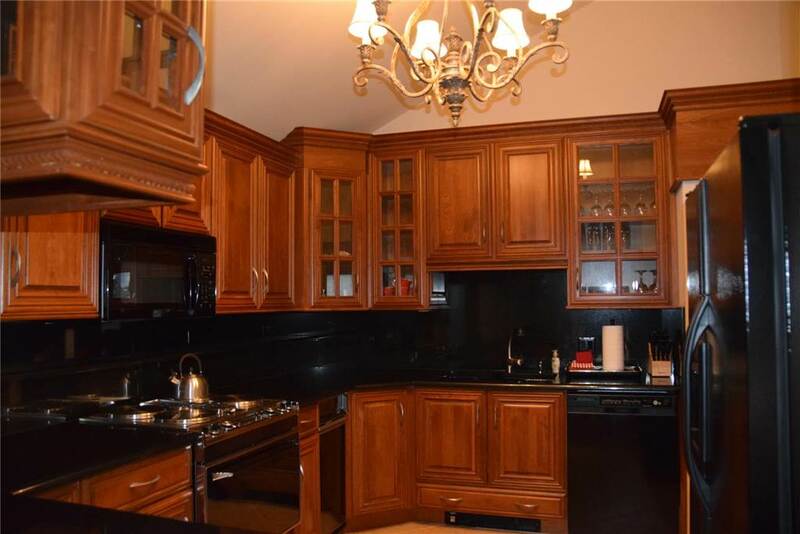 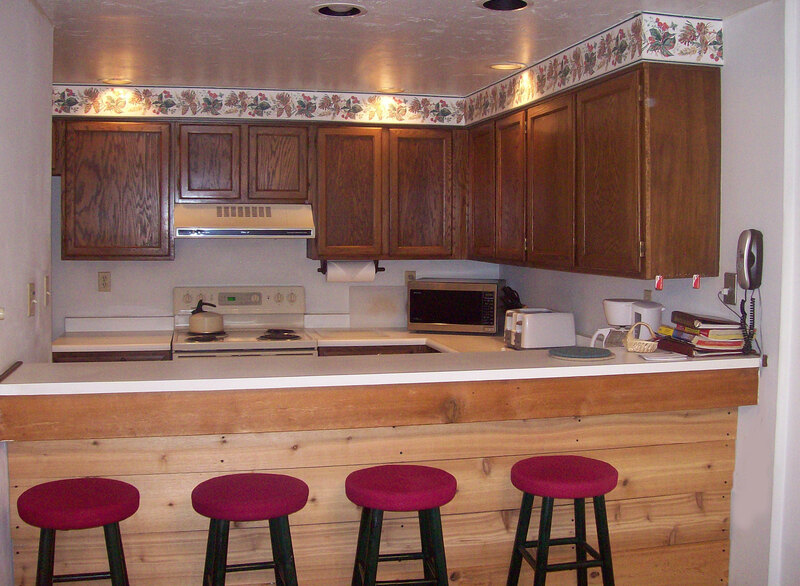 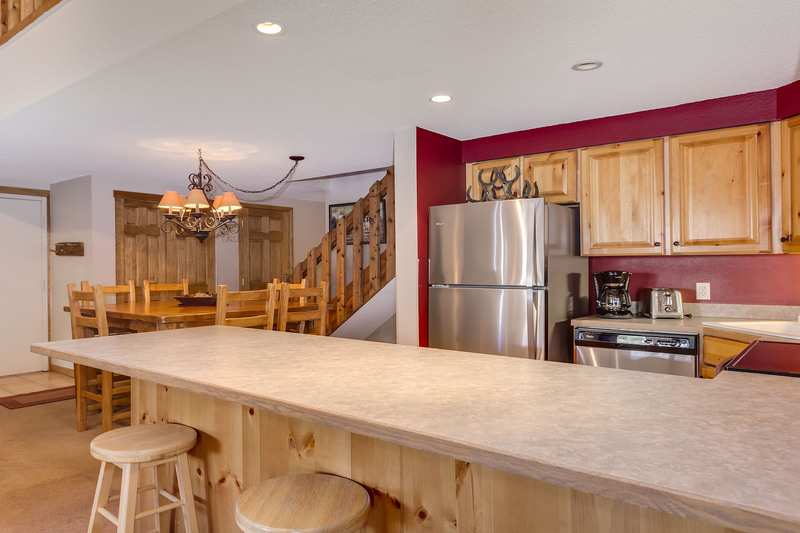 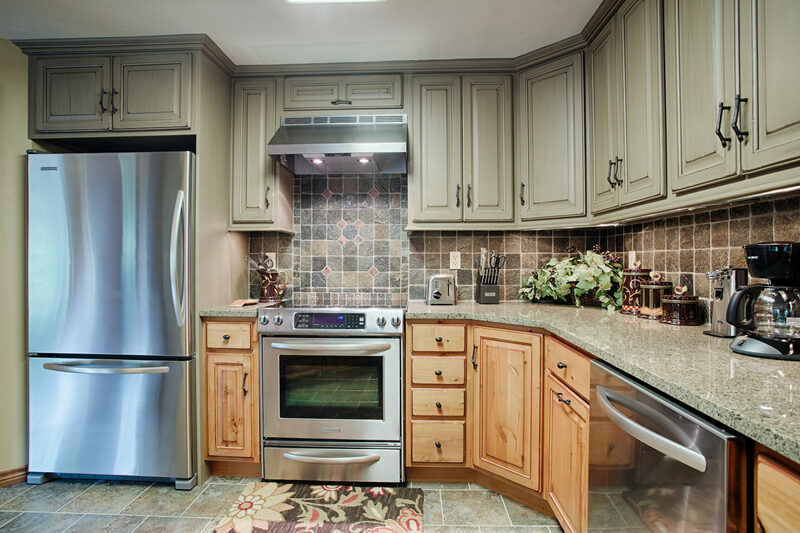 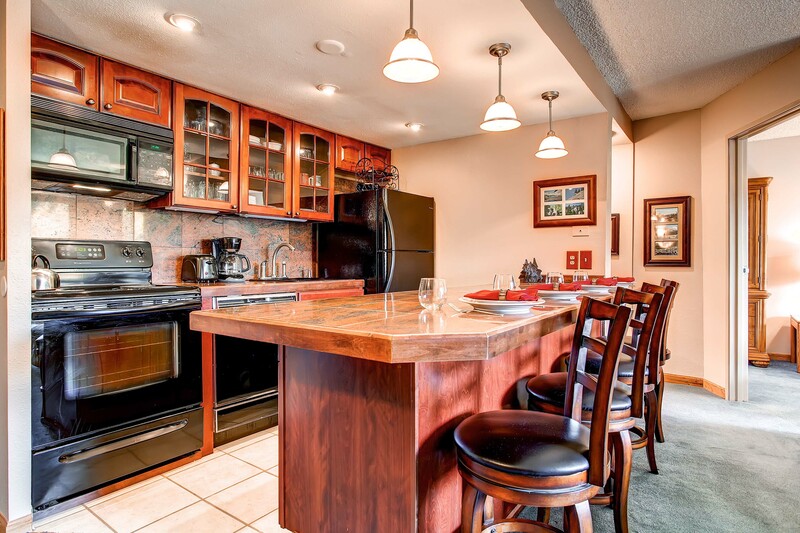 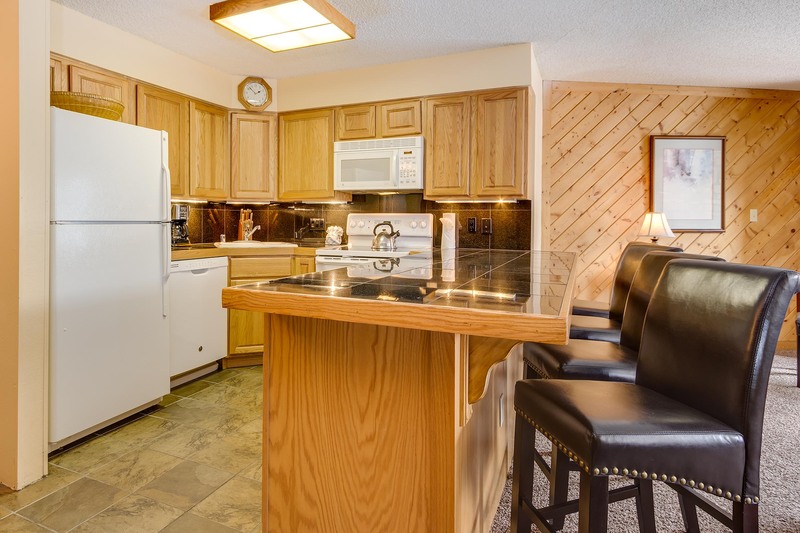 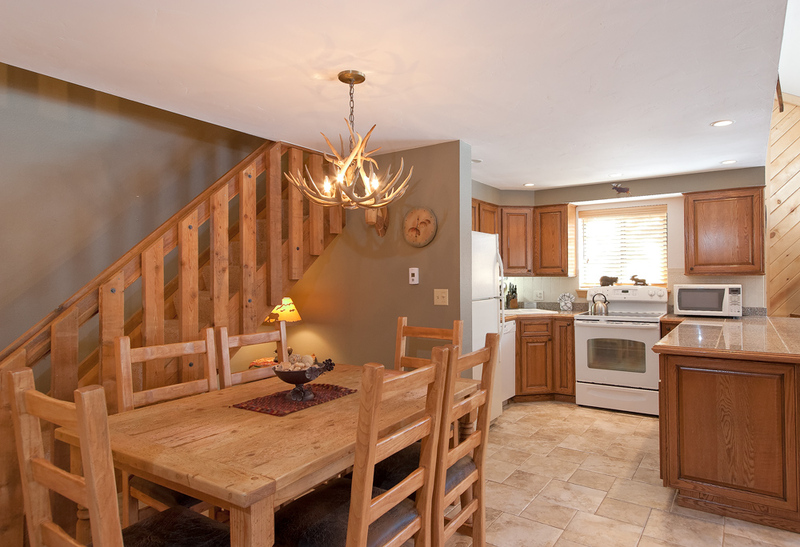 The kitchen is updated with a Breakfast Bar for 3 people. 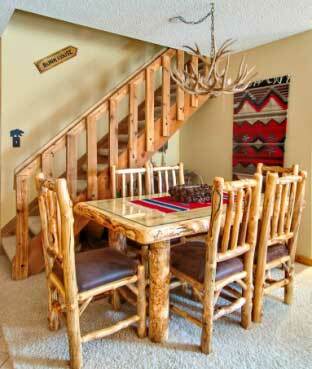 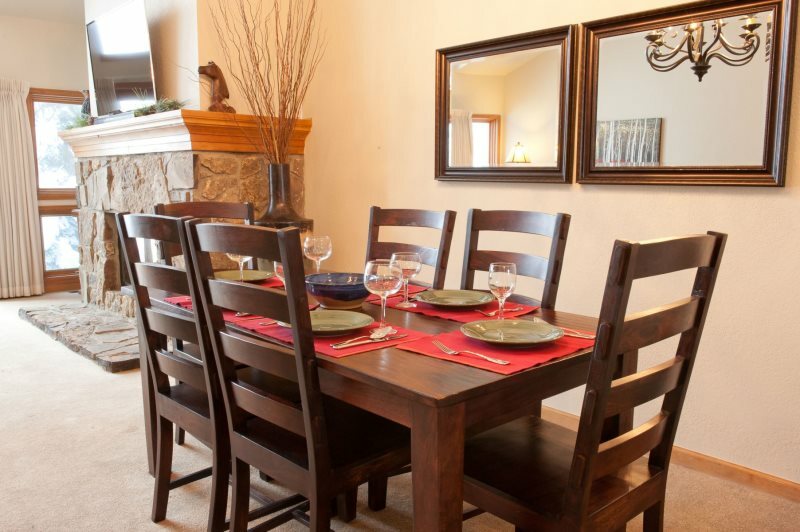 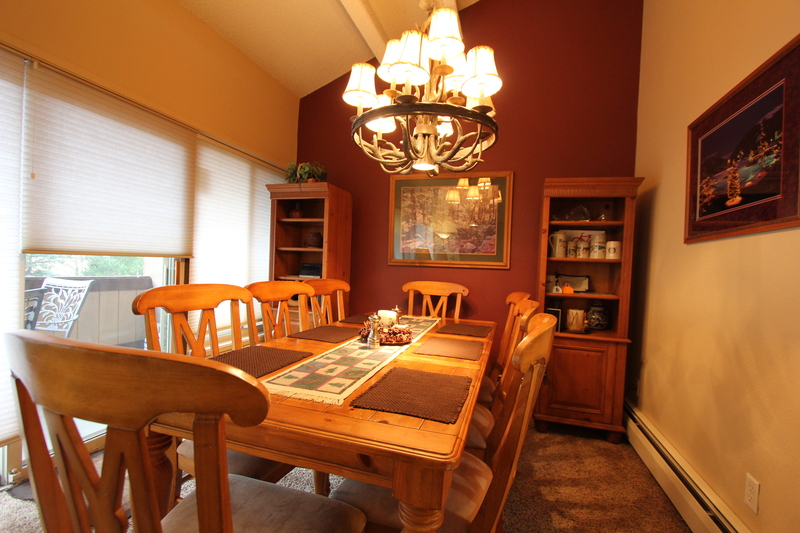 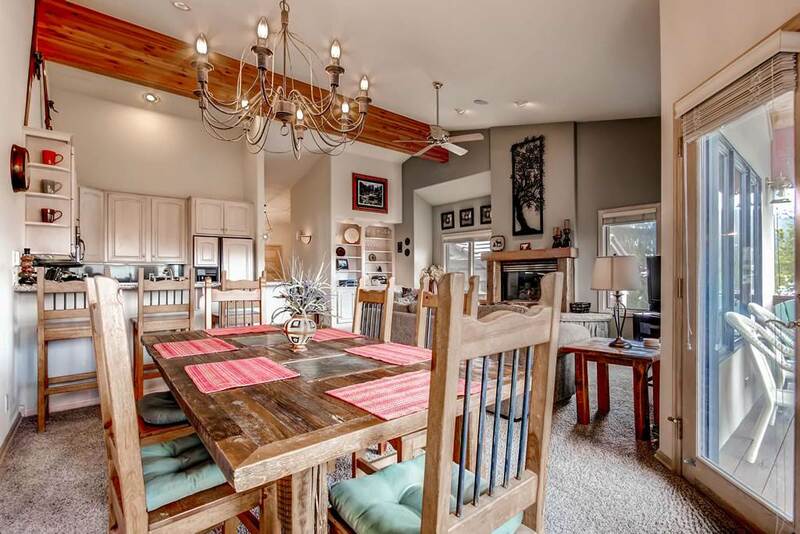 The dining table allows seating for up to 6 guests. 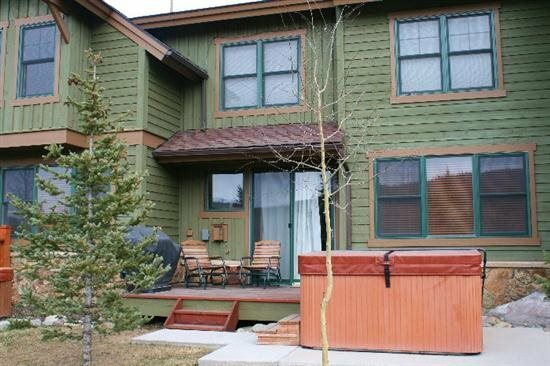 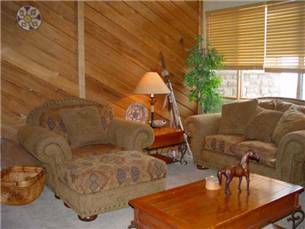 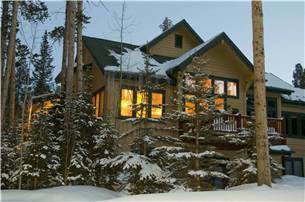 In warm weather, open the windows or the rear sliding balcony door to listen to Salt Creek flowing through the wetlands. 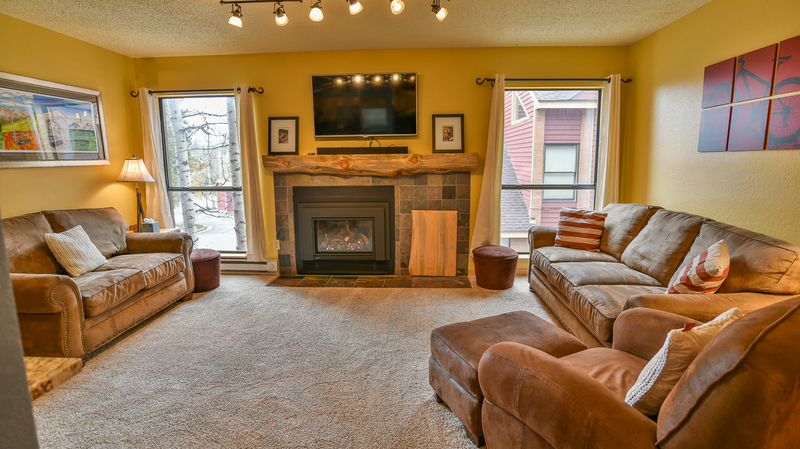 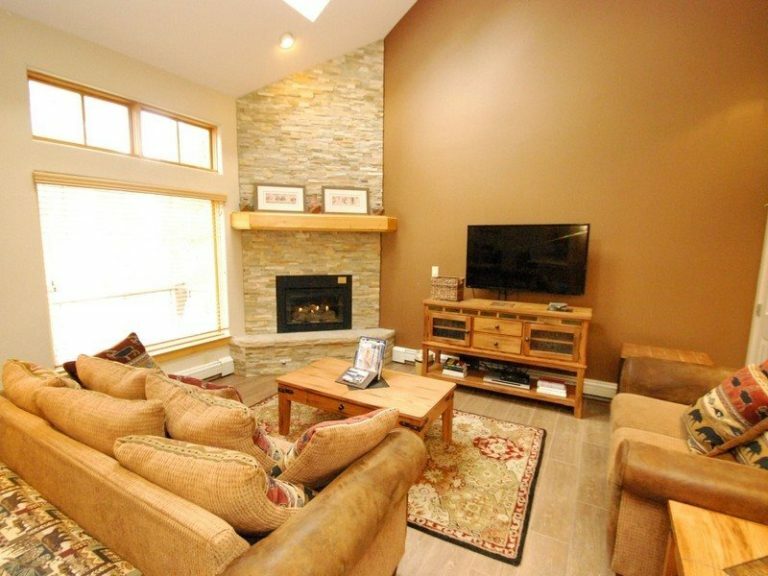 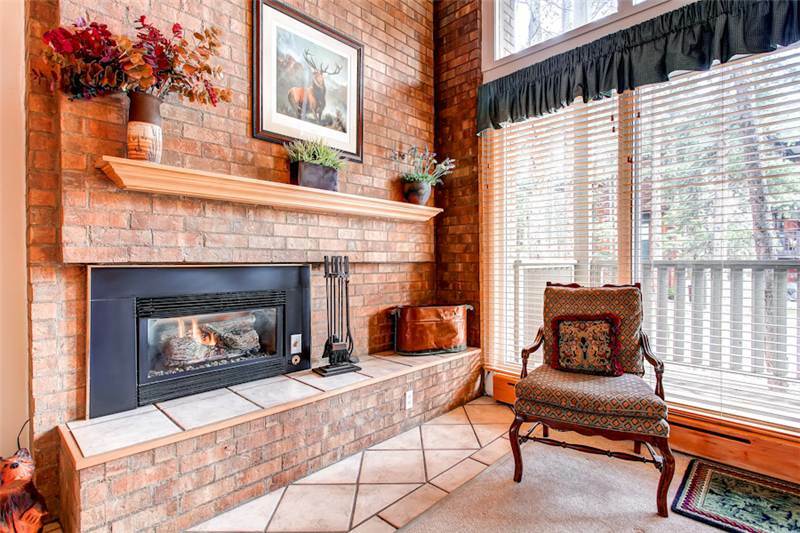 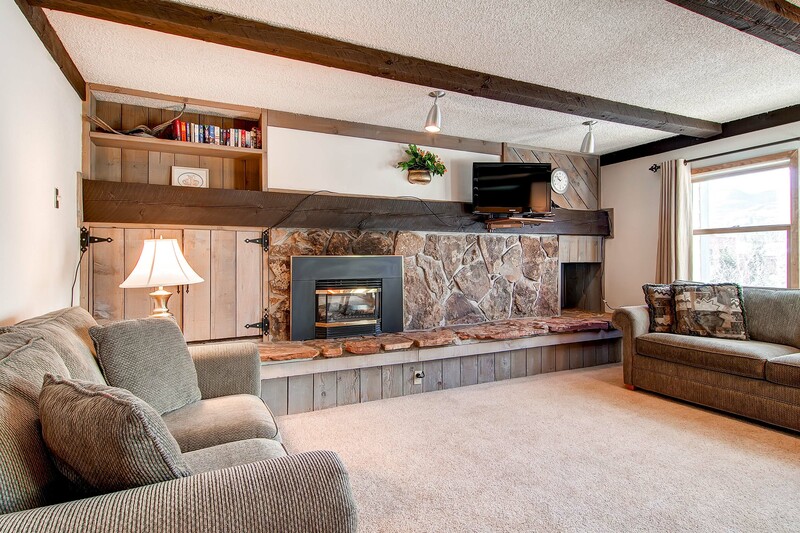 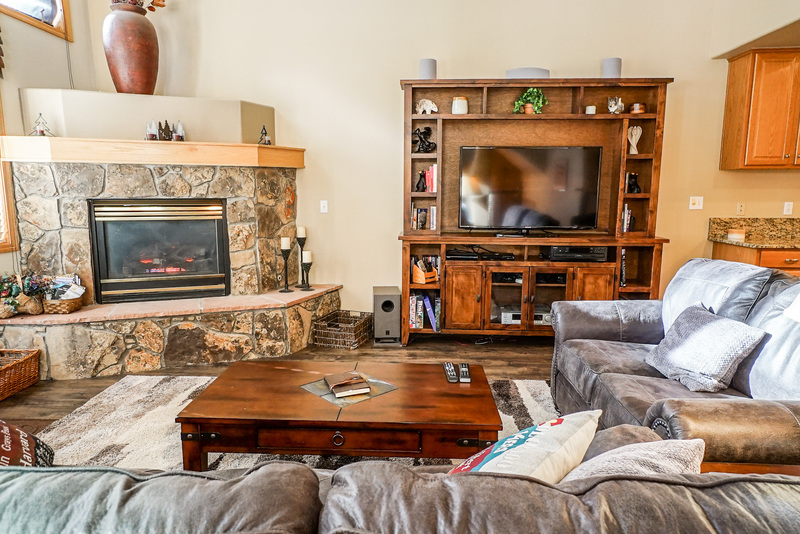 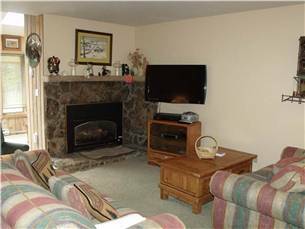 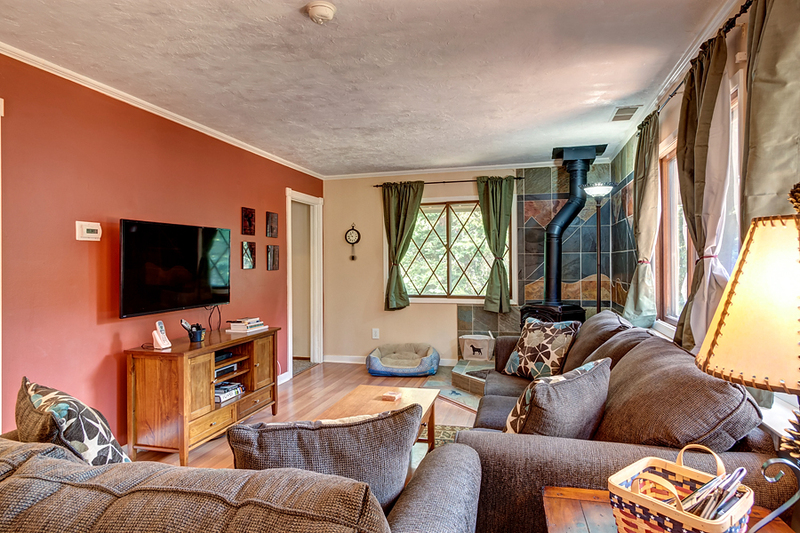 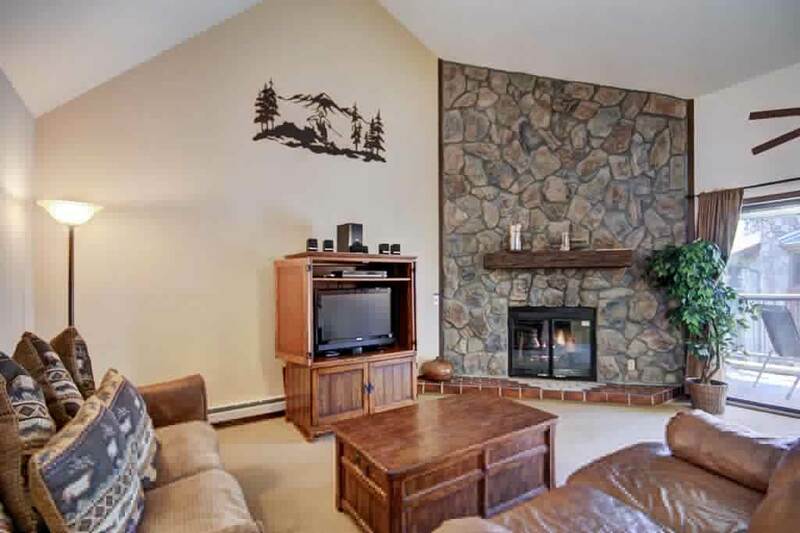 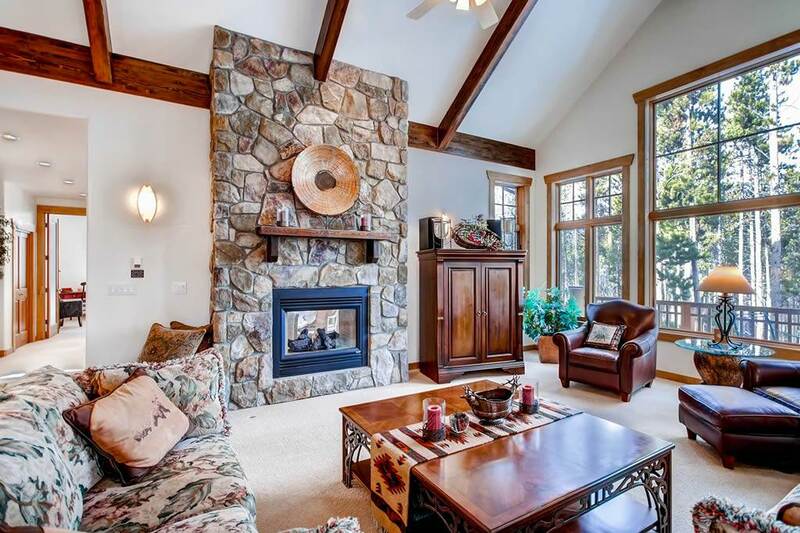 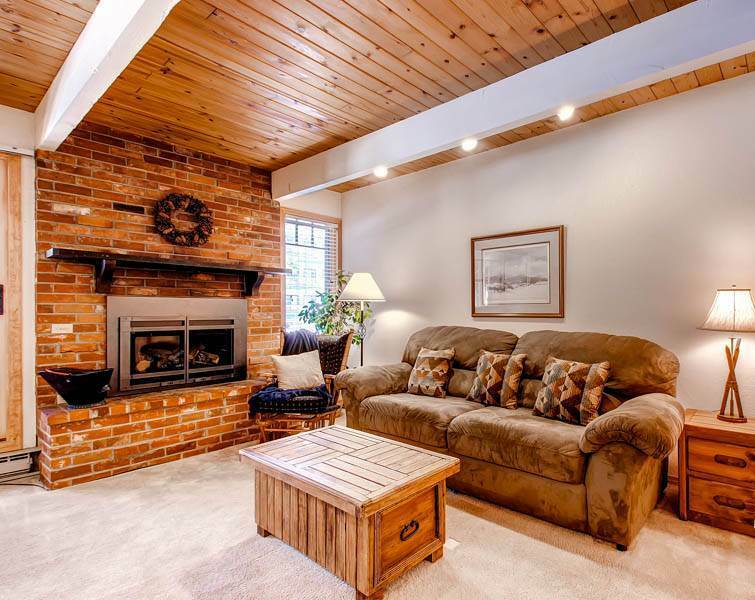 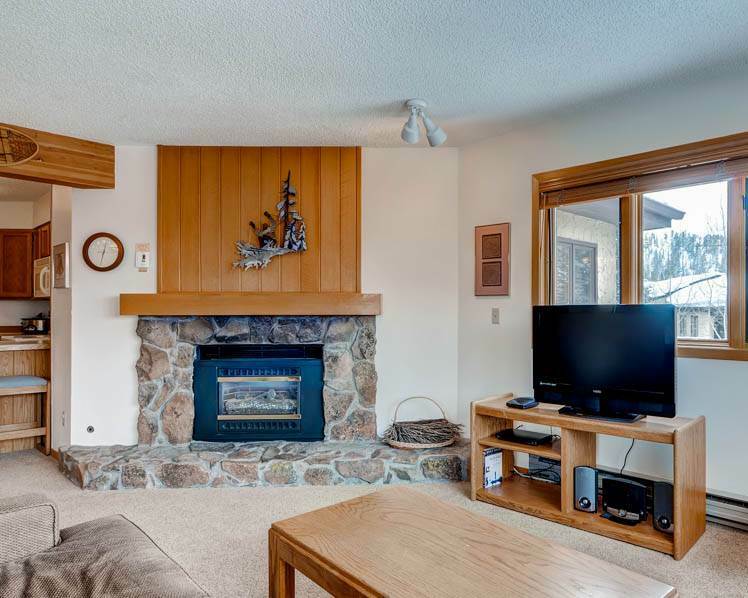 The wood burning fireplace adds warmth and a romantic touch to the living room, perfect for wintertime or other cool evenings. 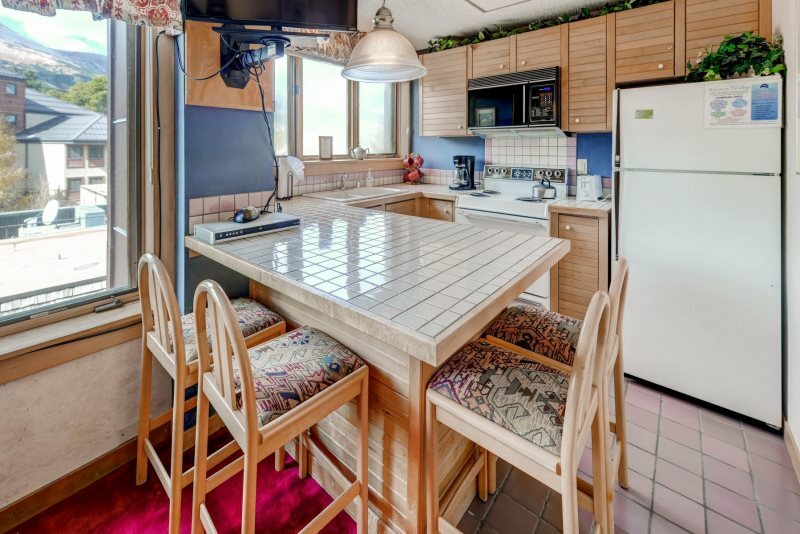 Additional amenities include a checkers table.